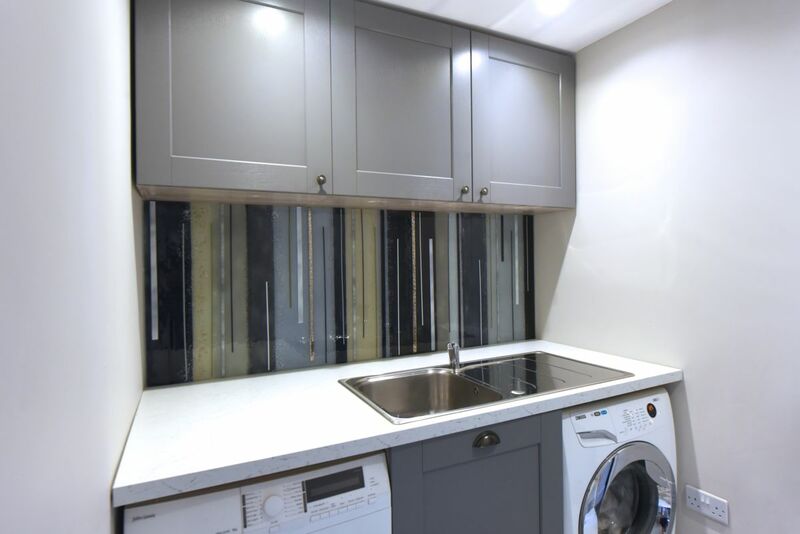 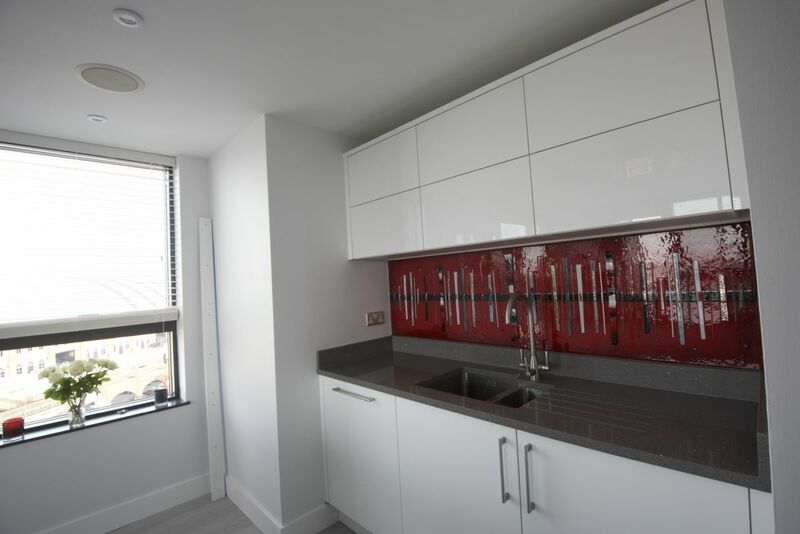 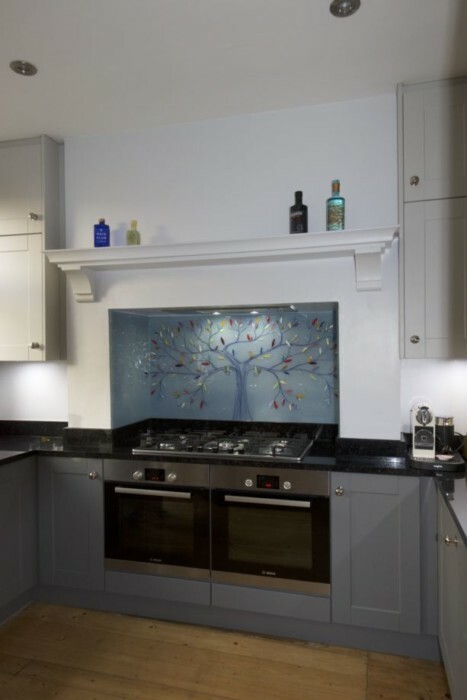 Even if you’ve never heard of The House of Ugly Fish or paid our website a visit, you’ll definitely have heard of kitchen splashbacks in all their many forms. 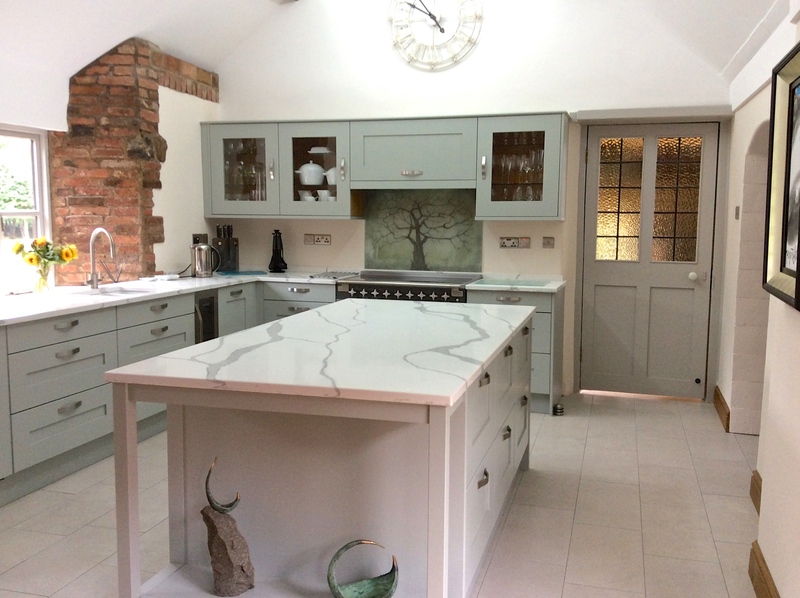 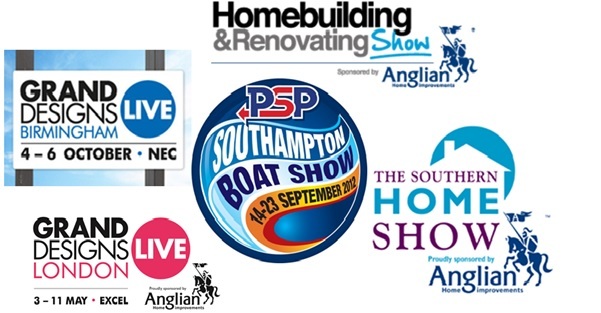 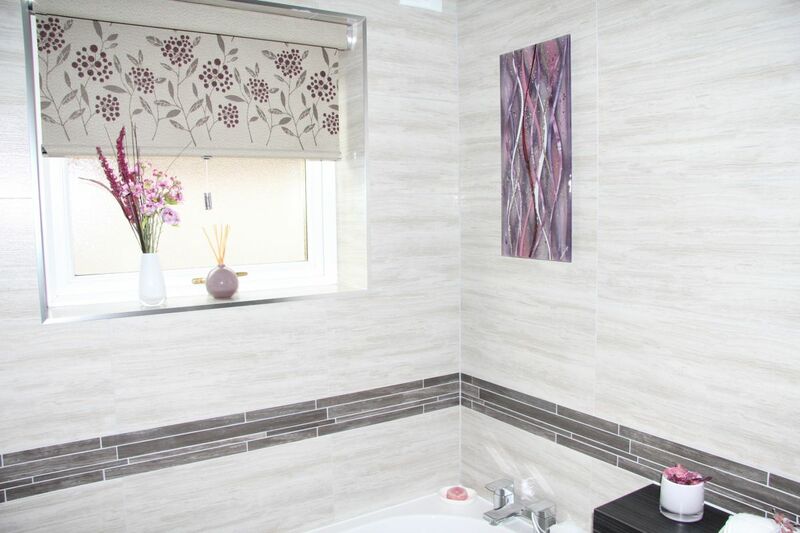 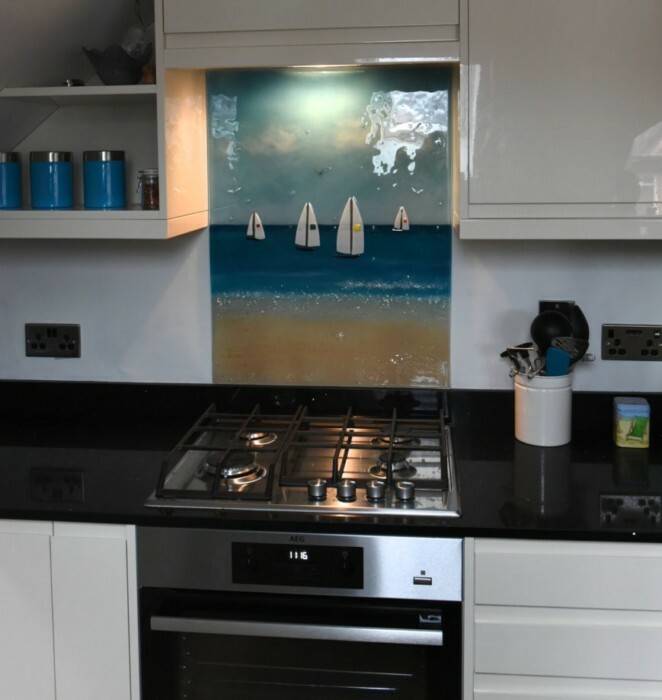 In the modern day, they’ve definitely been something of a revolution in the way that we decorate kitchens both new and old, abandoning the more traditional look of ceramic tiles for something entirely modern – or utilising splashbacks to enhance and modernise that tiled look, in many cases! 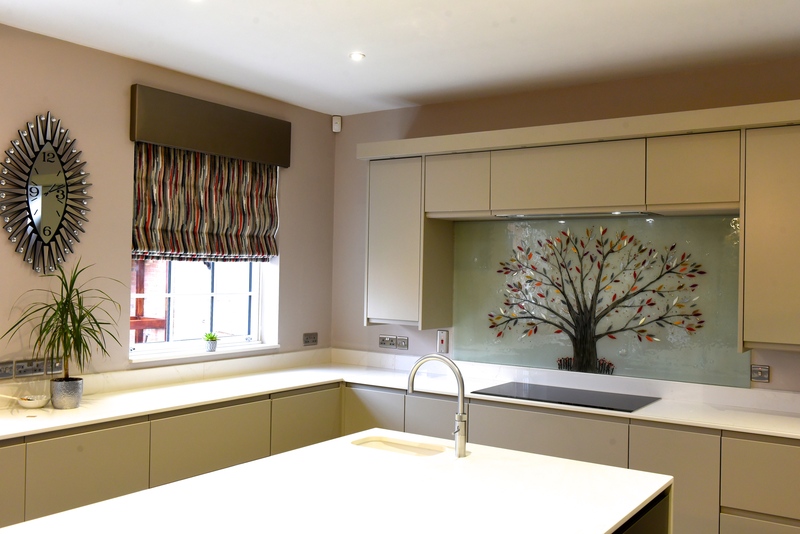 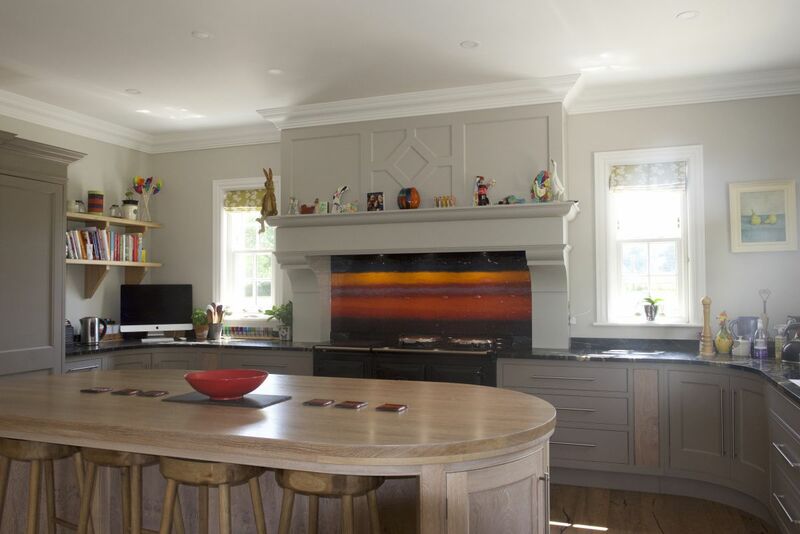 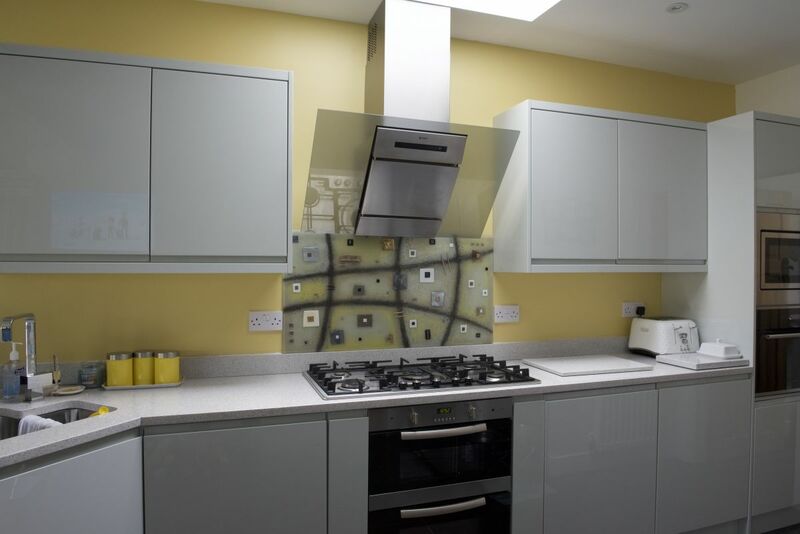 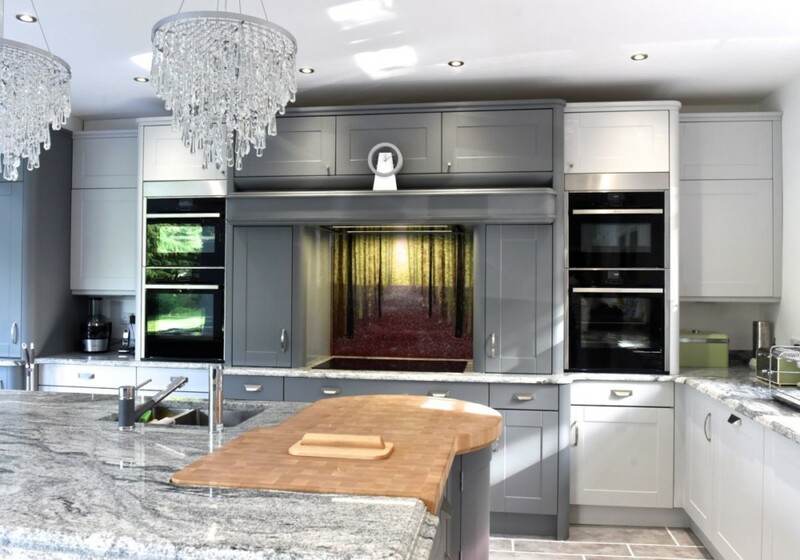 We’re definitely at the point where splashbacks are a common feature in kitchens across the UK, alongside their respective additional pieces such as surrounds and upstands. 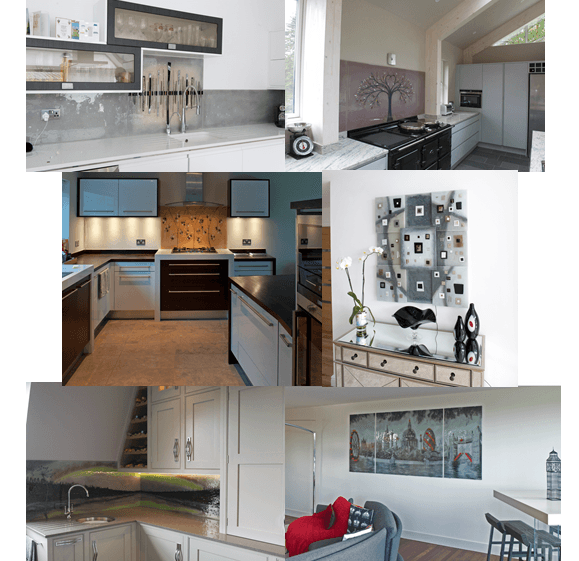 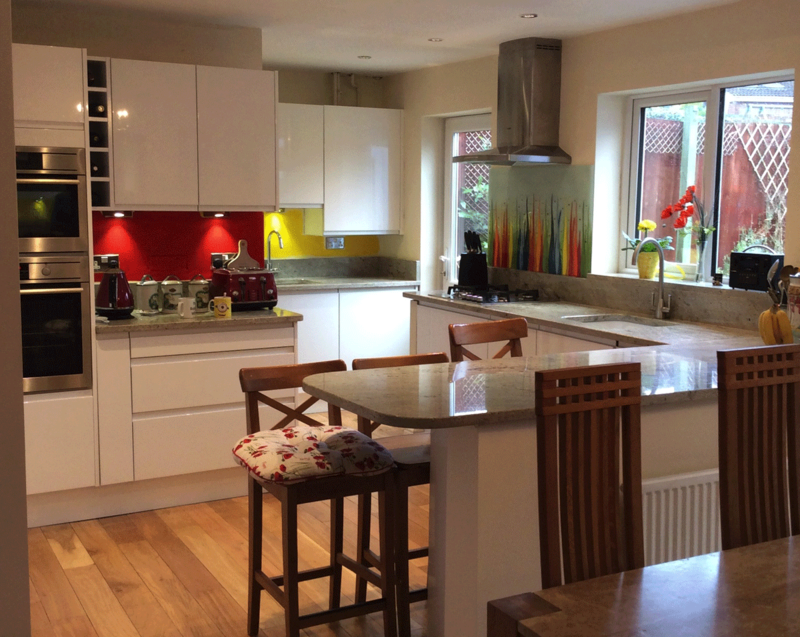 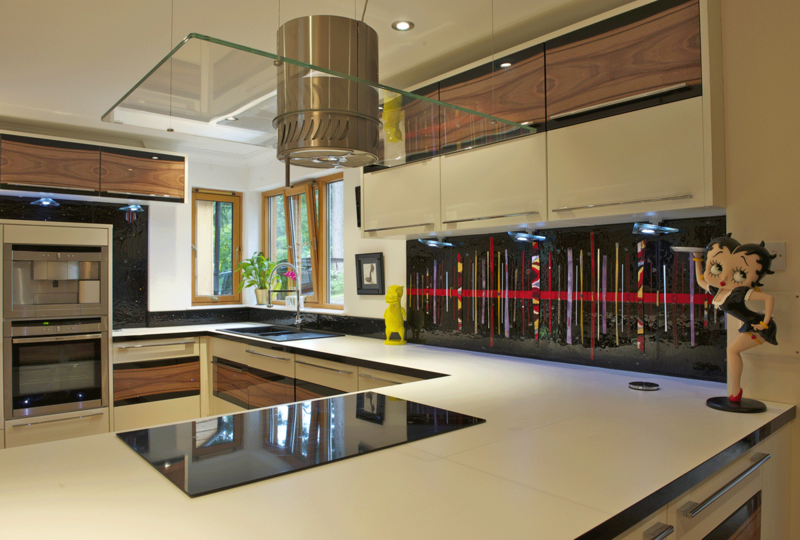 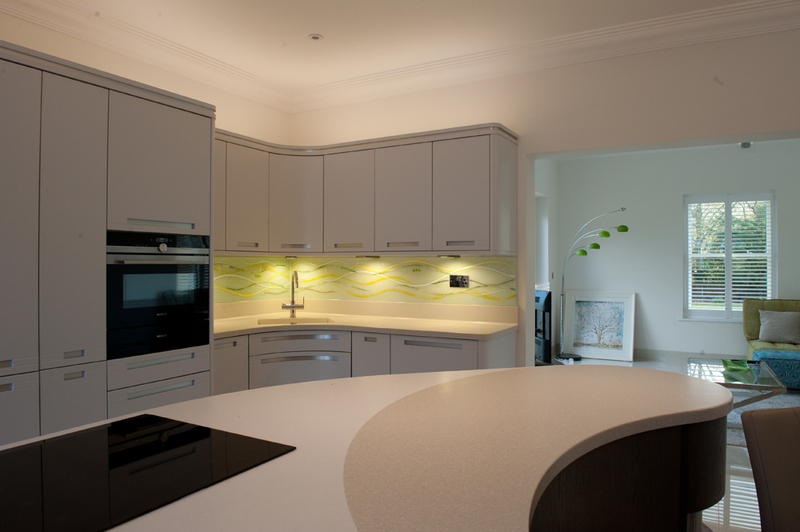 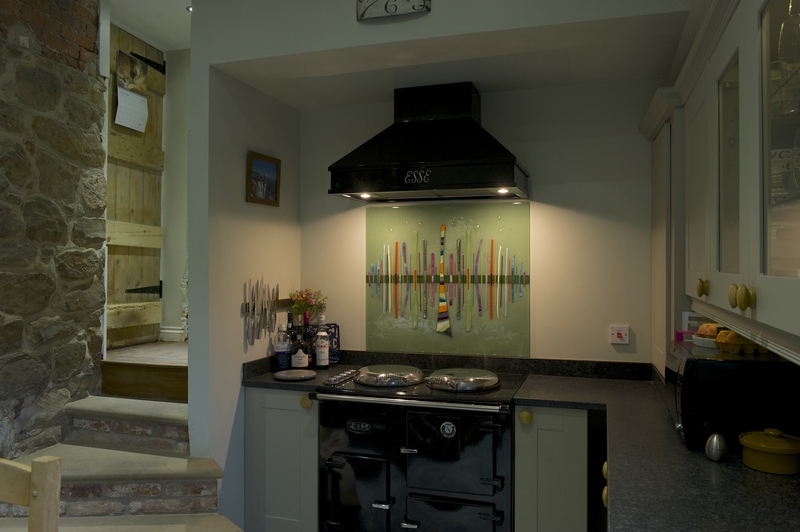 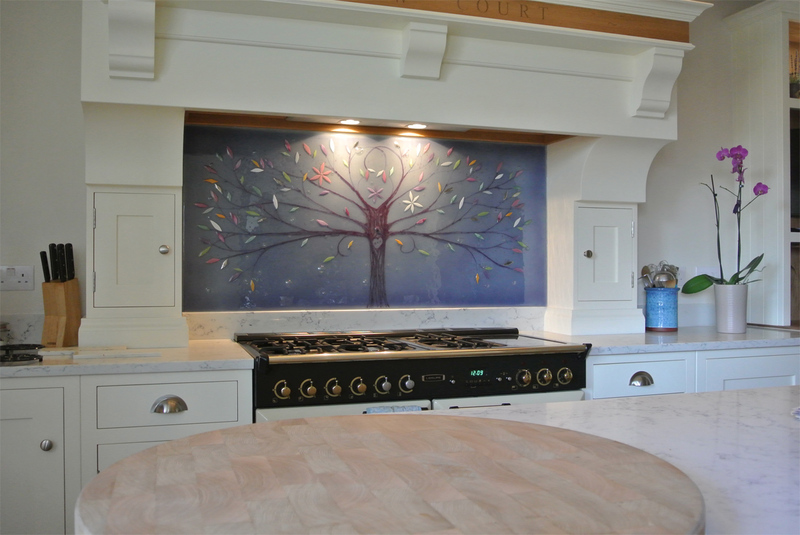 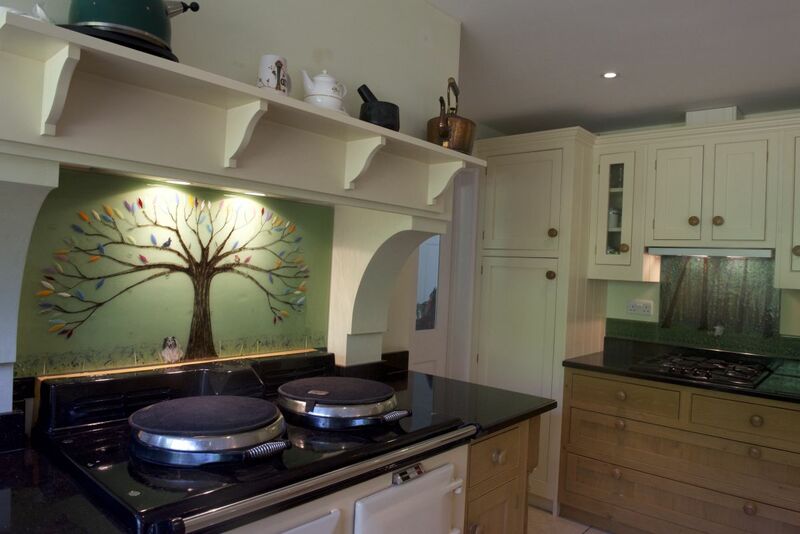 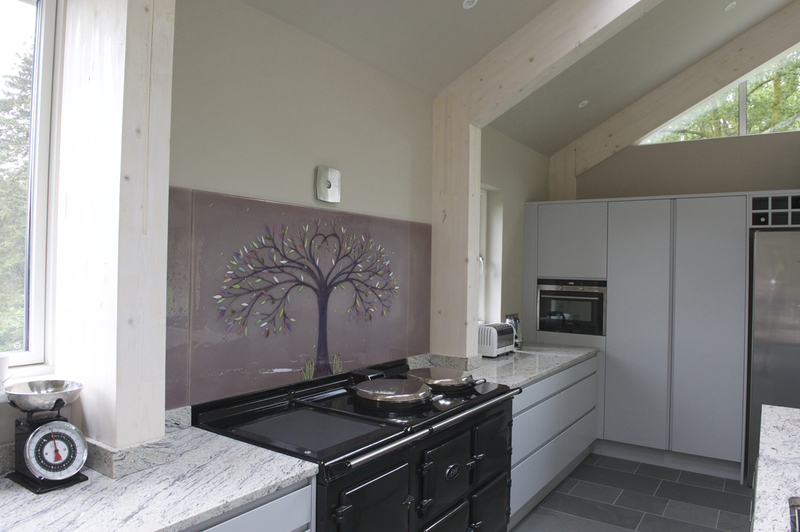 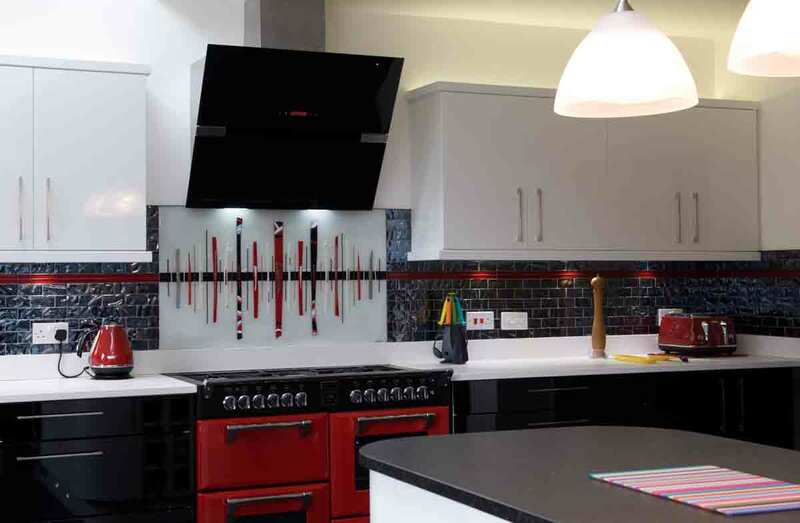 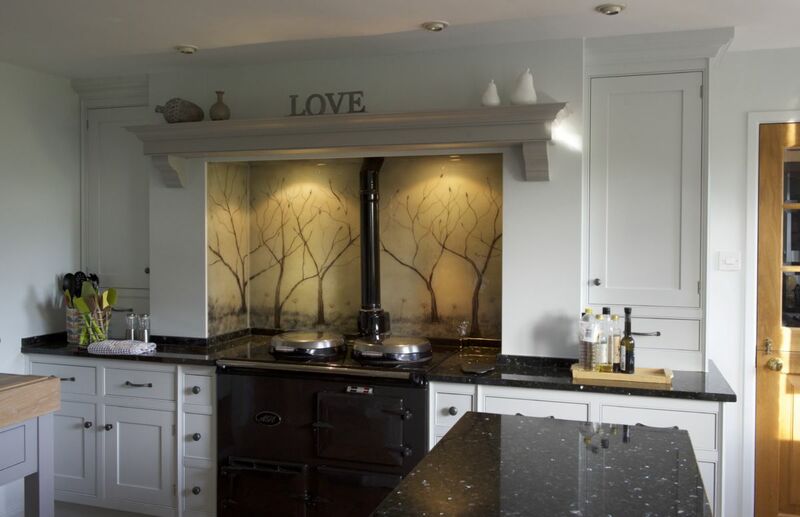 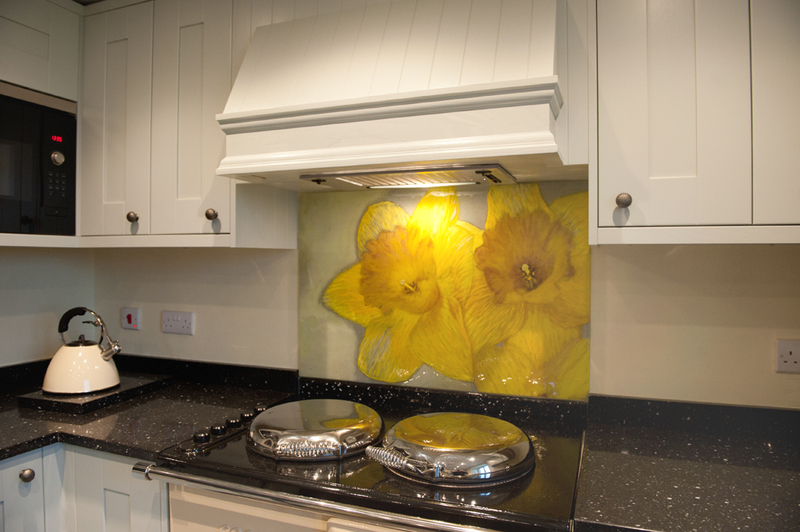 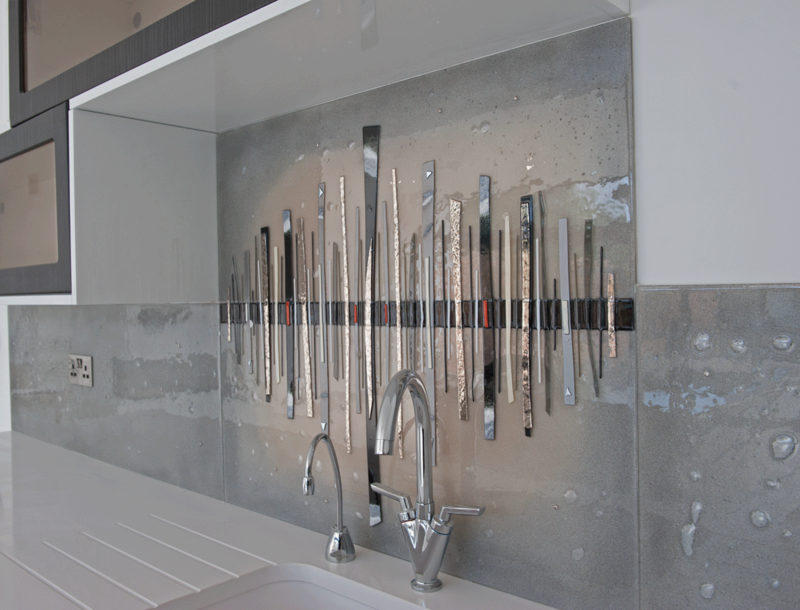 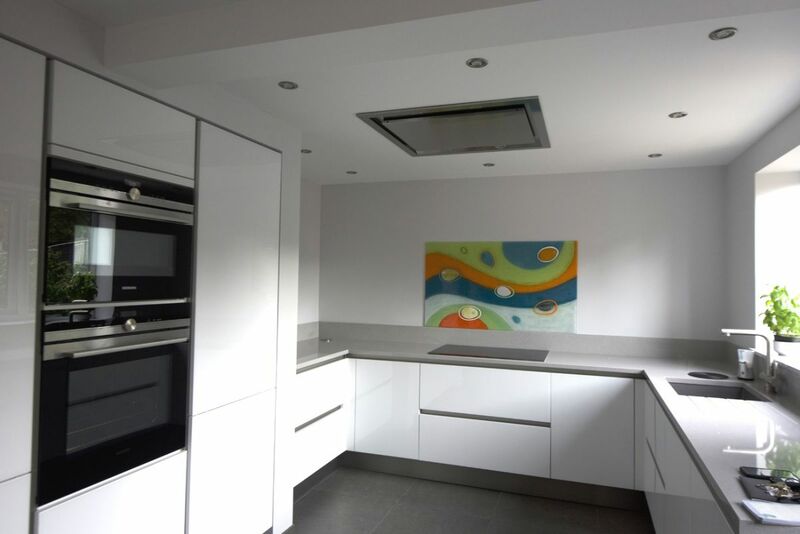 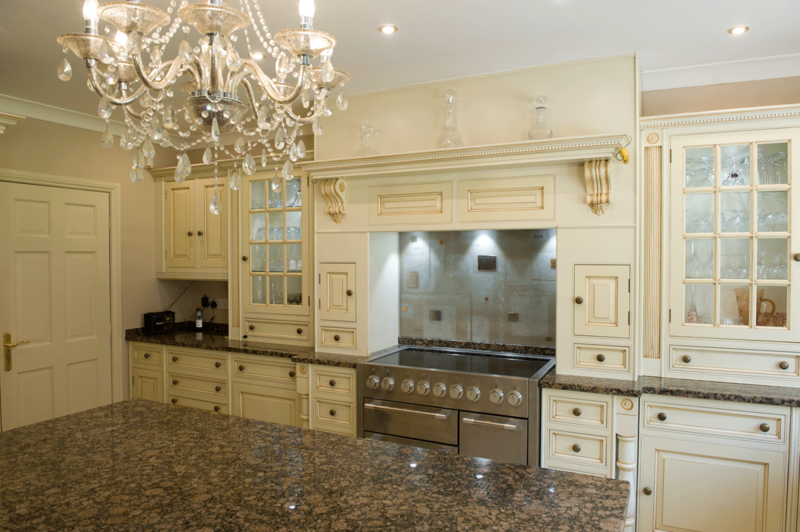 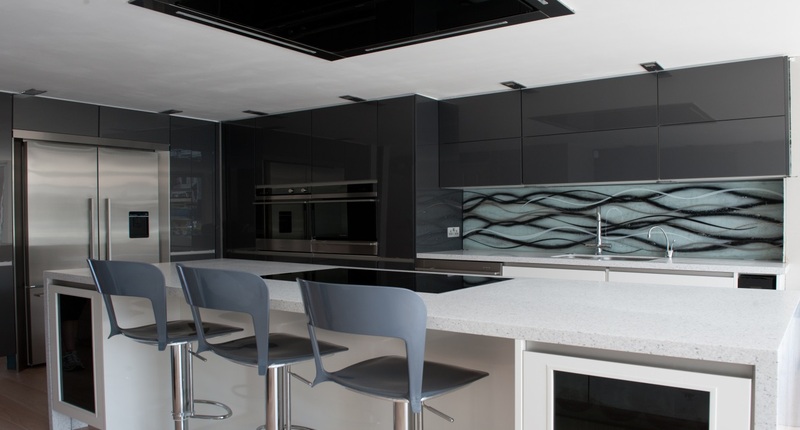 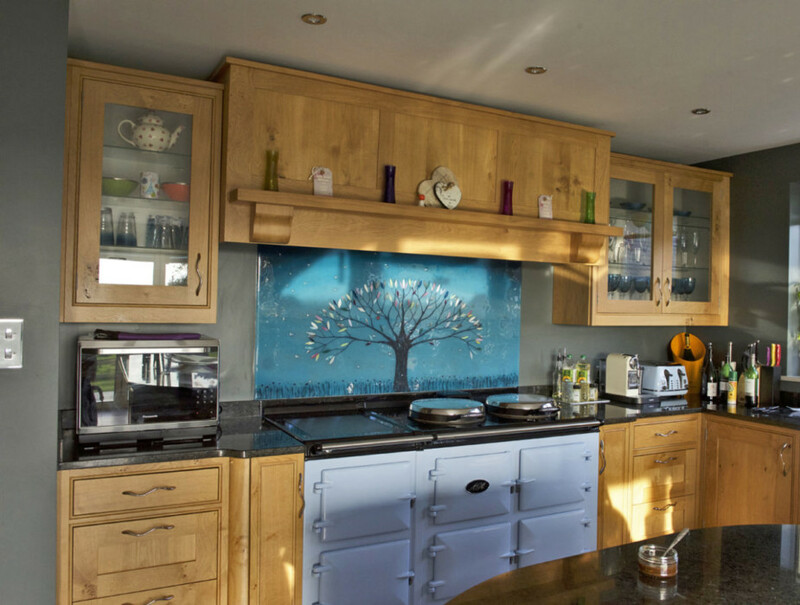 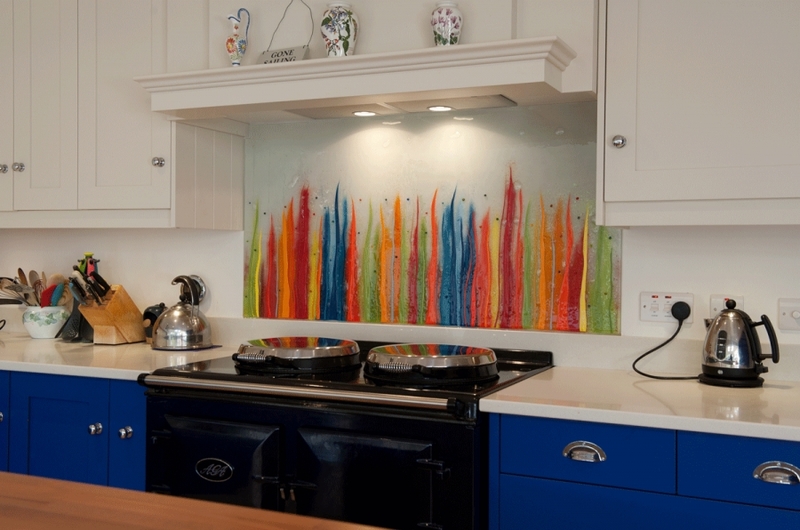 So, how can you make your kitchen standout if you’re looking to fit a splashback? 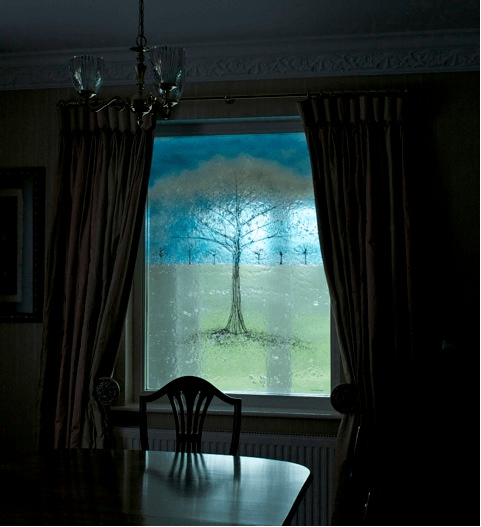 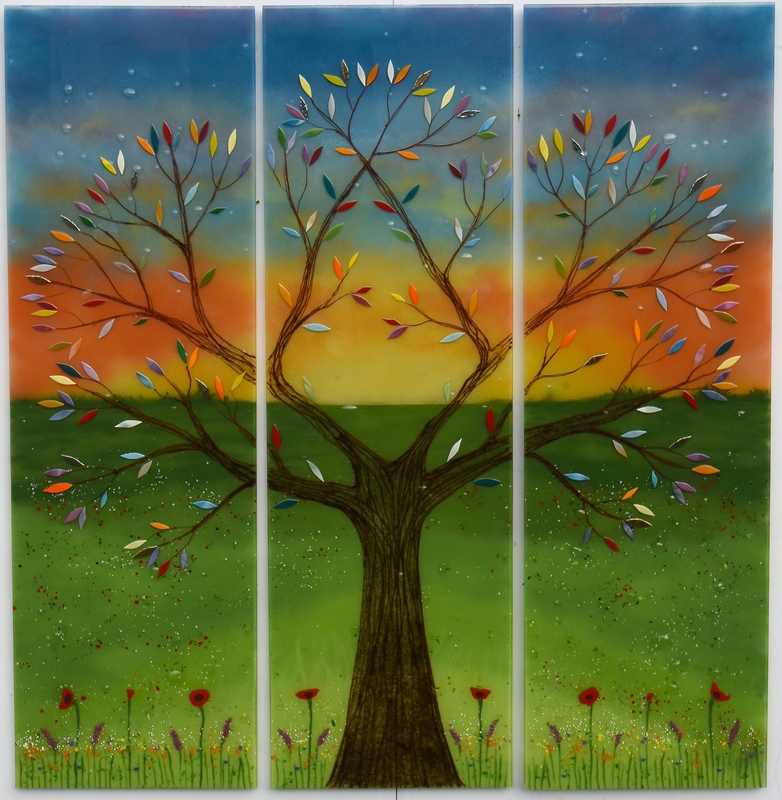 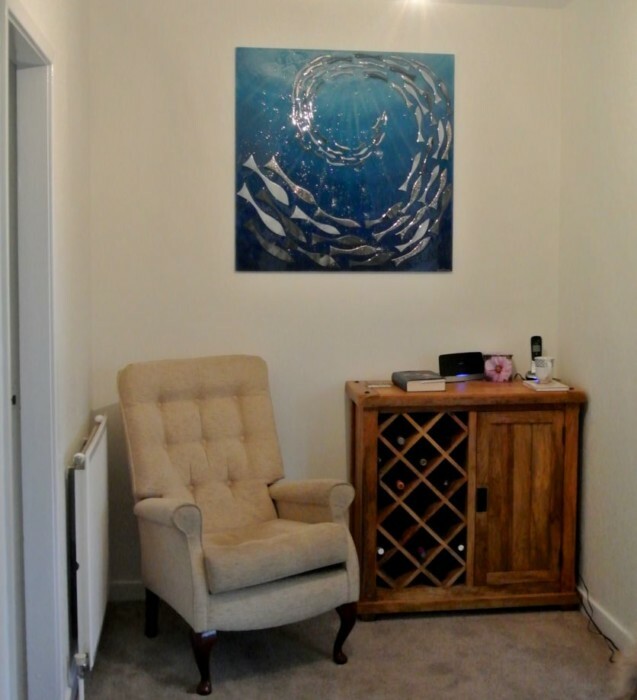 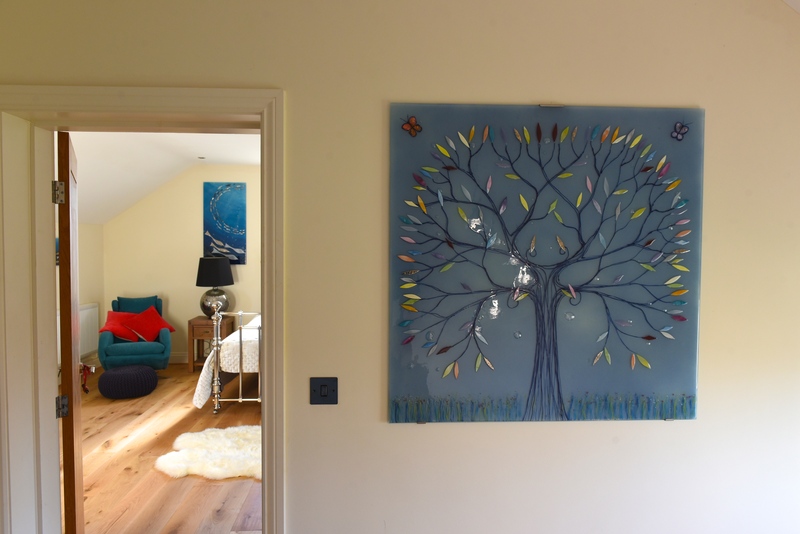 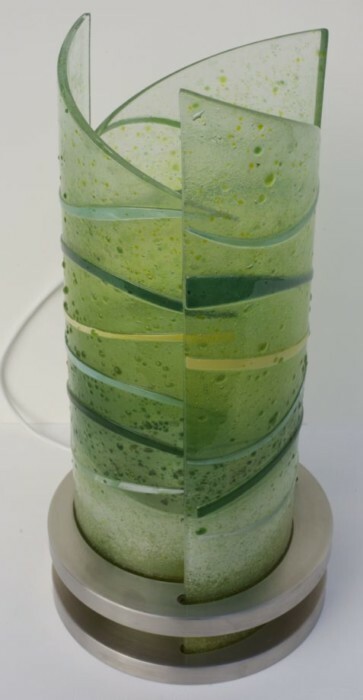 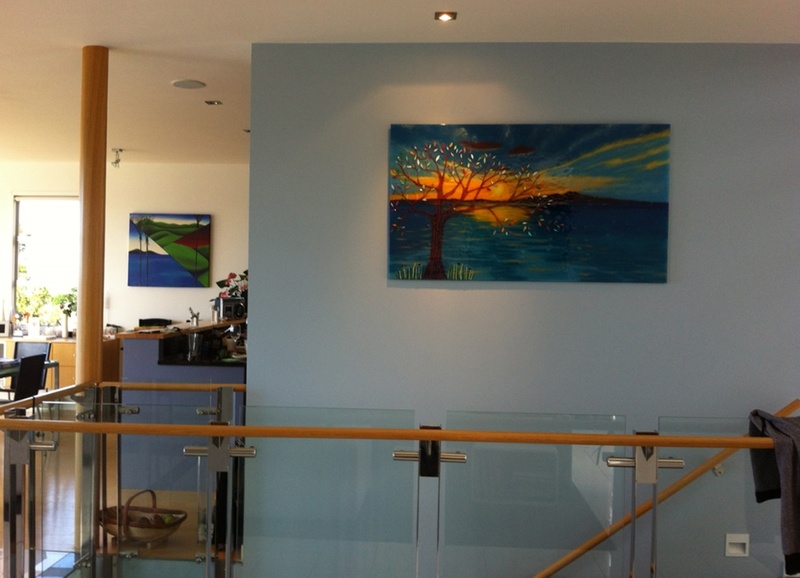 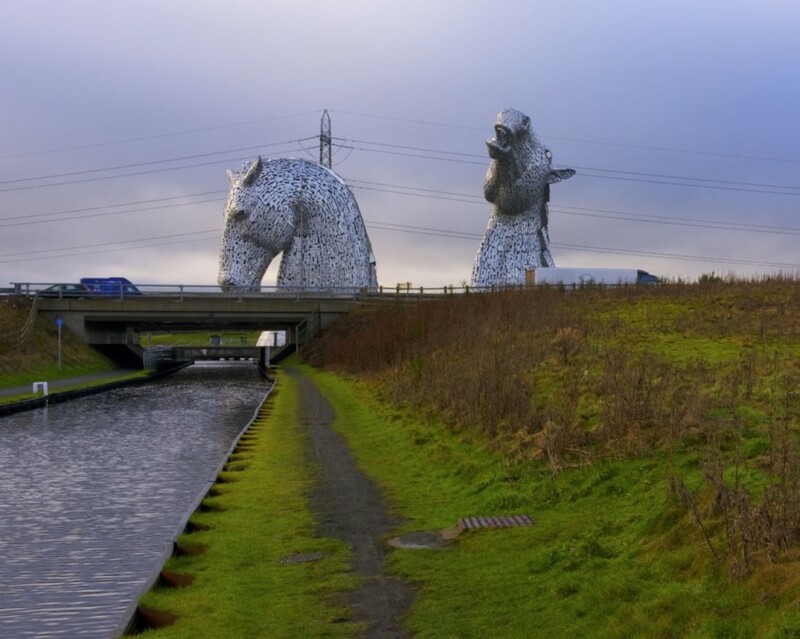 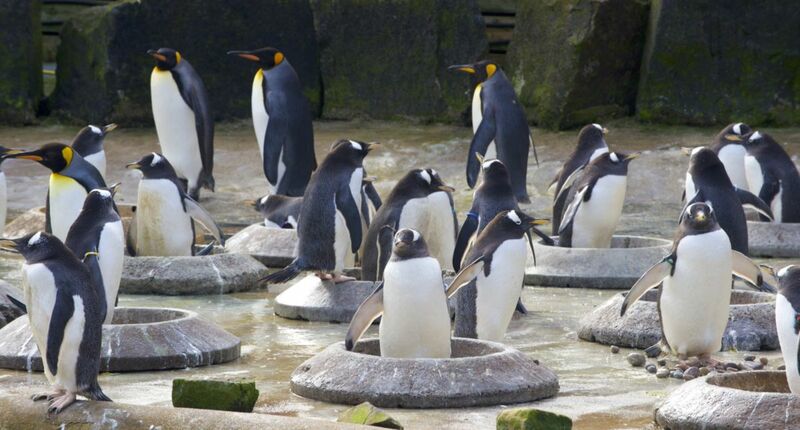 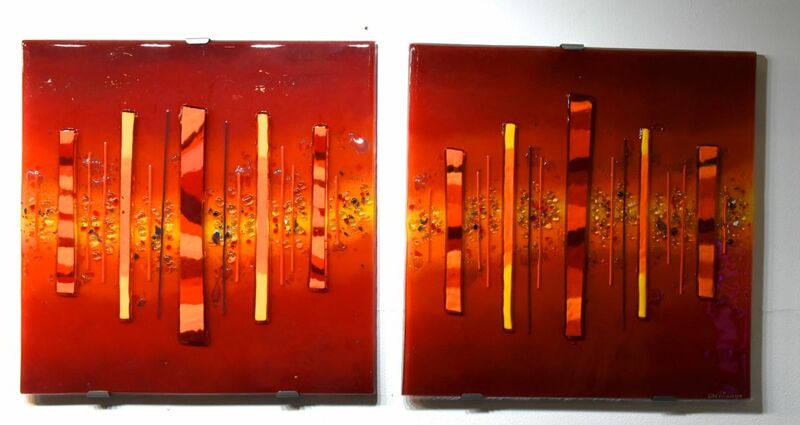 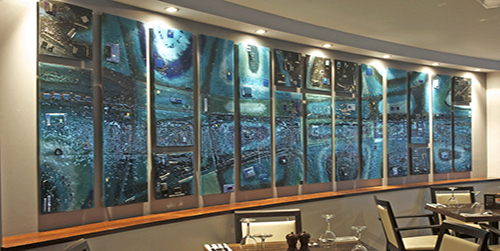 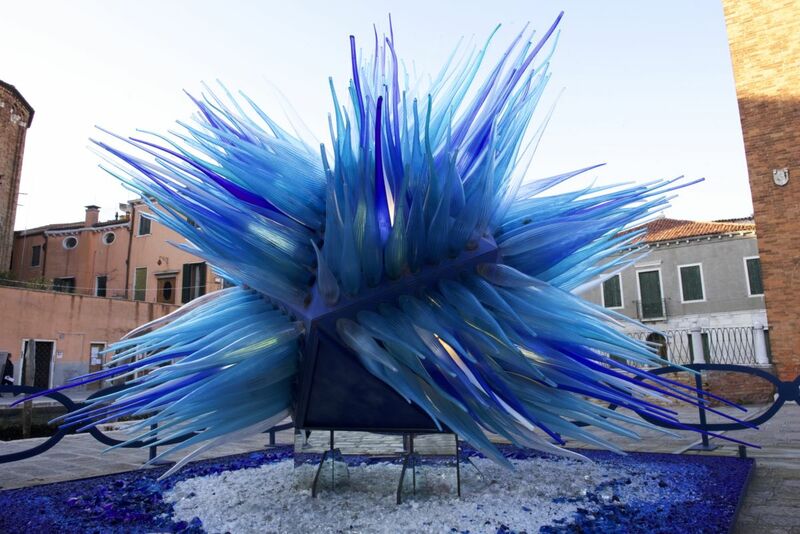 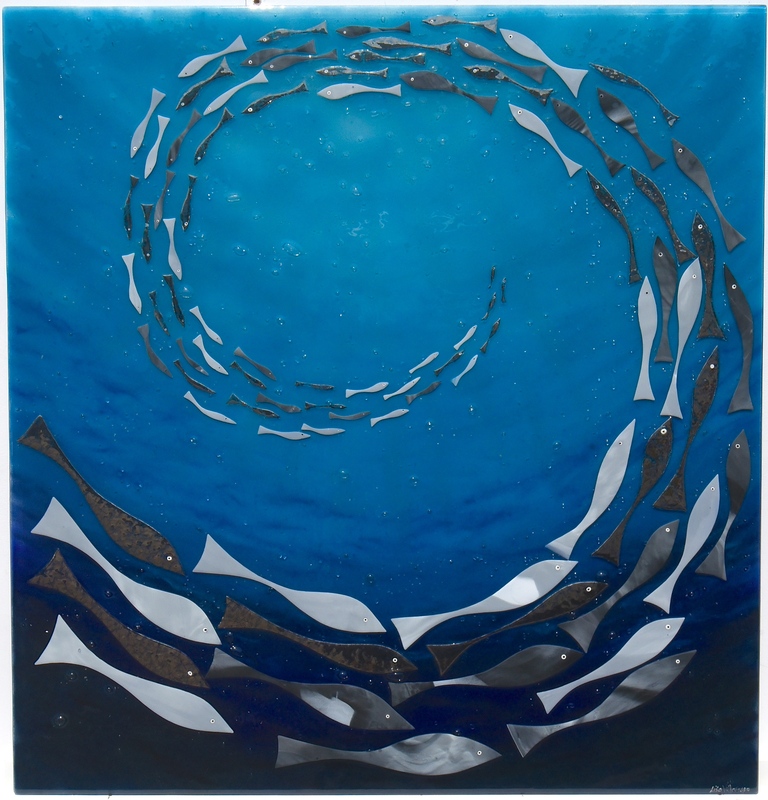 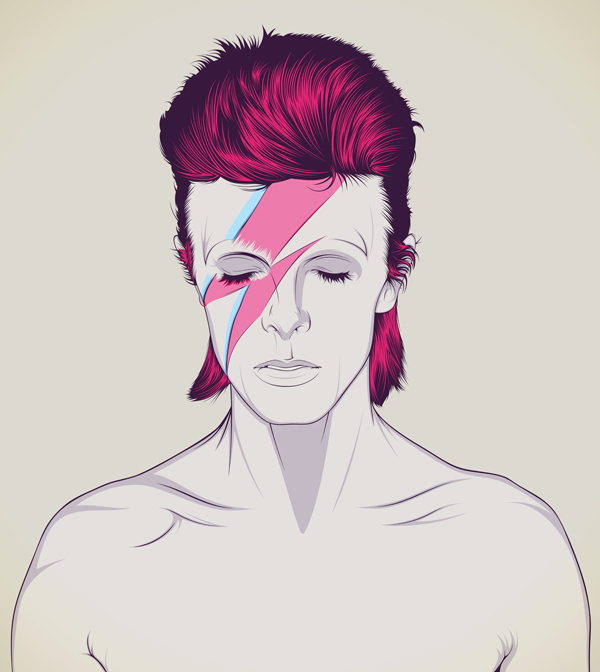 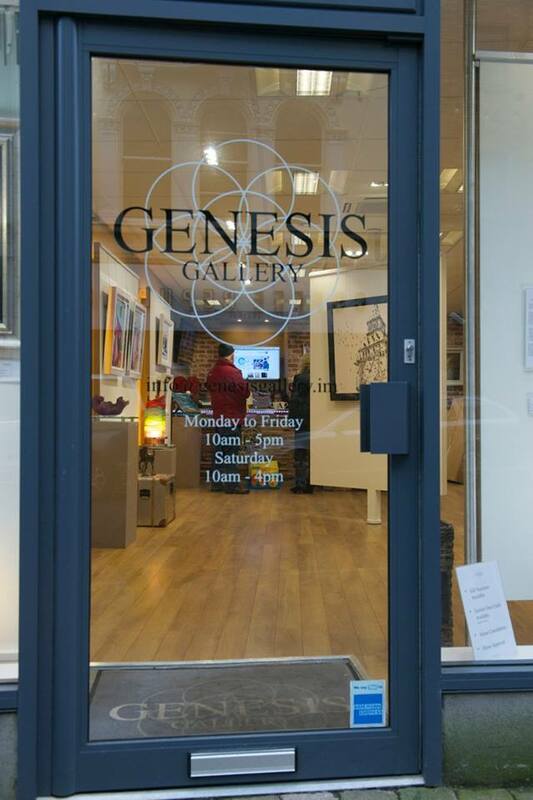 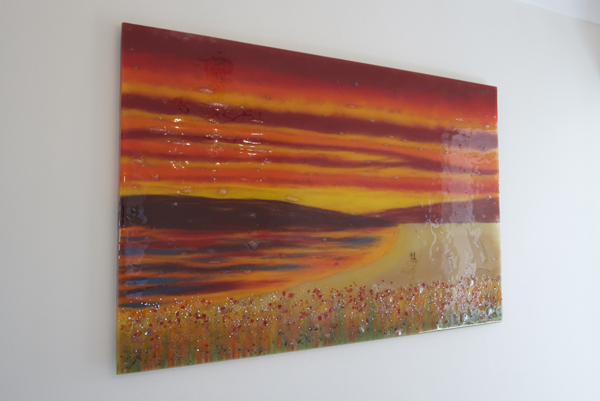 Well, we have an idea, and it’s to do with combining images with fused glass art. 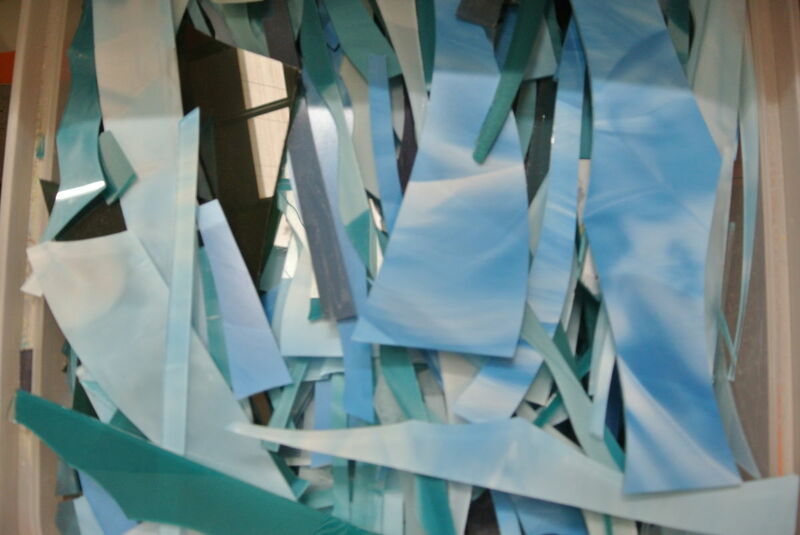 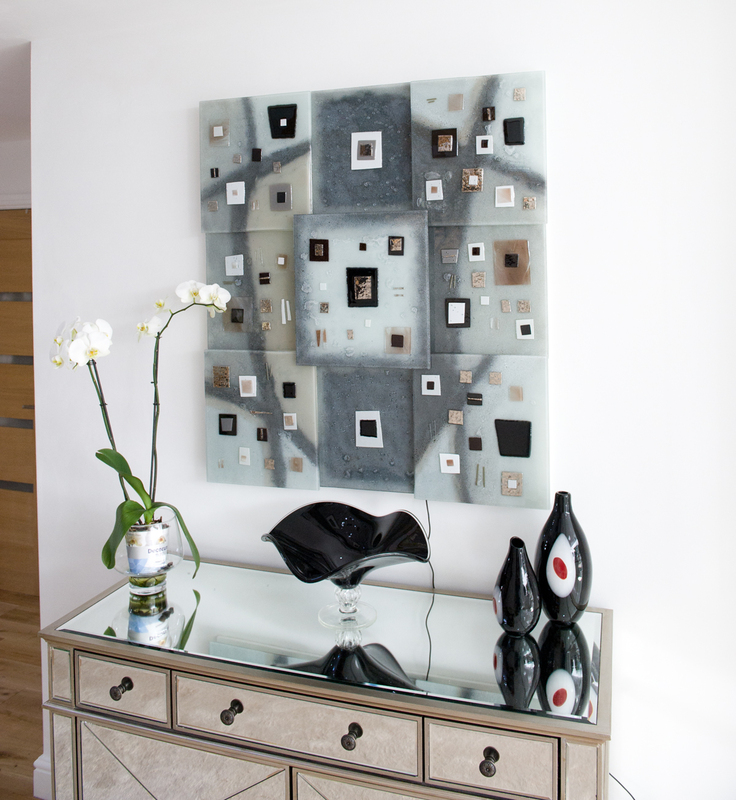 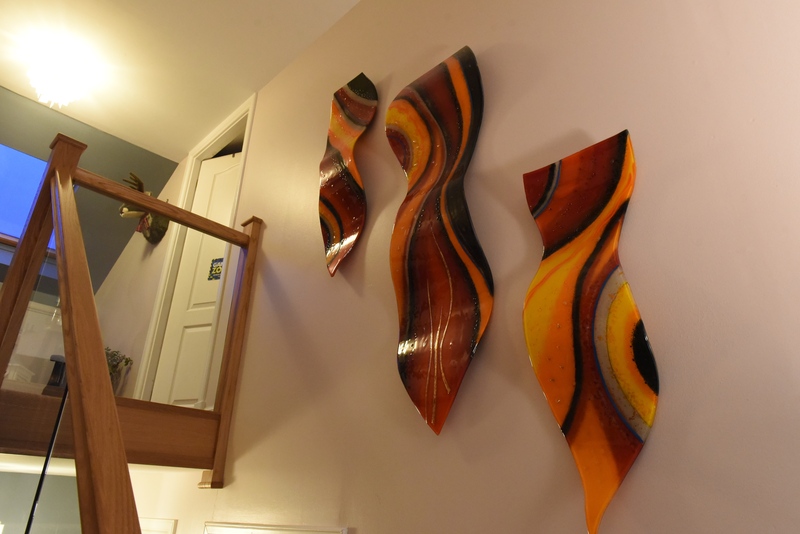 Specifically, we’re talking about including a piece that emulates a more traditionally painted style! 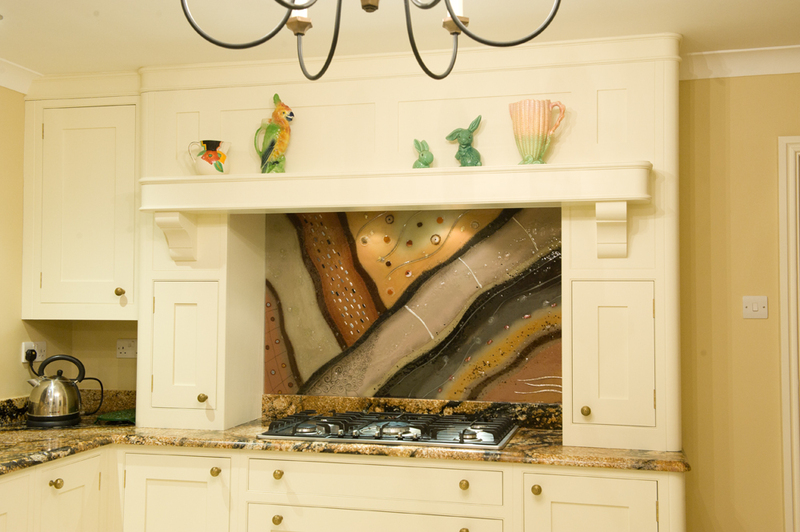 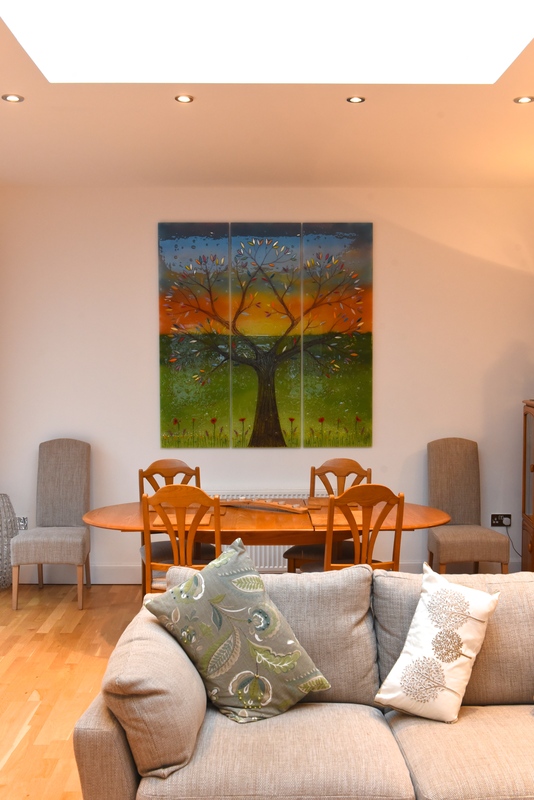 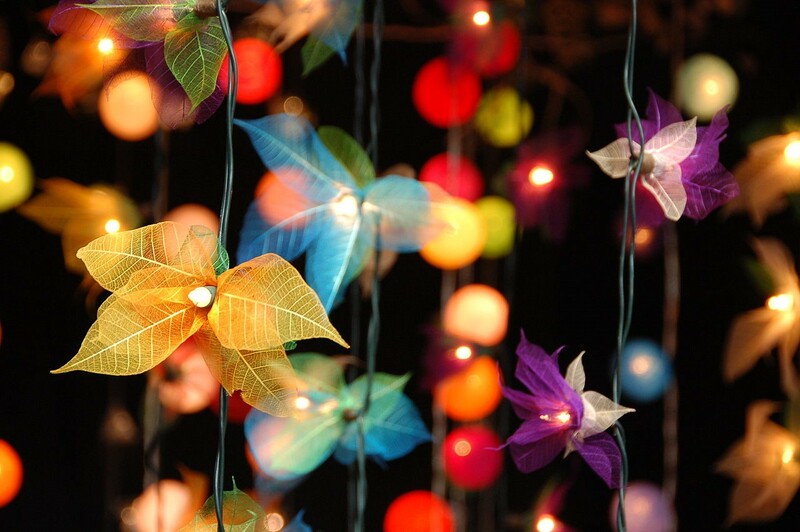 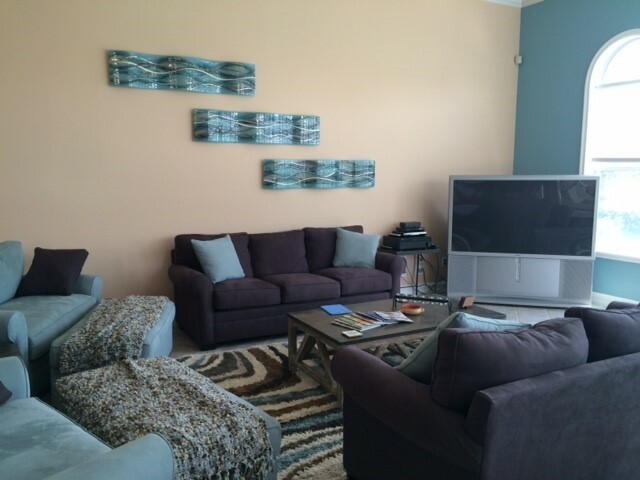 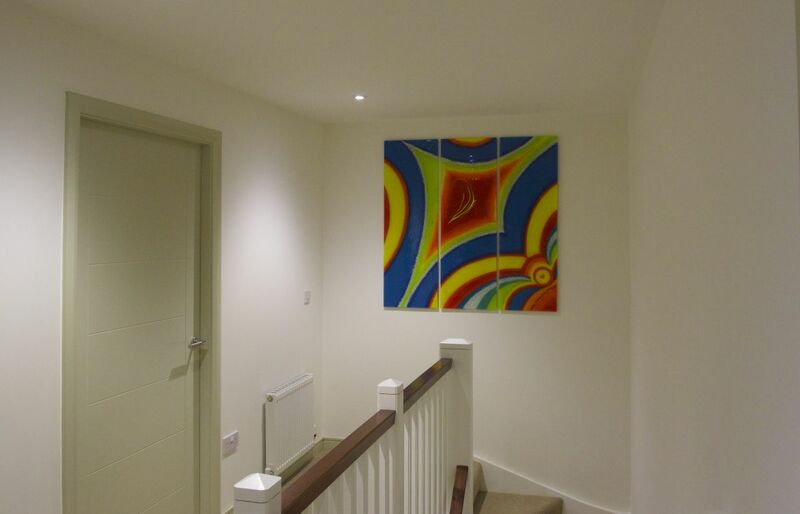 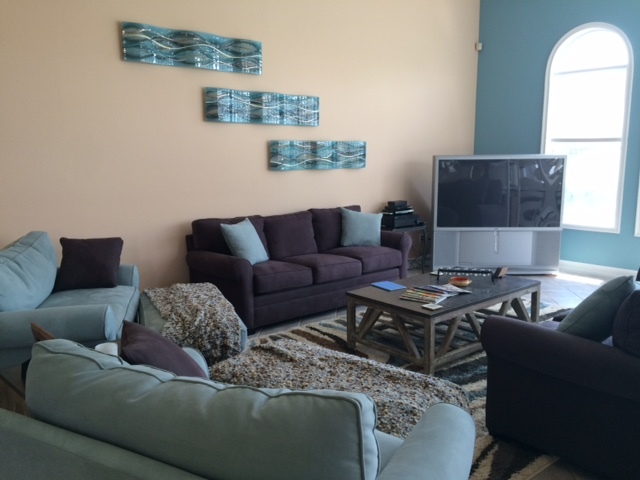 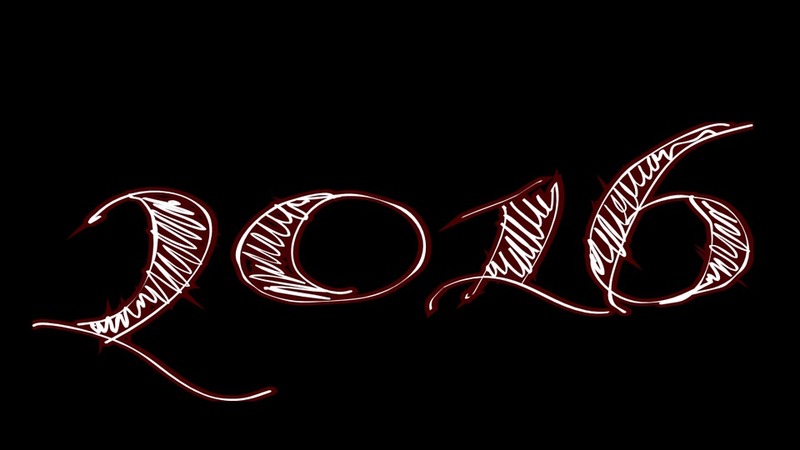 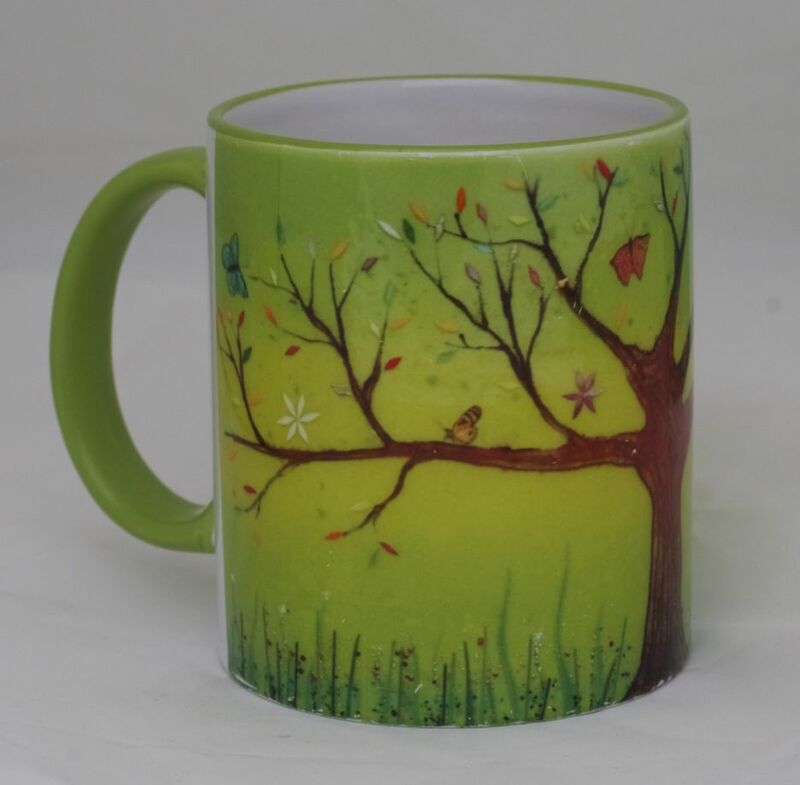 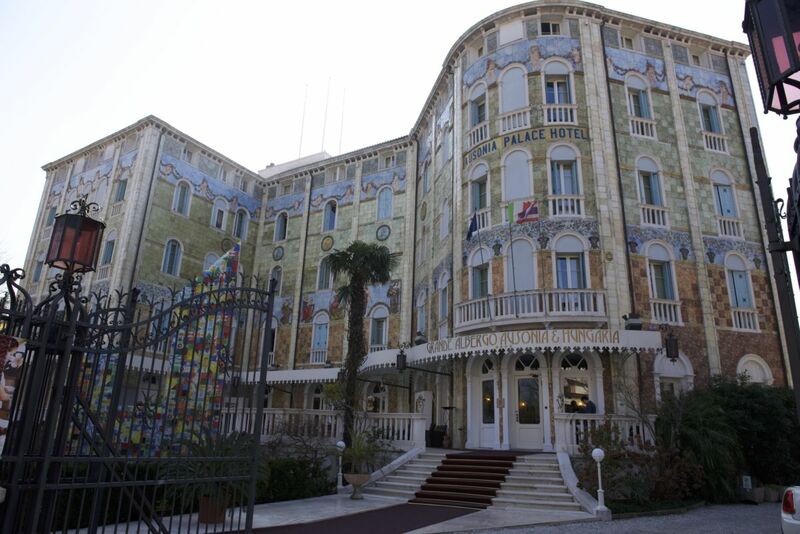 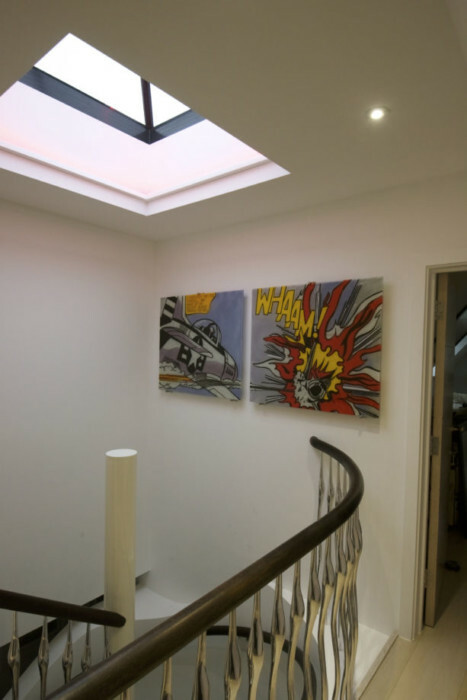 Paintings and painterly designs are actually some of the most commonly requested designs that we get, believe it or not. 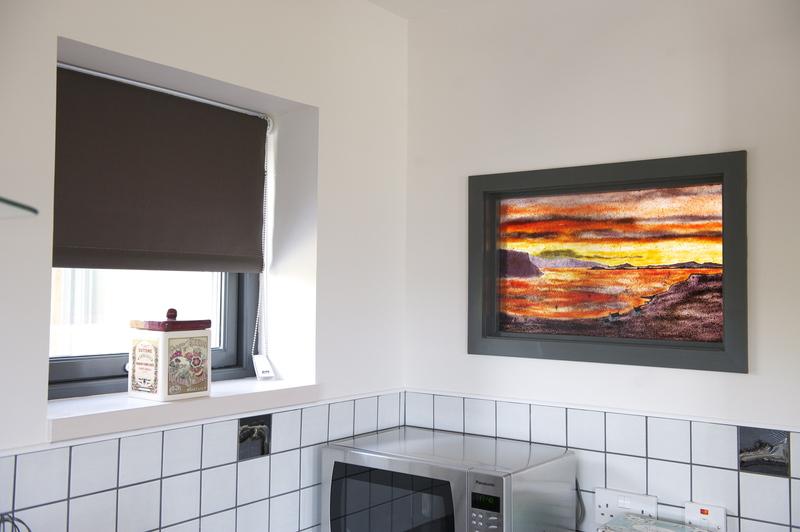 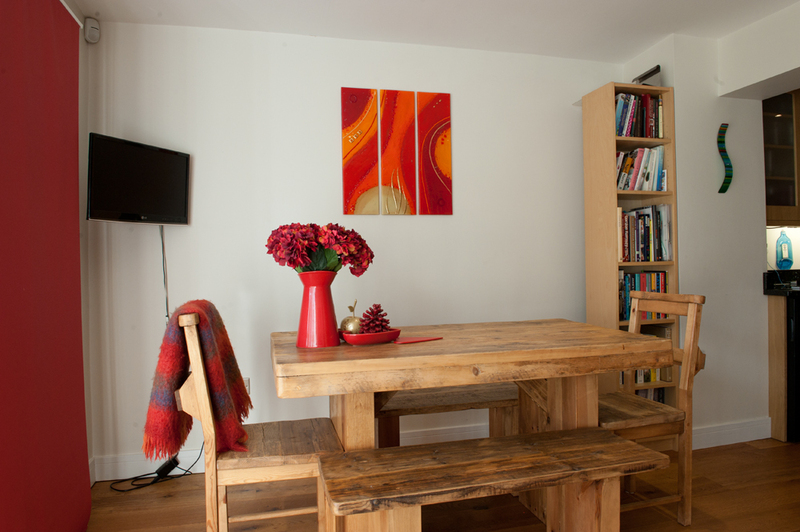 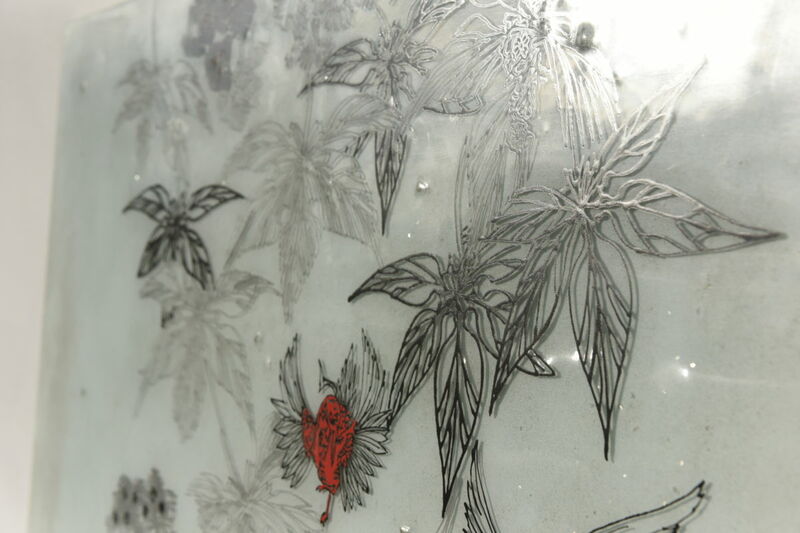 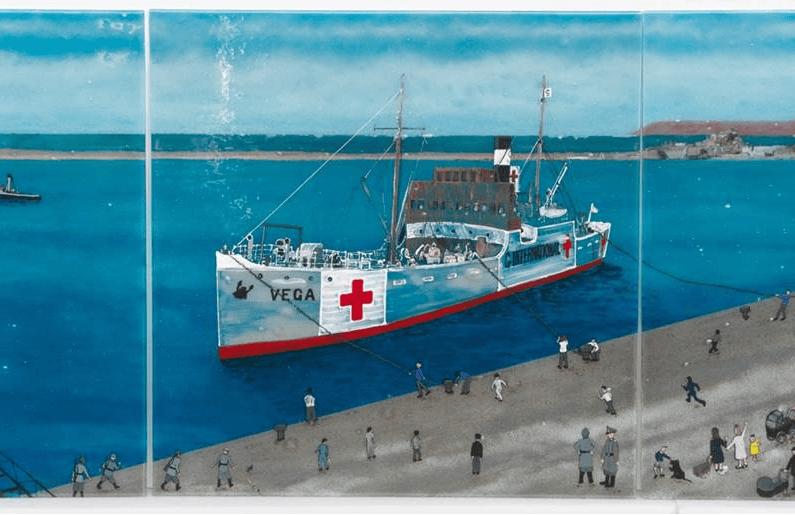 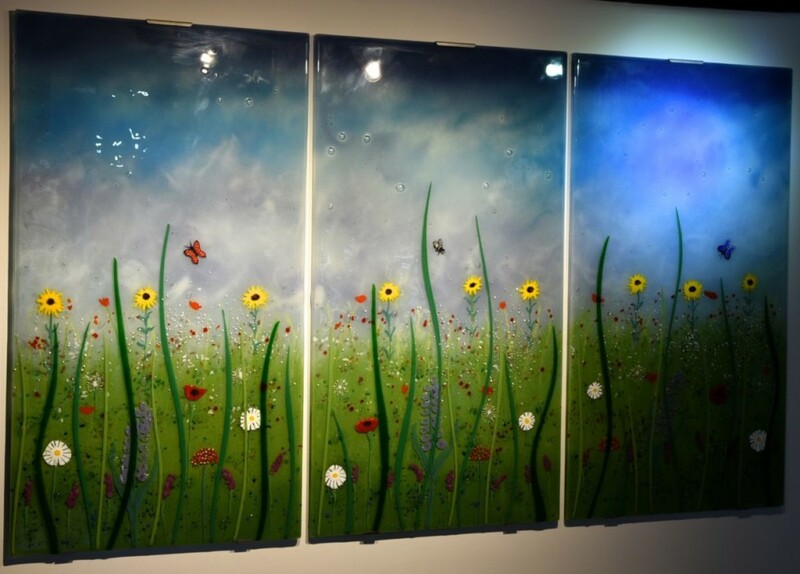 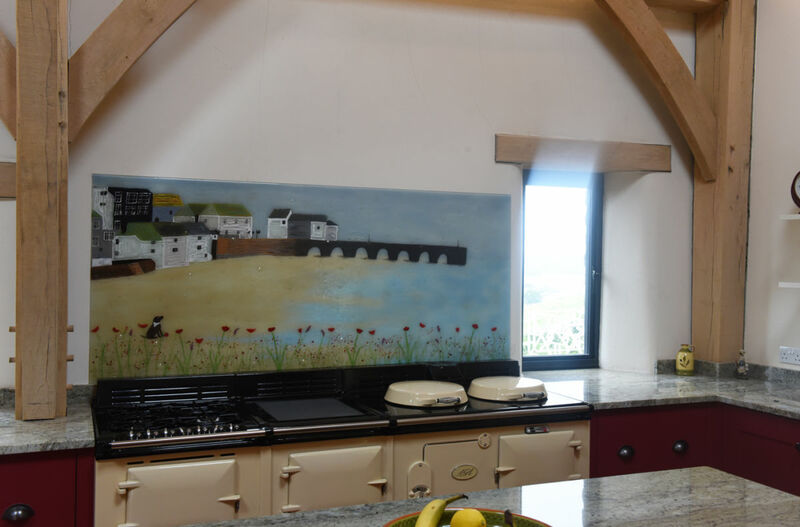 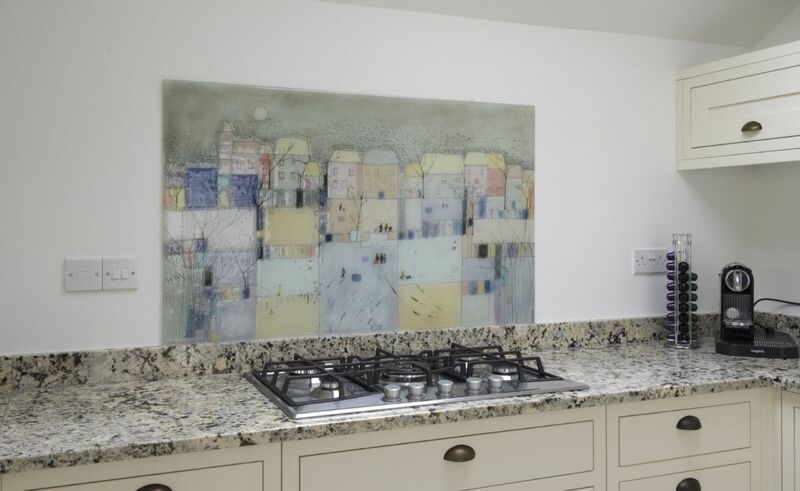 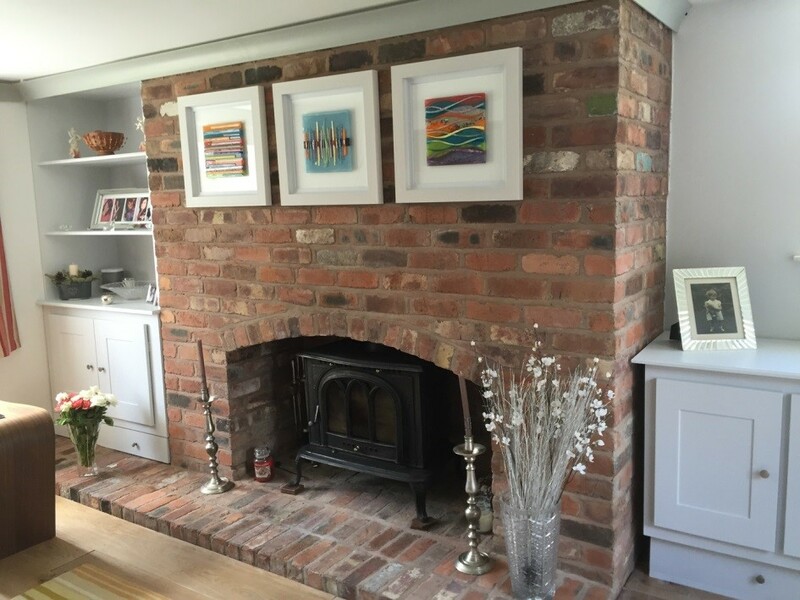 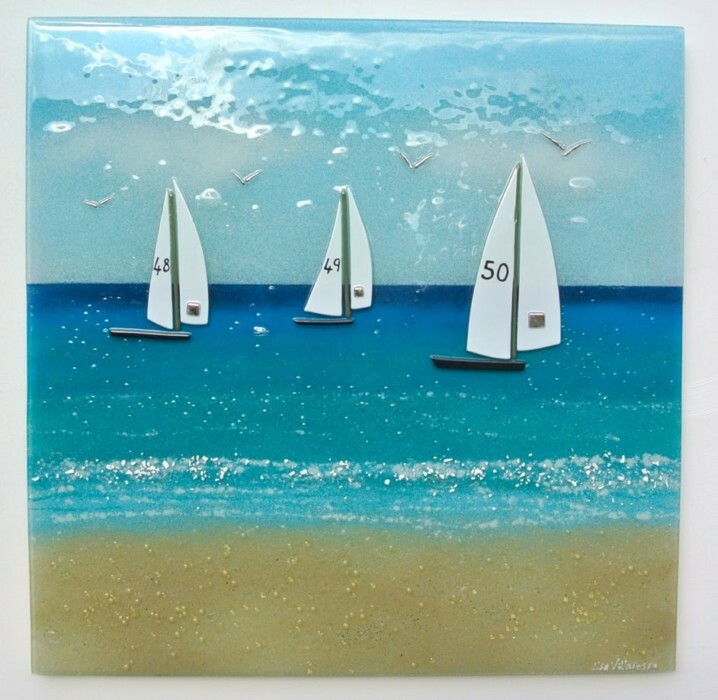 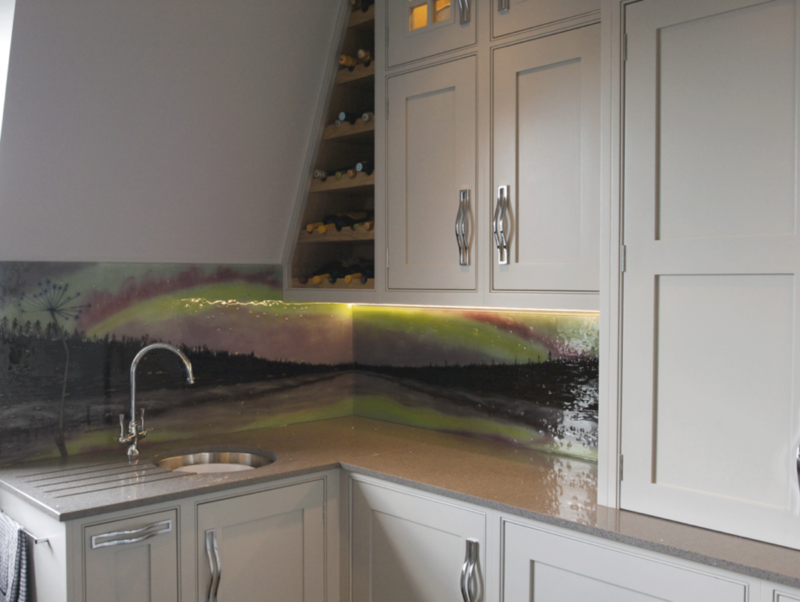 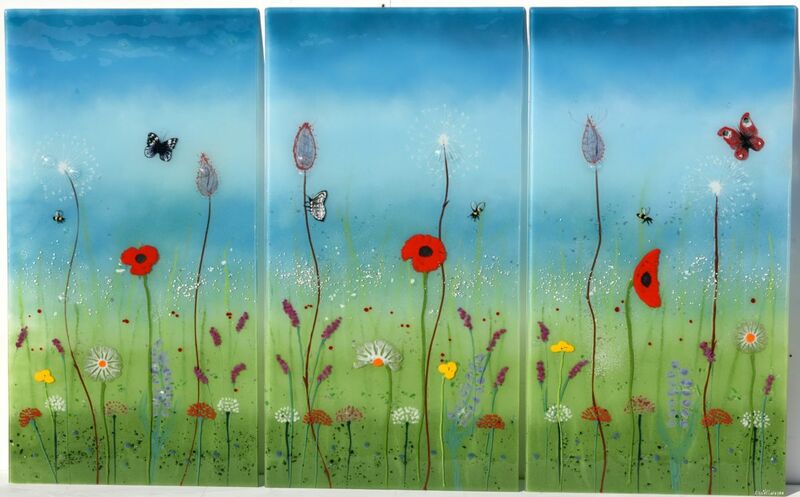 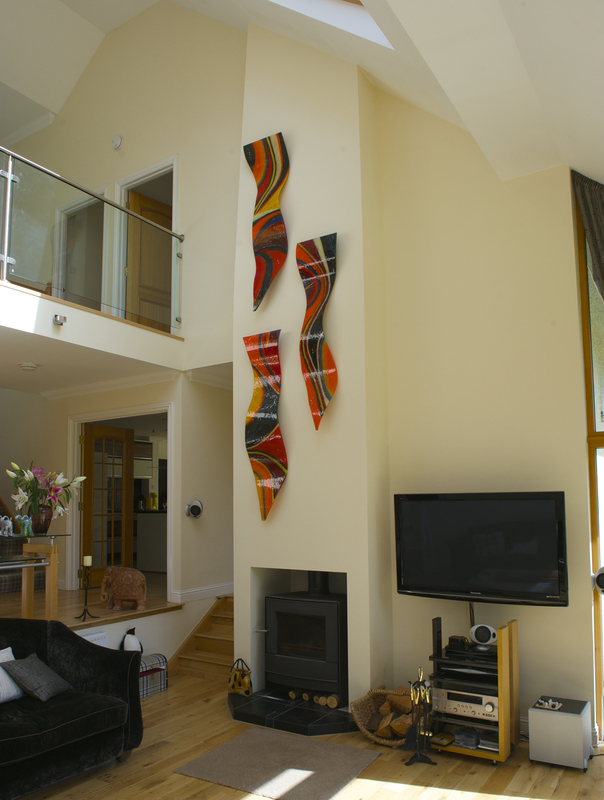 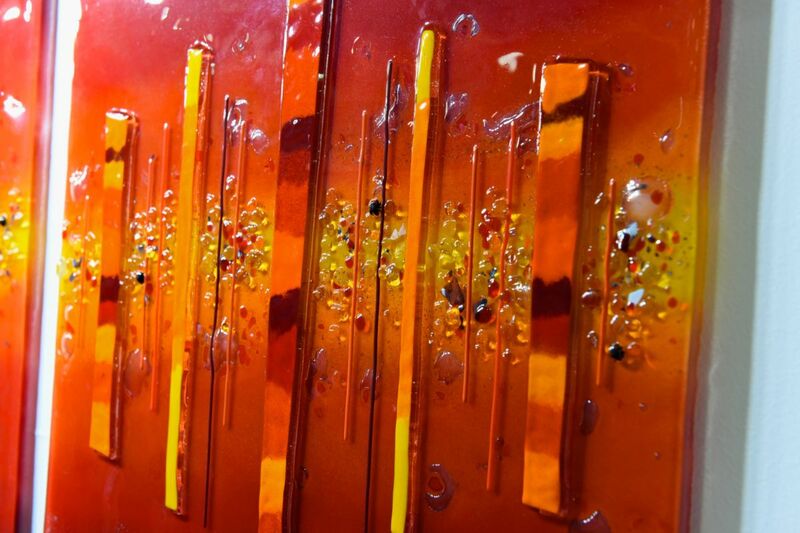 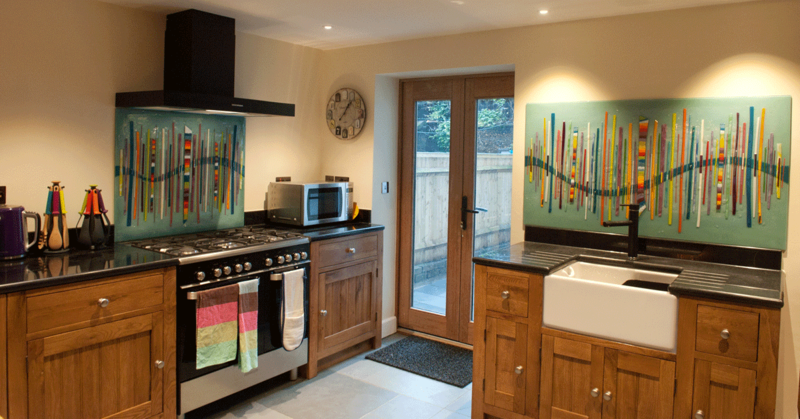 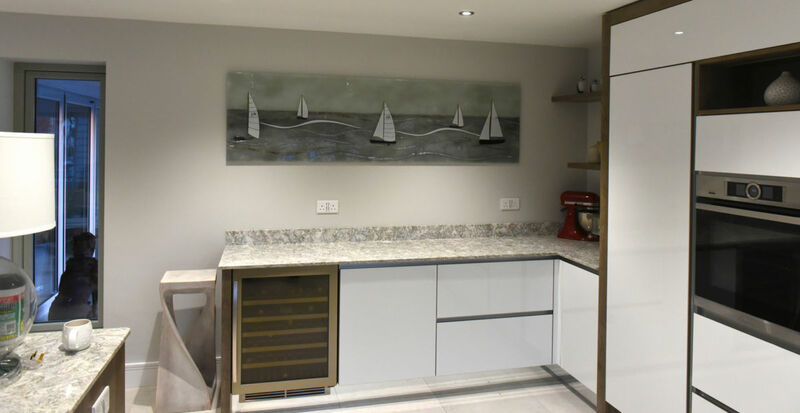 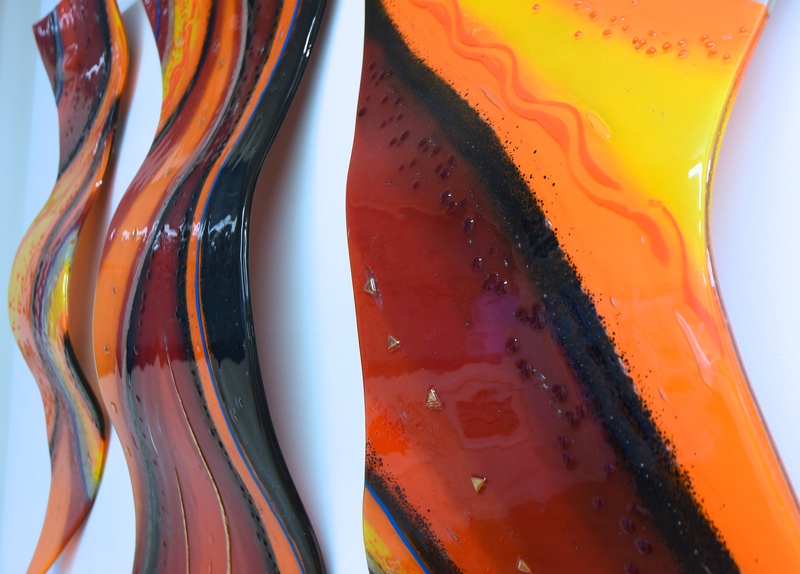 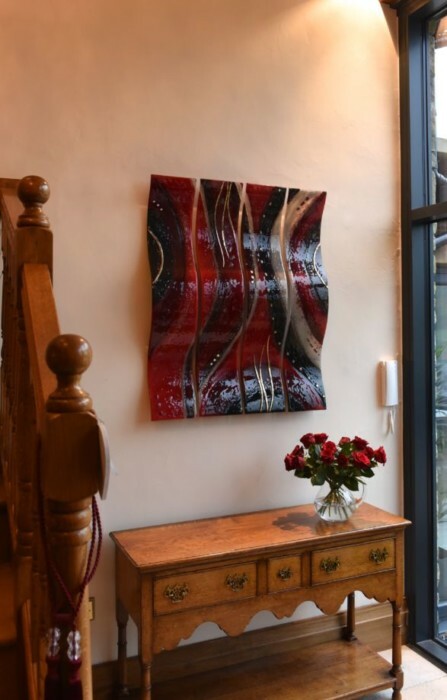 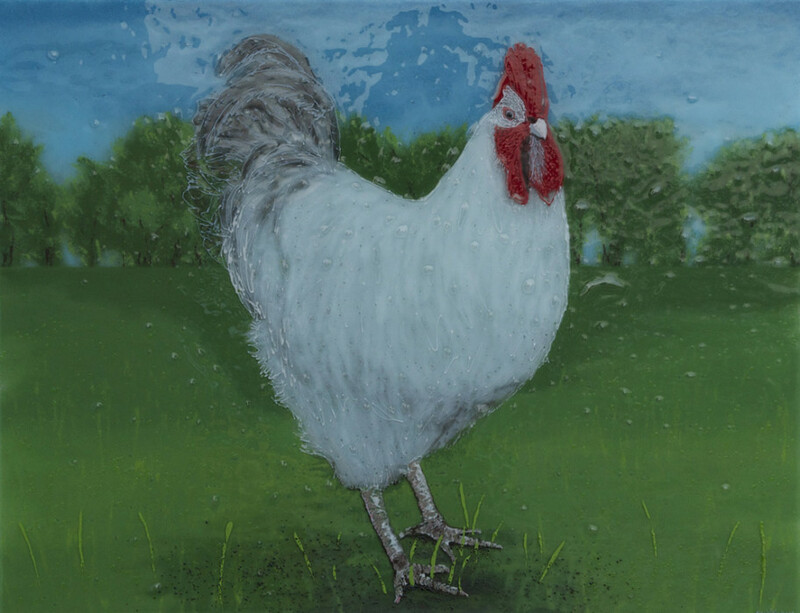 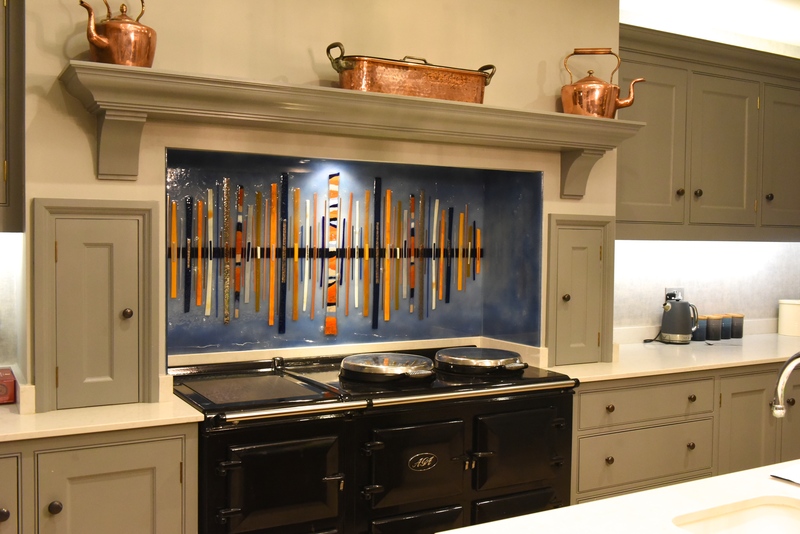 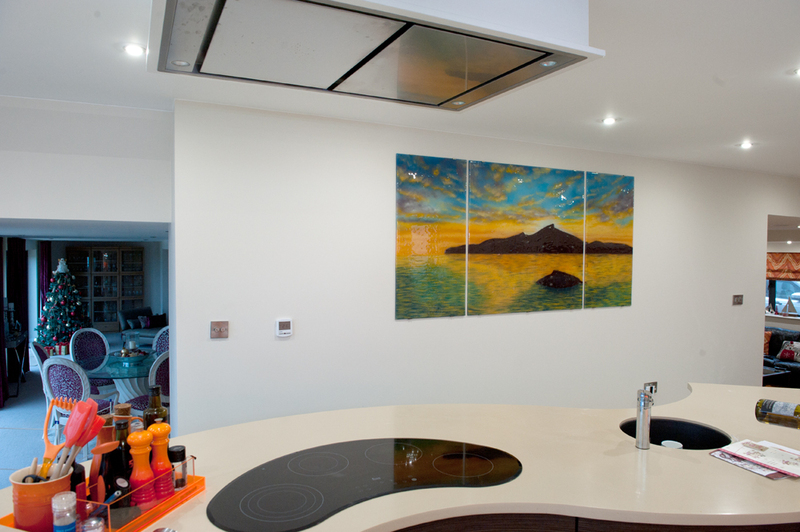 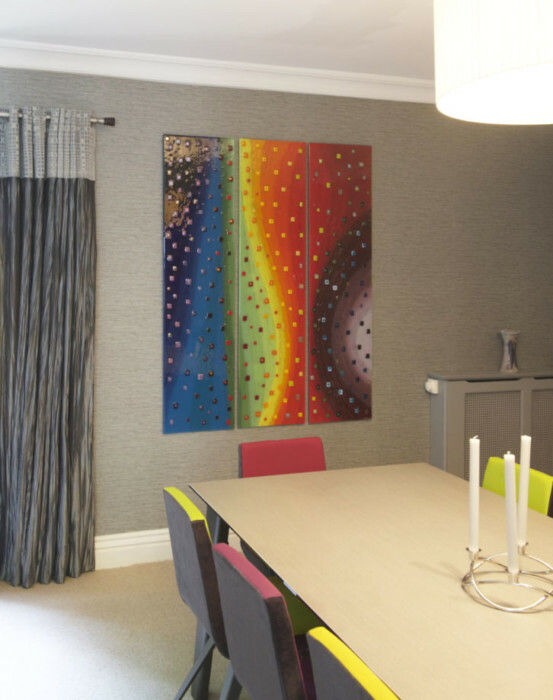 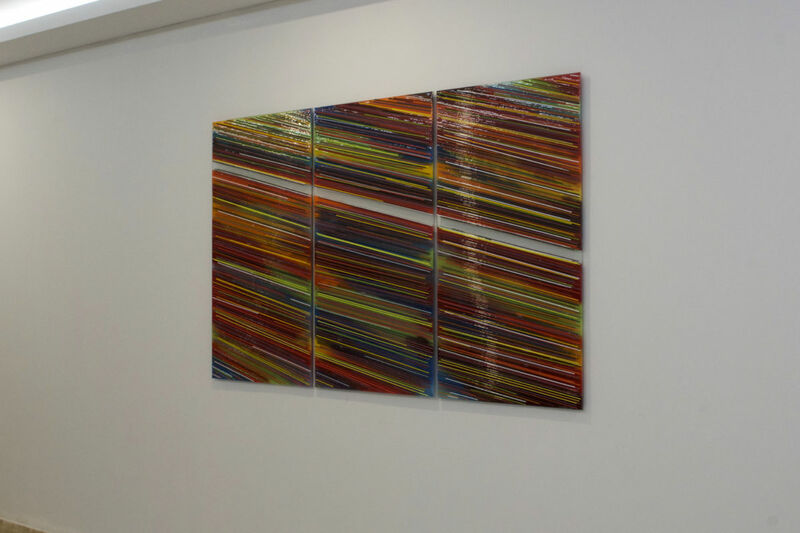 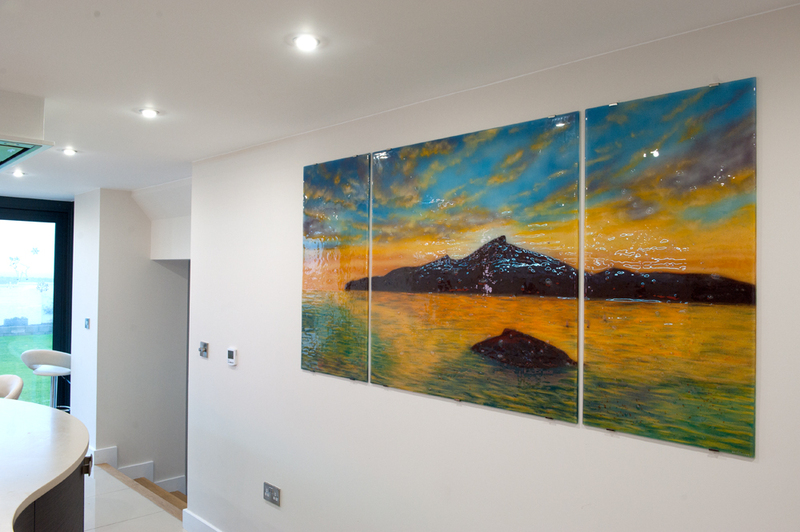 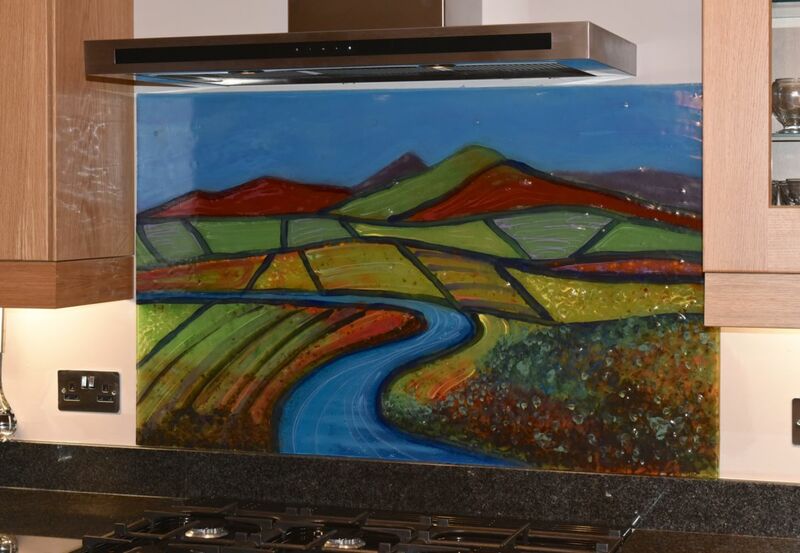 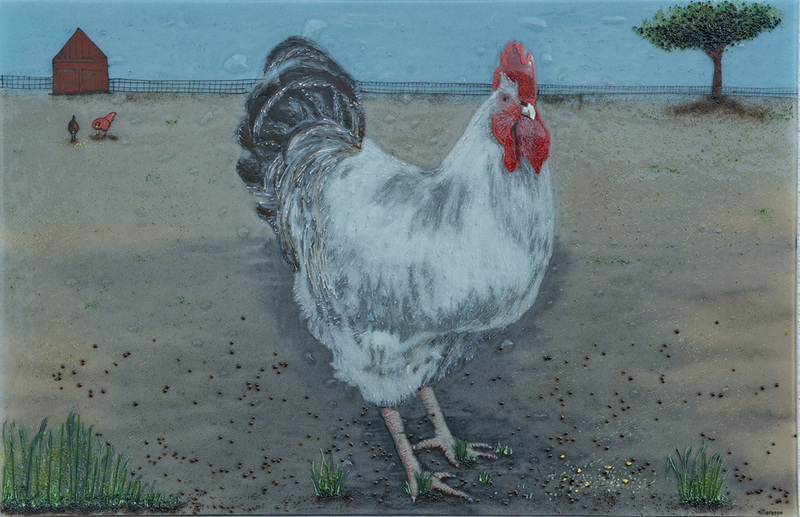 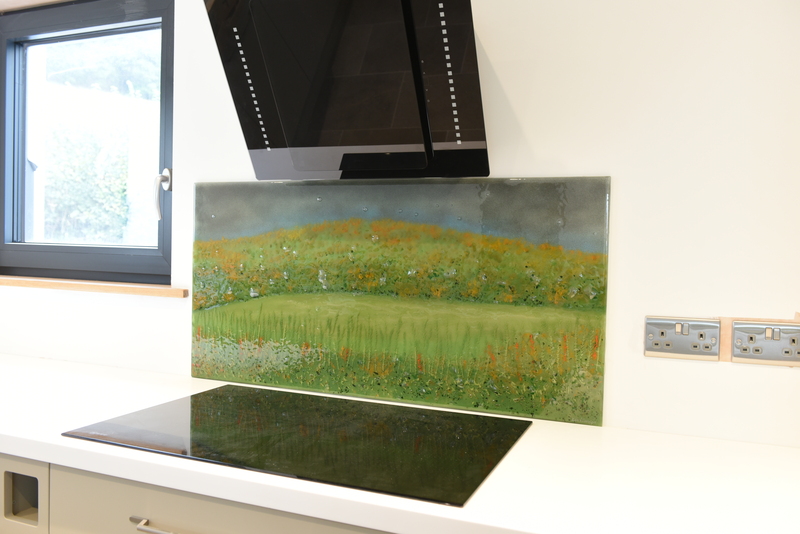 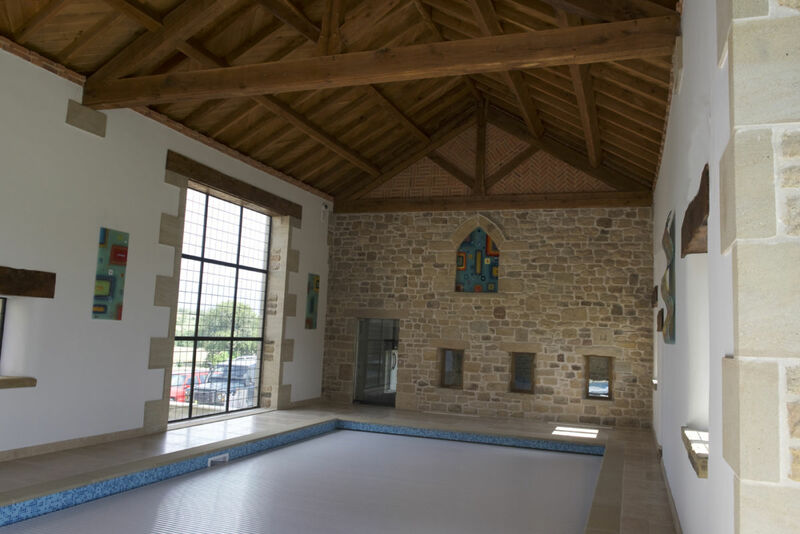 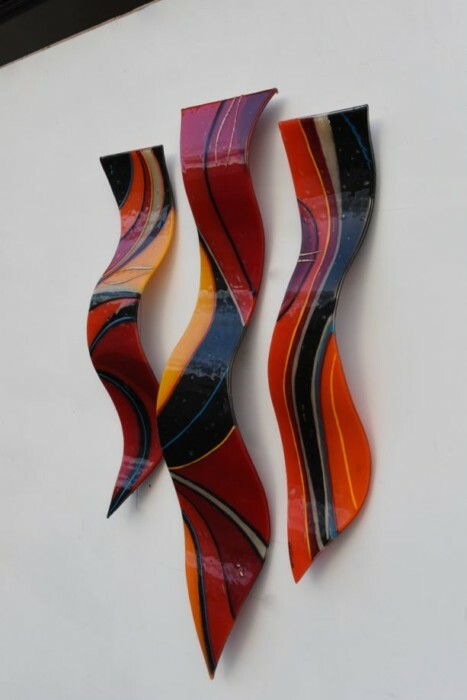 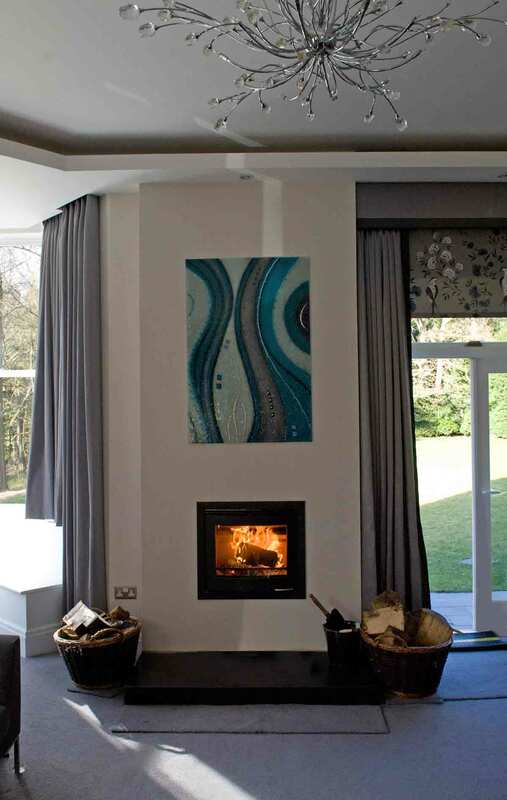 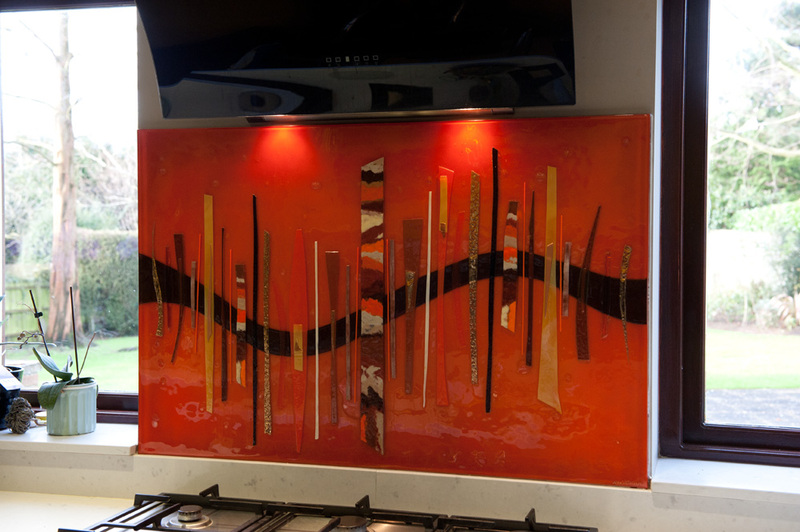 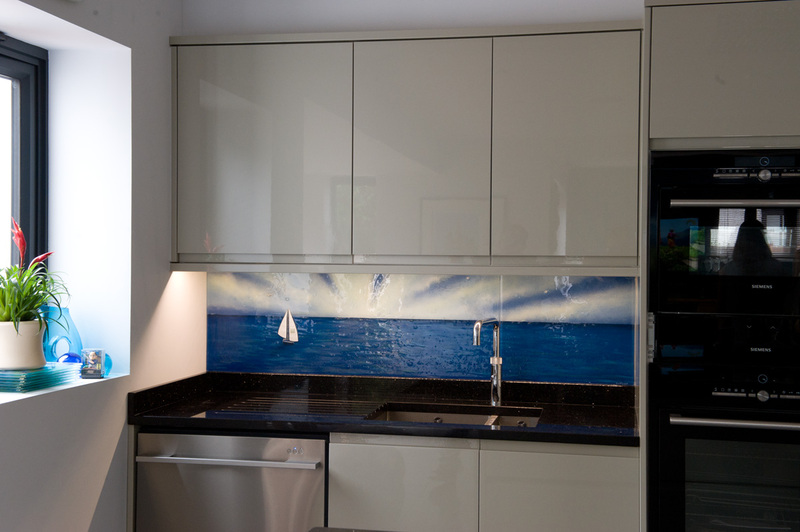 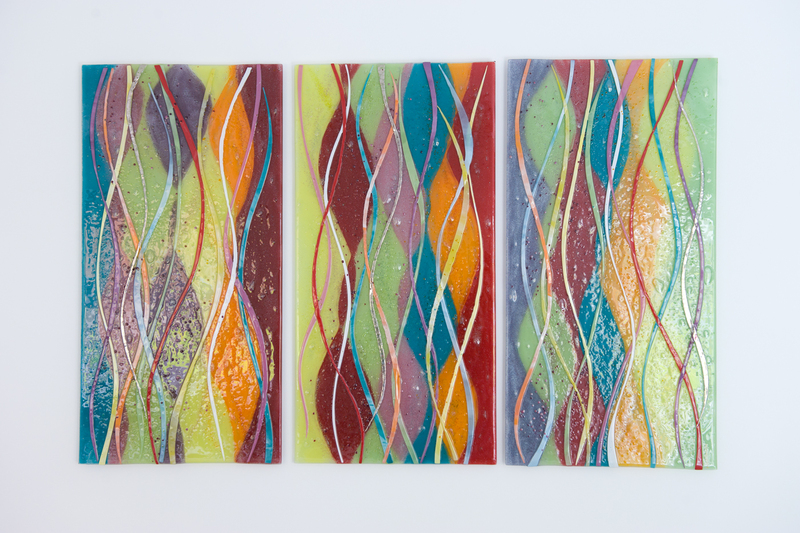 They translate incredibly well to fused glass art, especially to fused glass kitchen splashbacks, although it takes a skilled hand to properly emulate the quirks of paint and brush using just enamel powders. 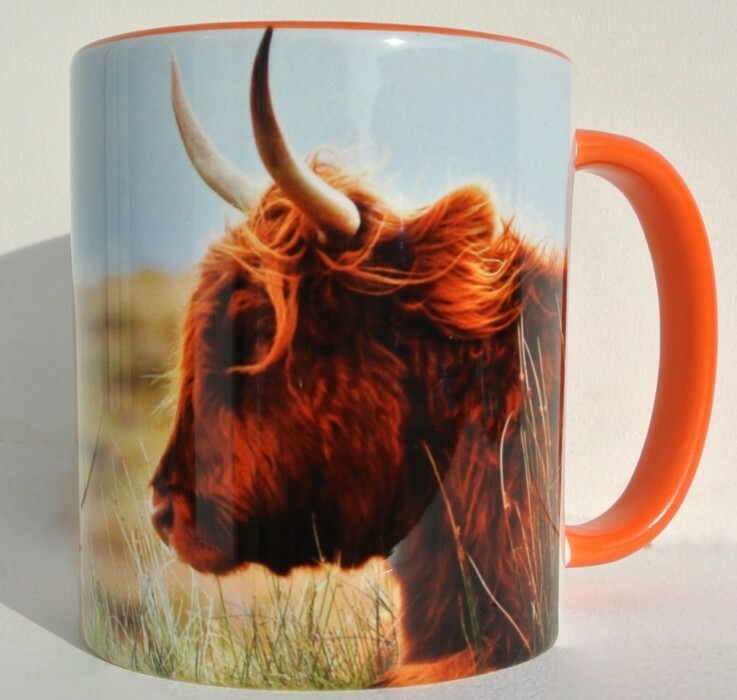 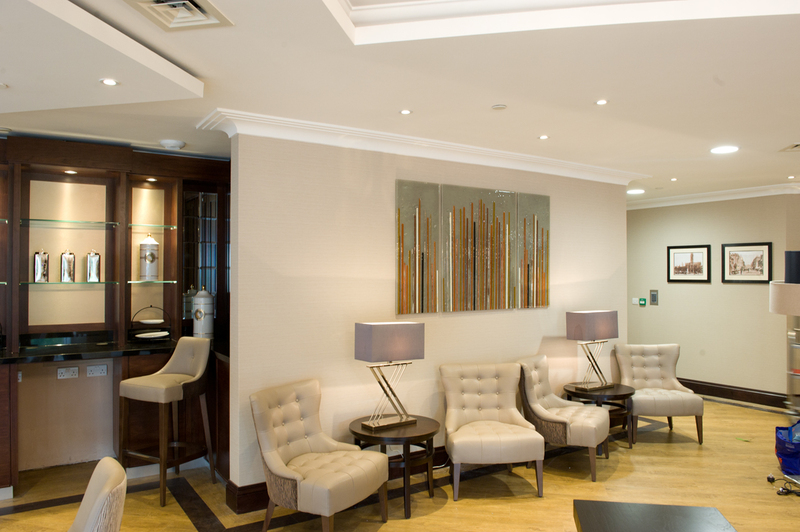 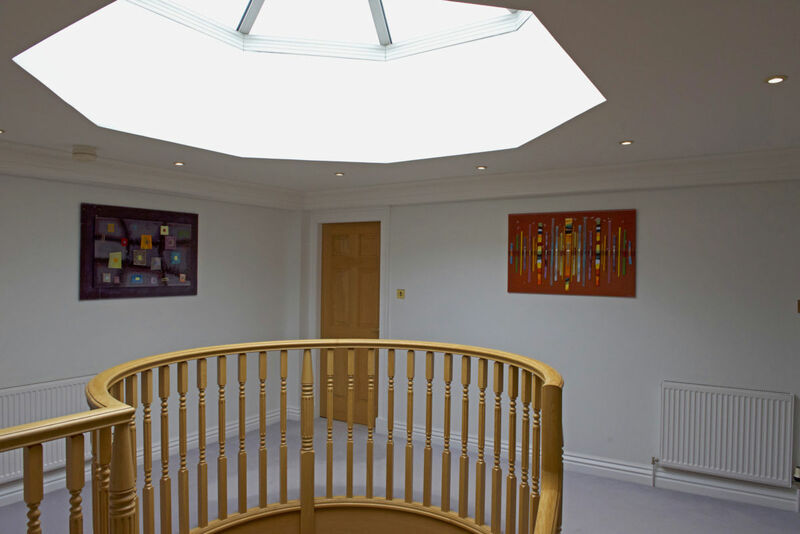 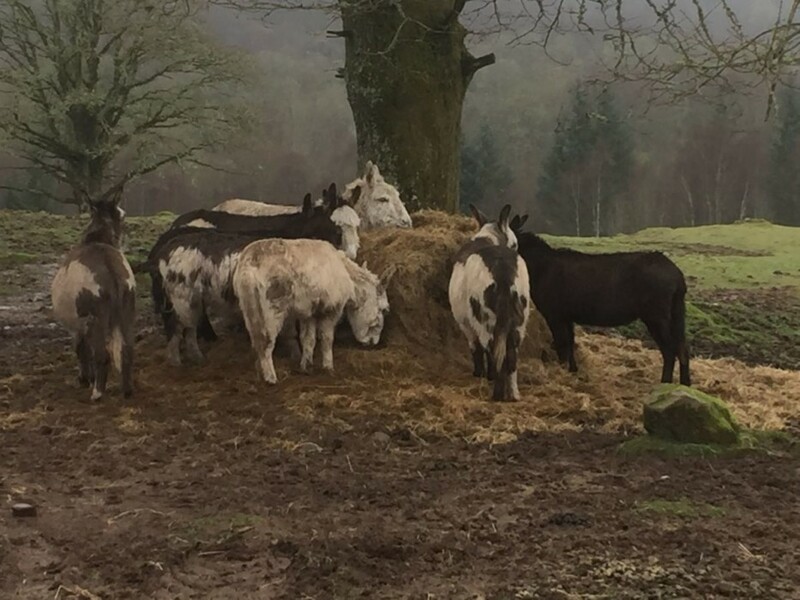 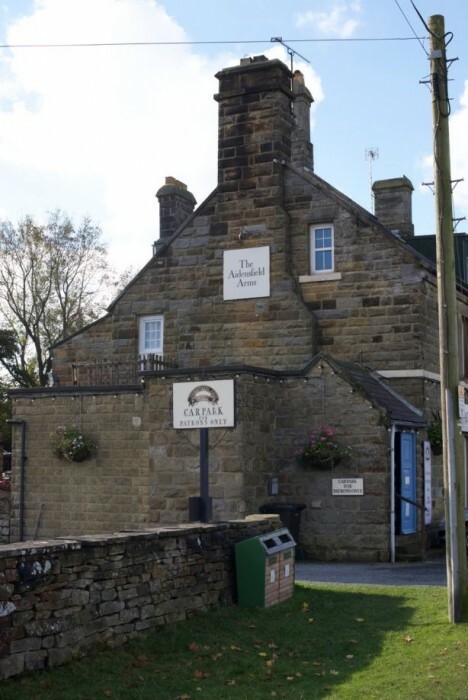 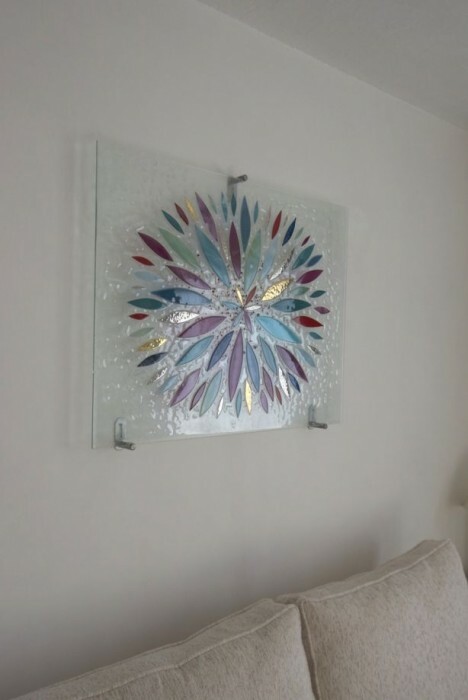 You’ll be able to see plenty of examples of those in our portfolio, with a wide variety of pieces of all shapes, sizes, styles and colours. 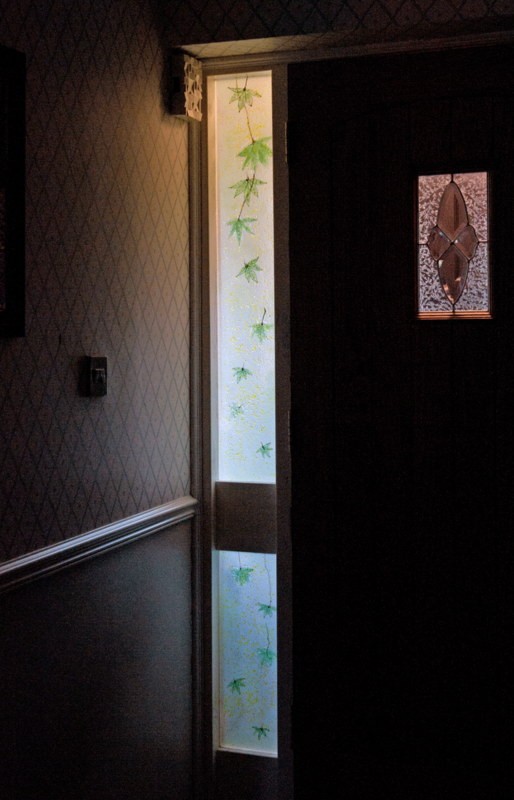 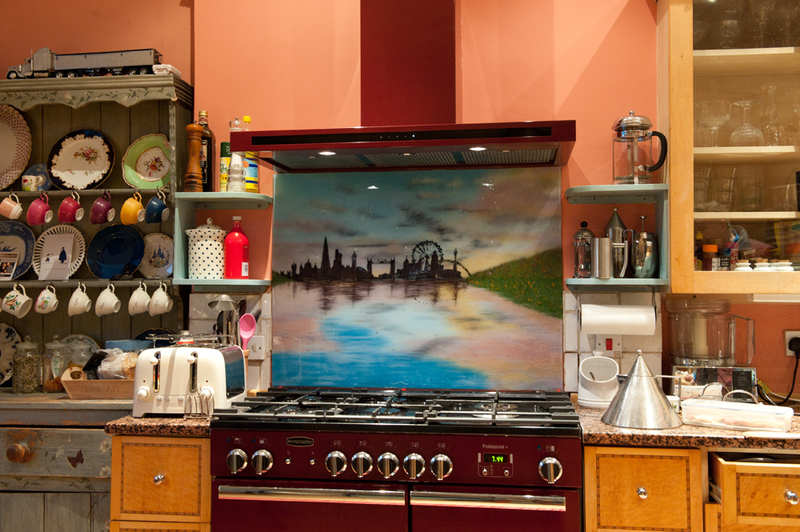 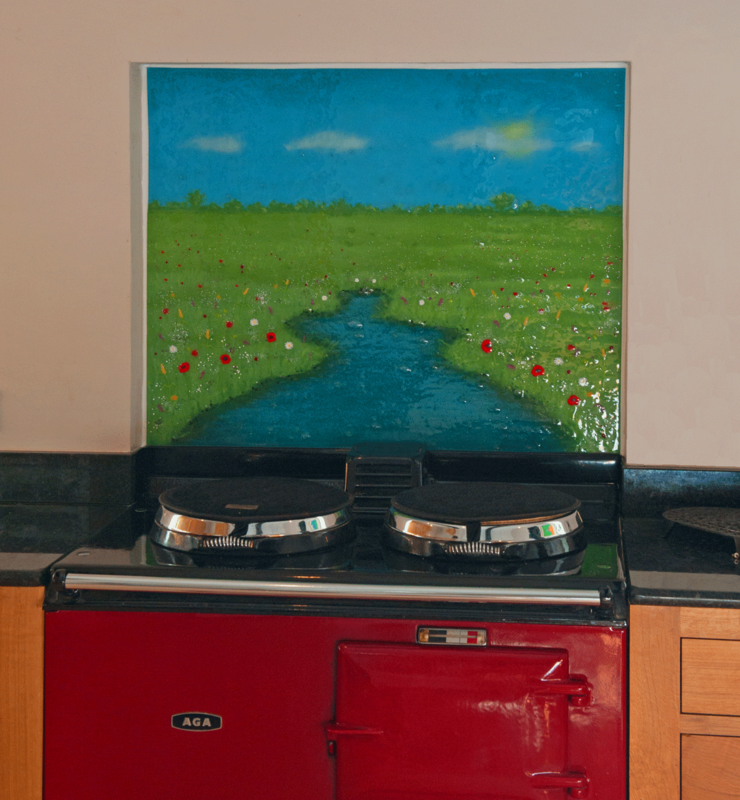 Even the image above, which was a splashback created in the style of Monet, showcases how well the effect can work. 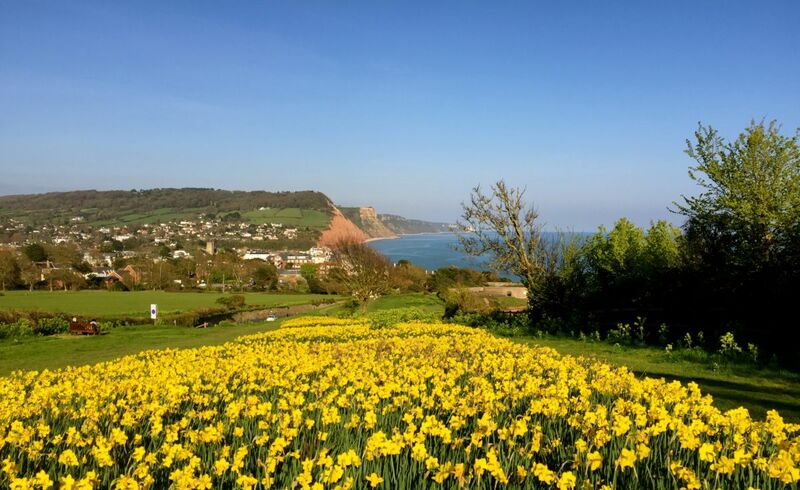 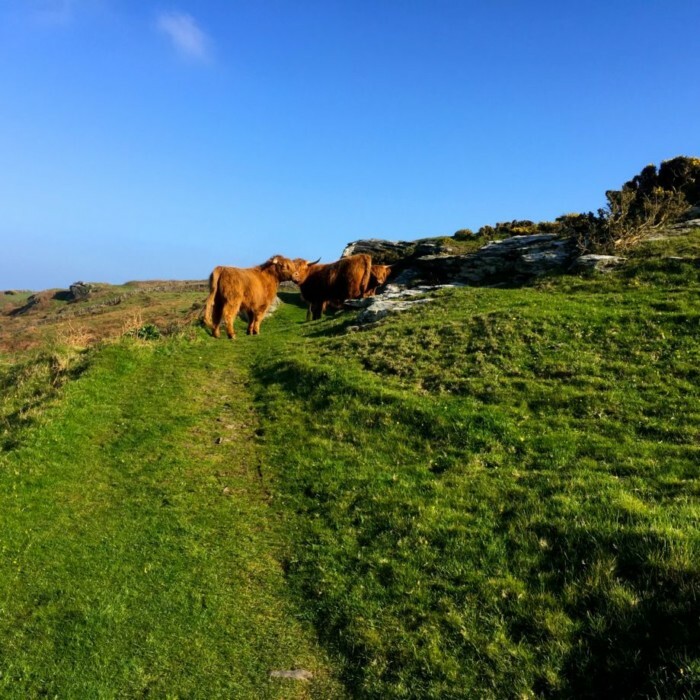 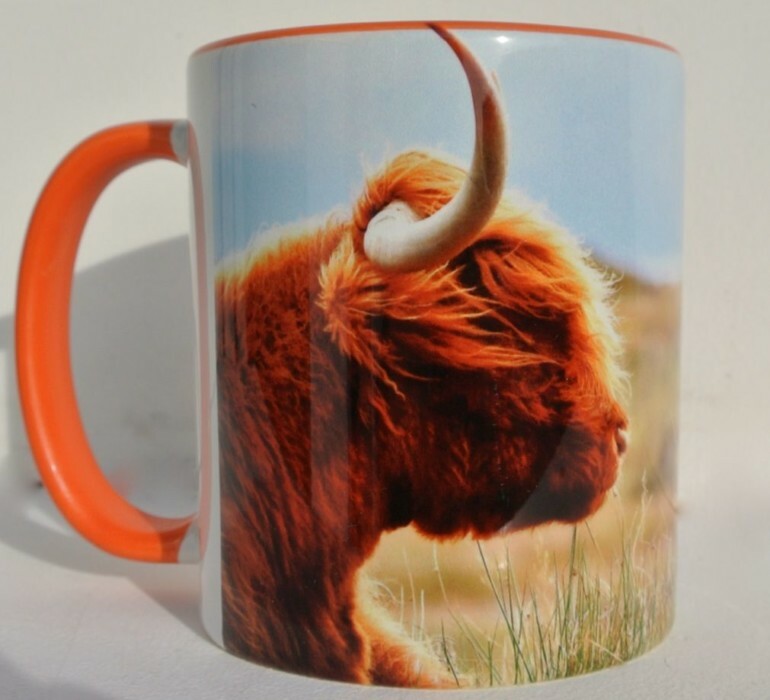 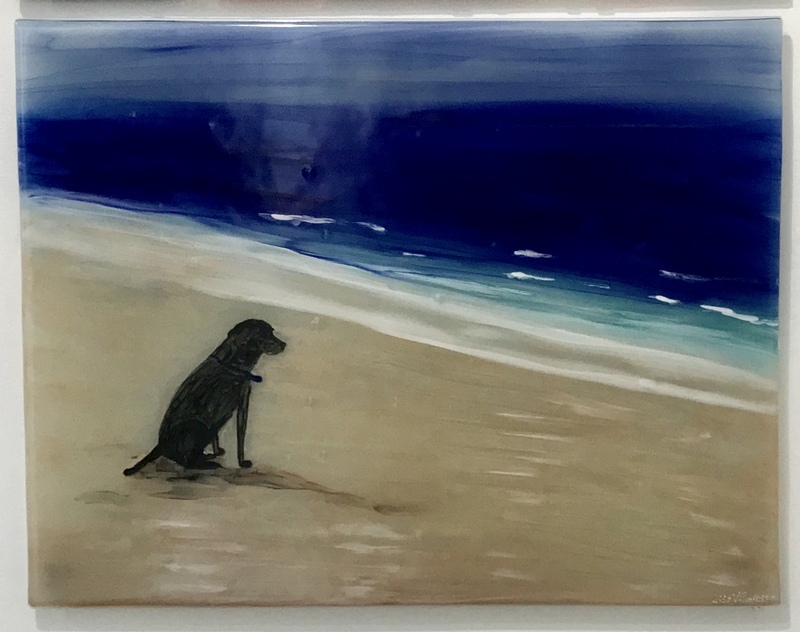 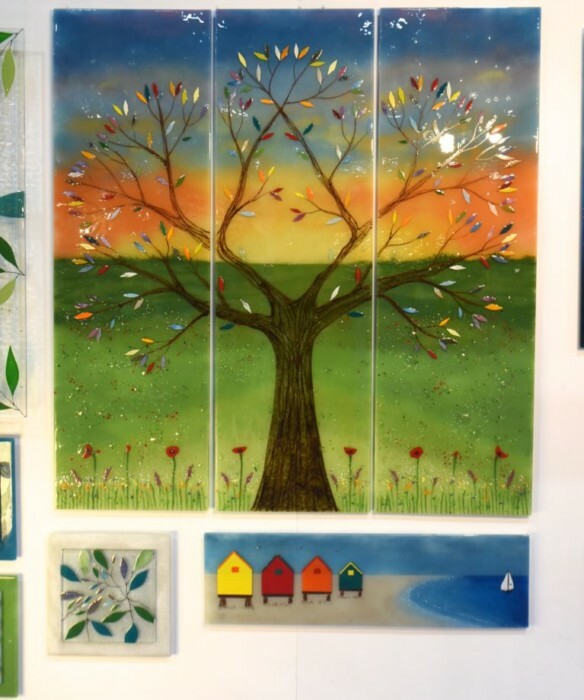 From scenic landscapes to picturesque depictions of rolling hills and gorgeous skies, all the way to seaside towns and stretches of beach complete with pets and their owners going for a stroll, there’s really no limit as to what kind of image you’d like translated to glass. 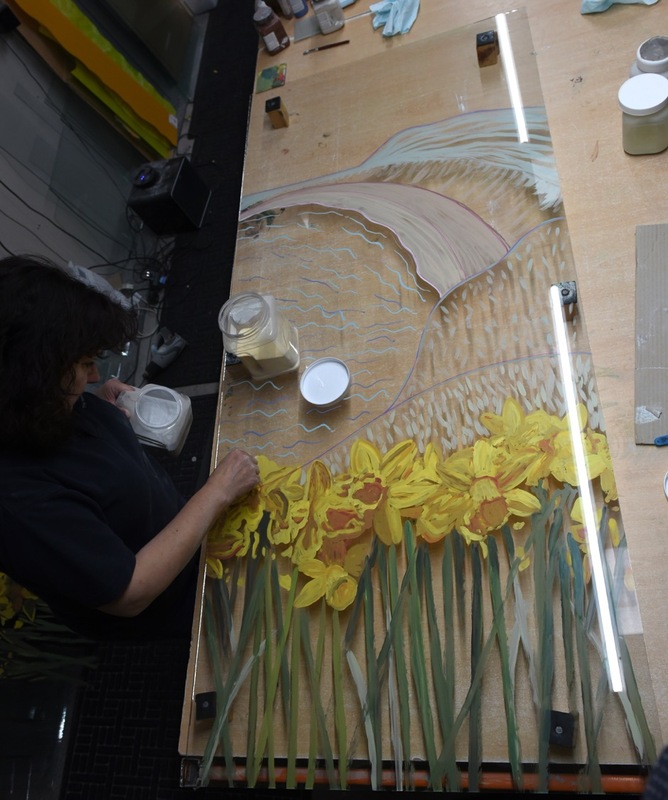 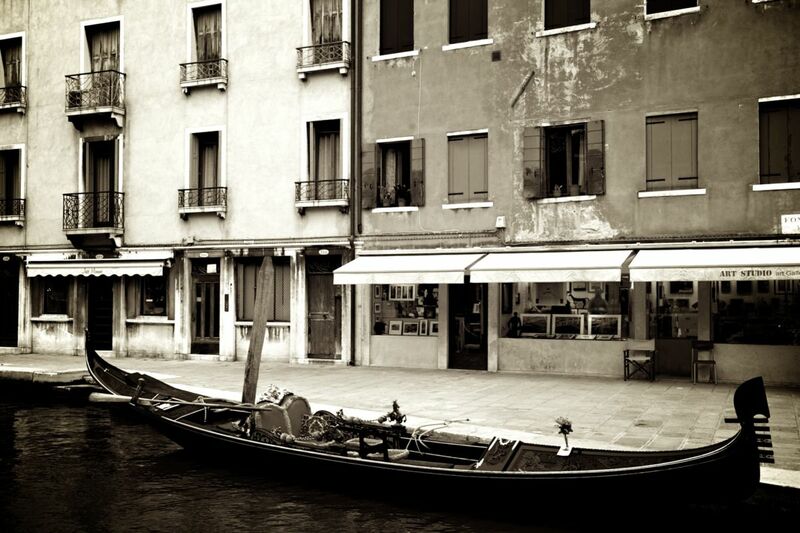 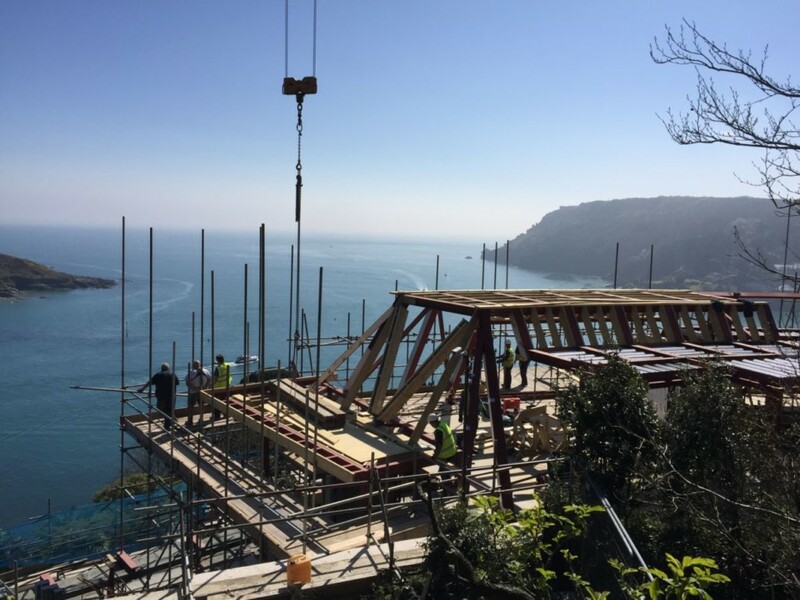 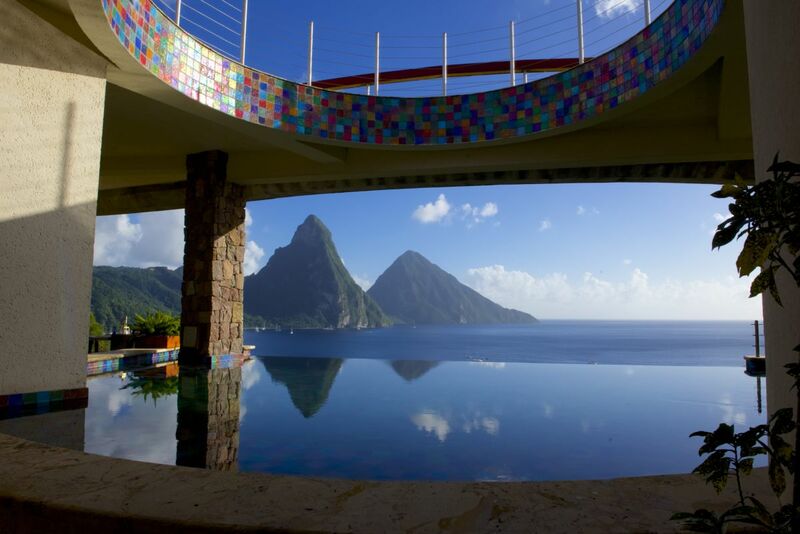 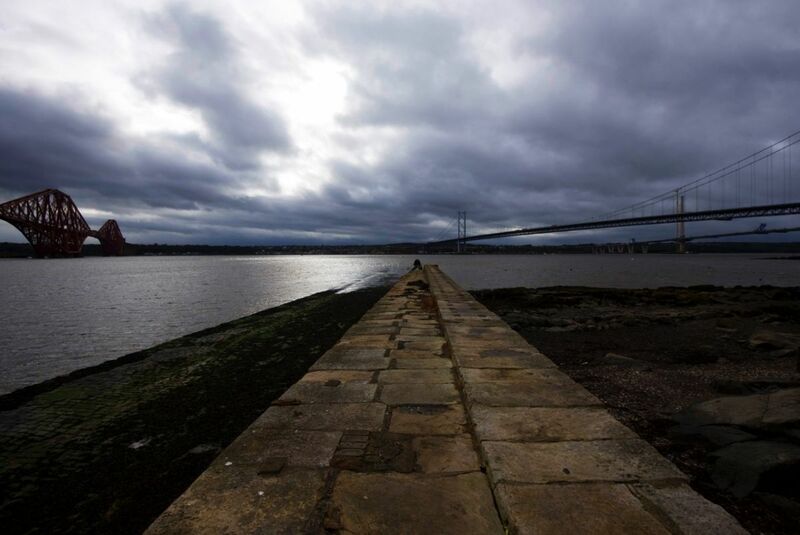 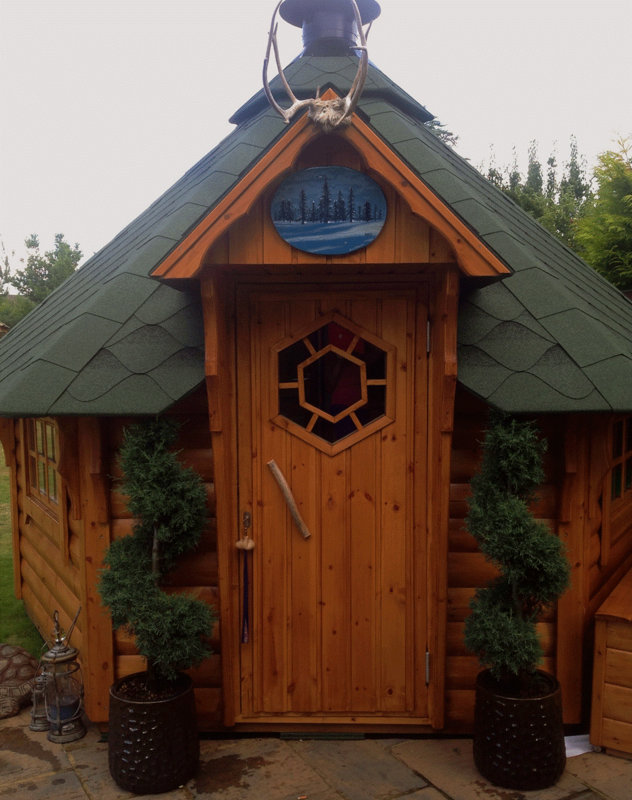 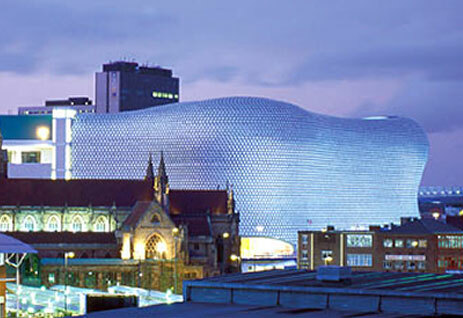 The end result is sure to be stunning, and it’s guaranteed to be a bespoke, unique design made by hand just for you. 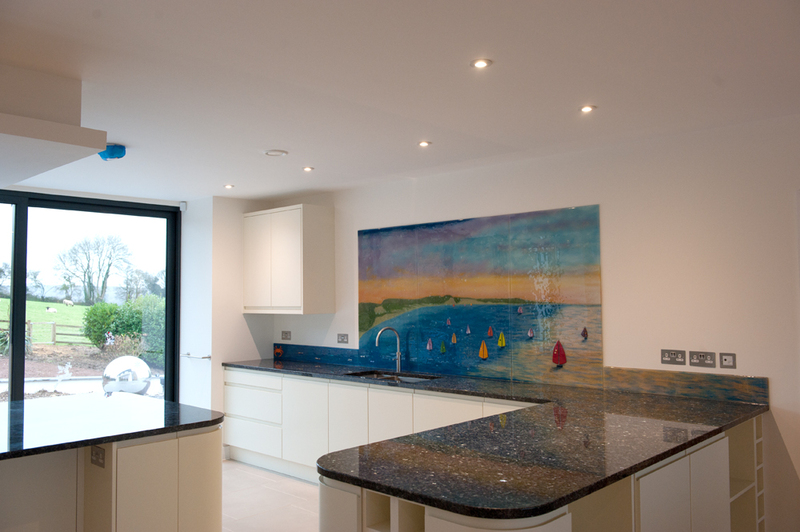 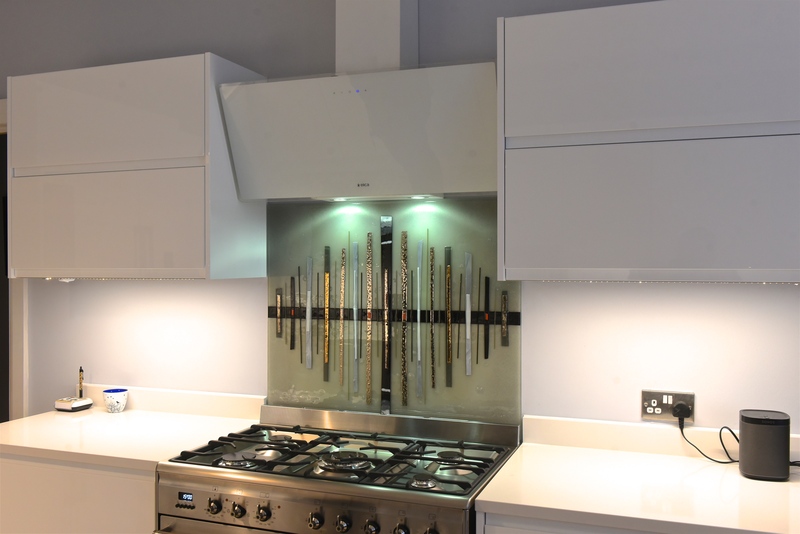 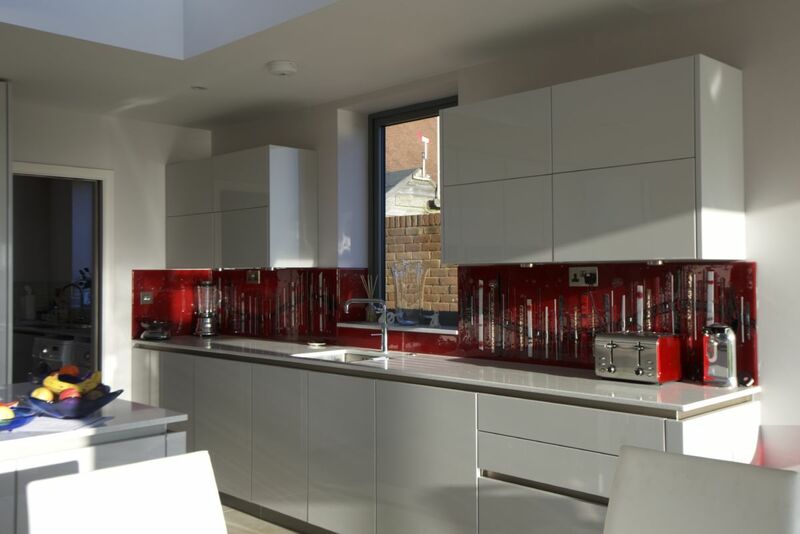 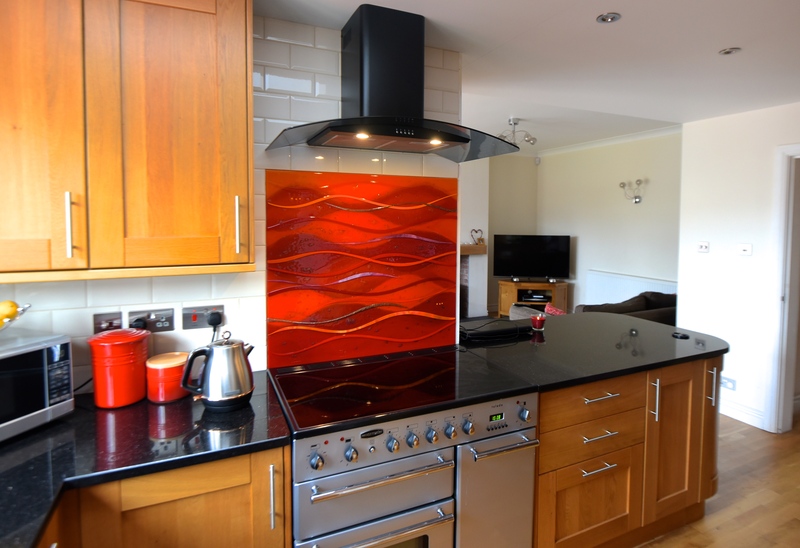 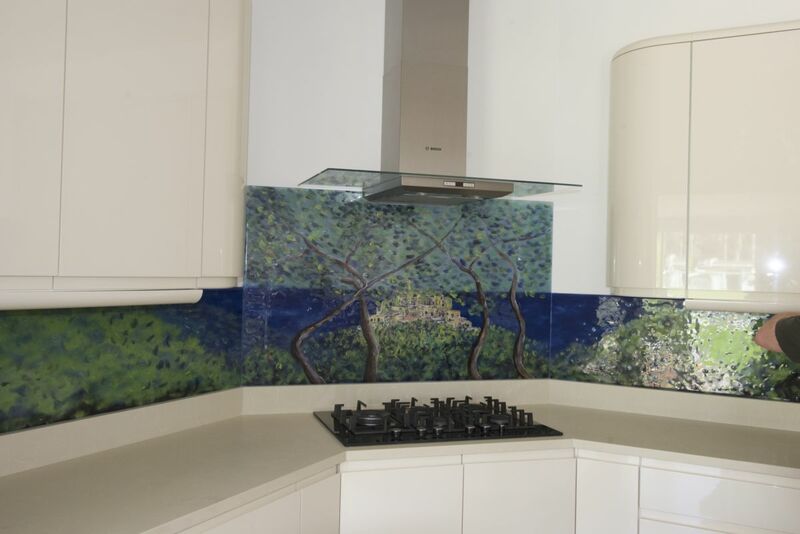 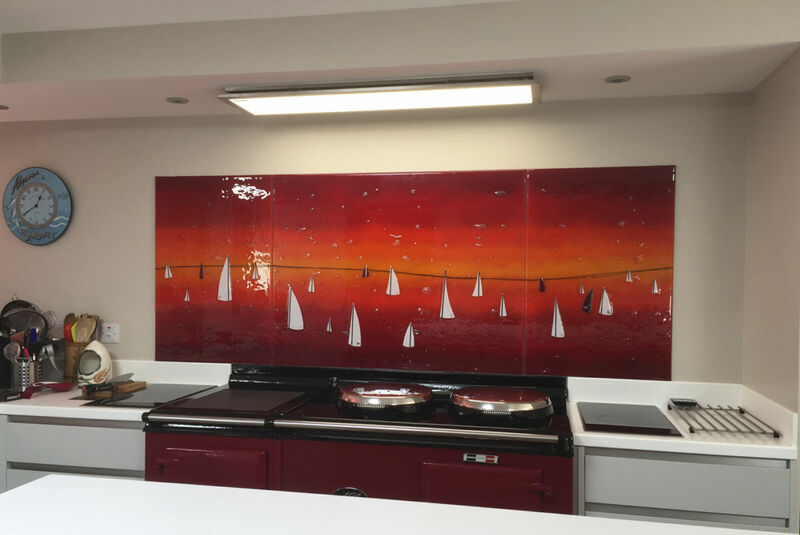 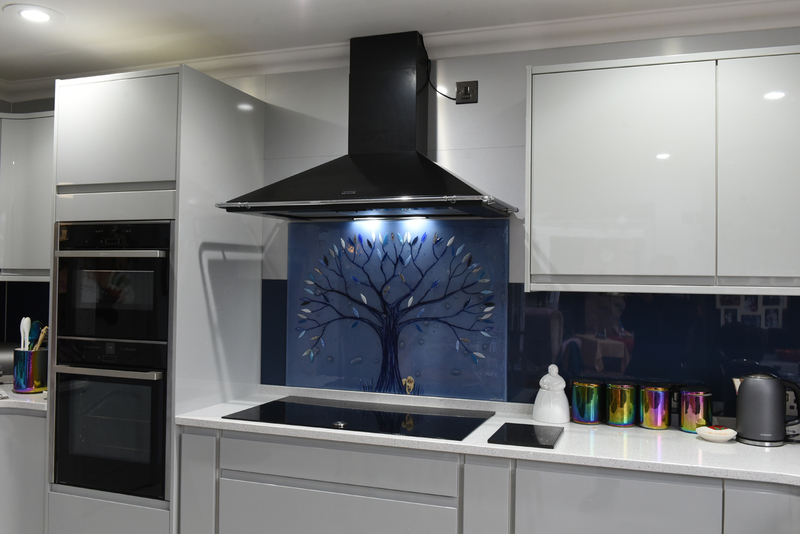 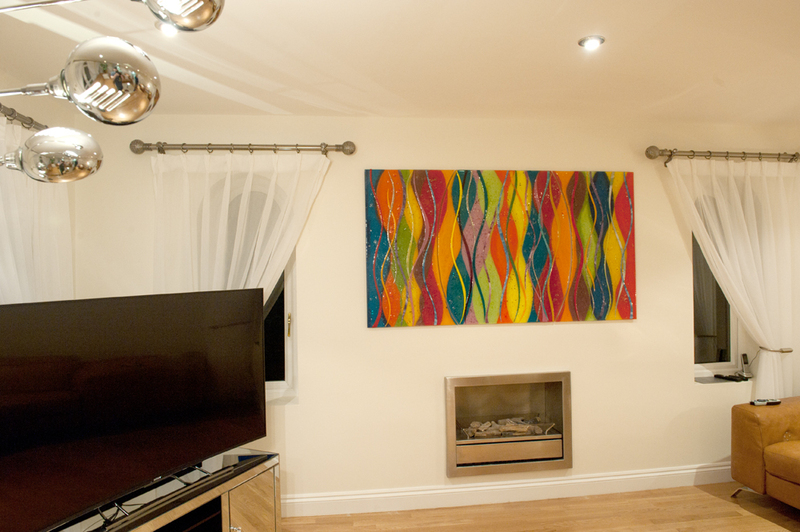 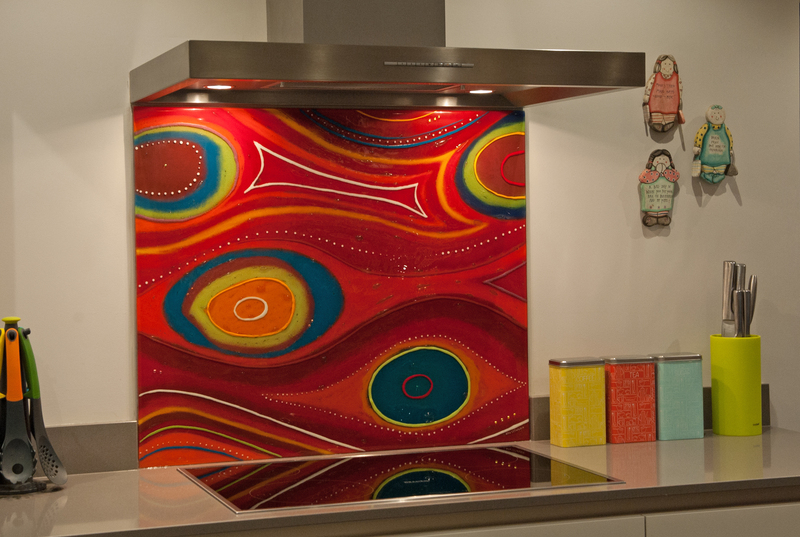 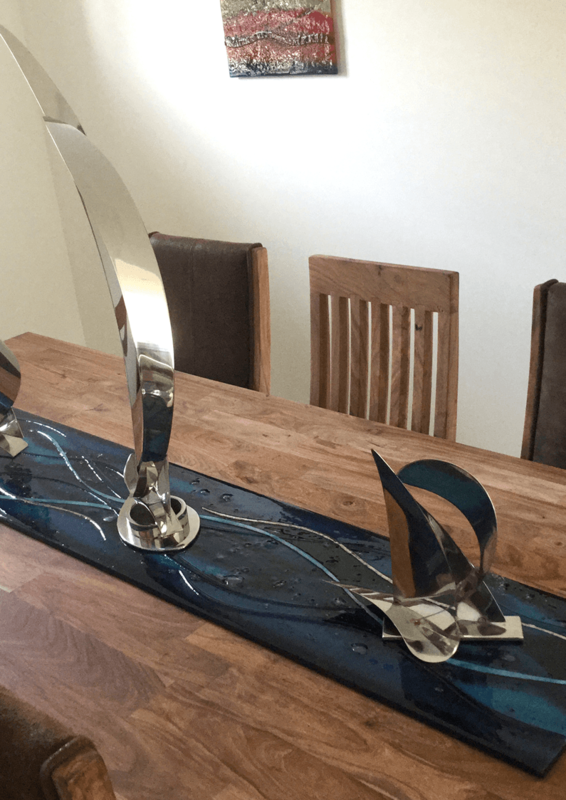 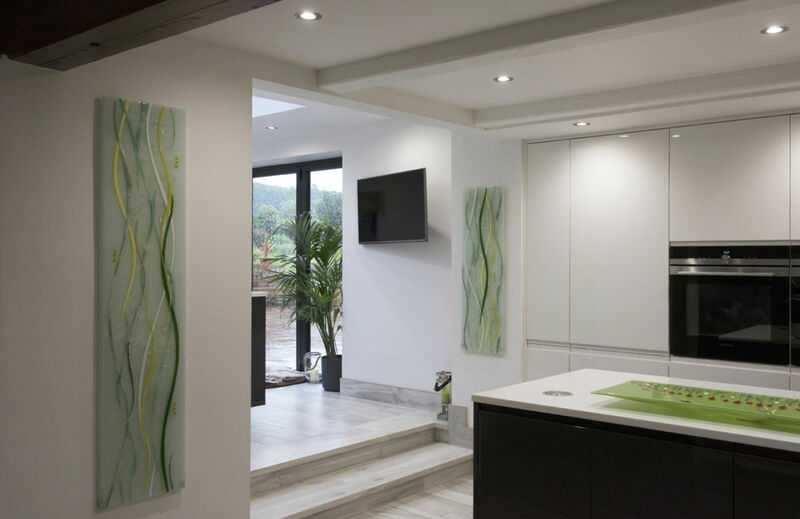 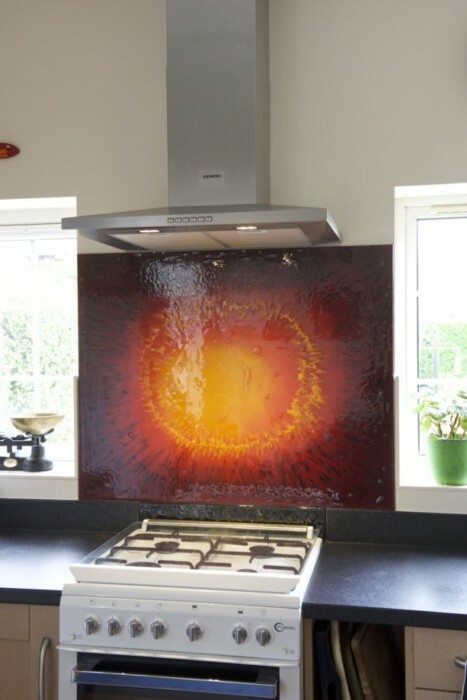 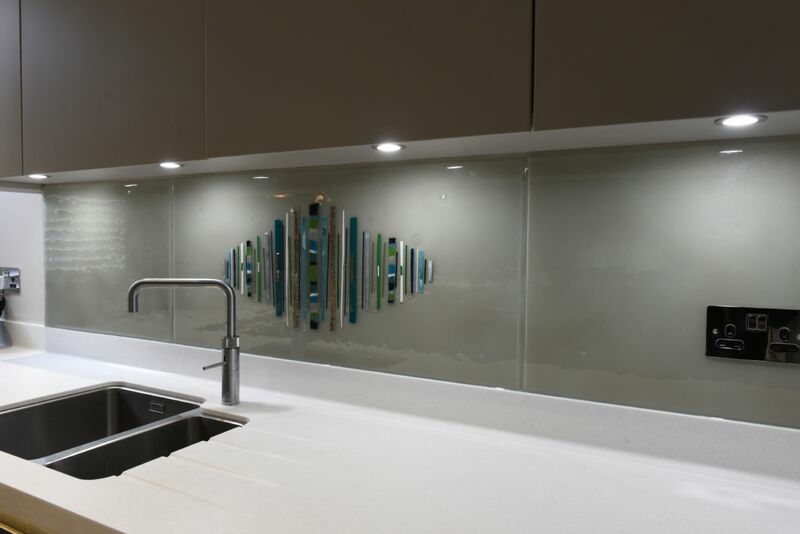 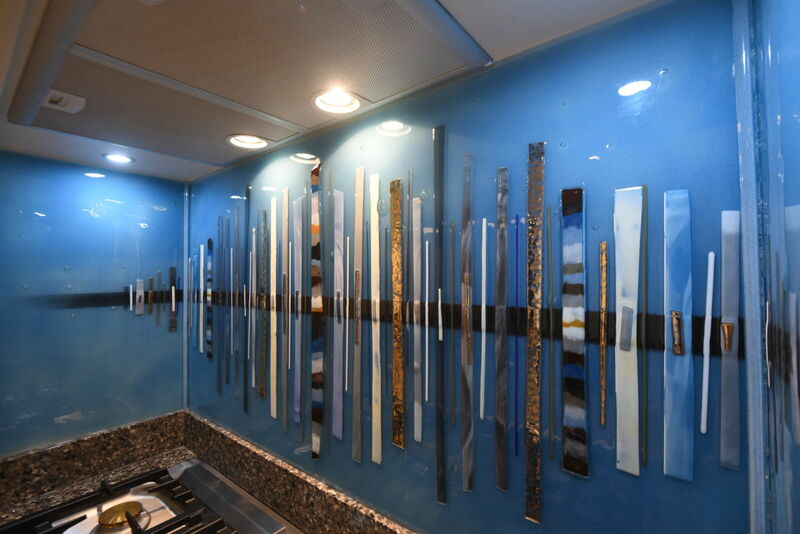 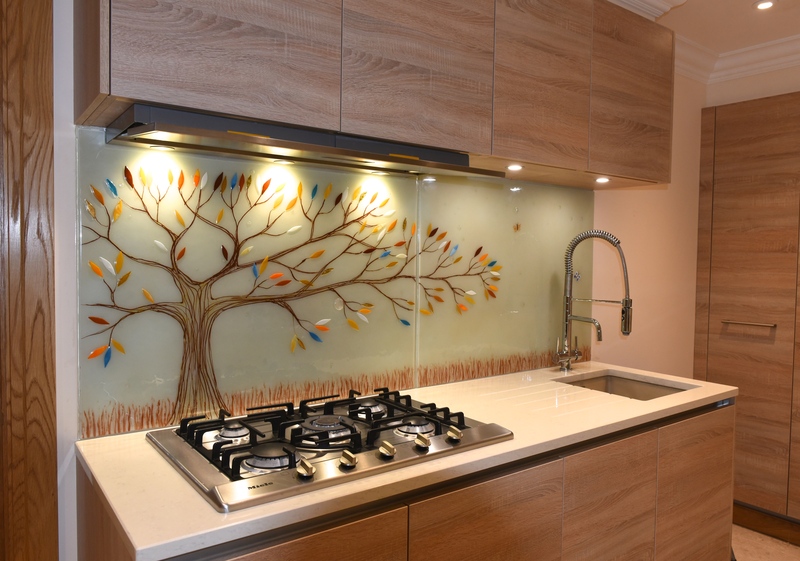 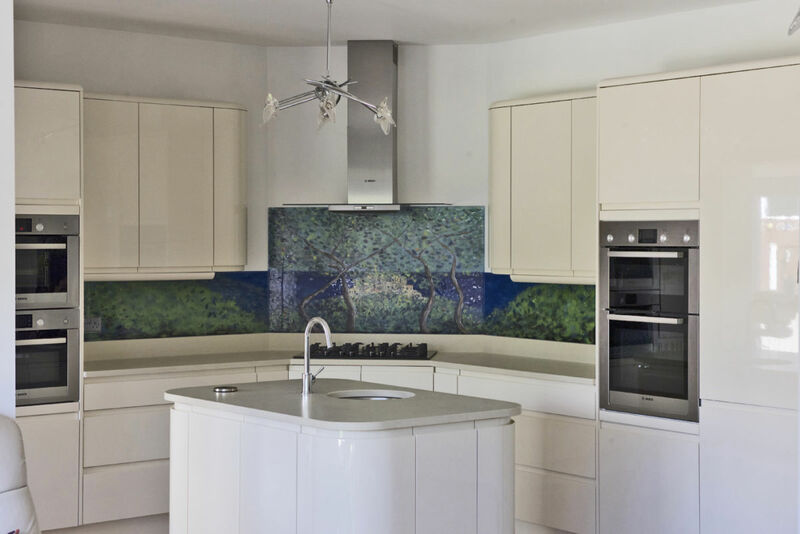 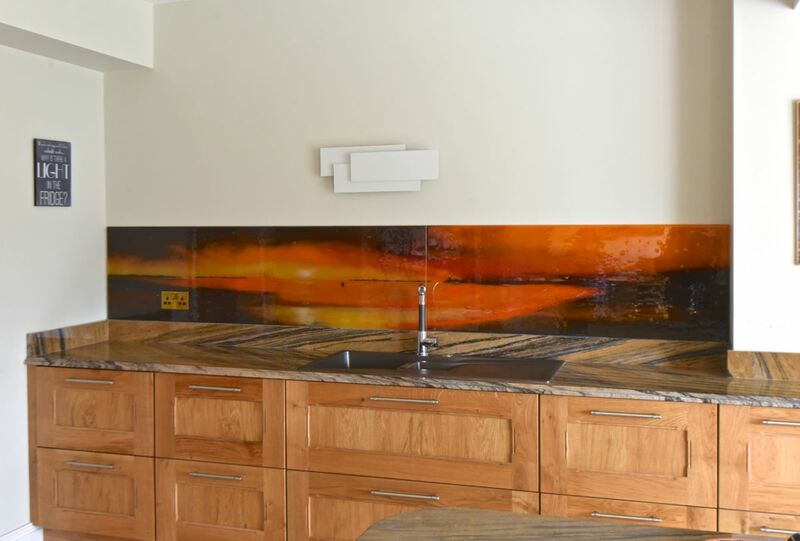 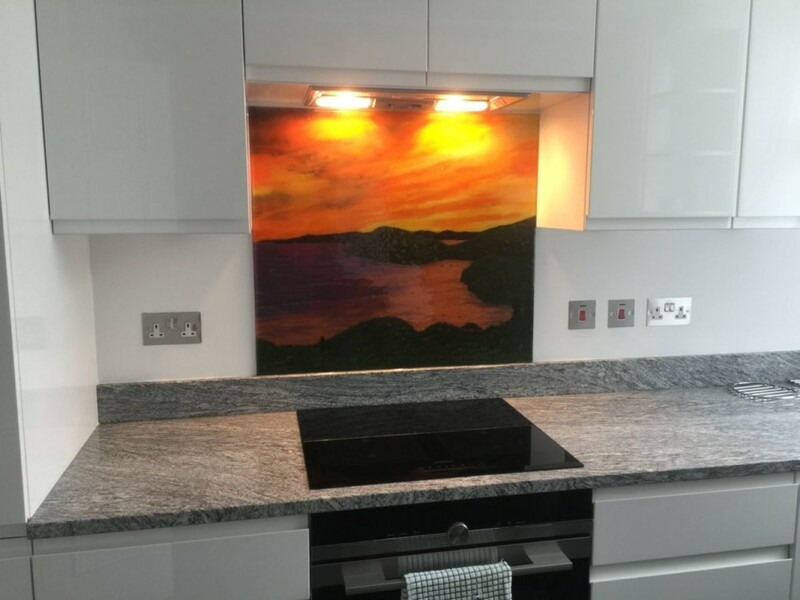 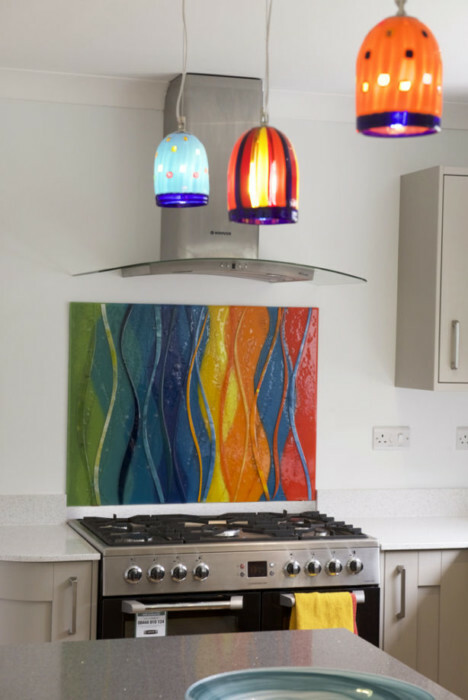 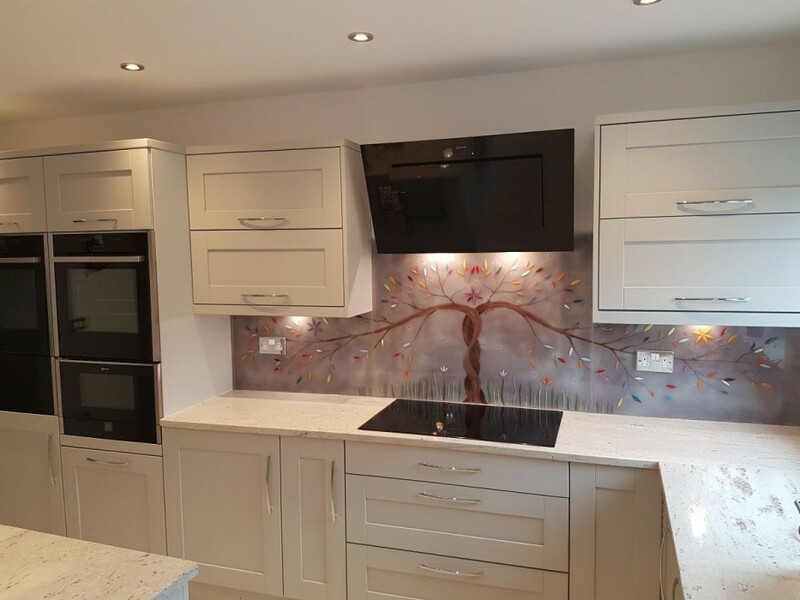 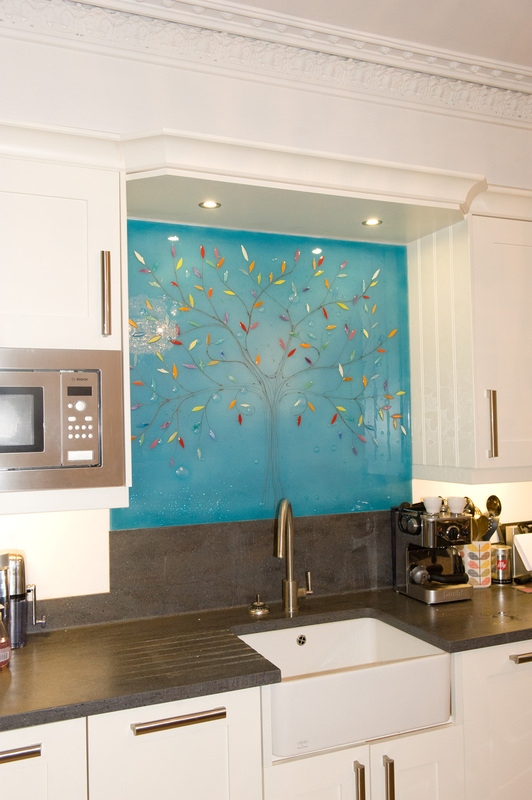 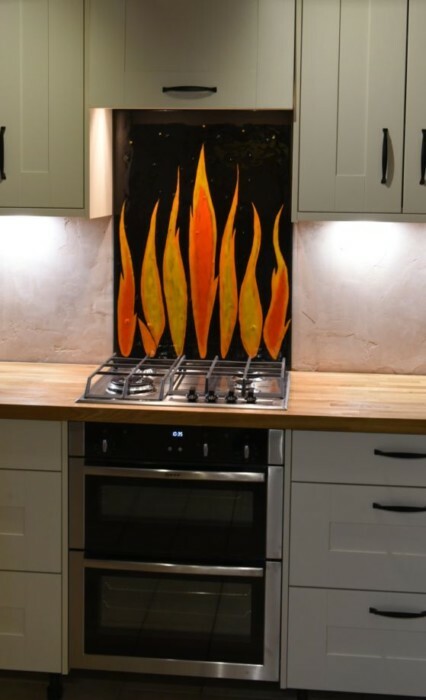 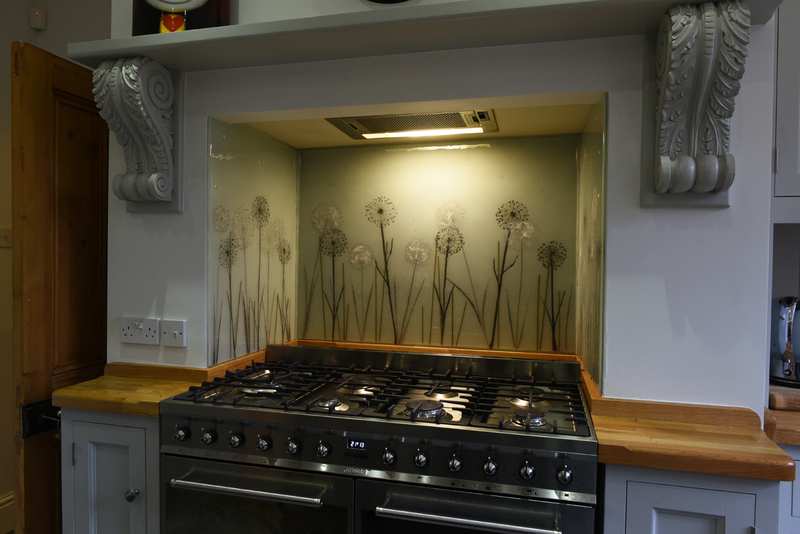 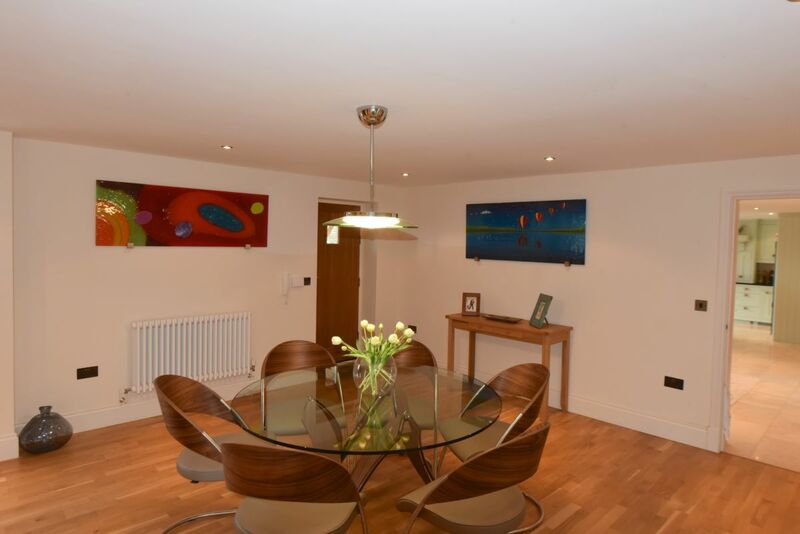 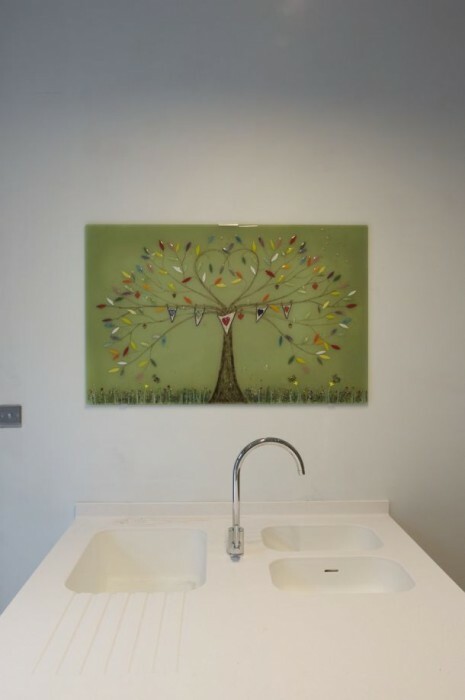 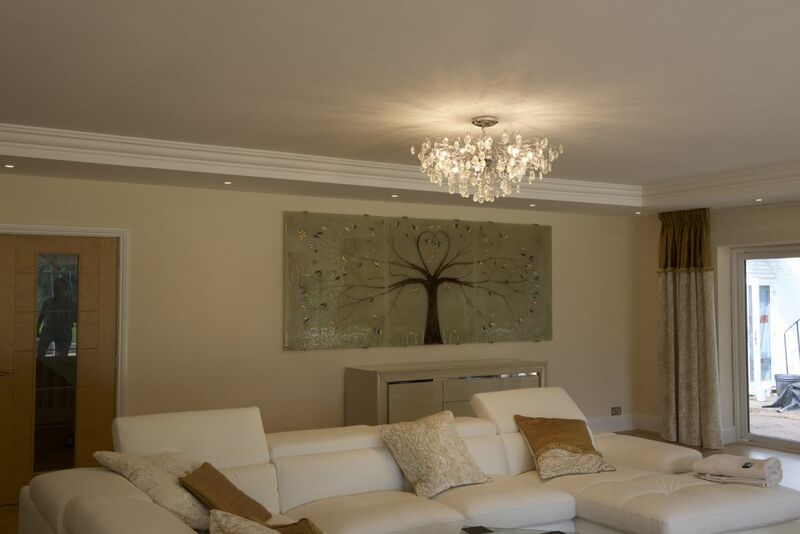 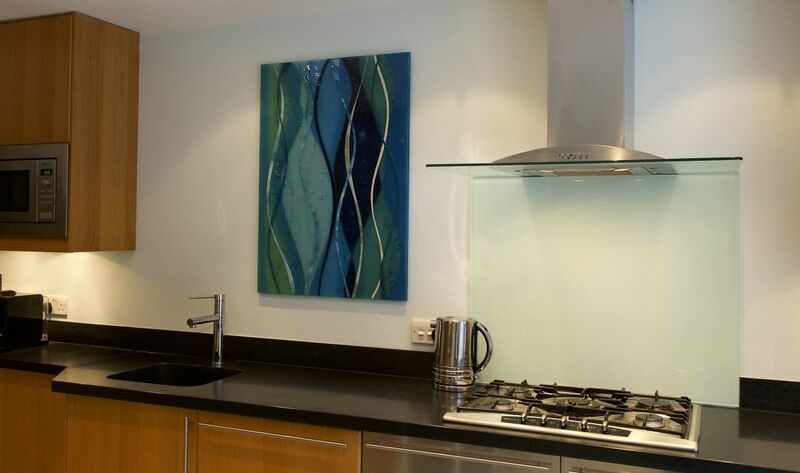 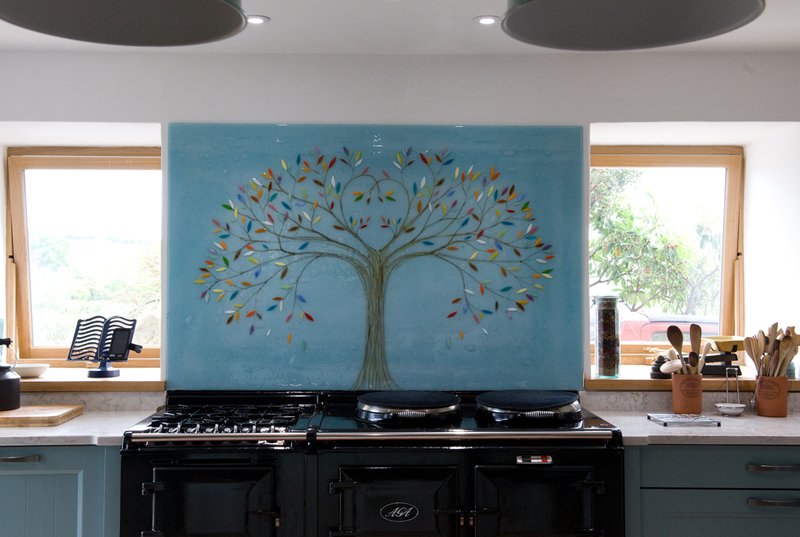 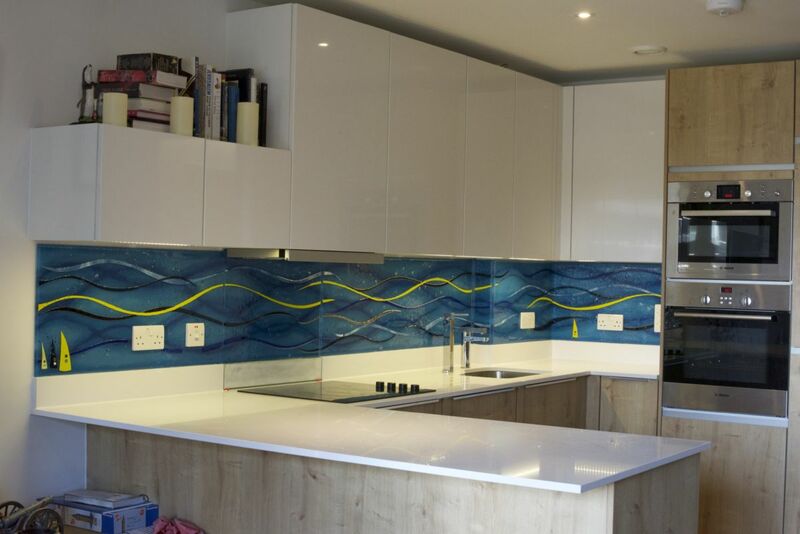 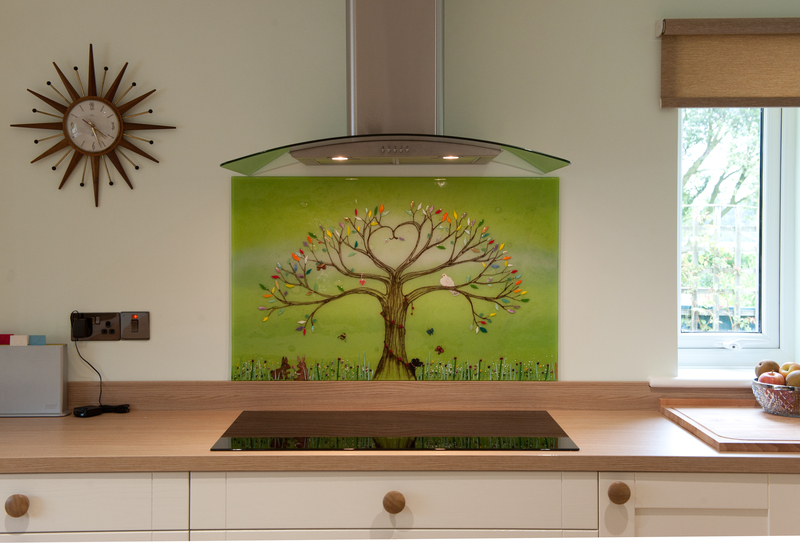 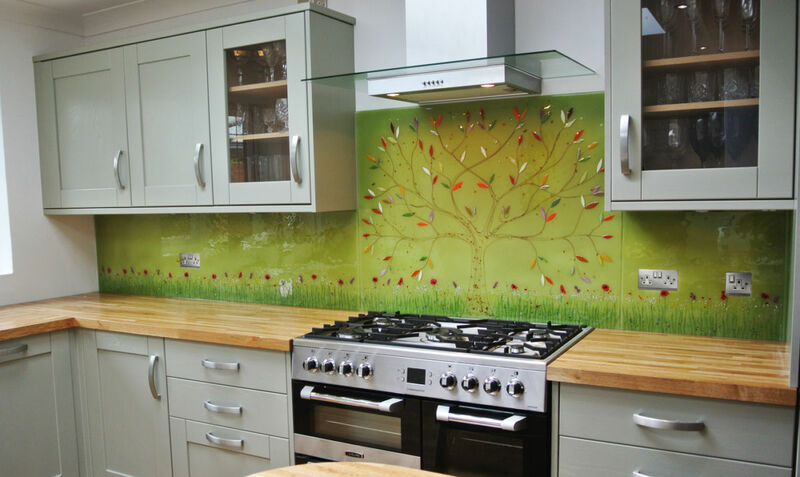 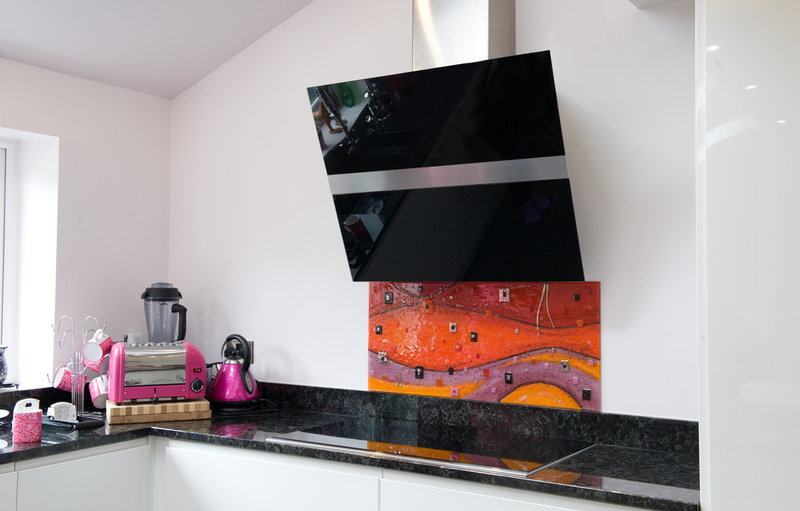 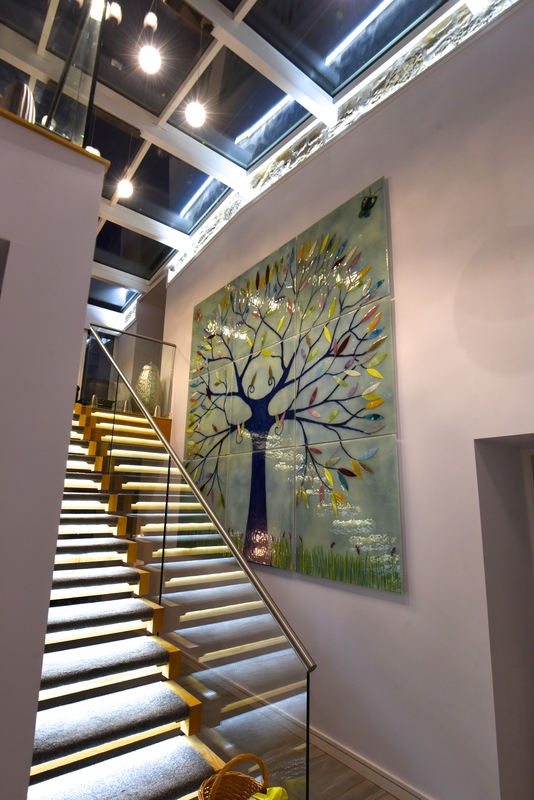 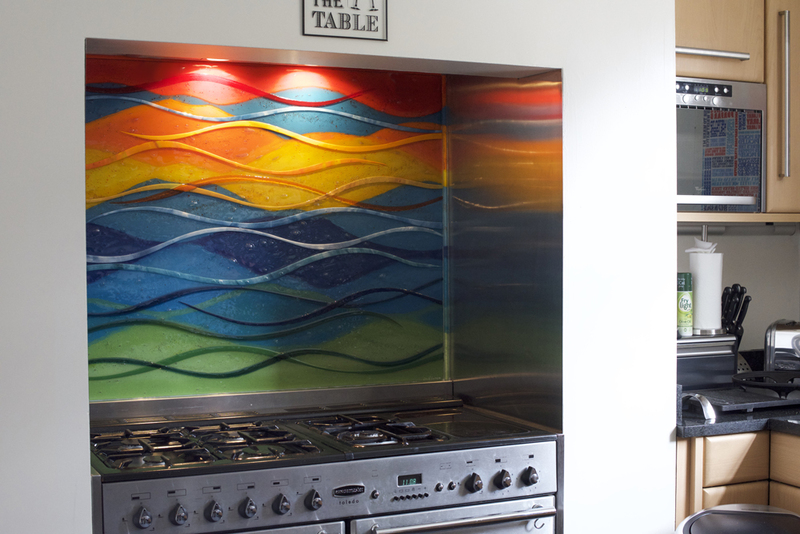 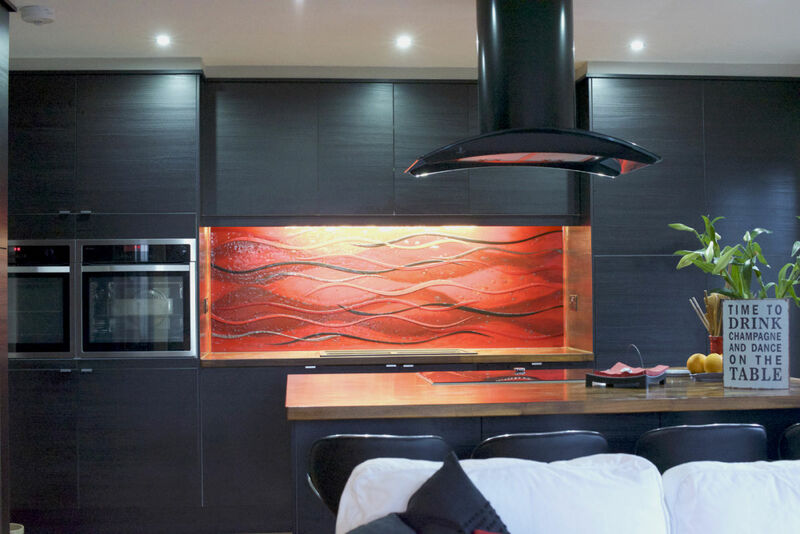 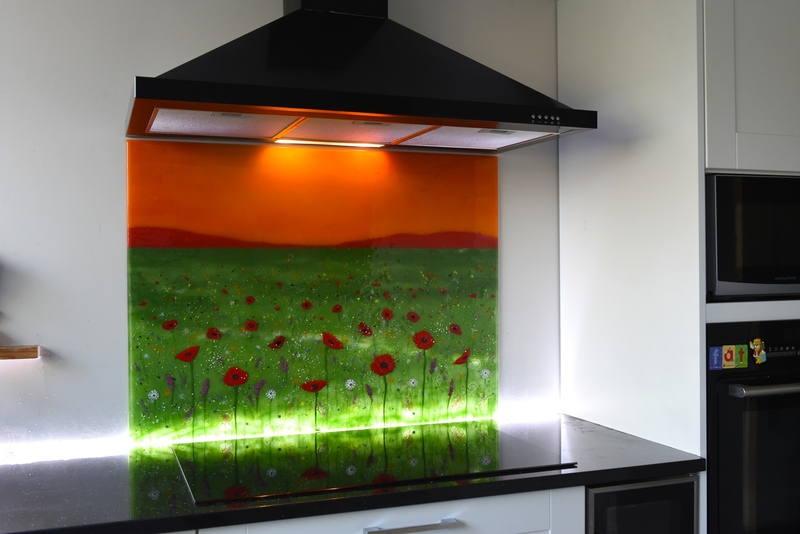 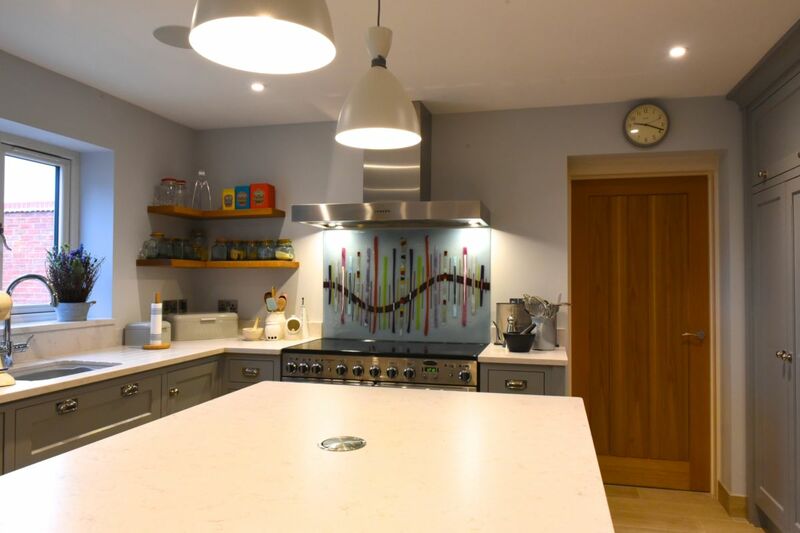 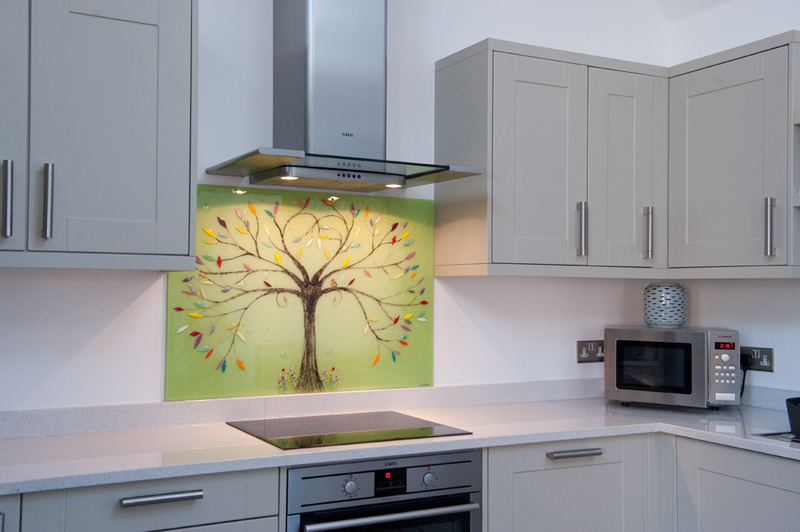 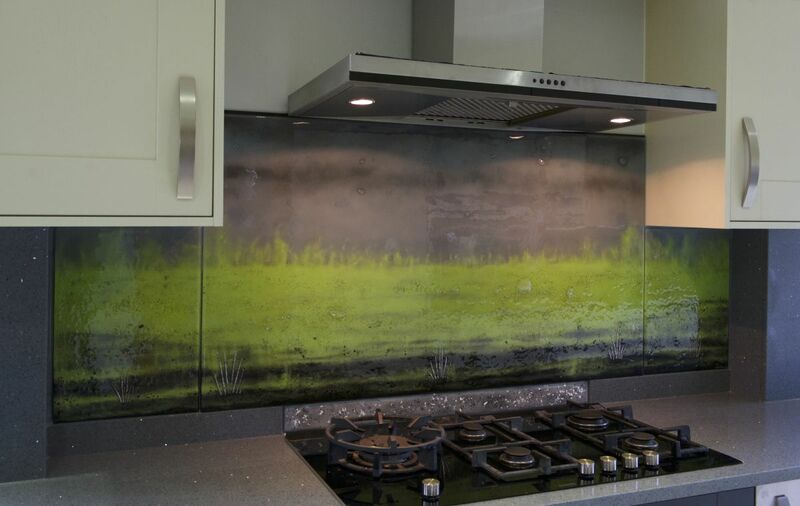 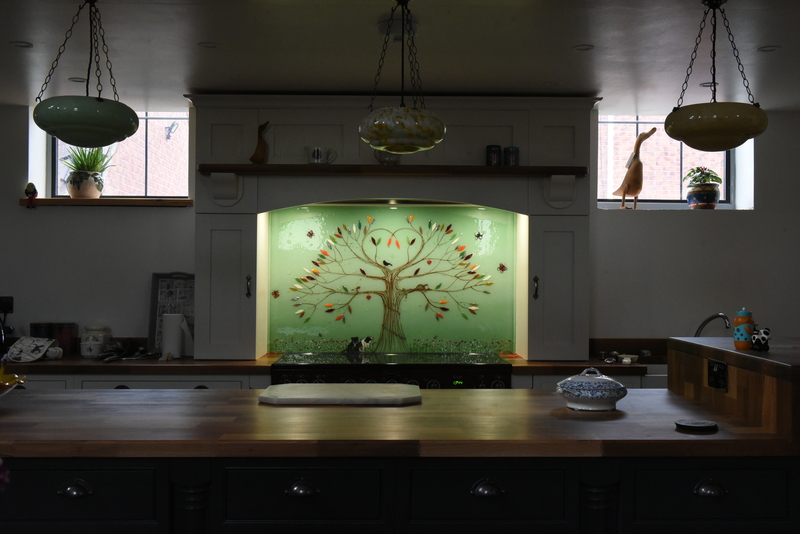 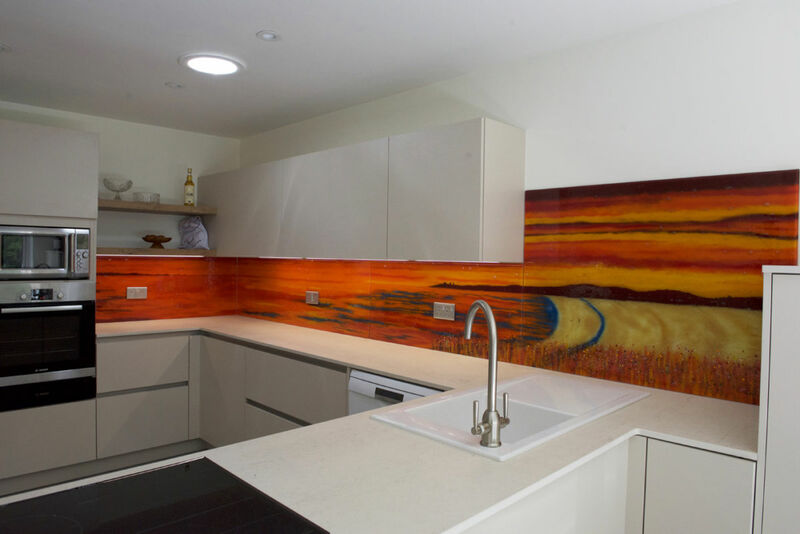 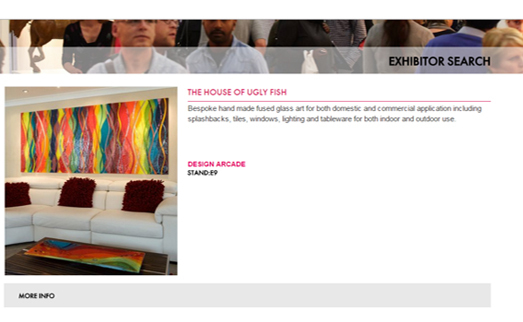 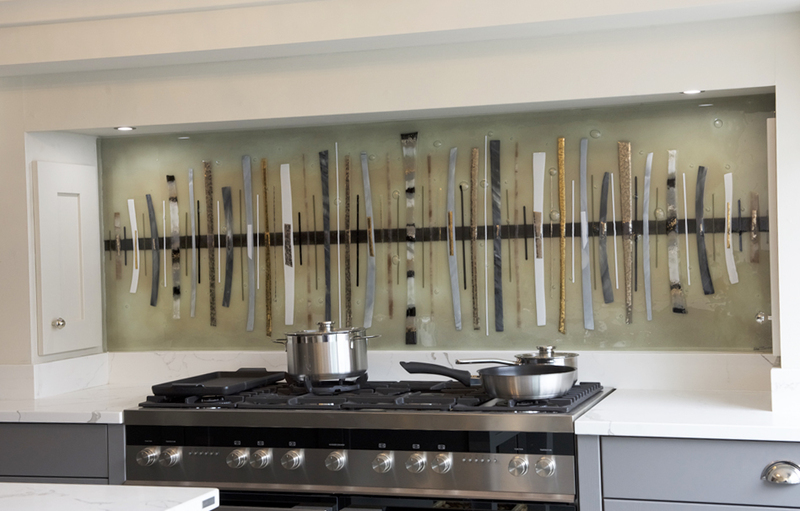 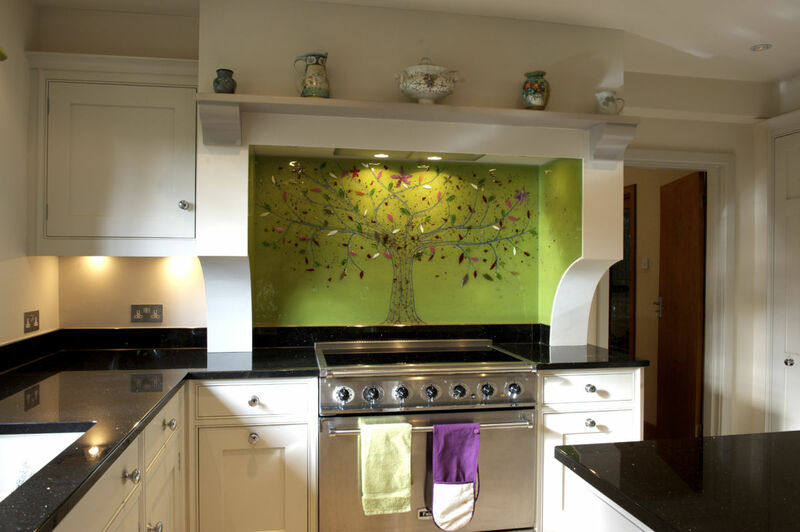 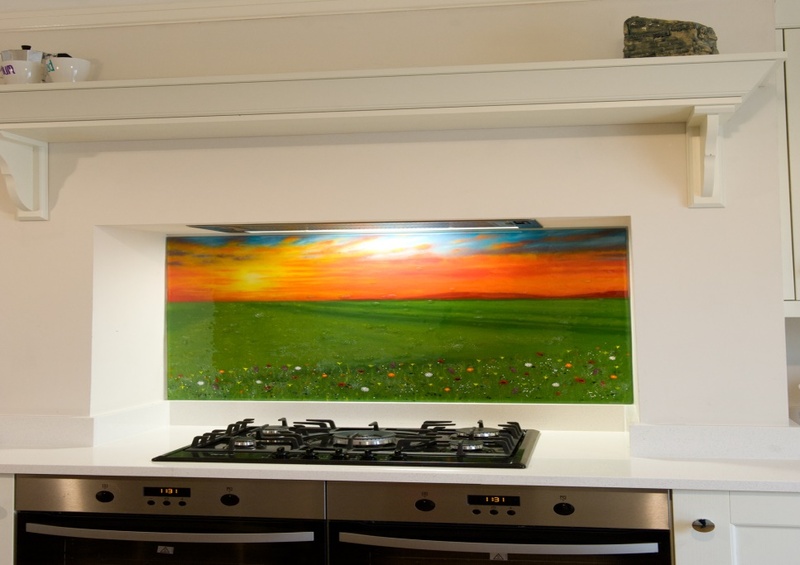 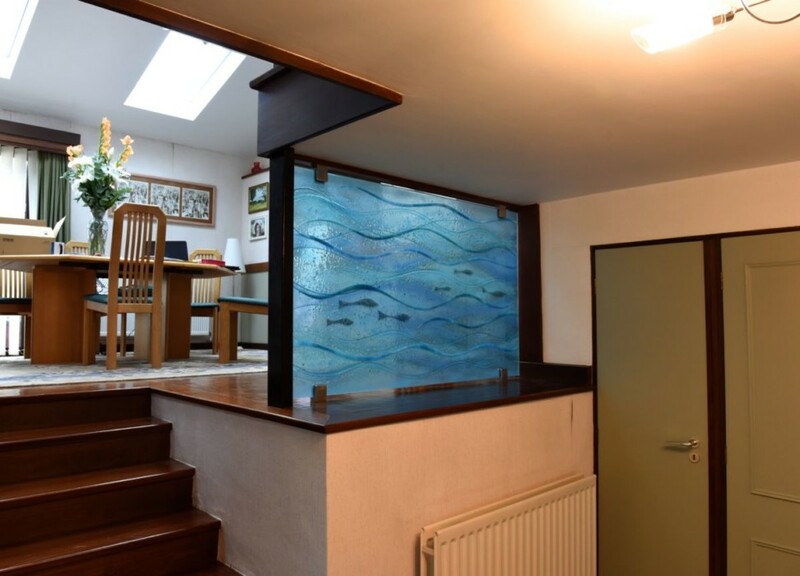 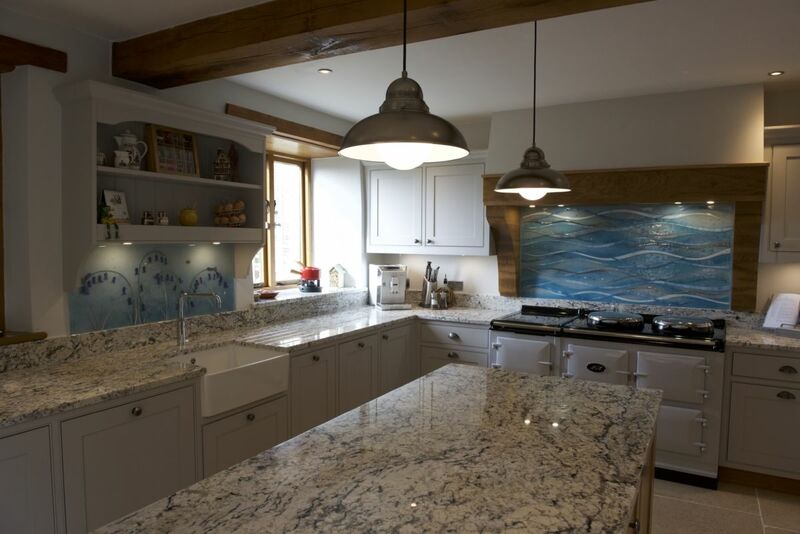 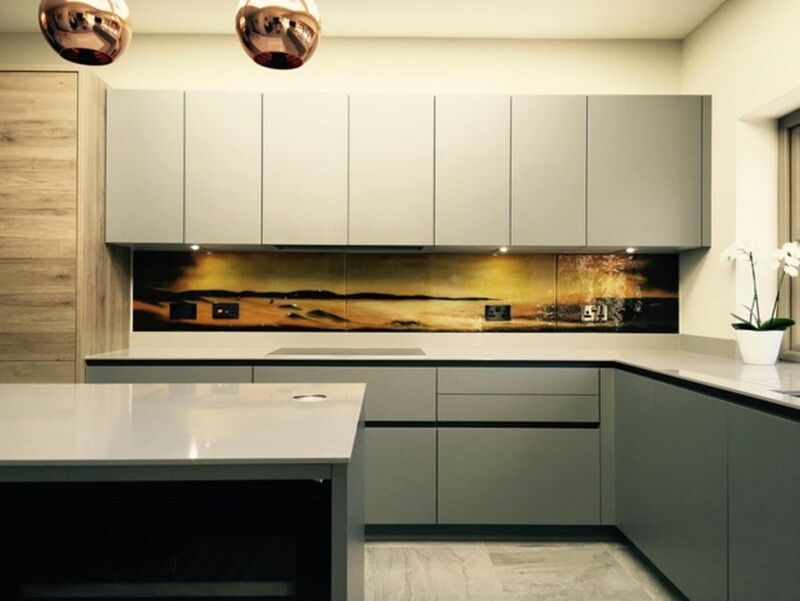 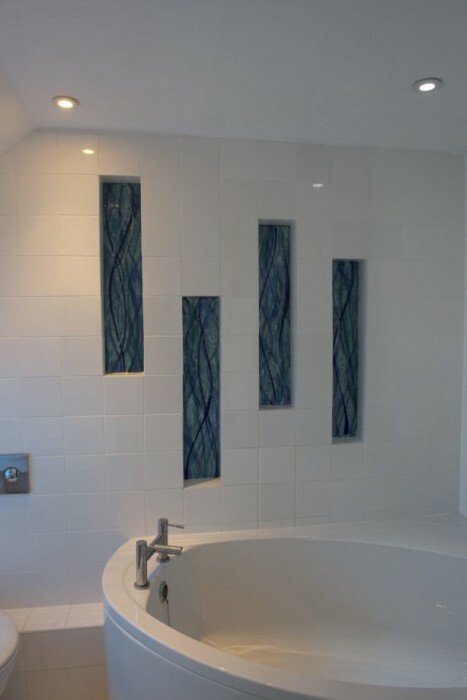 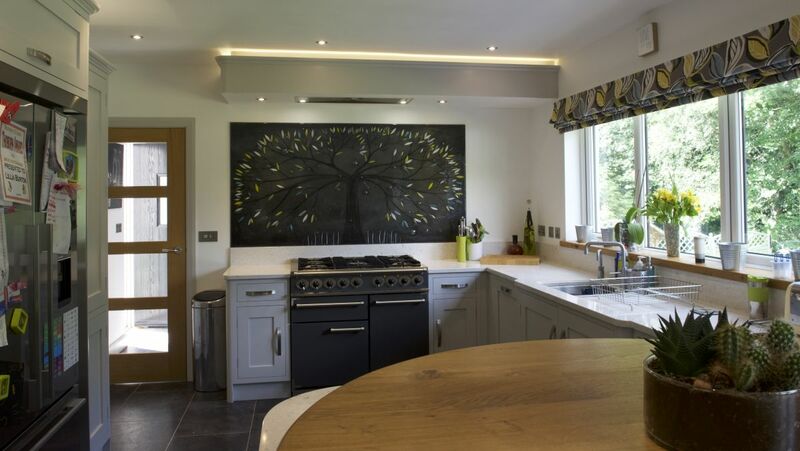 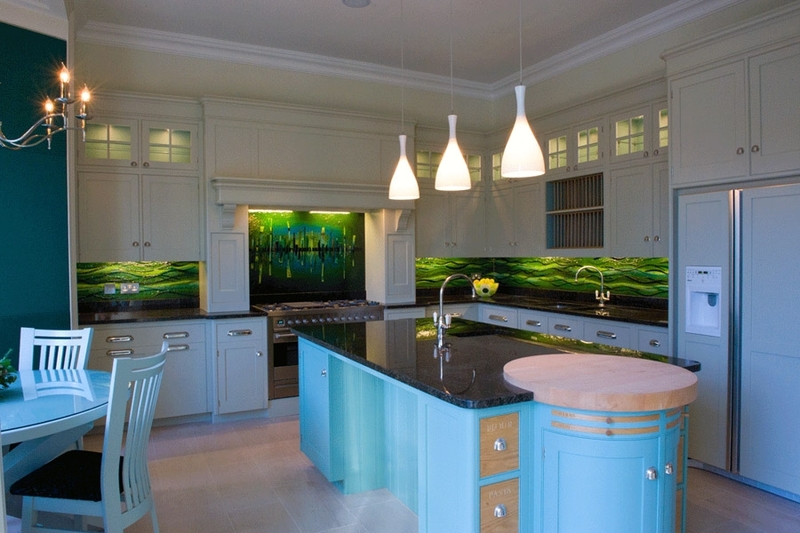 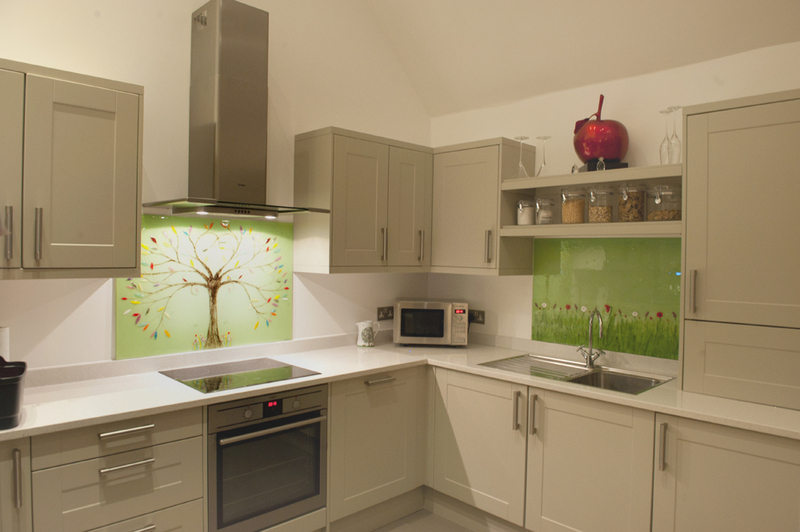 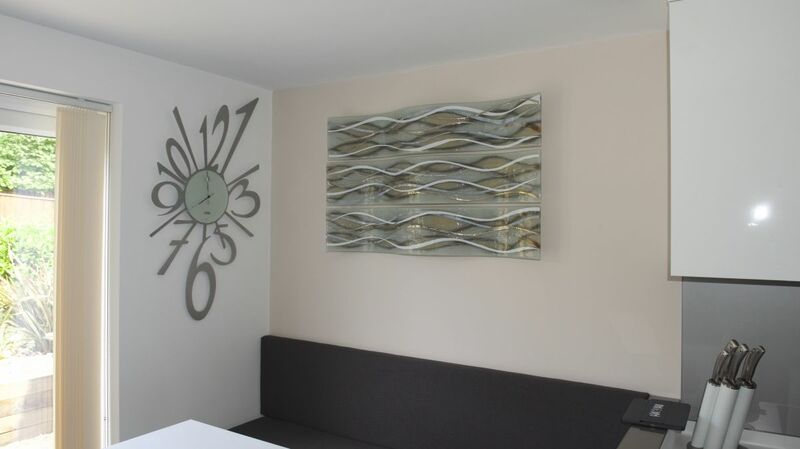 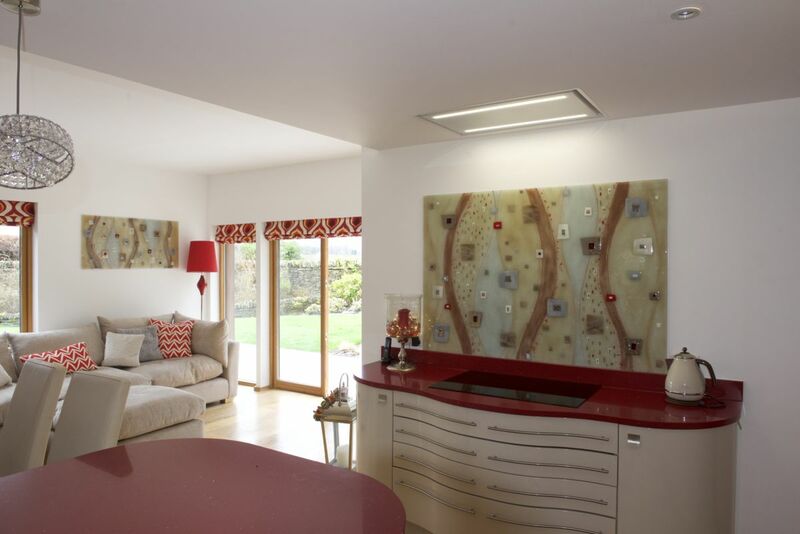 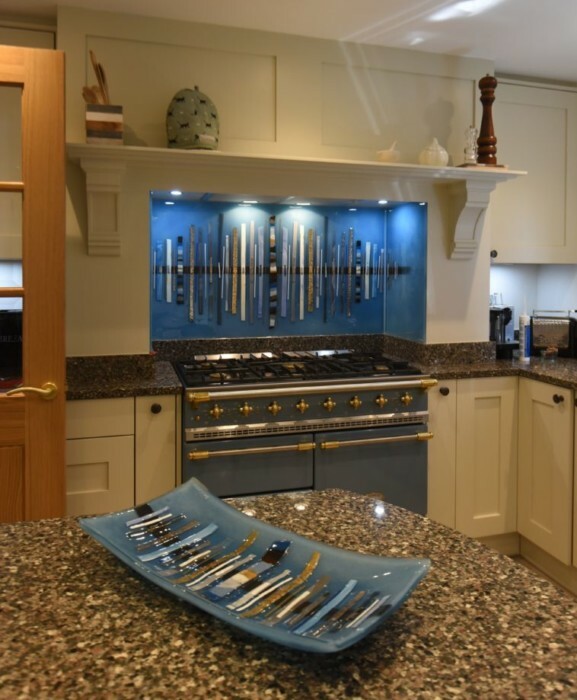 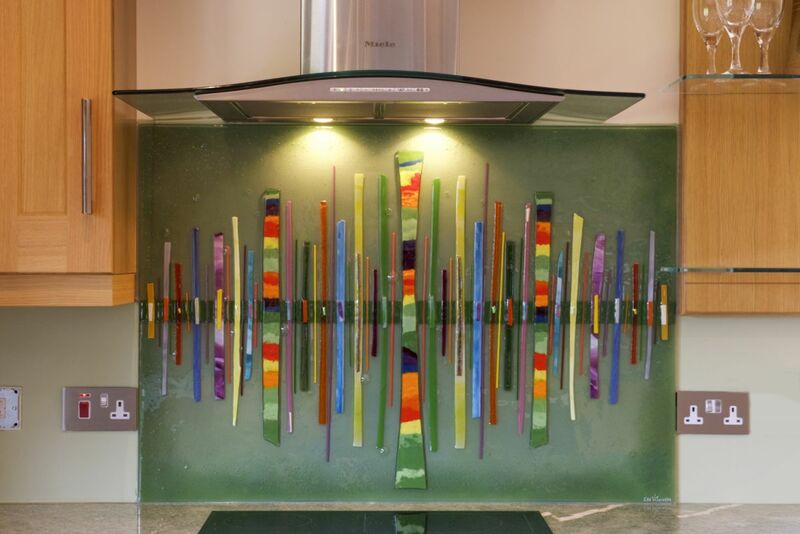 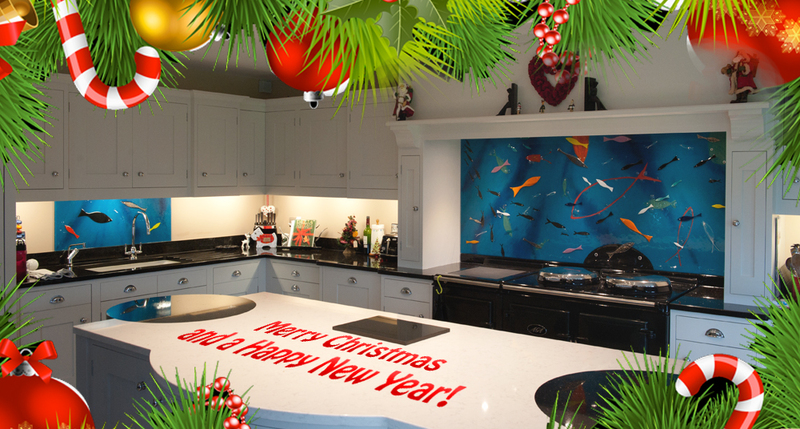 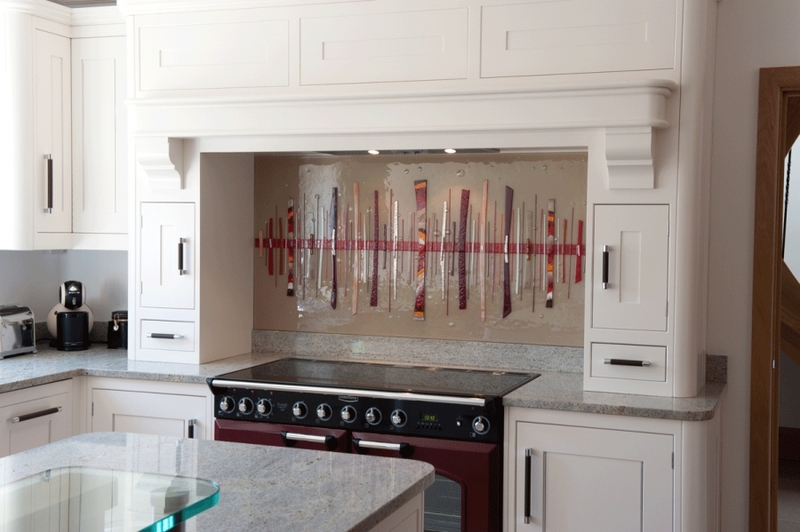 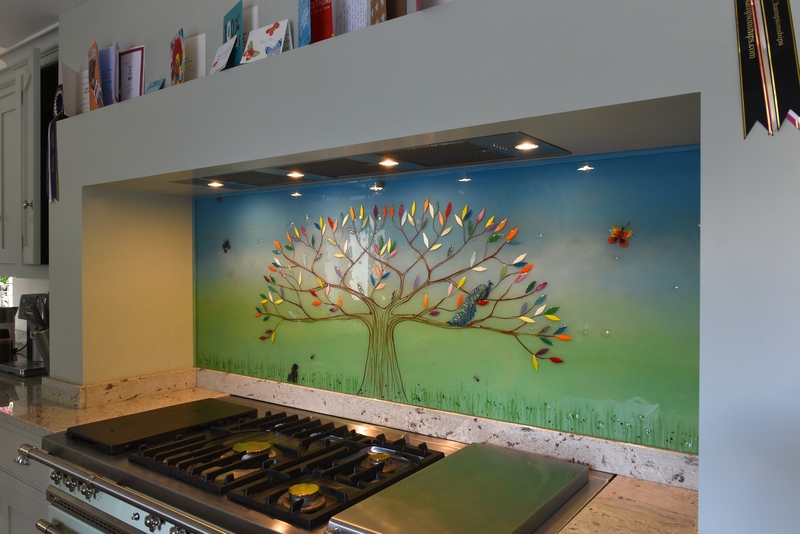 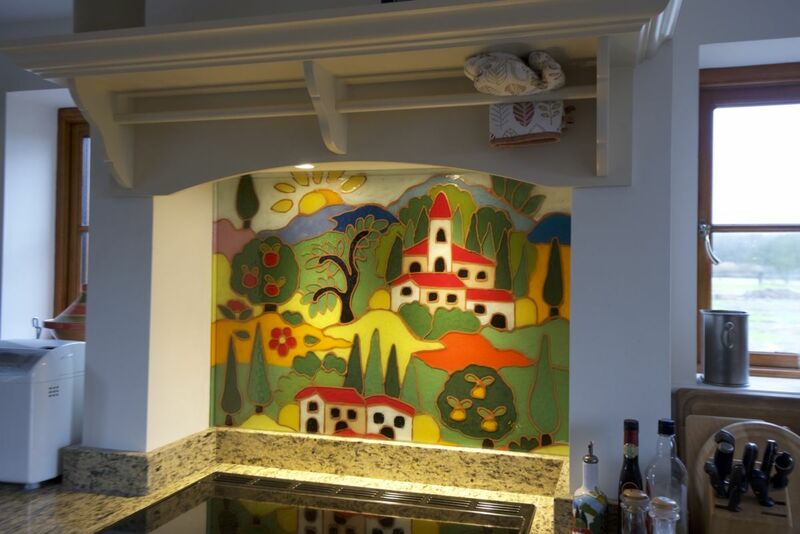 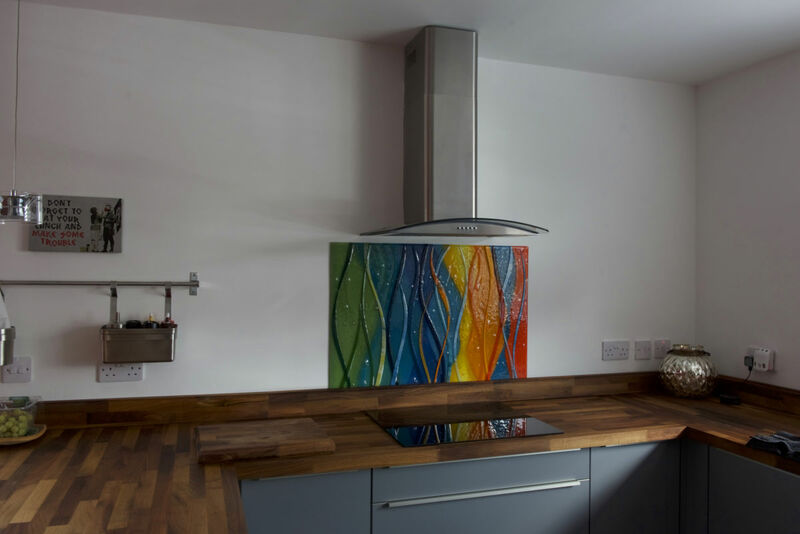 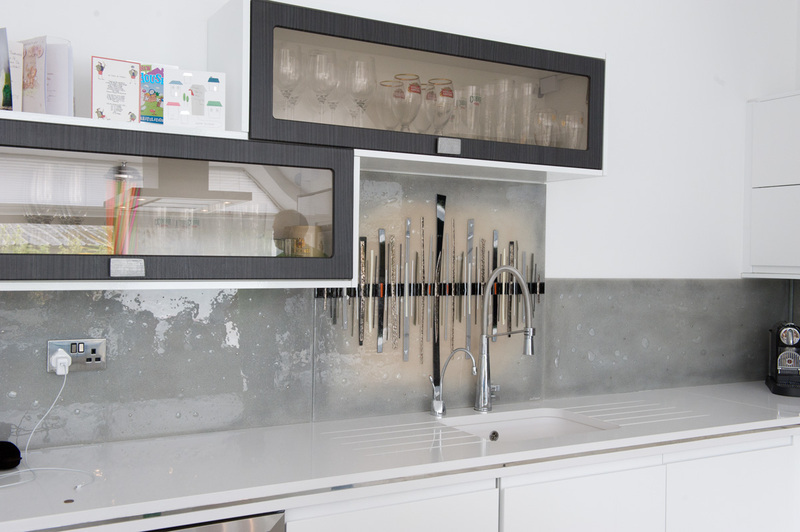 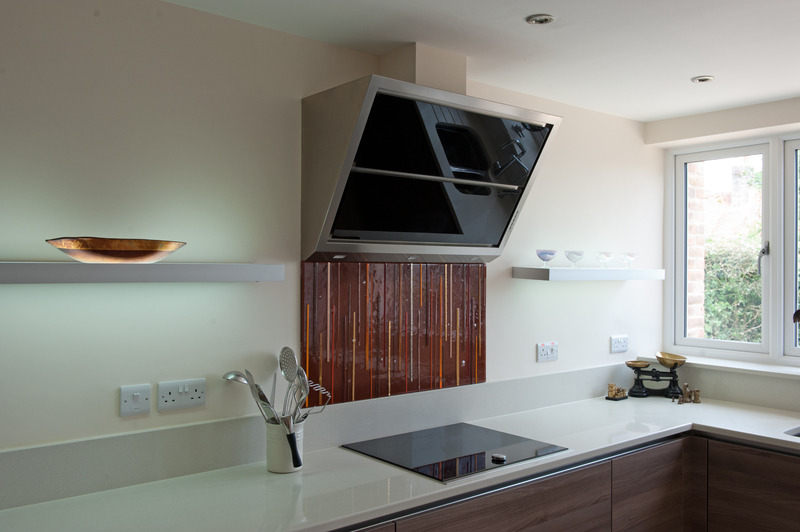 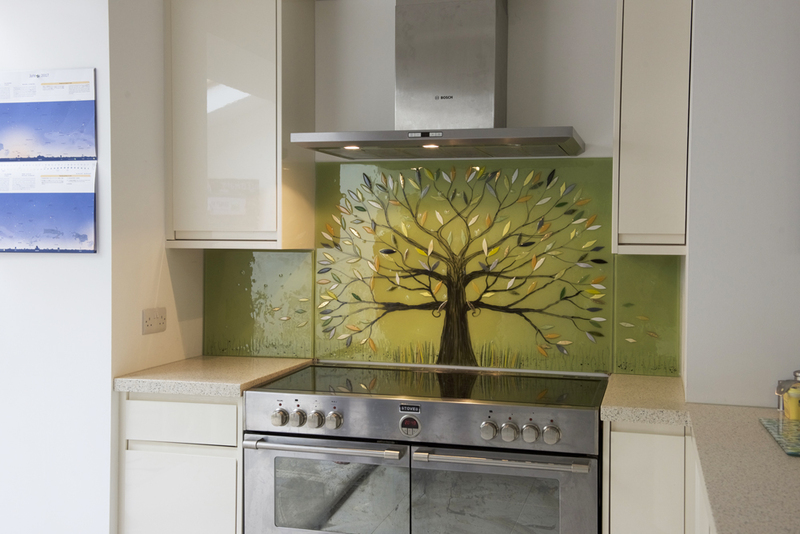 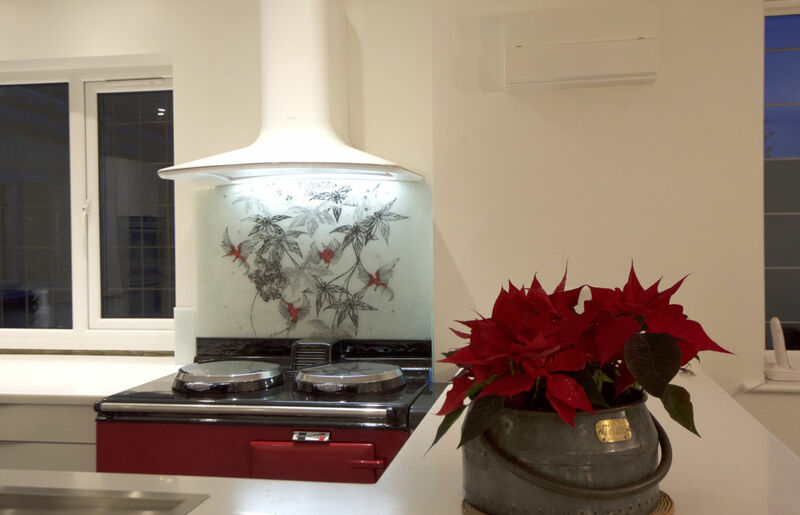 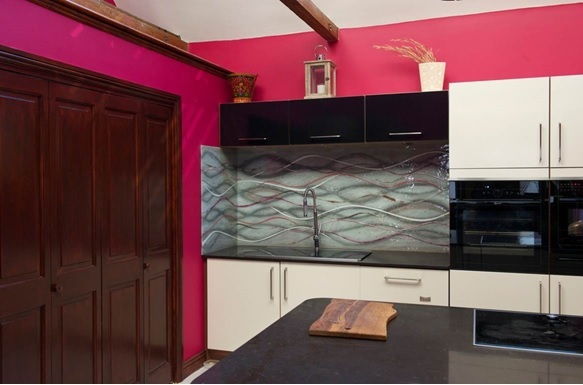 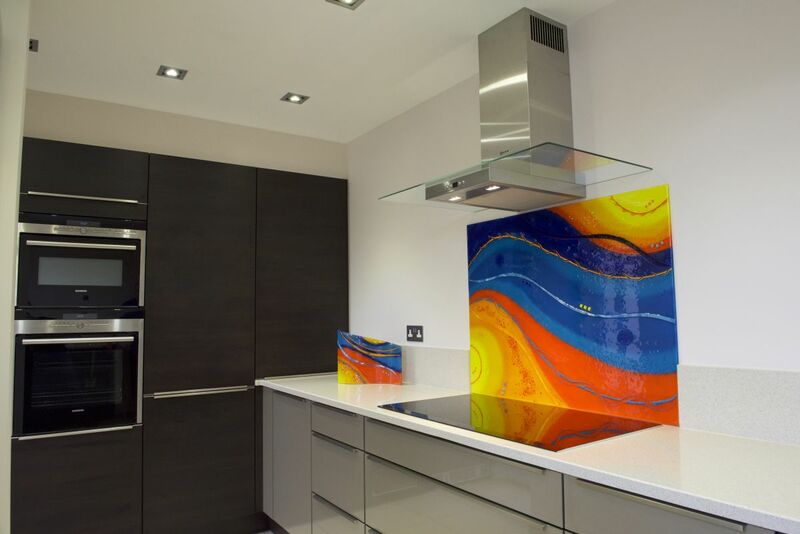 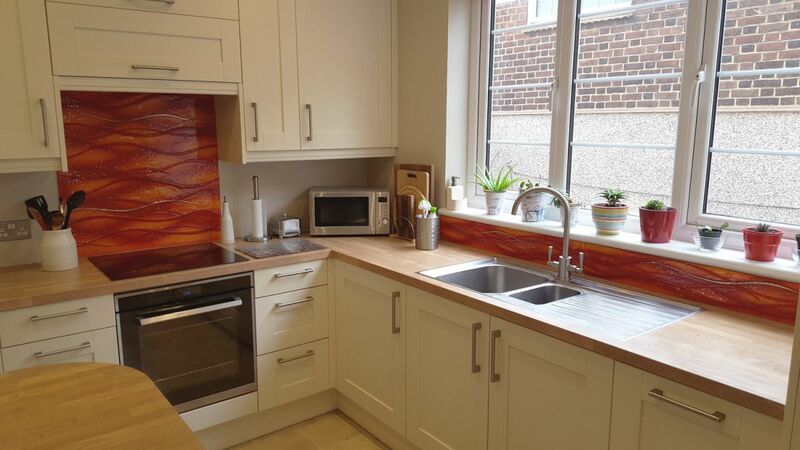 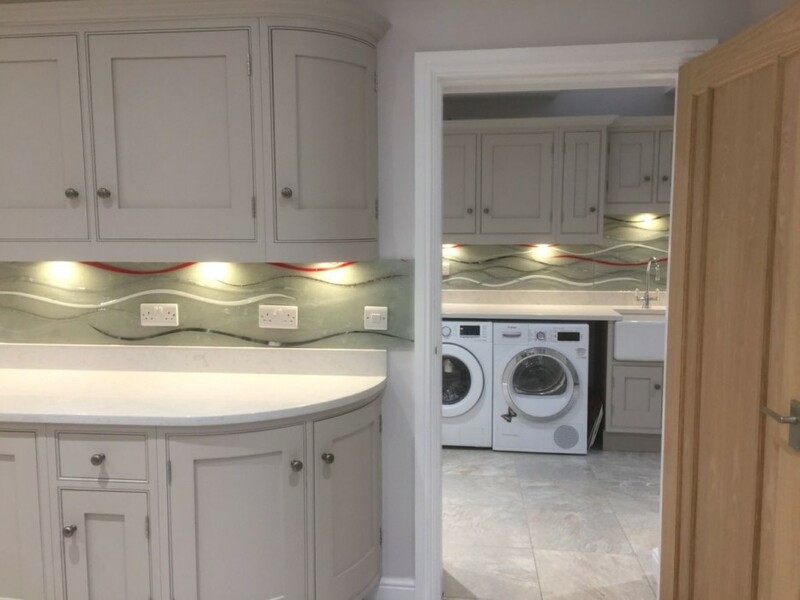 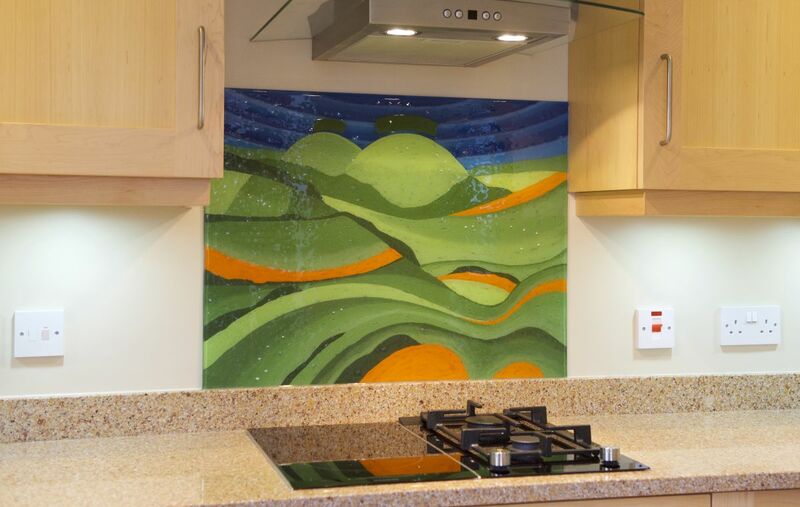 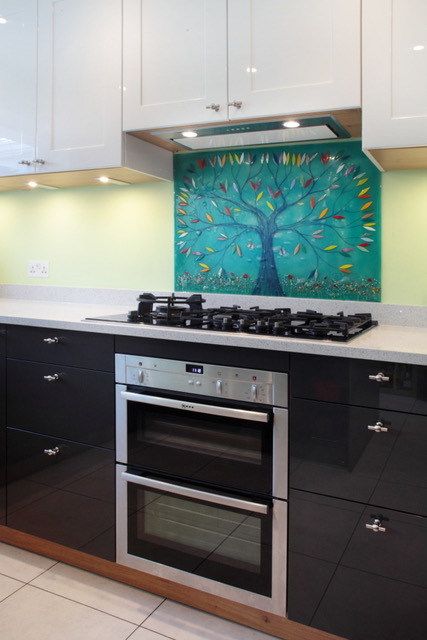 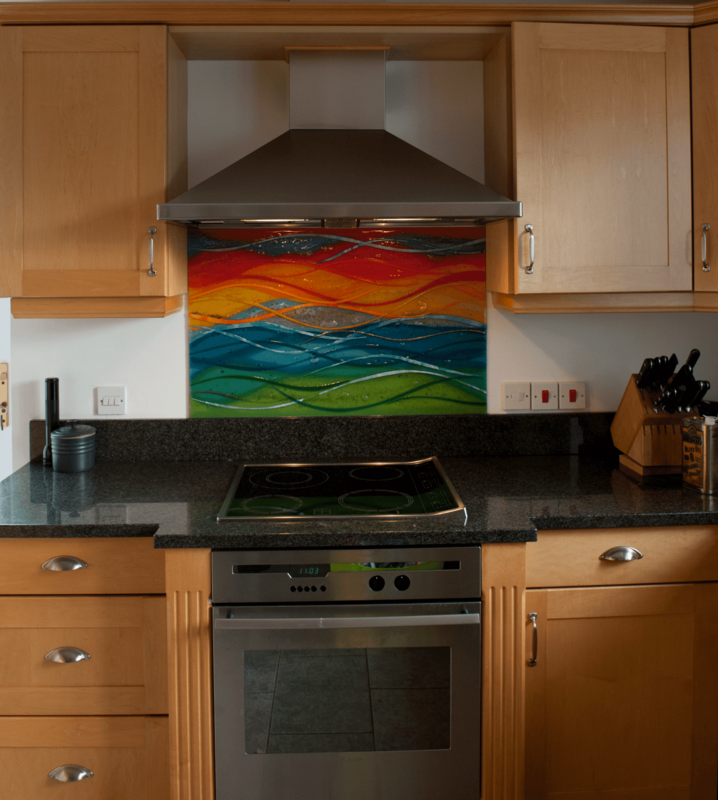 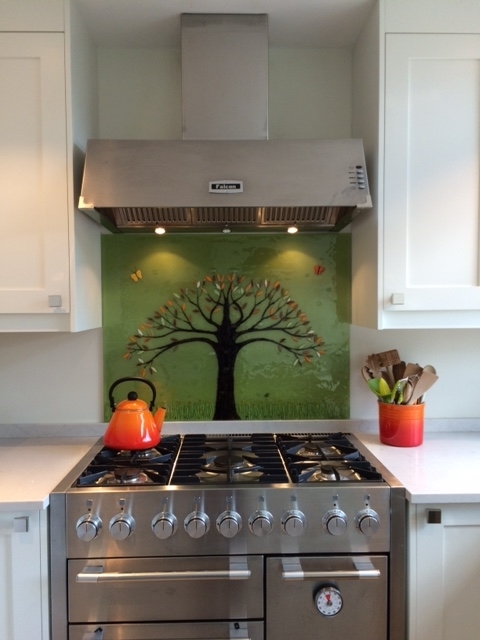 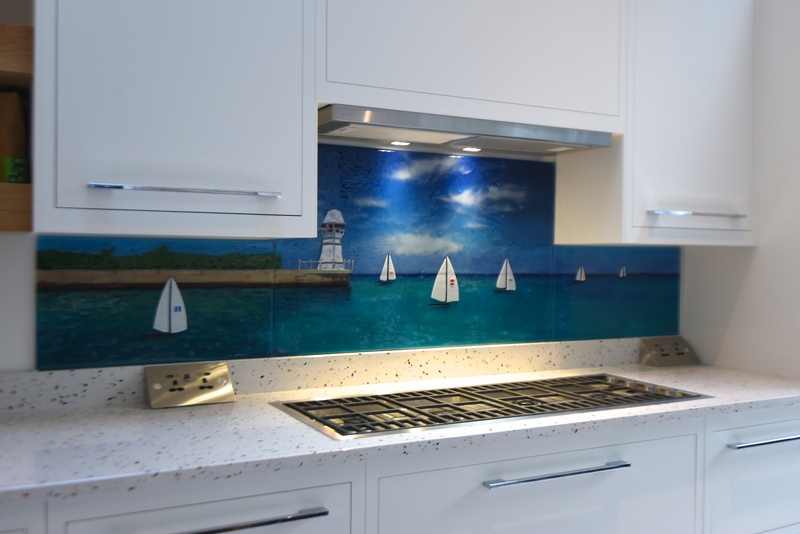 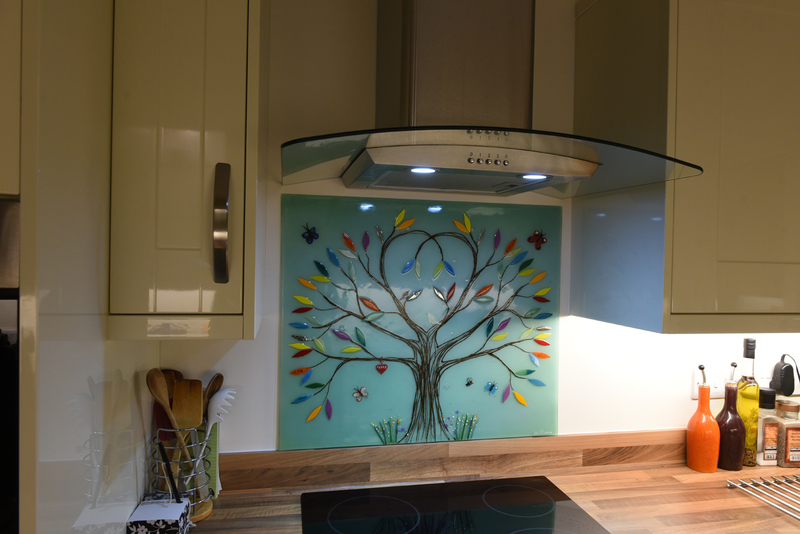 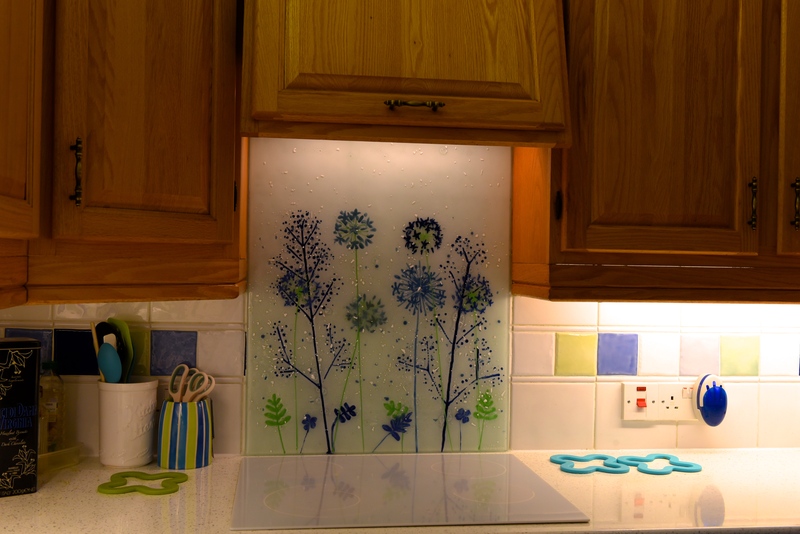 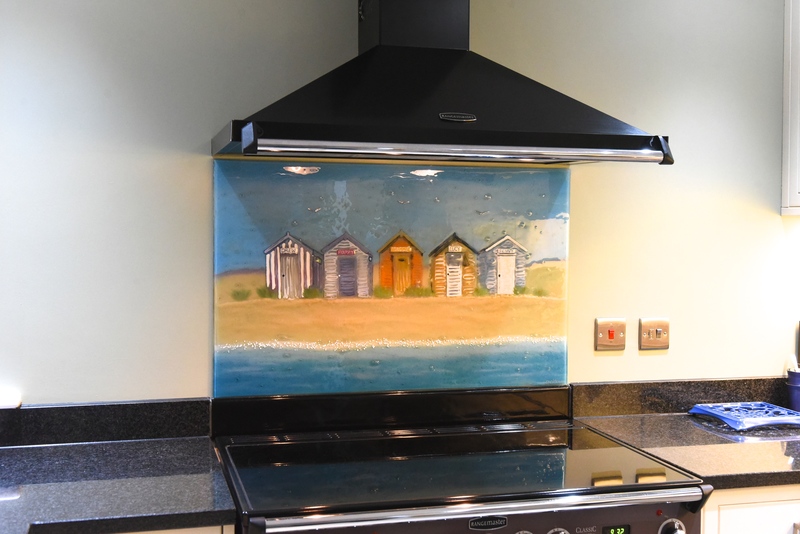 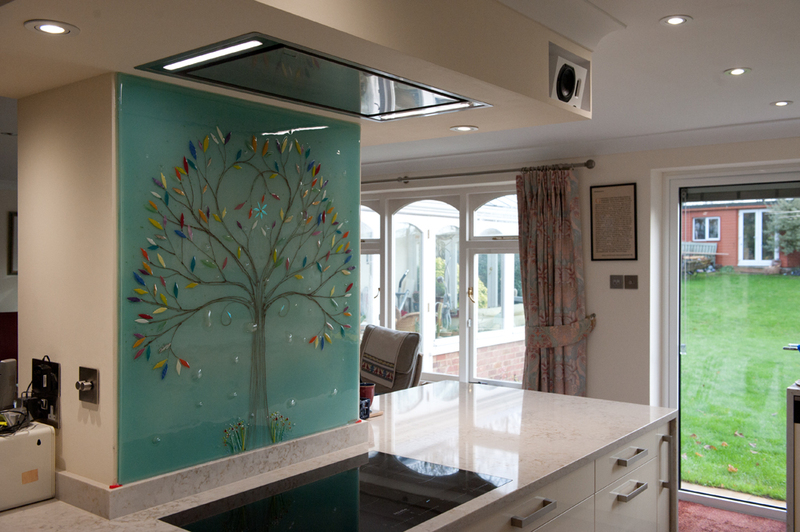 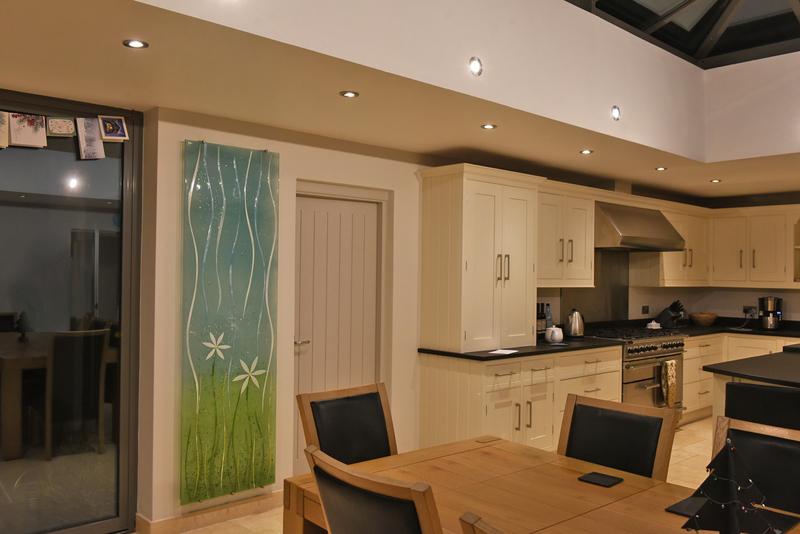 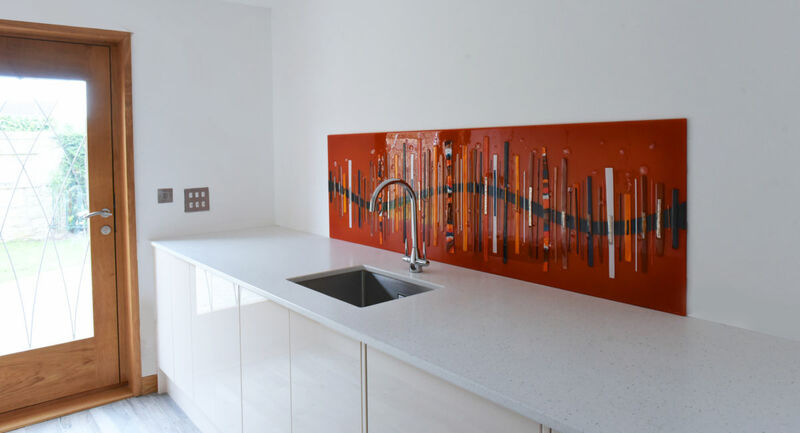 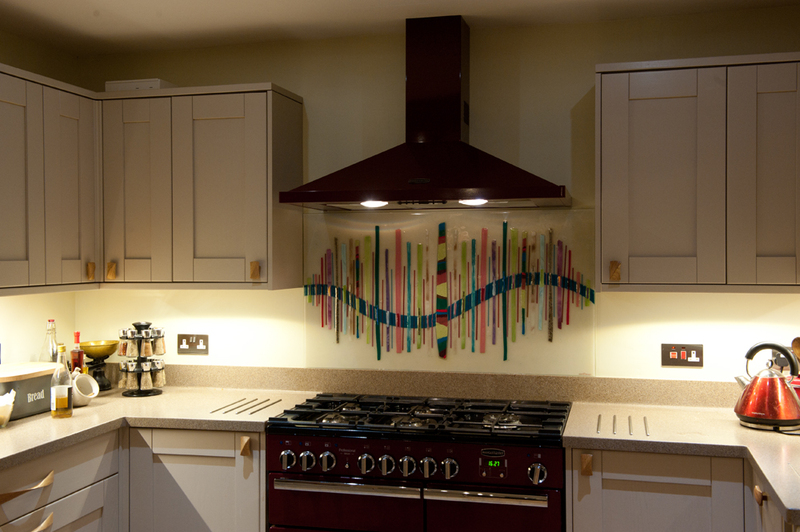 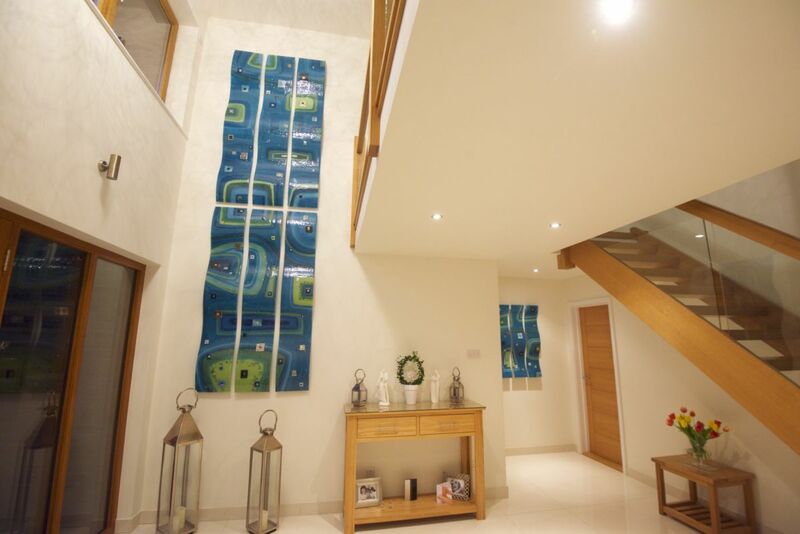 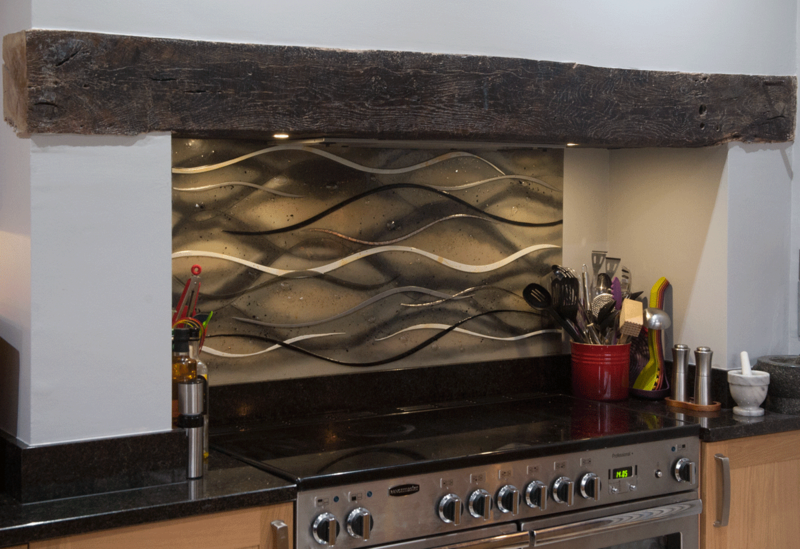 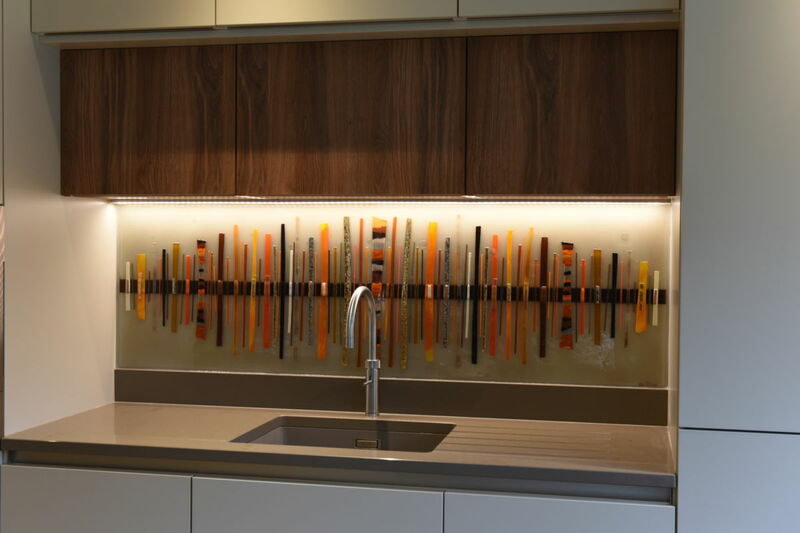 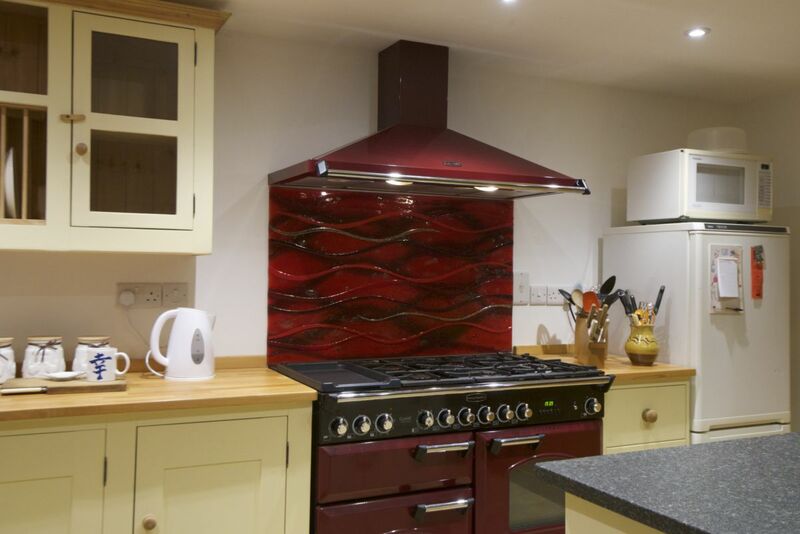 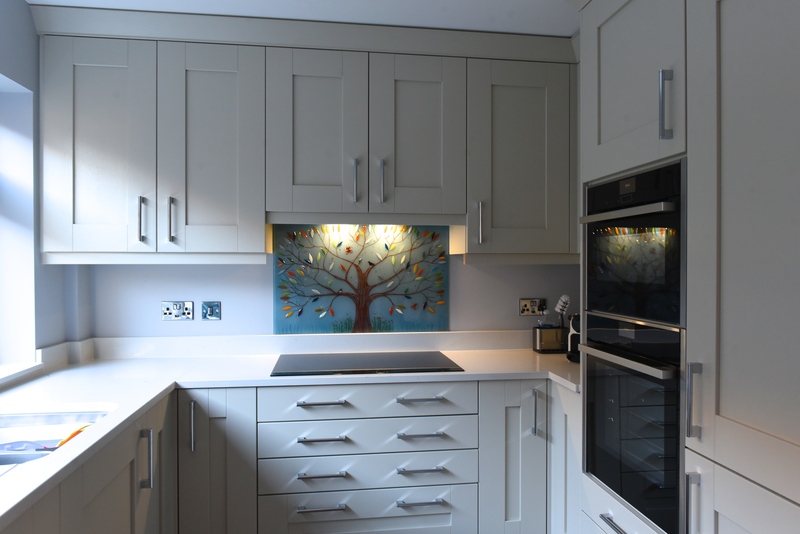 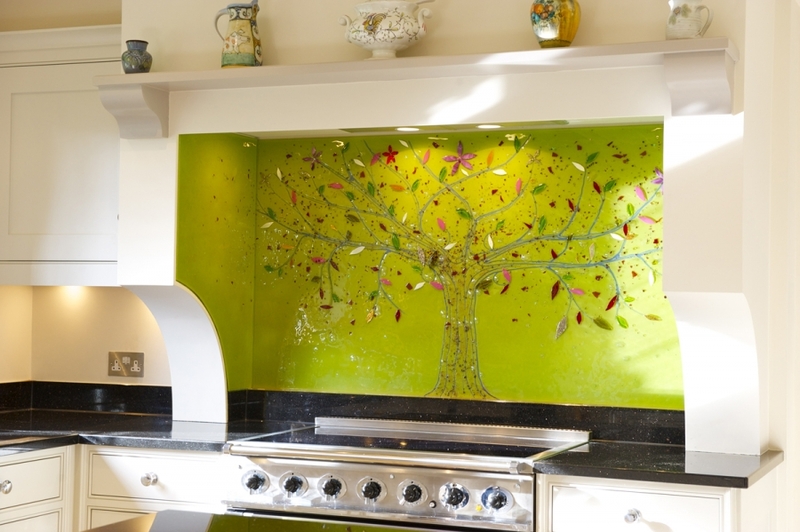 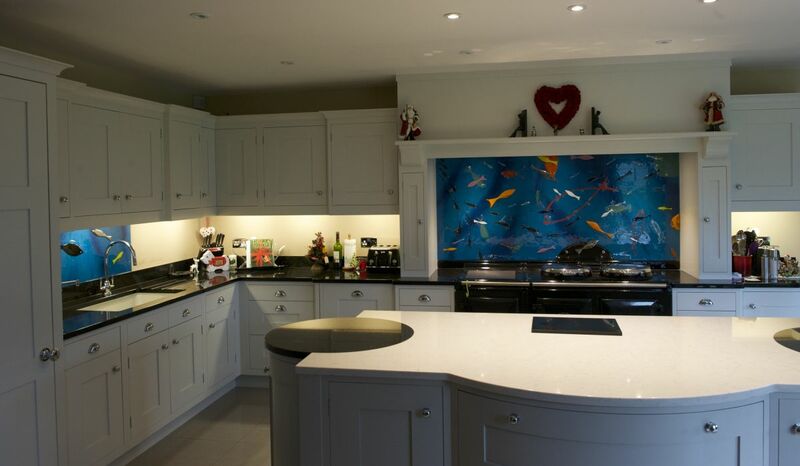 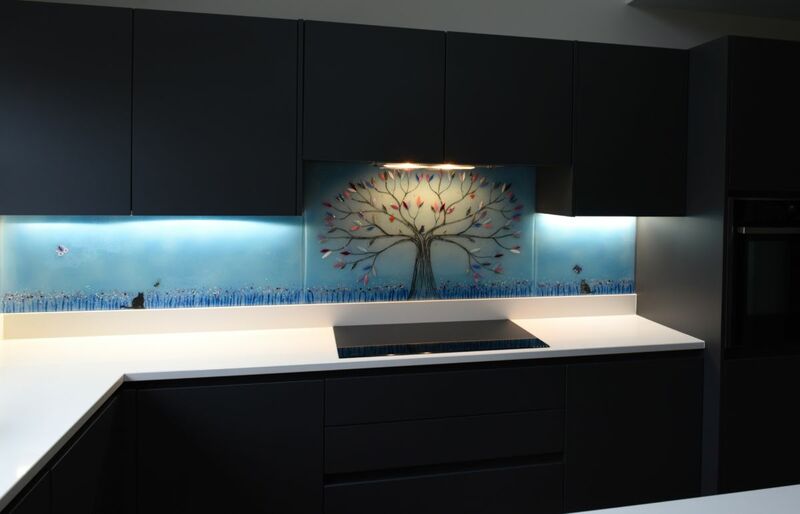 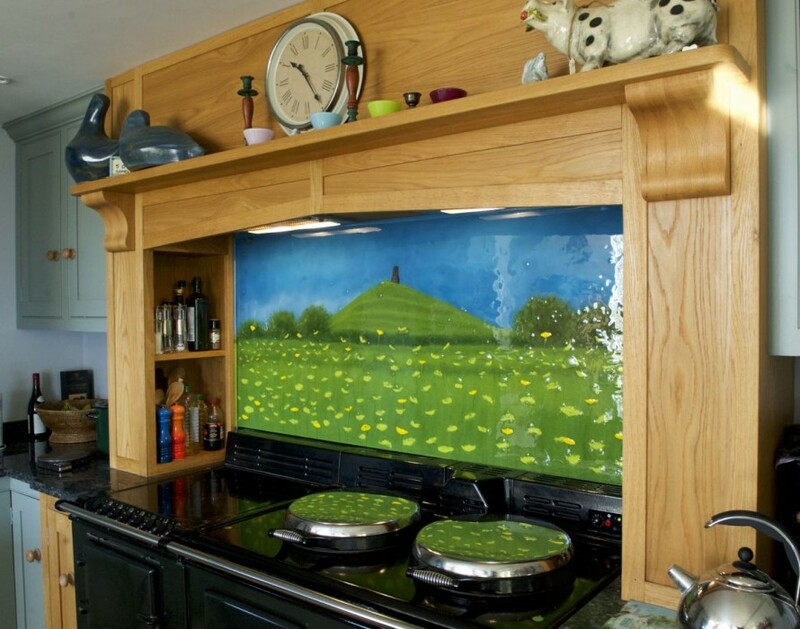 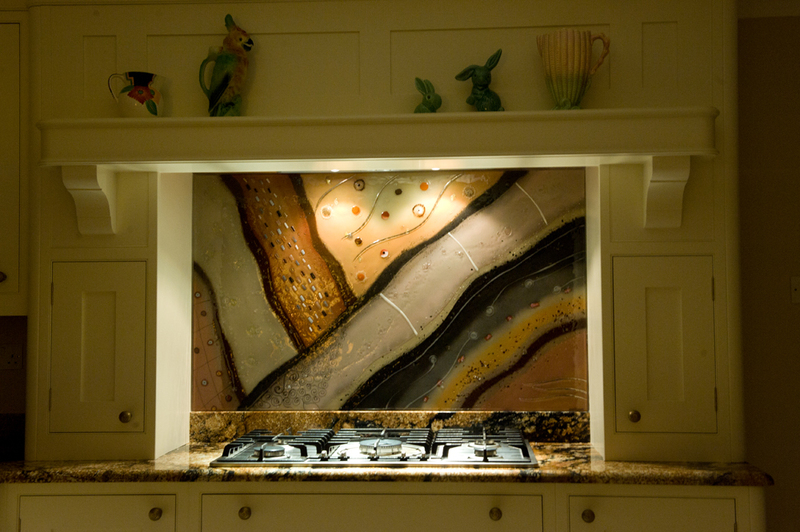 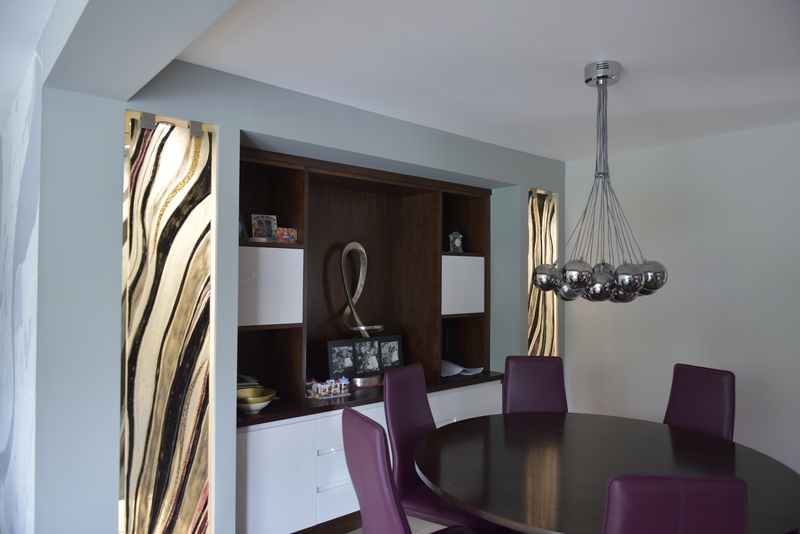 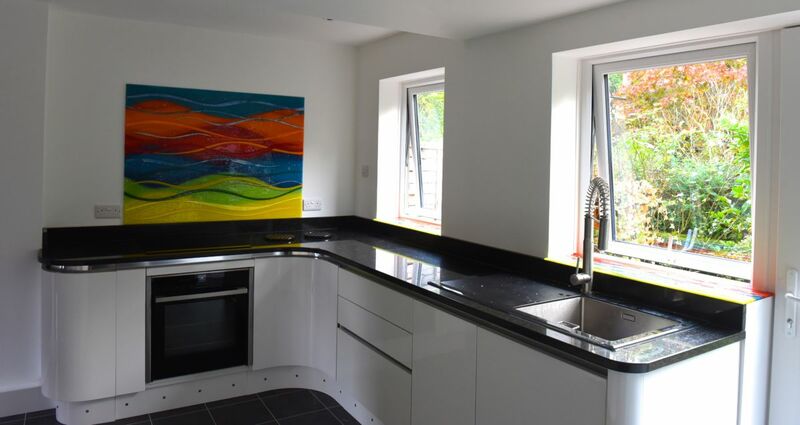 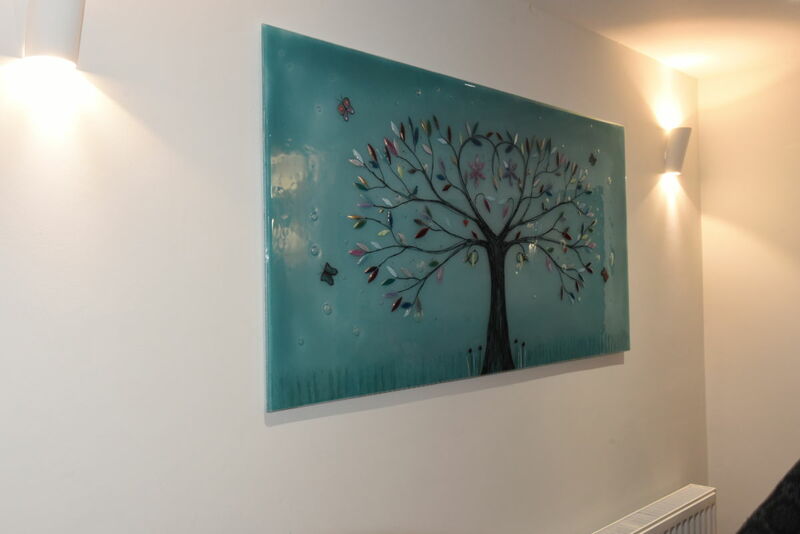 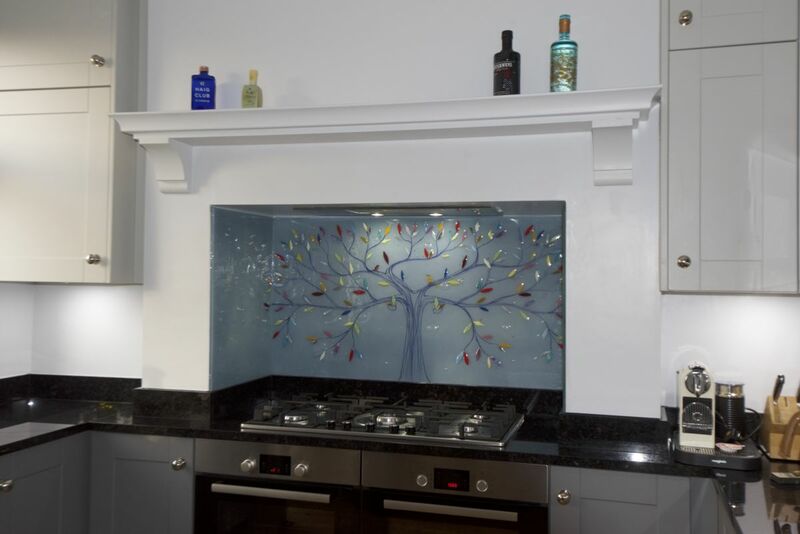 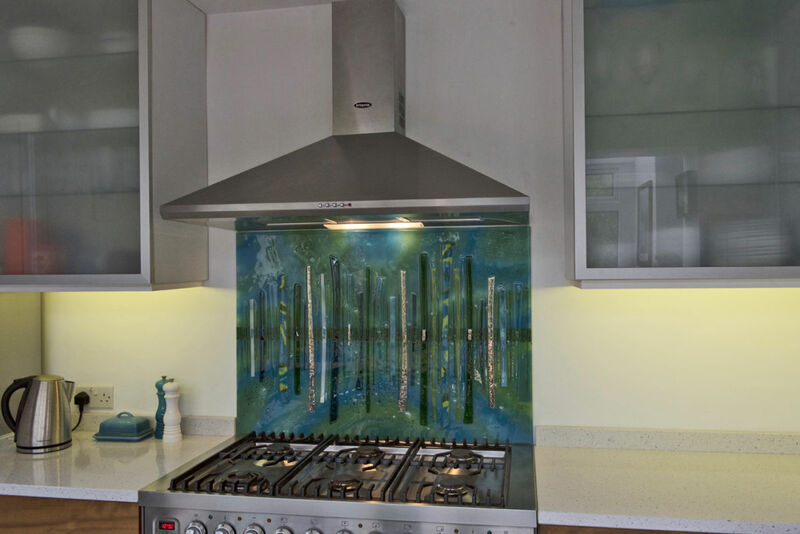 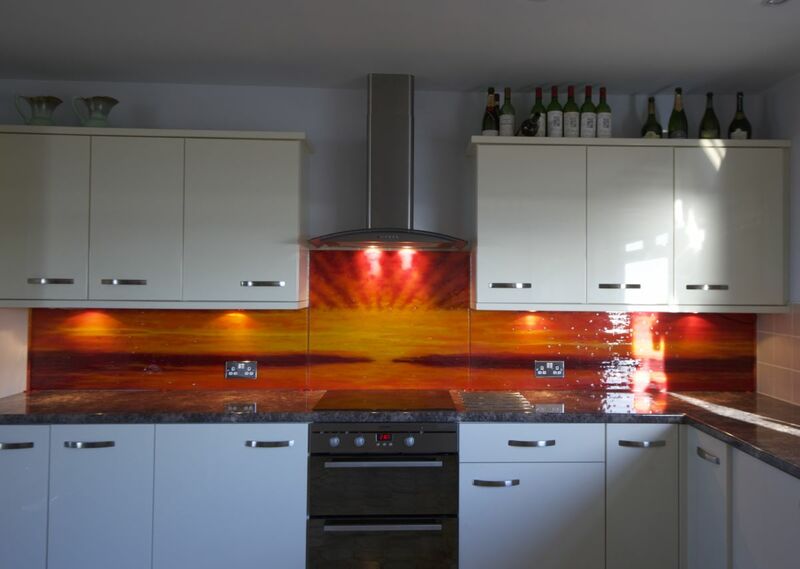 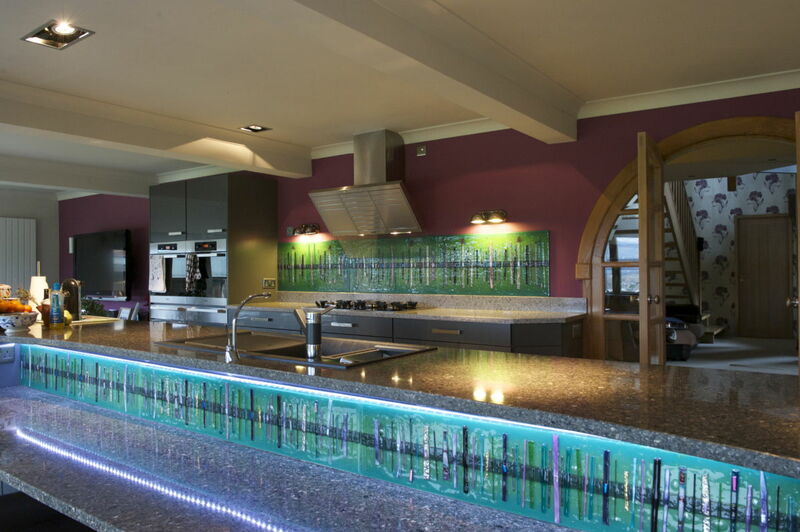 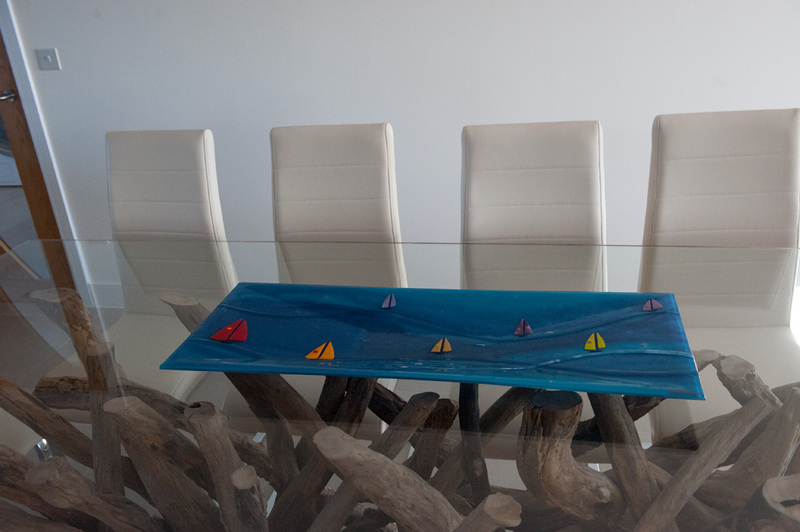 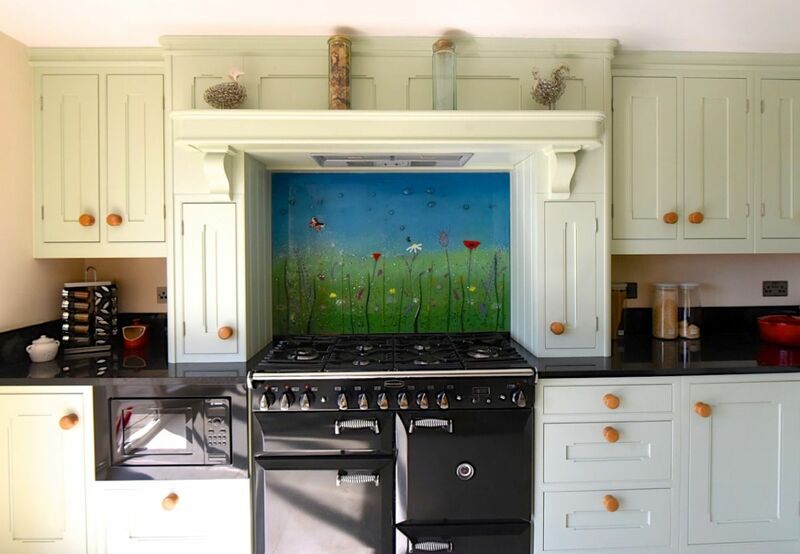 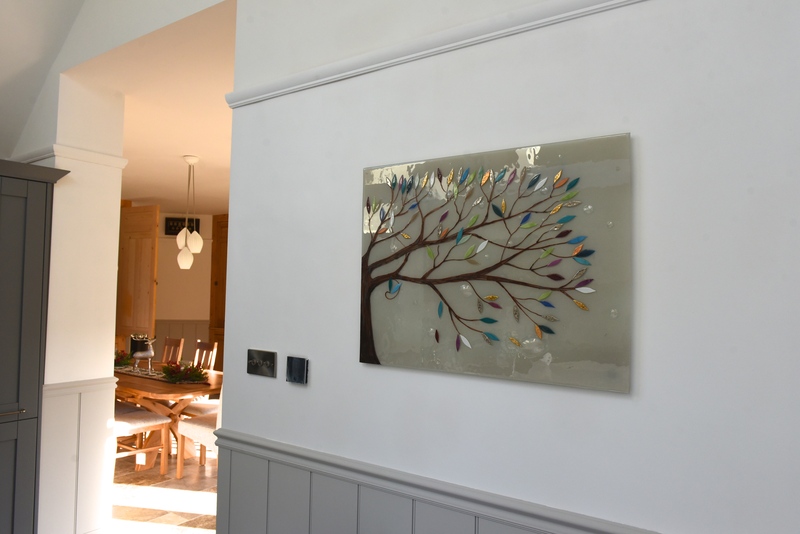 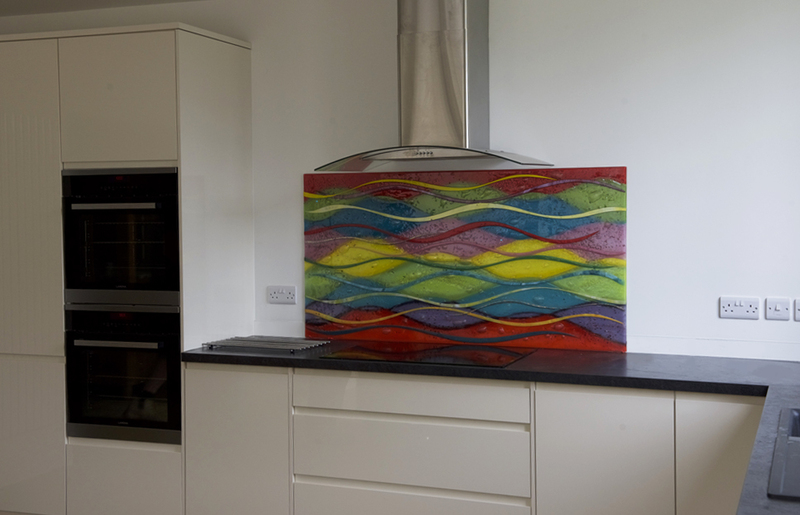 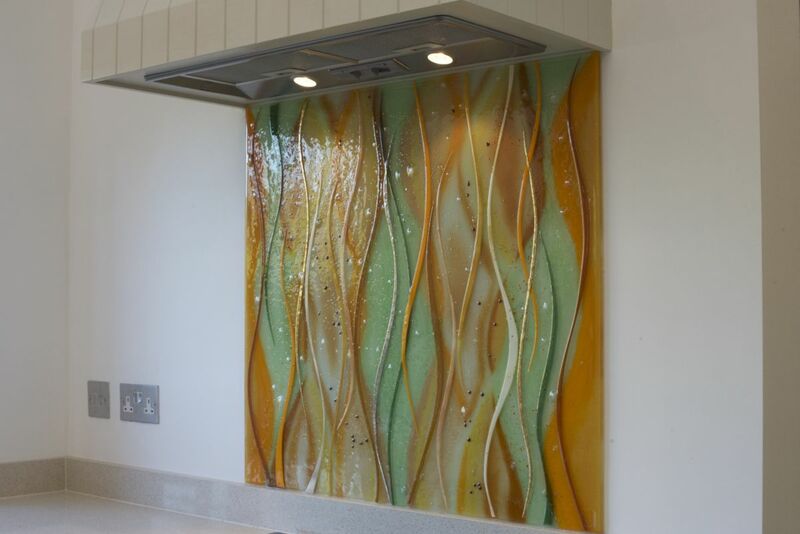 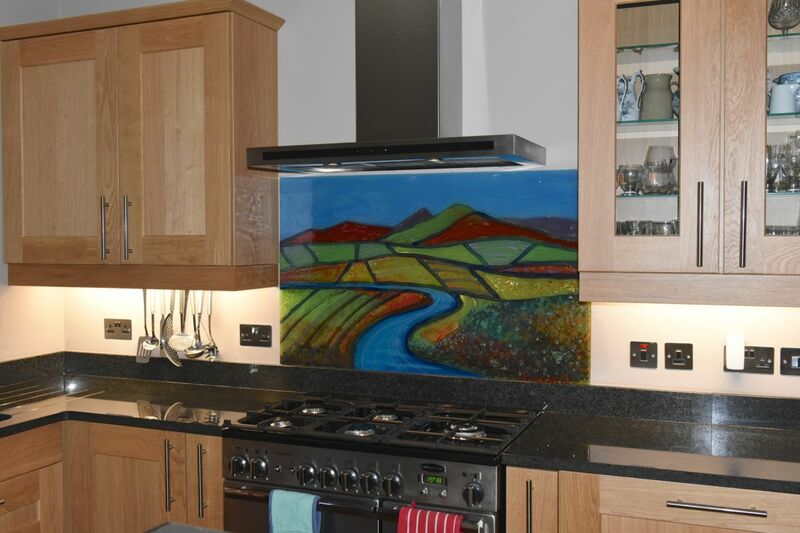 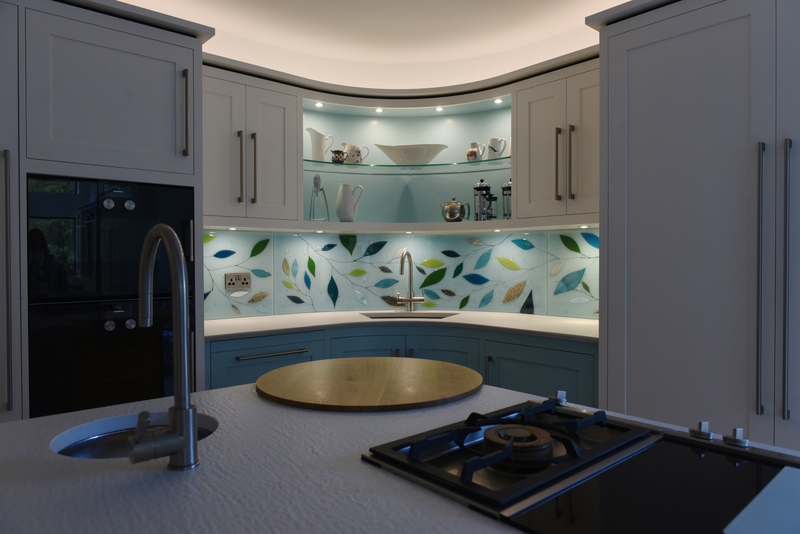 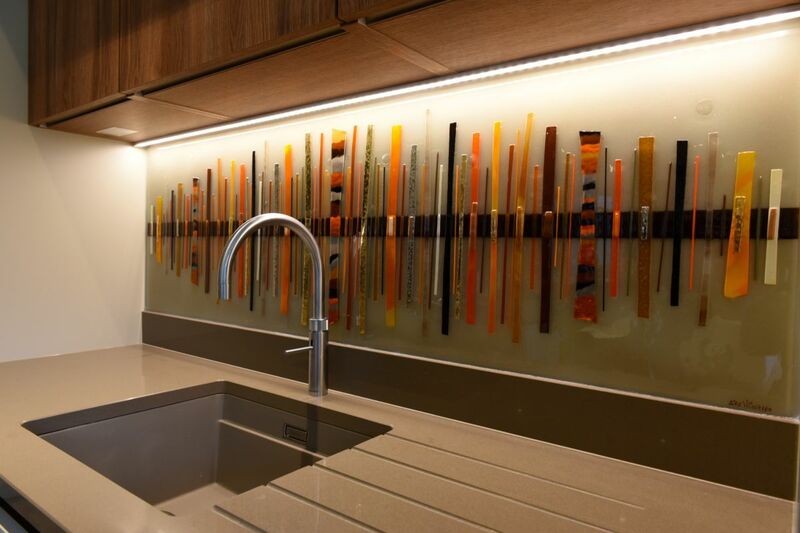 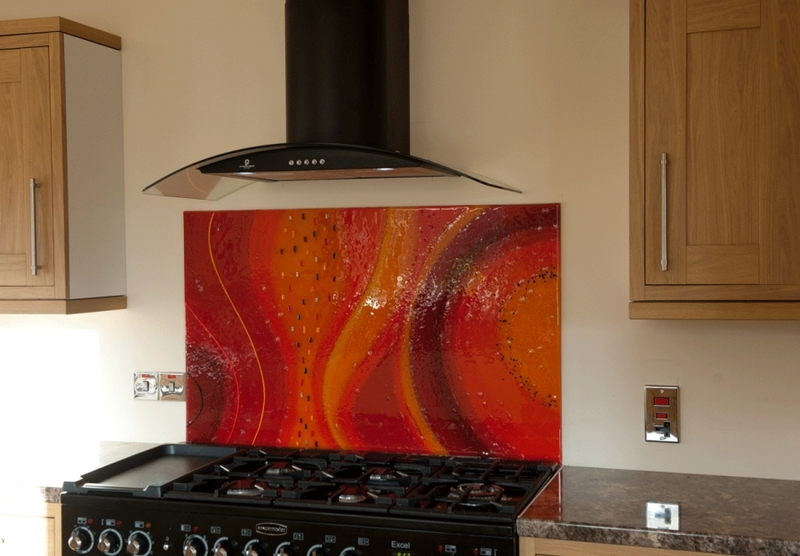 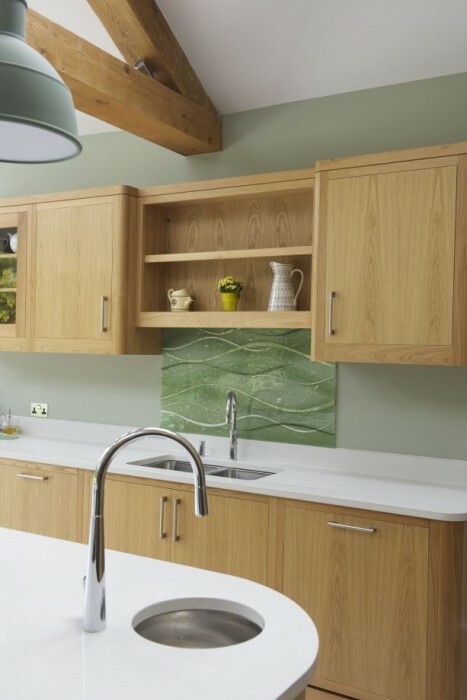 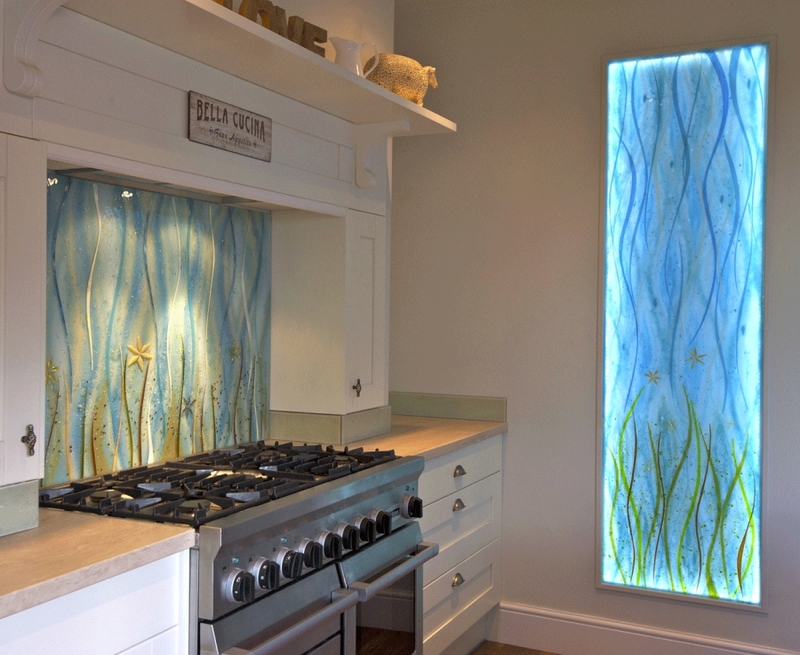 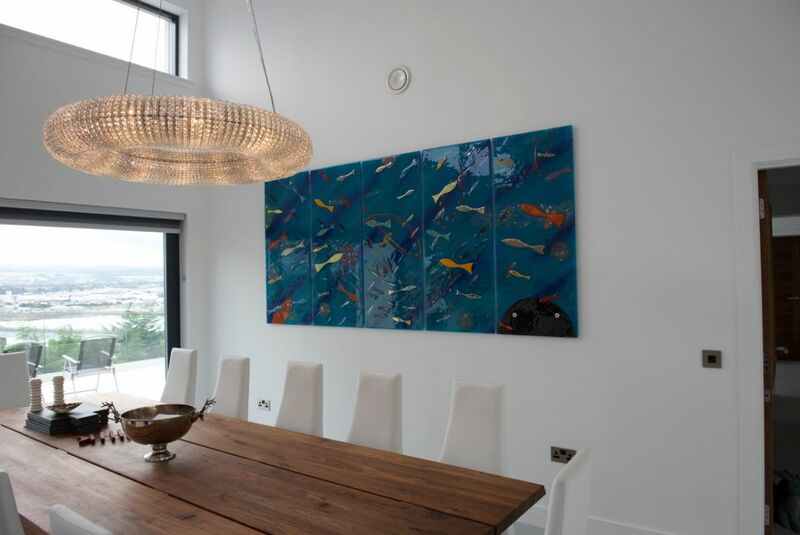 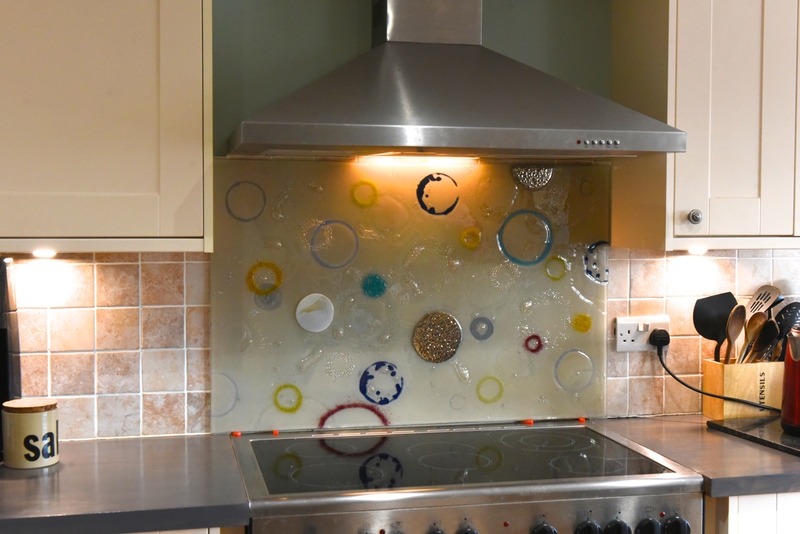 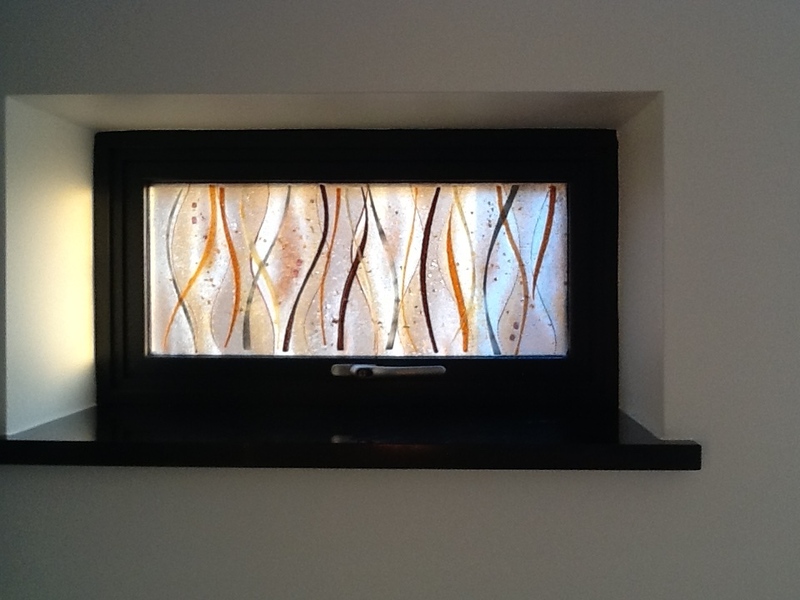 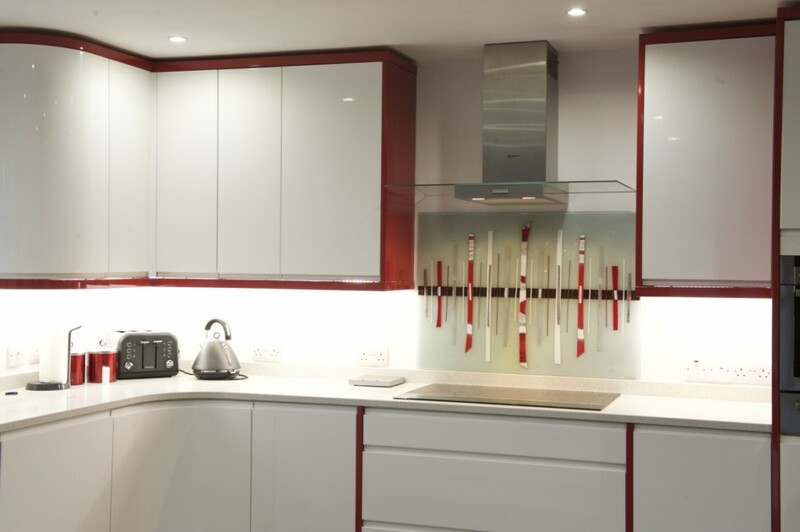 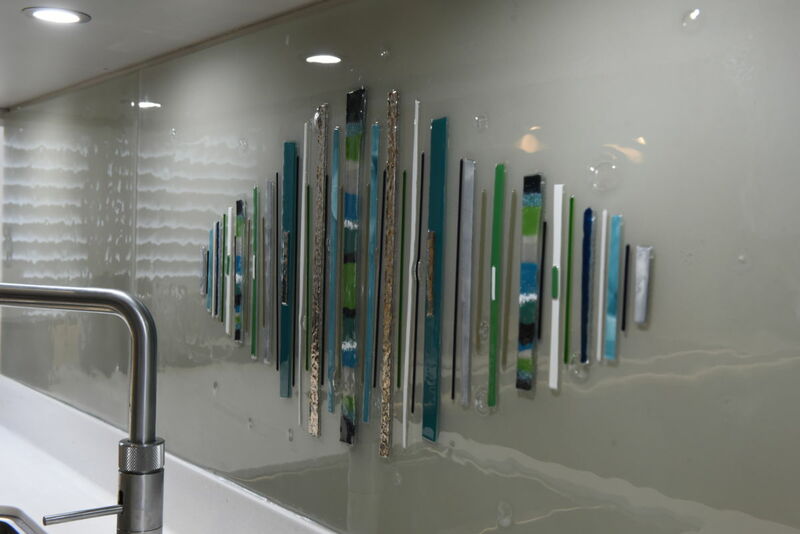 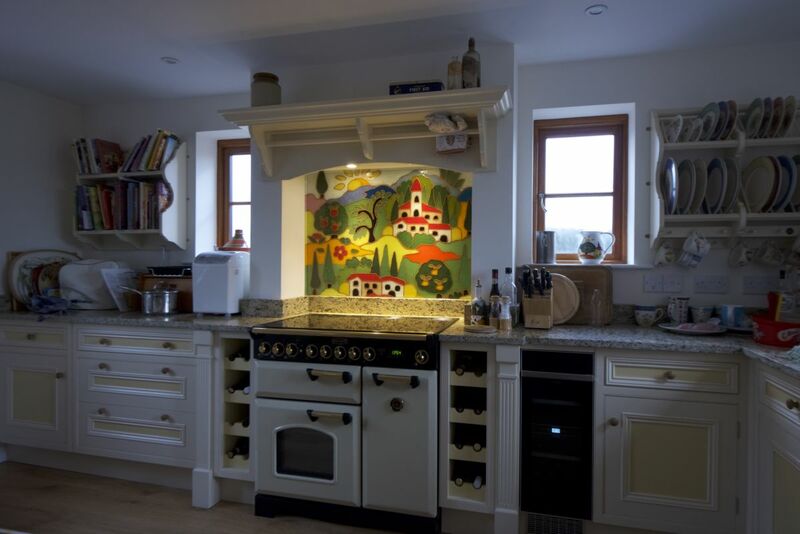 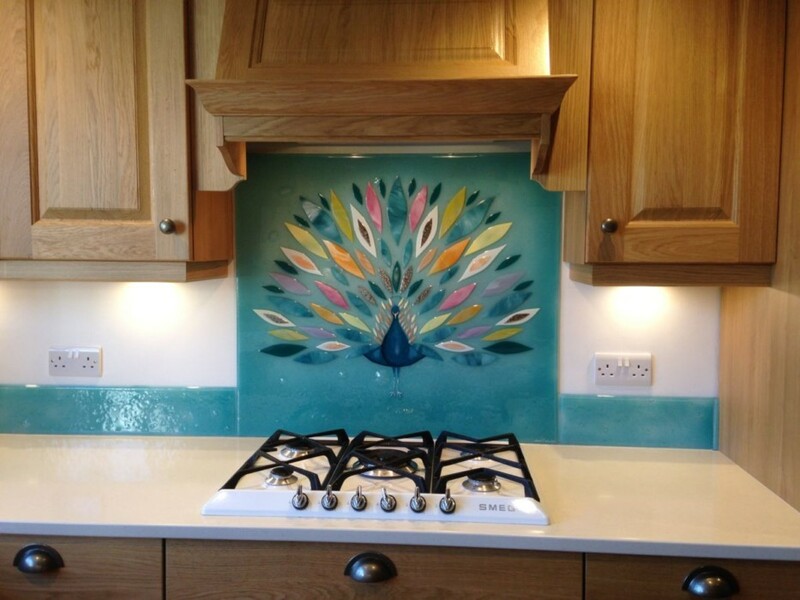 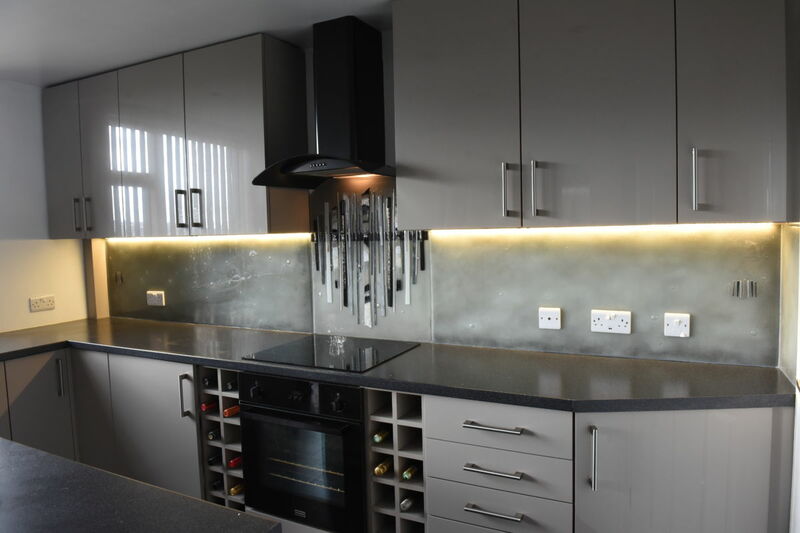 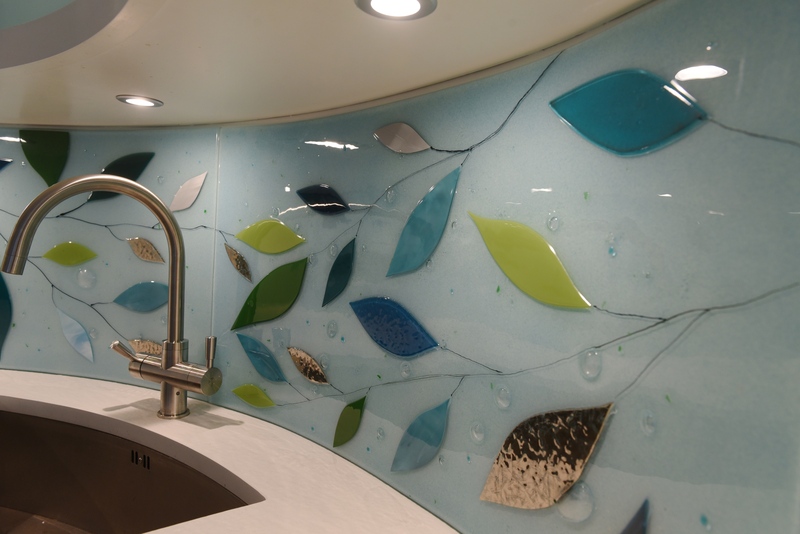 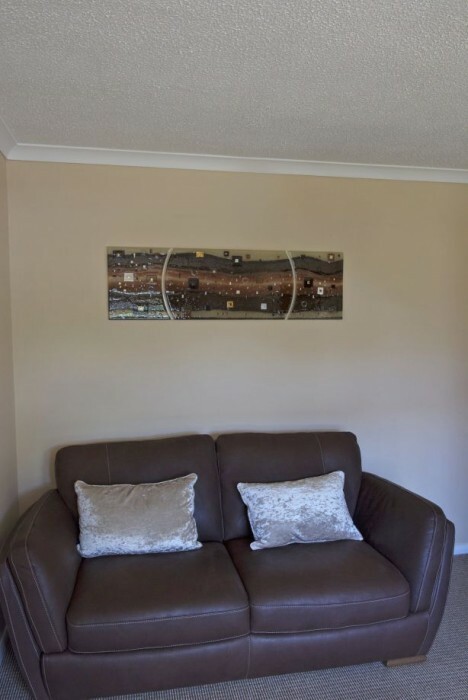 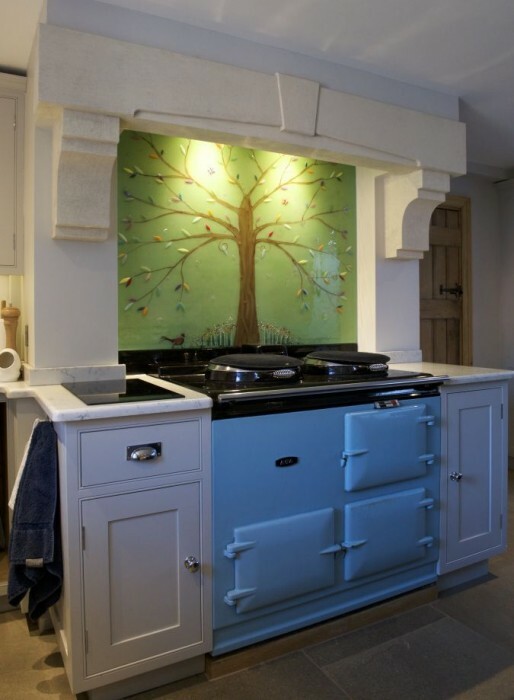 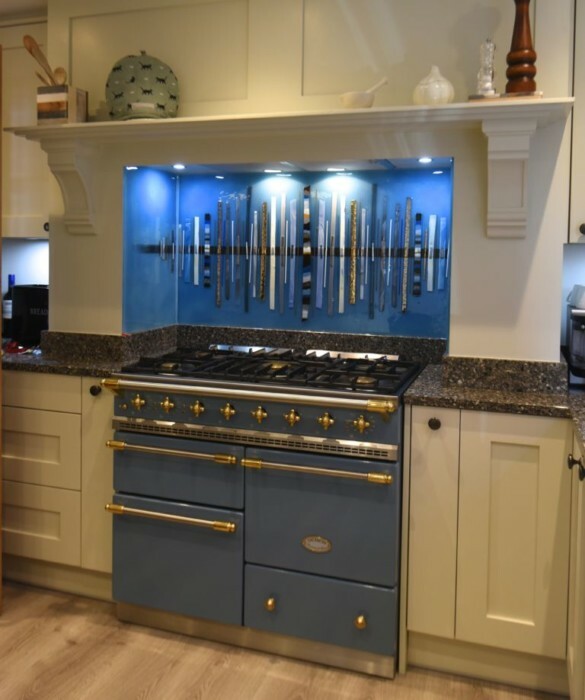 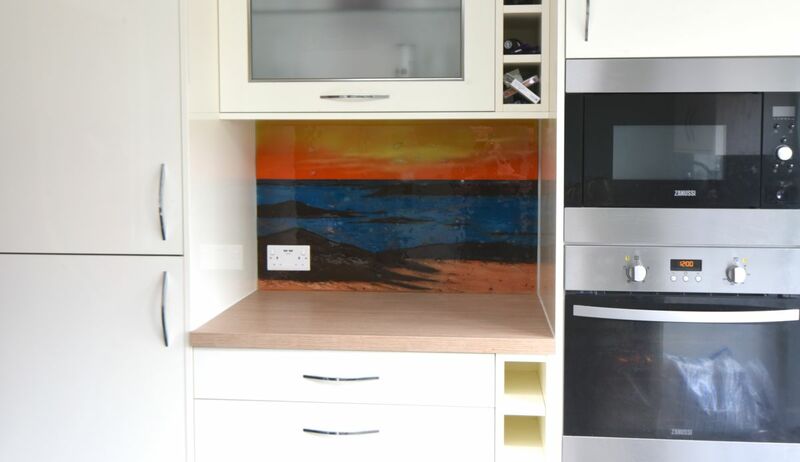 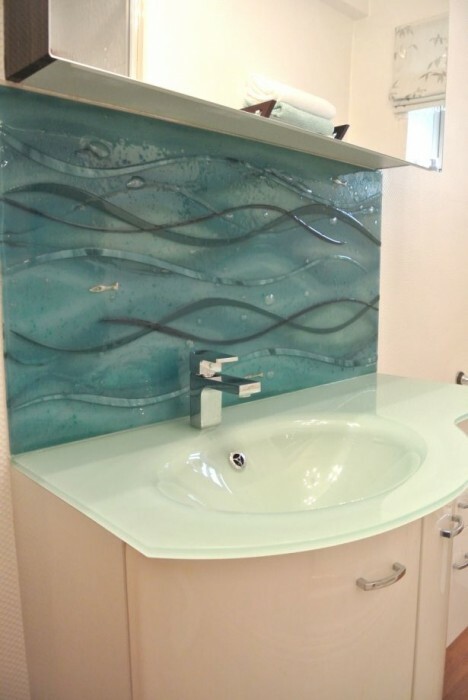 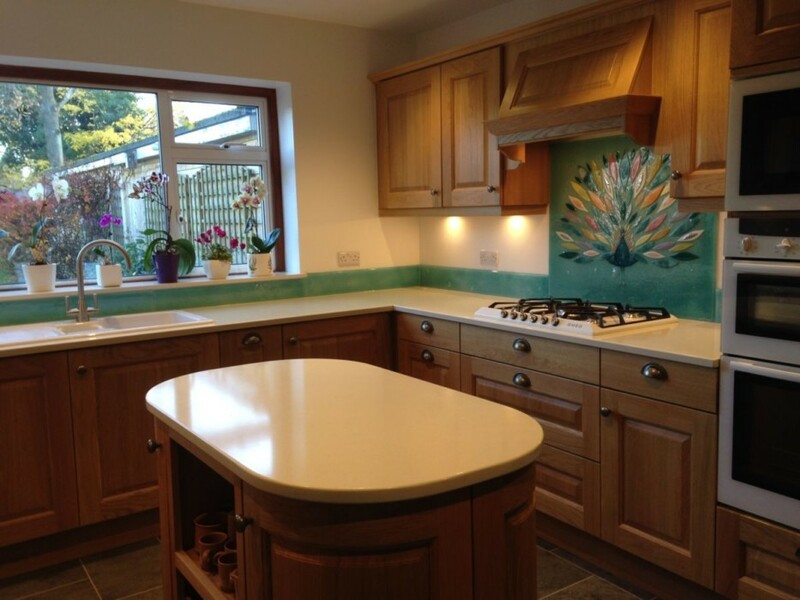 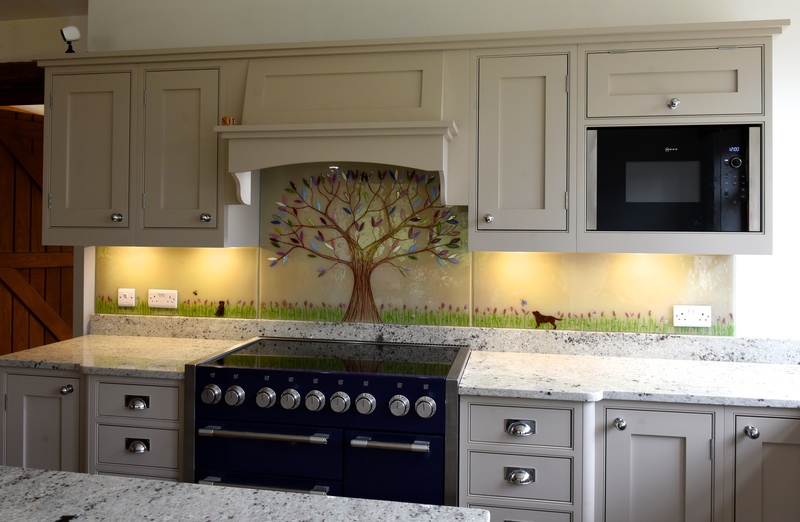 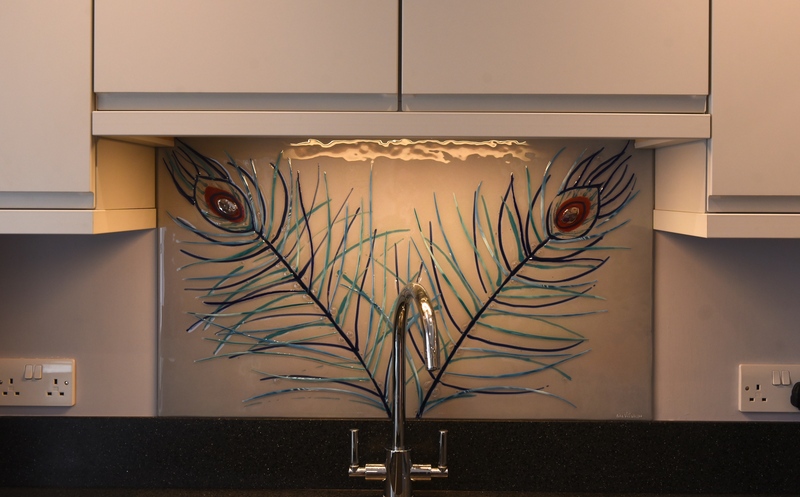 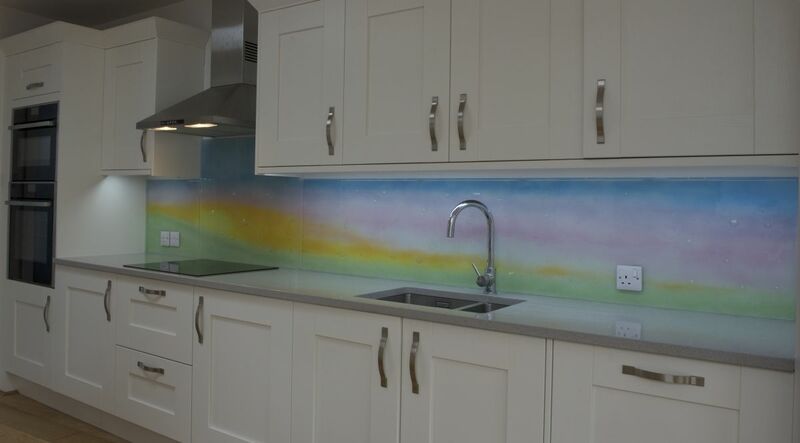 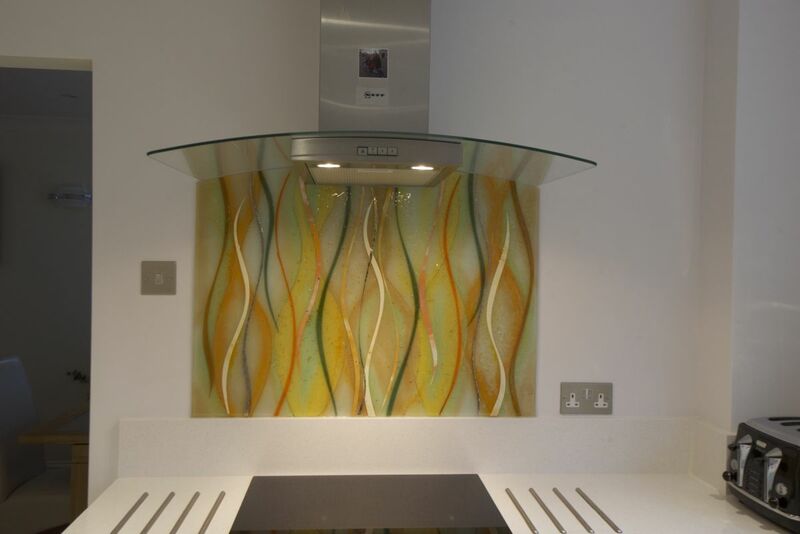 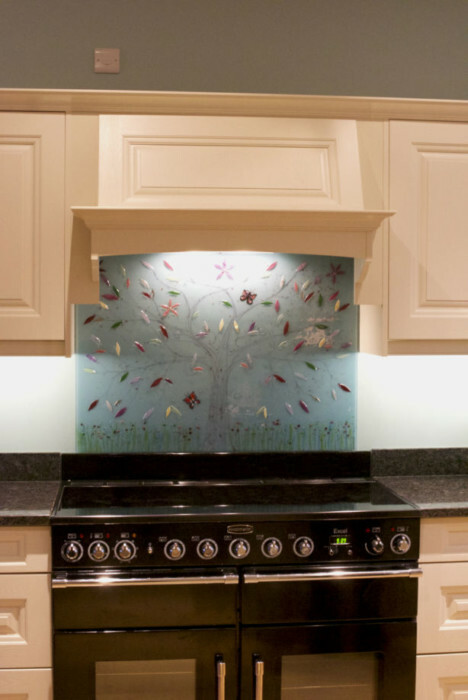 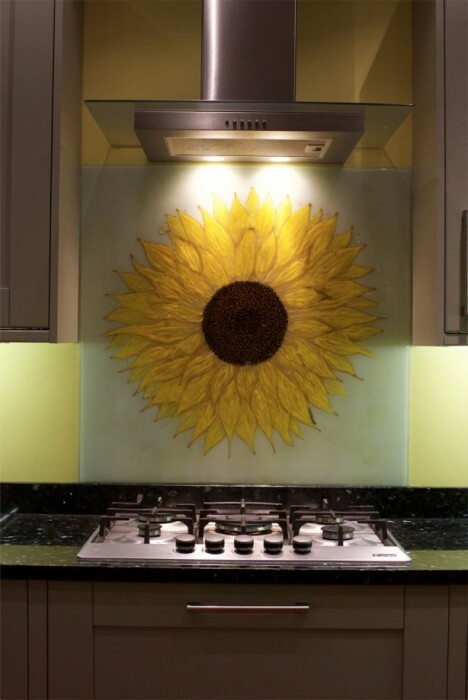 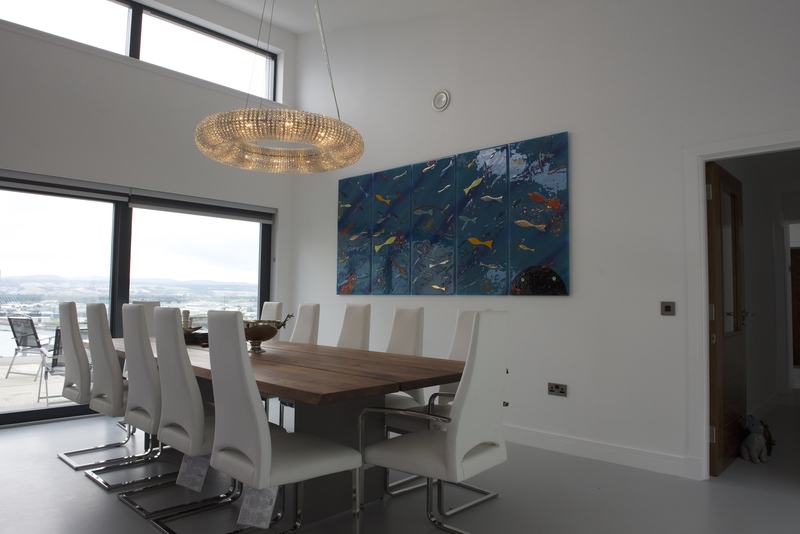 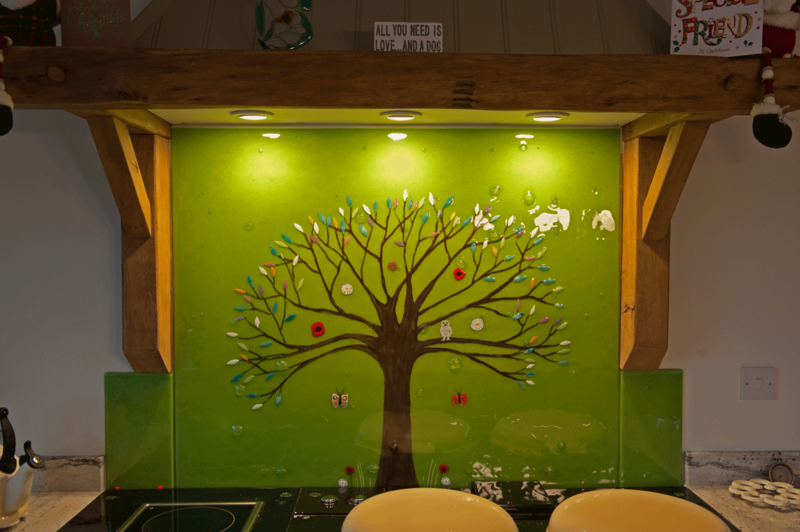 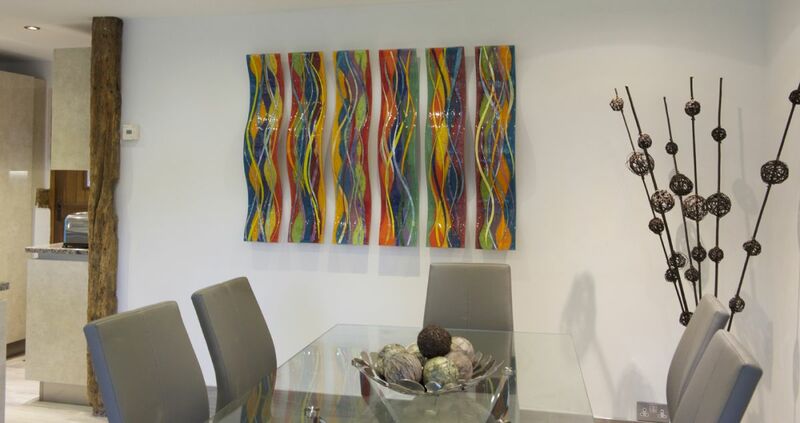 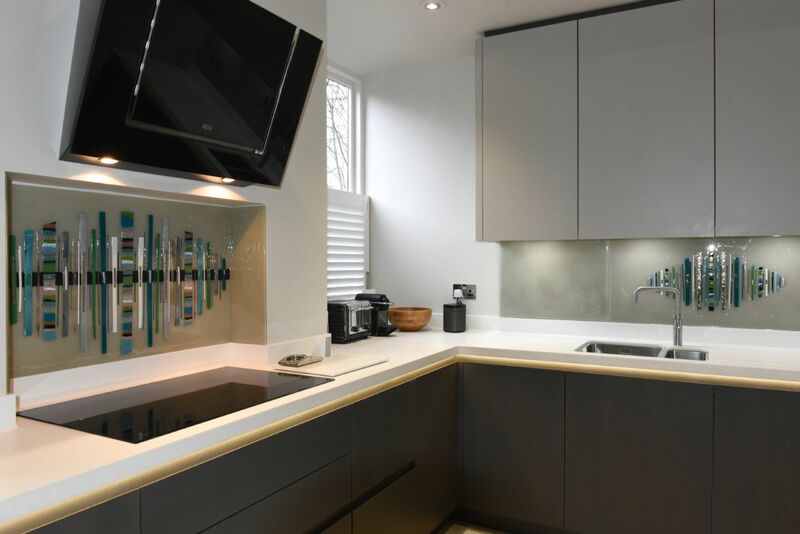 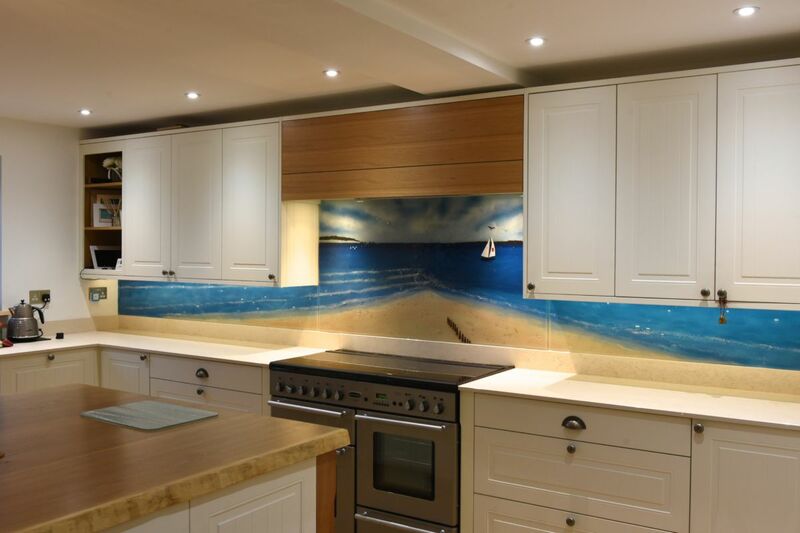 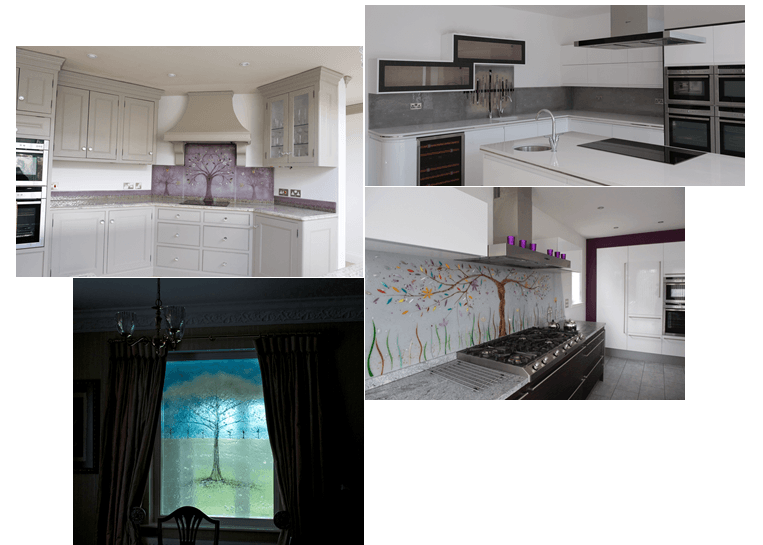 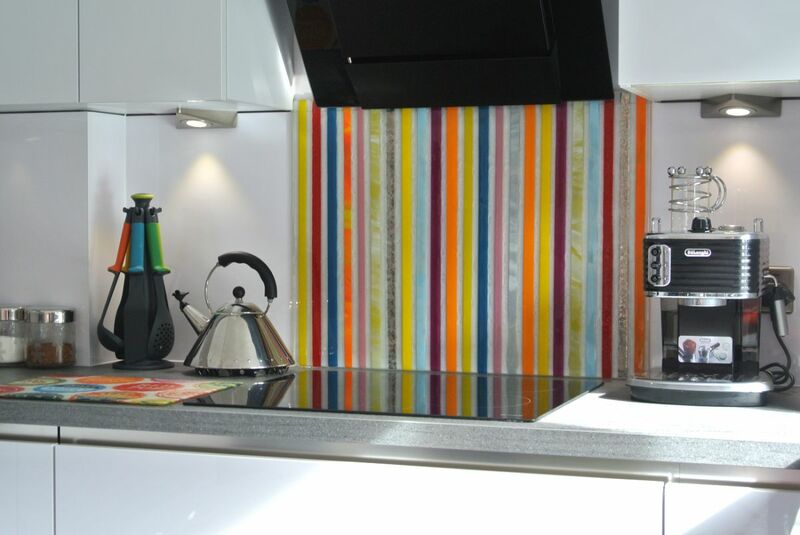 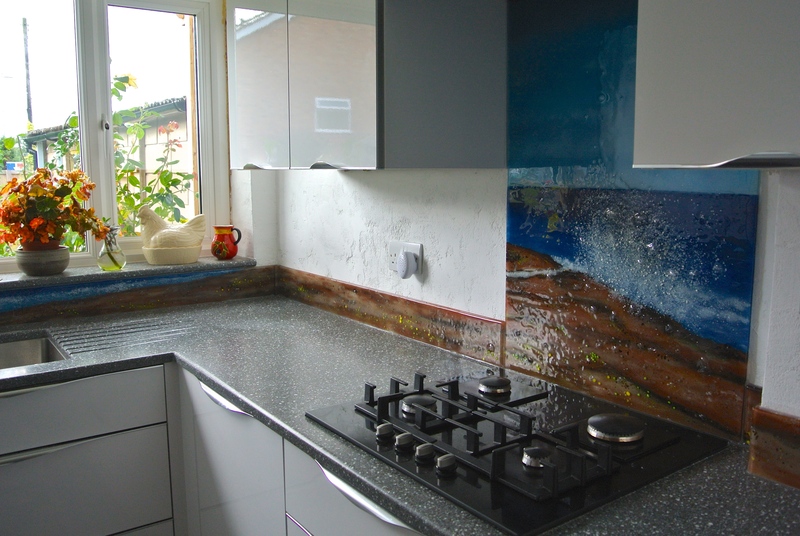 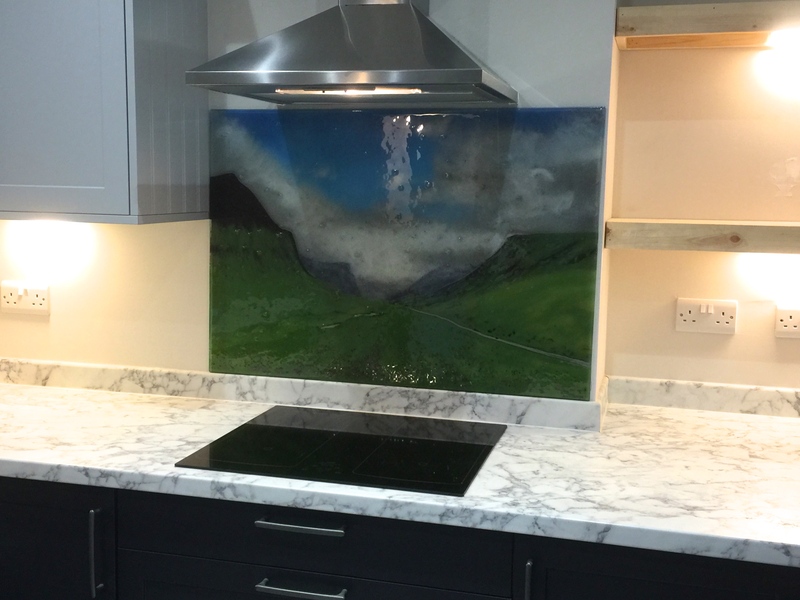 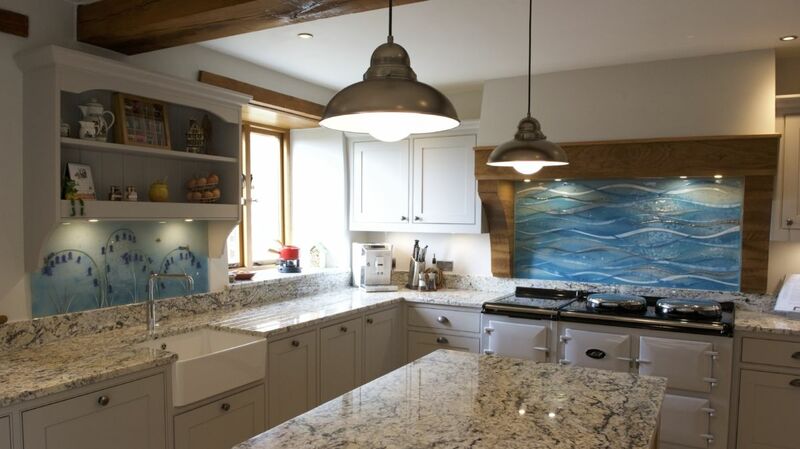 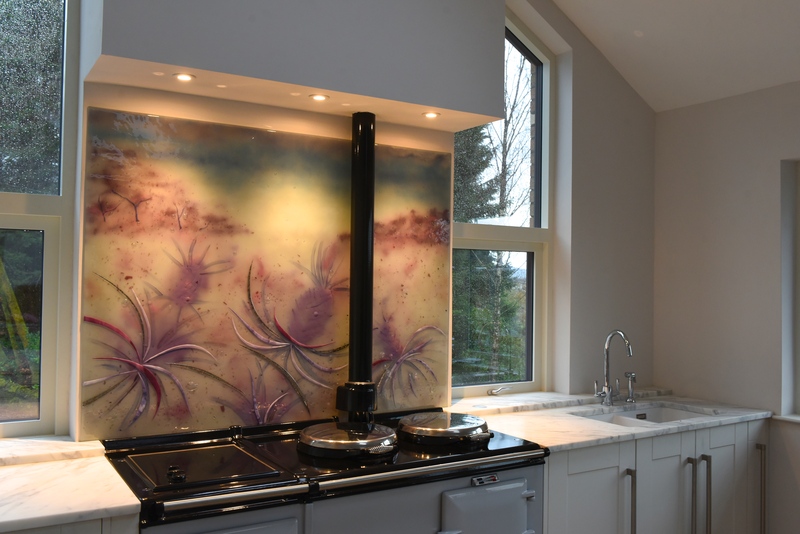 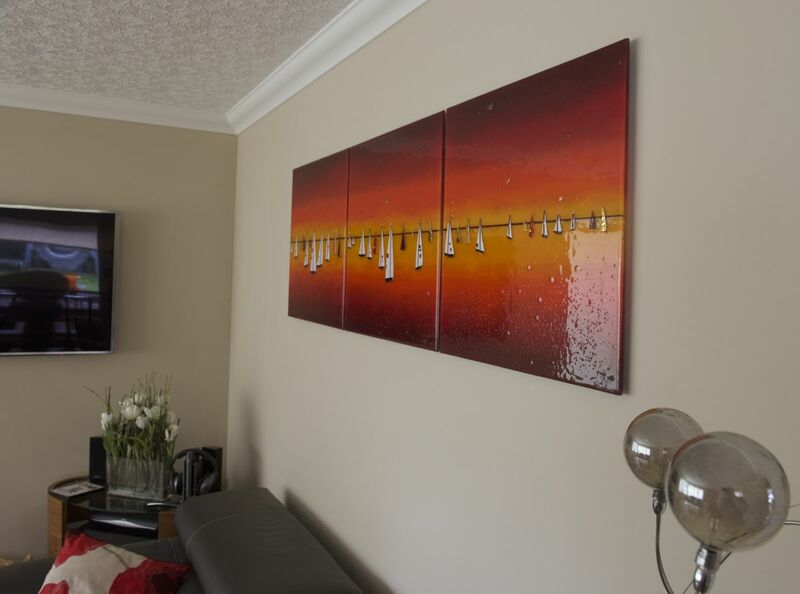 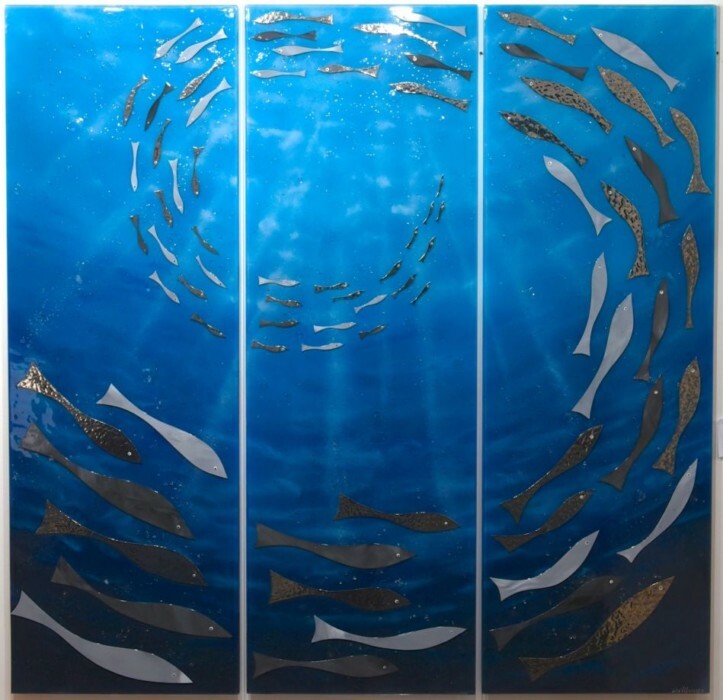 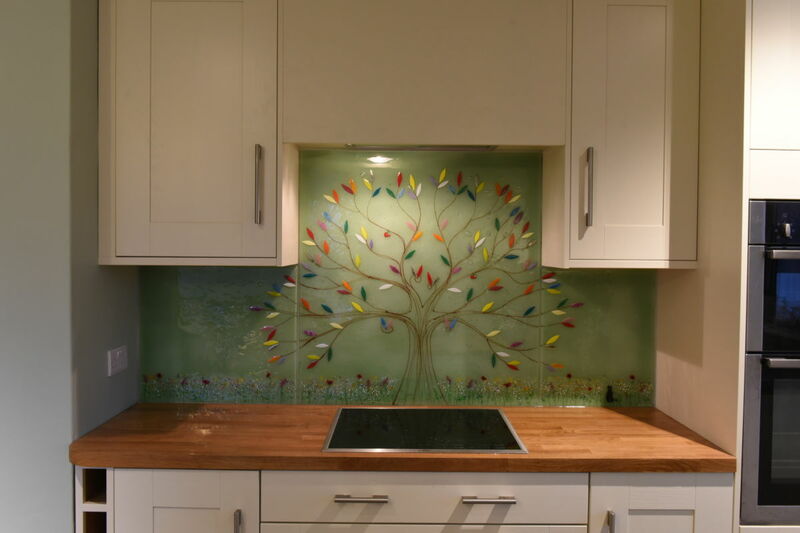 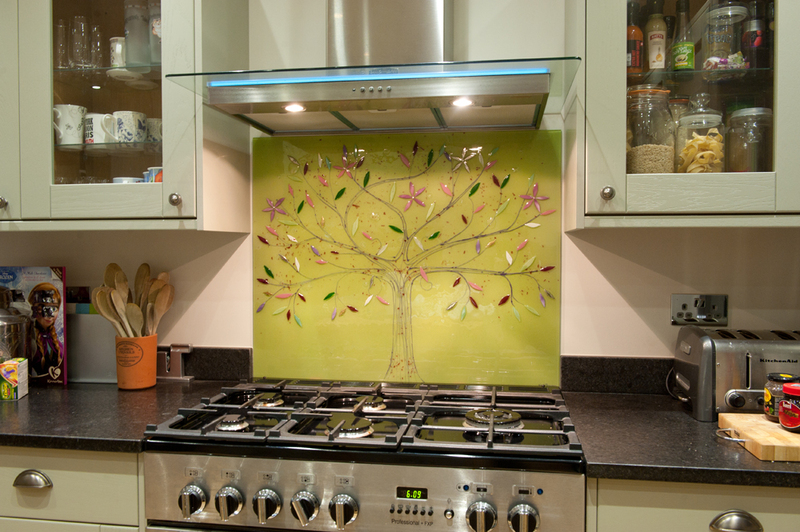 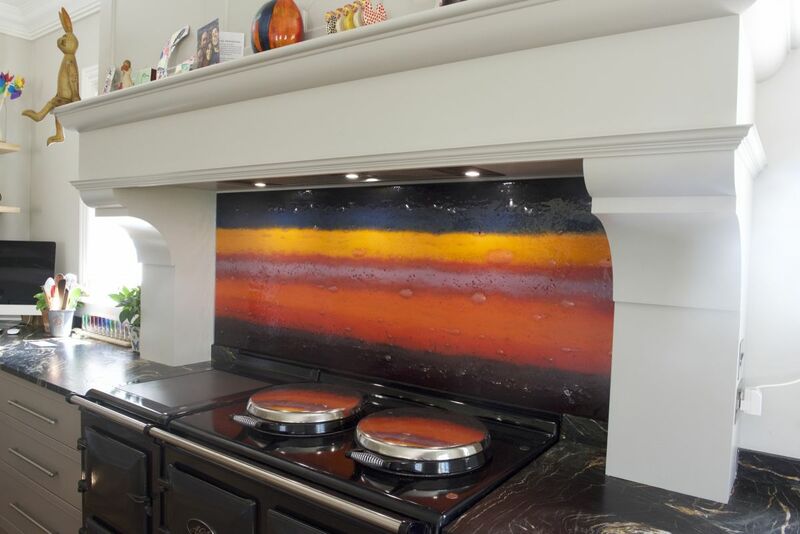 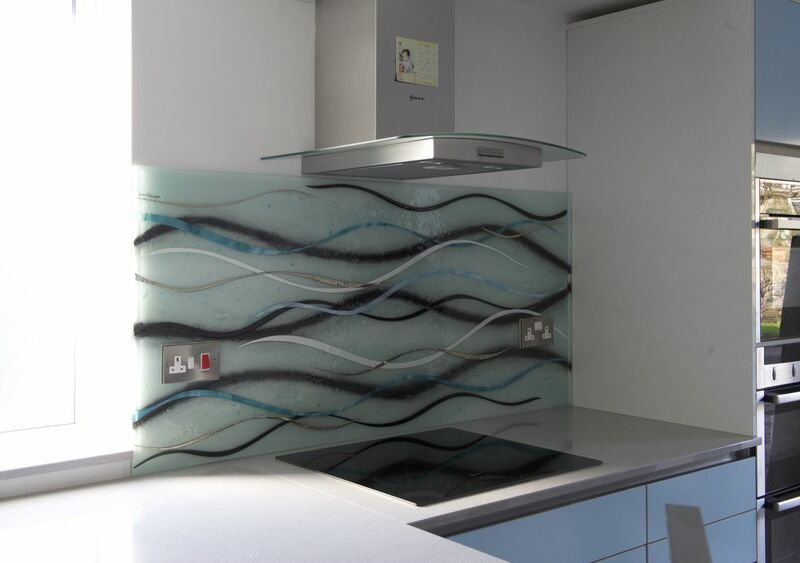 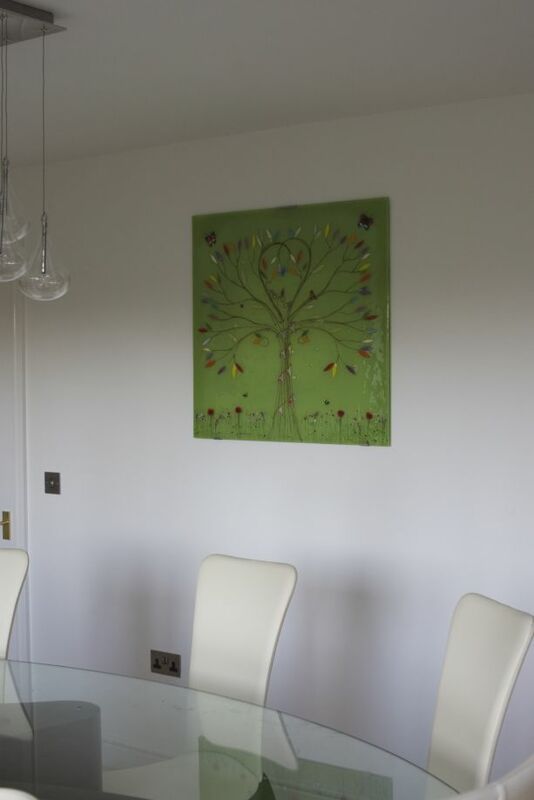 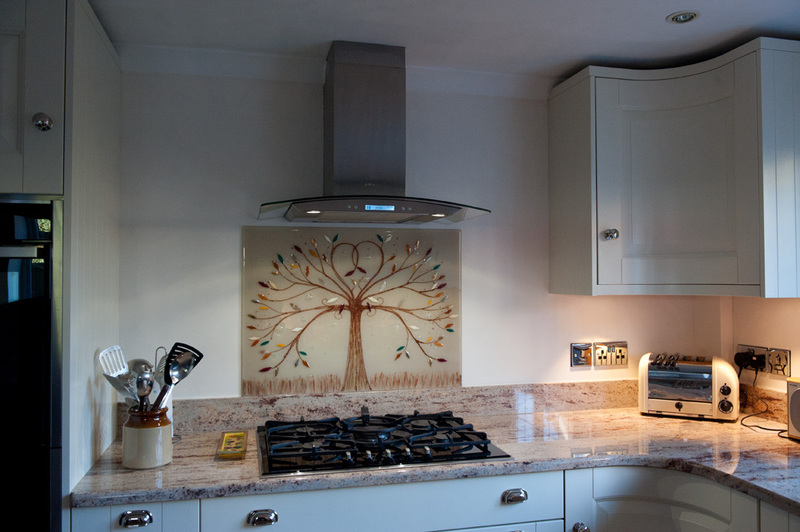 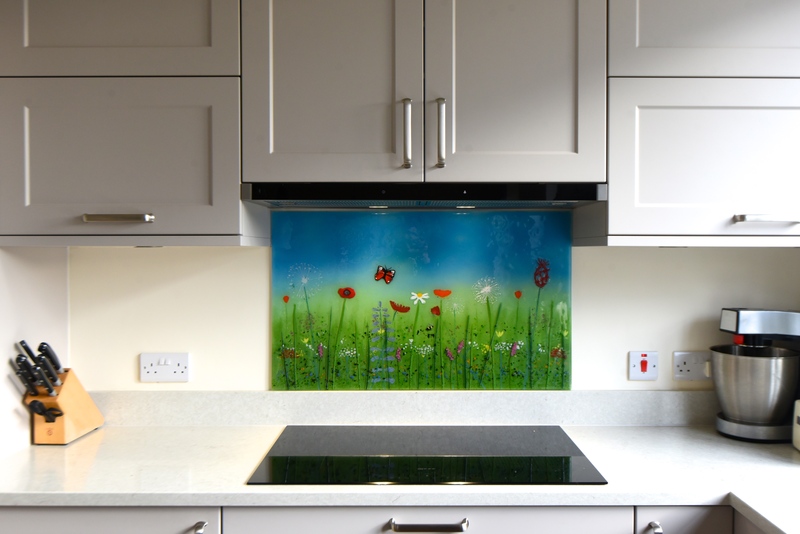 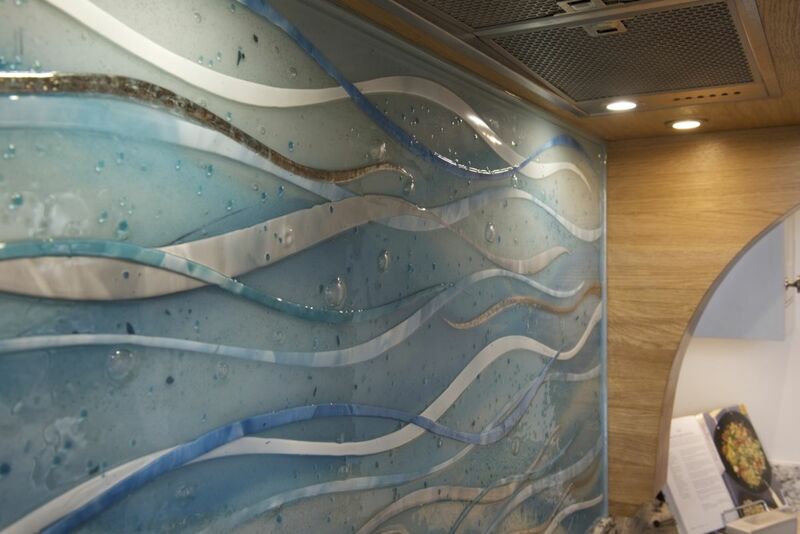 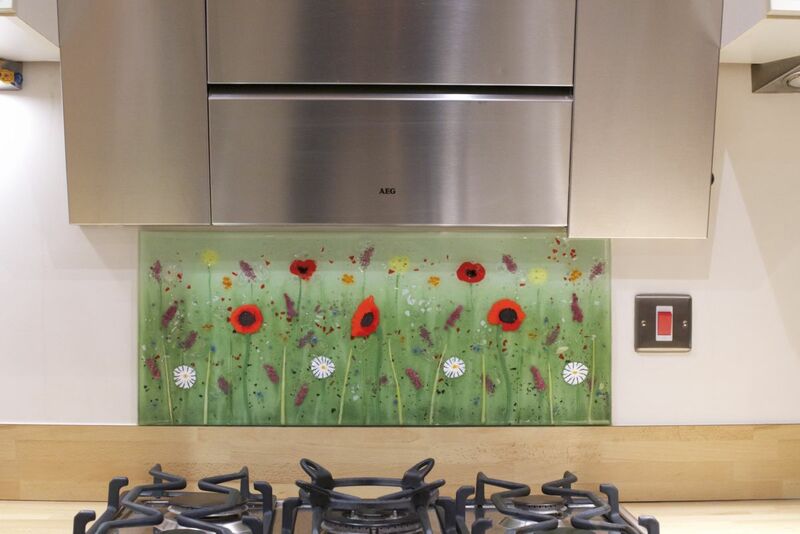 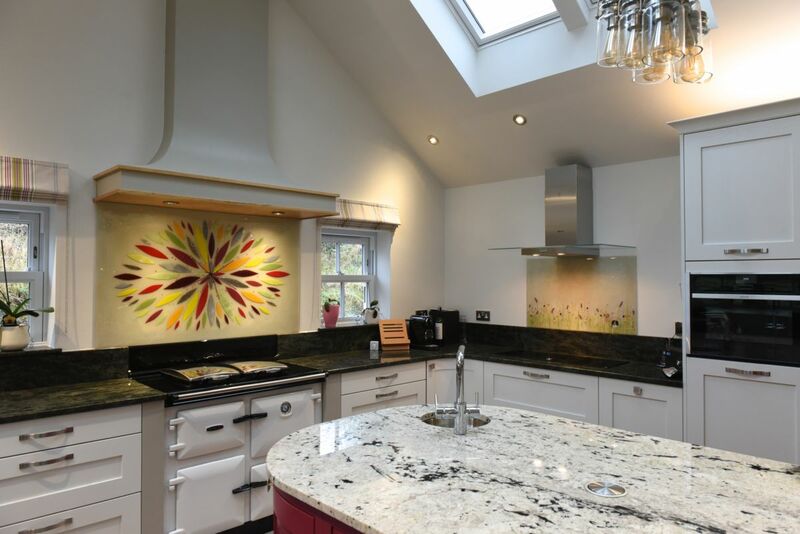 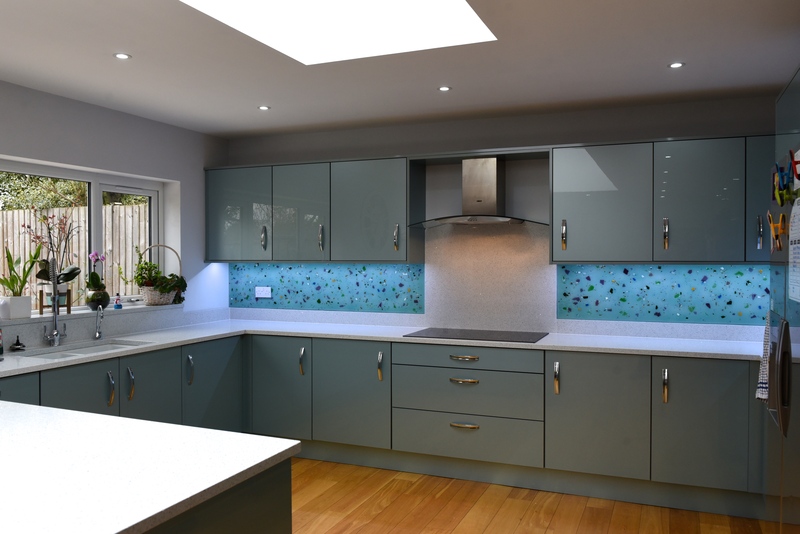 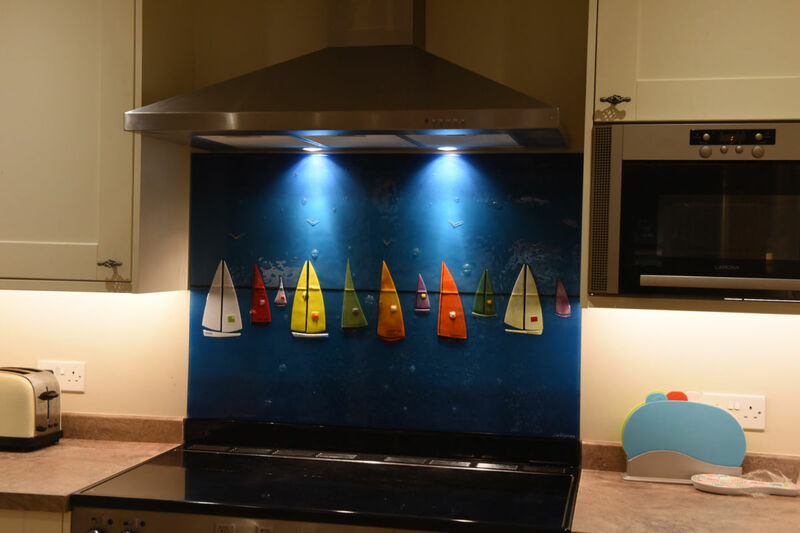 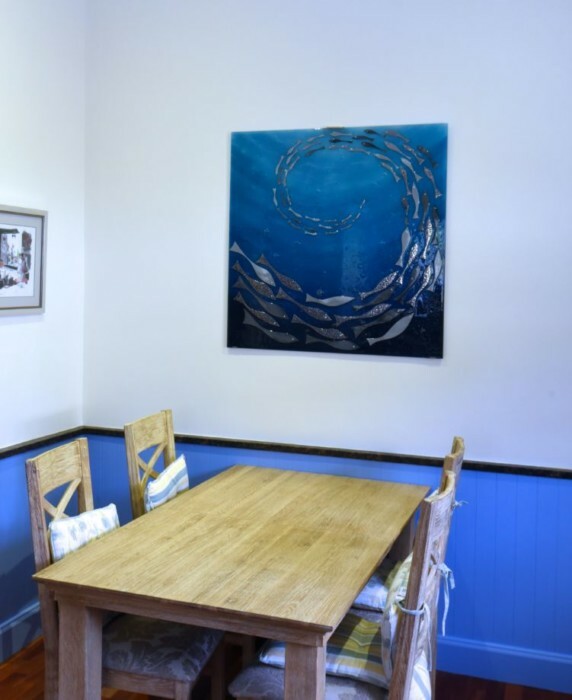 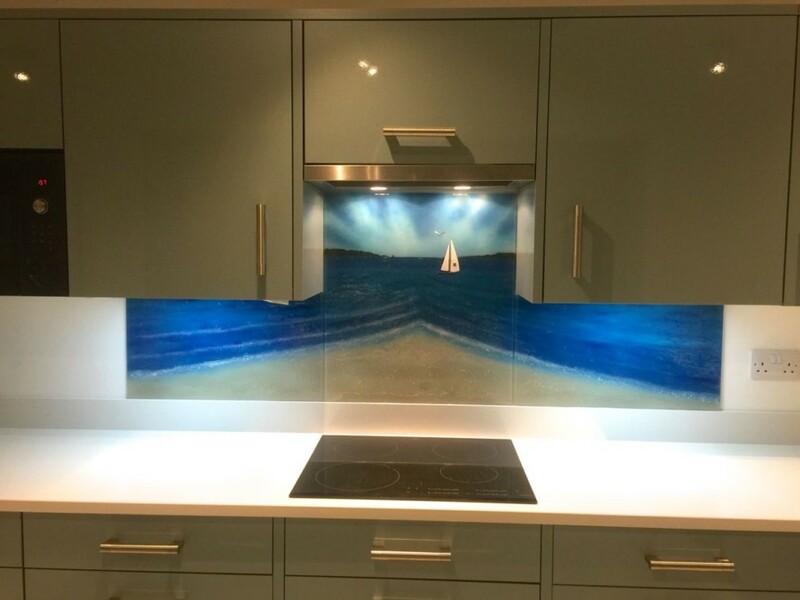 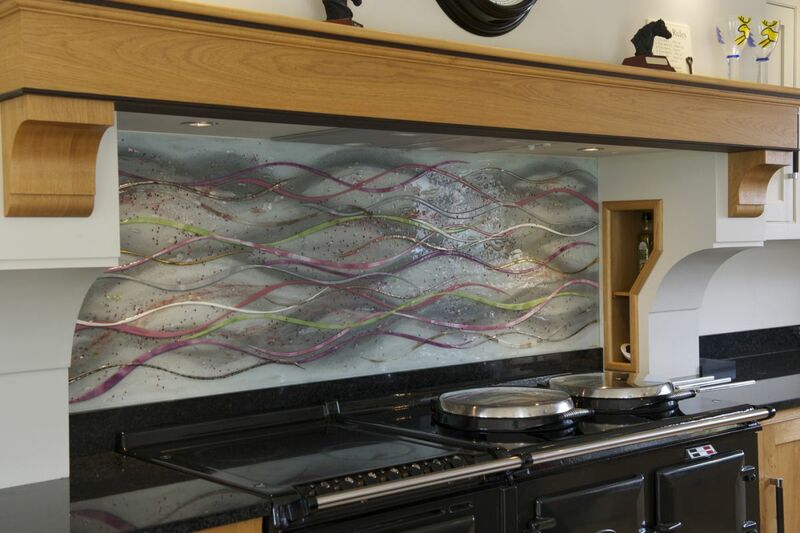 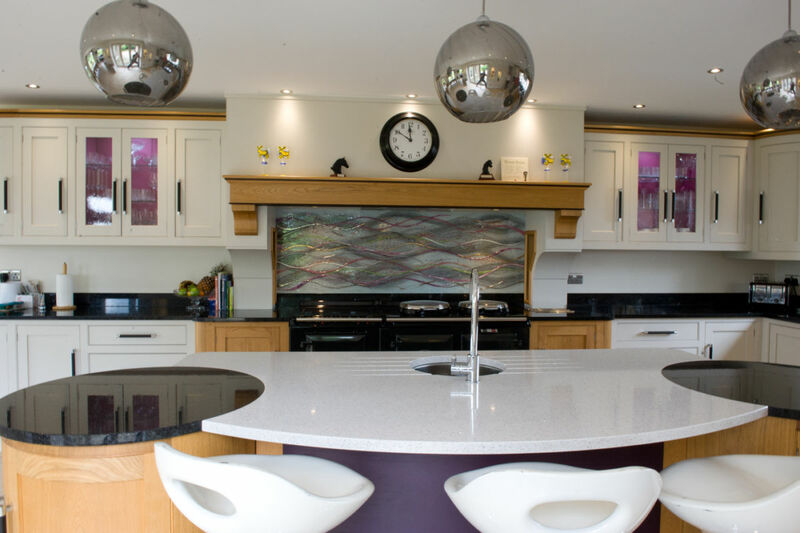 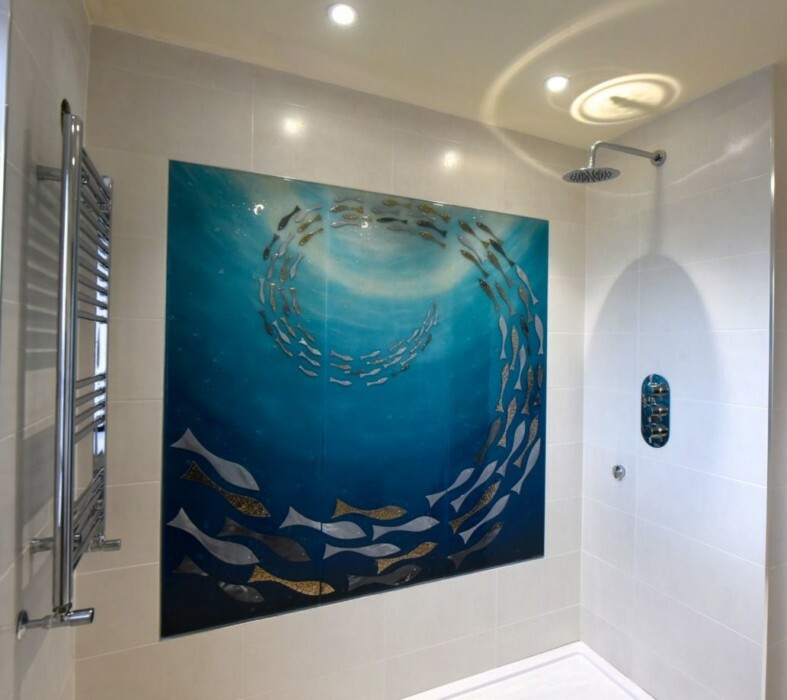 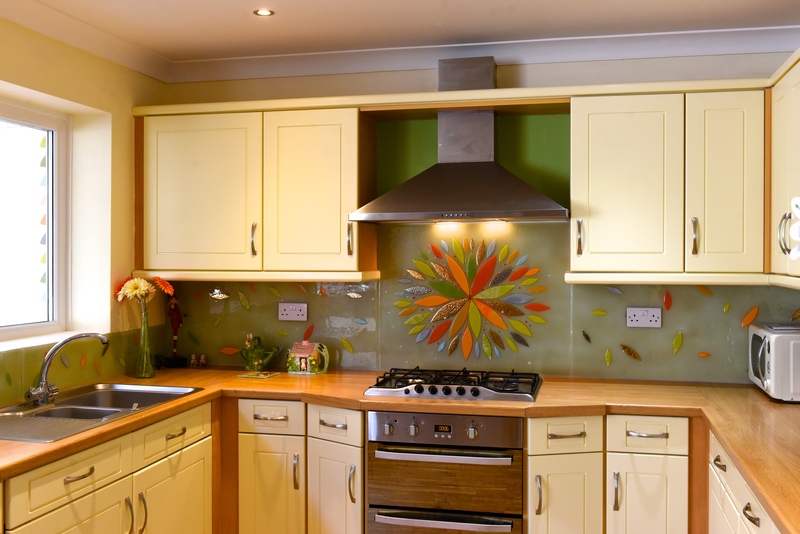 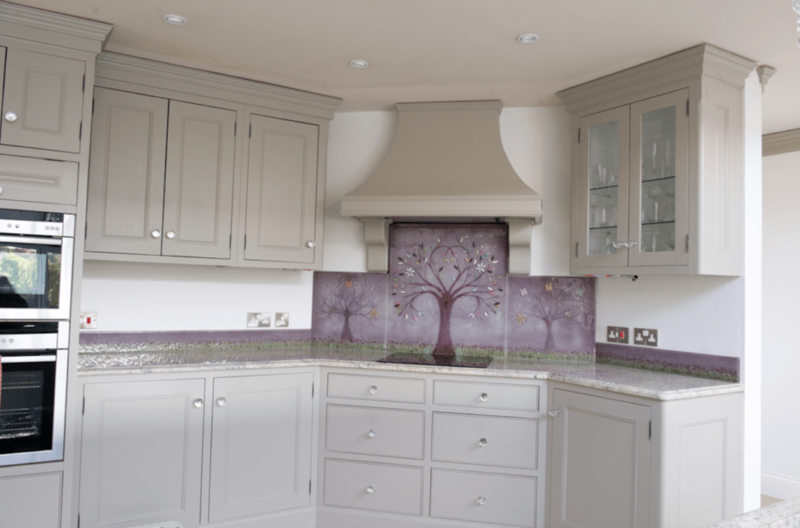 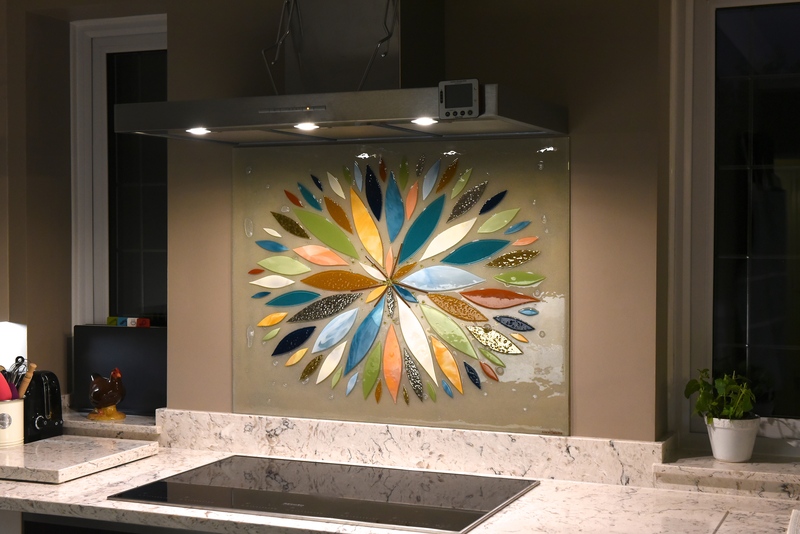 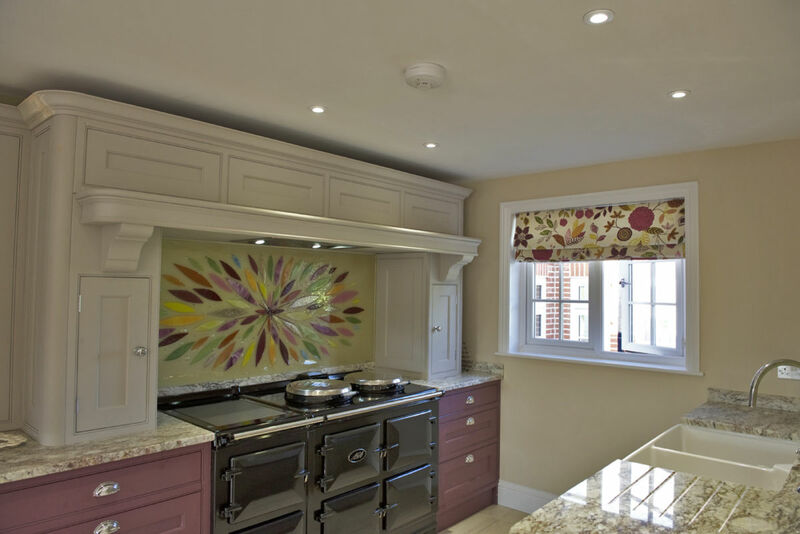 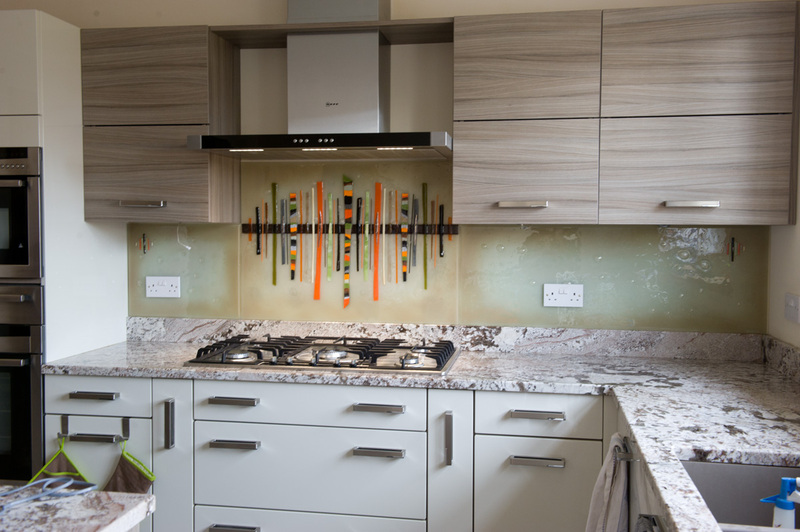 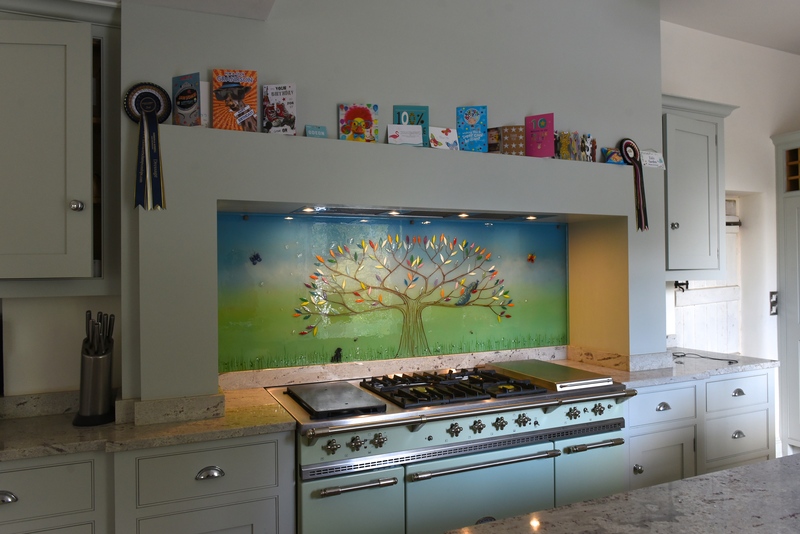 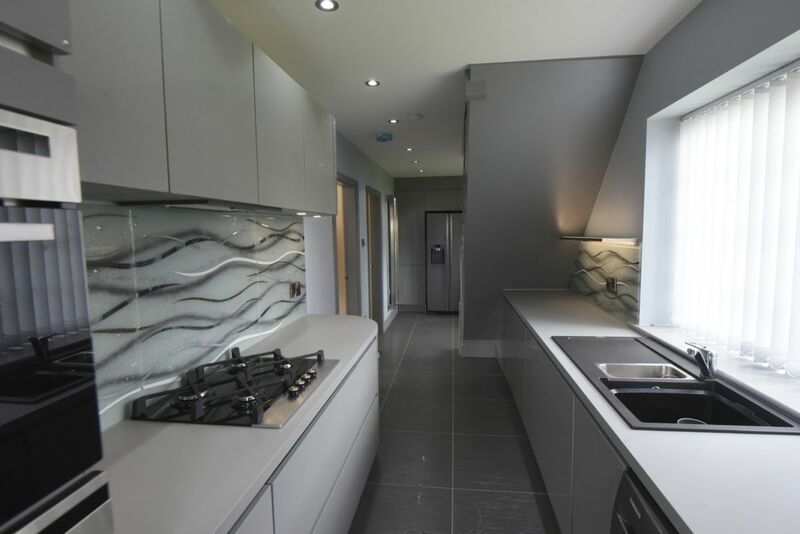 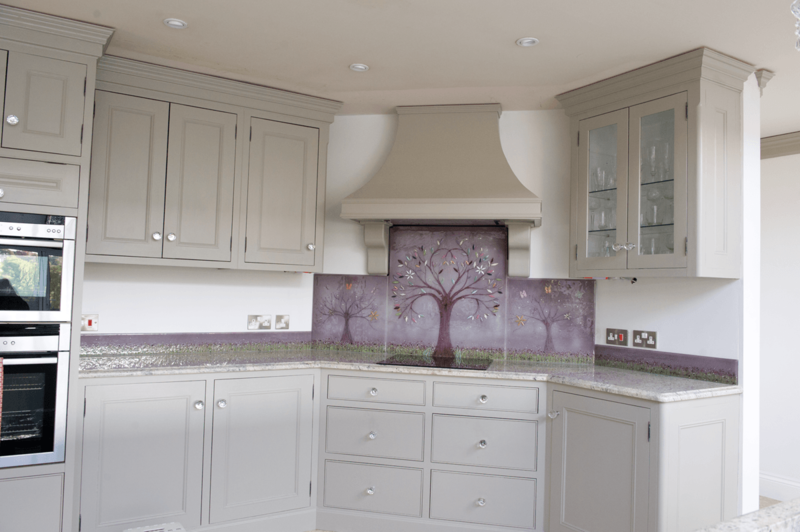 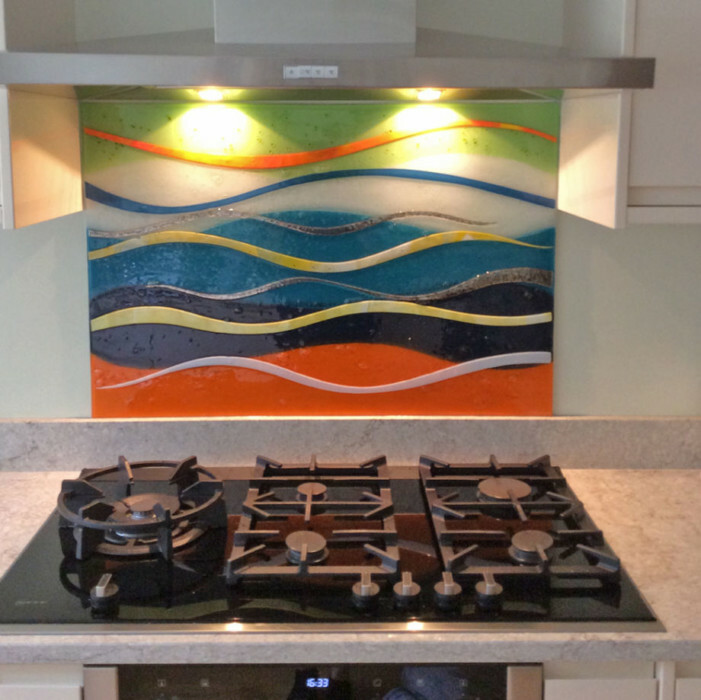 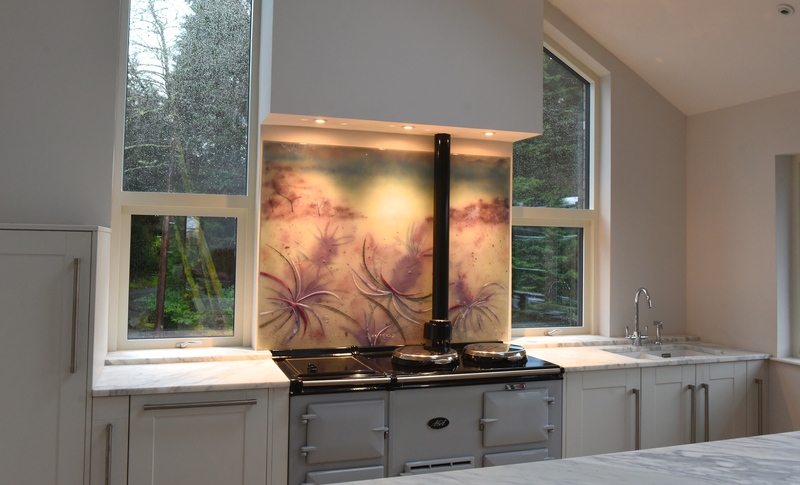 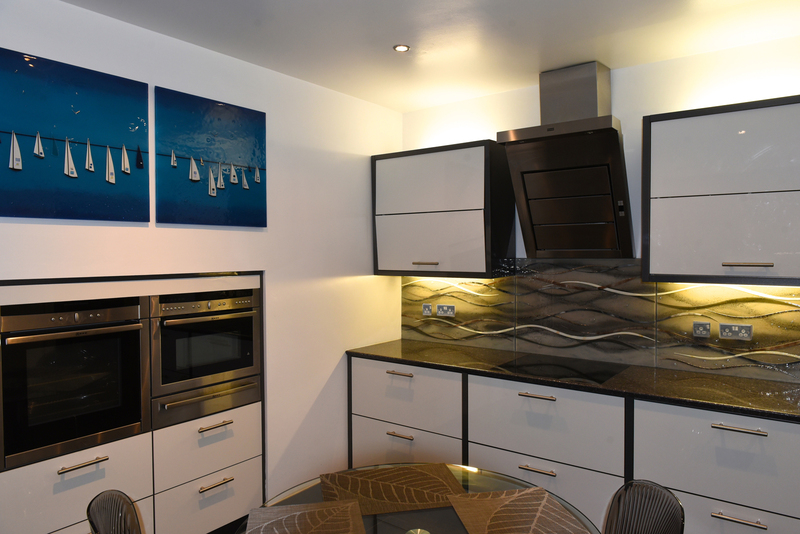 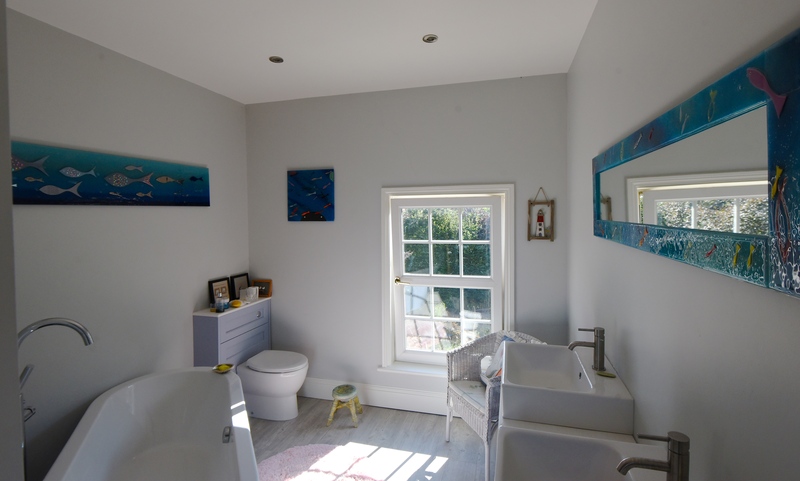 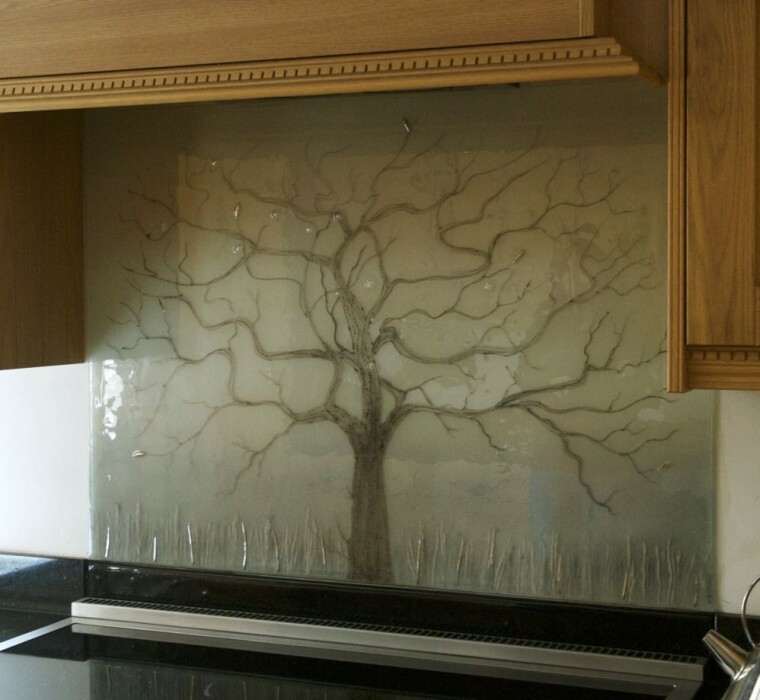 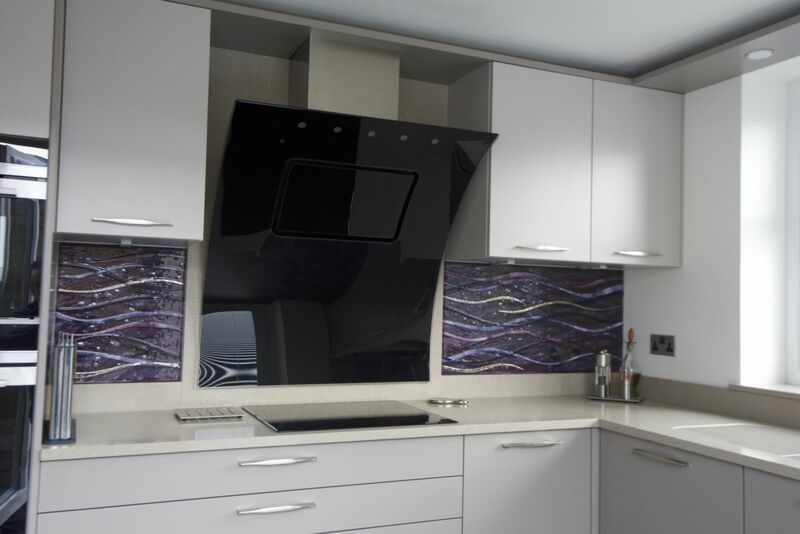 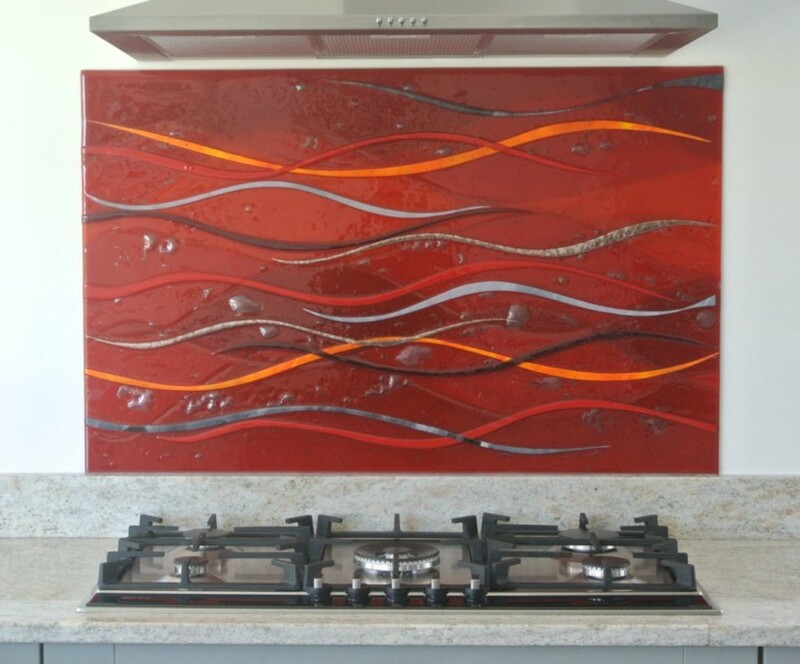 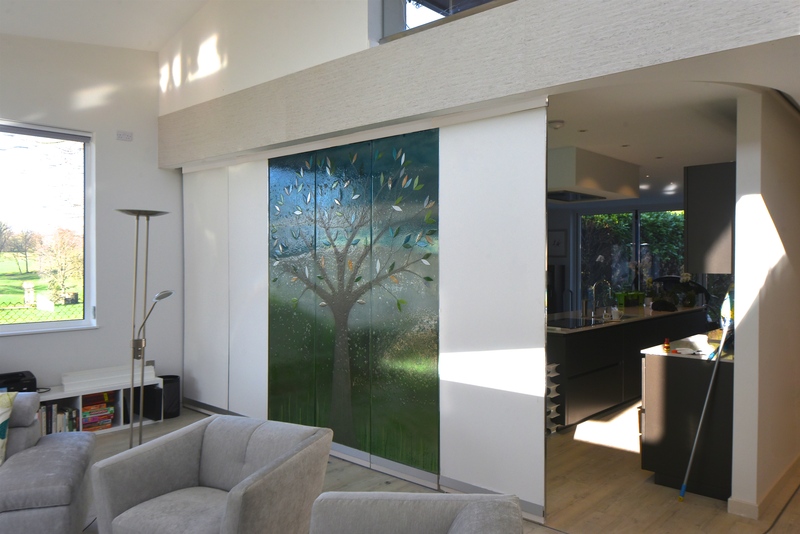 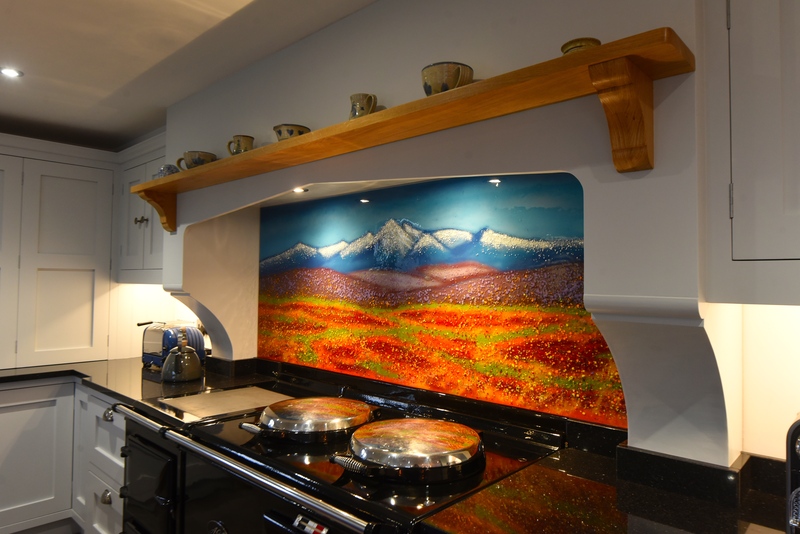 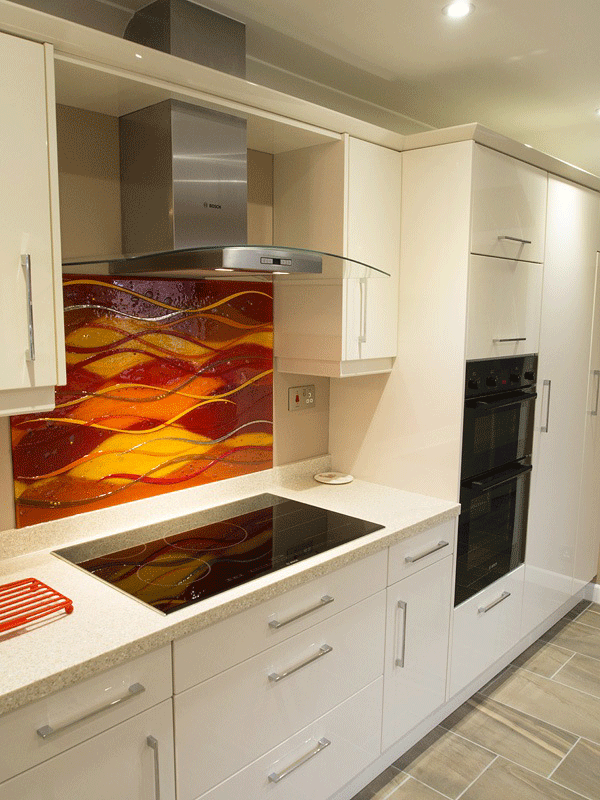 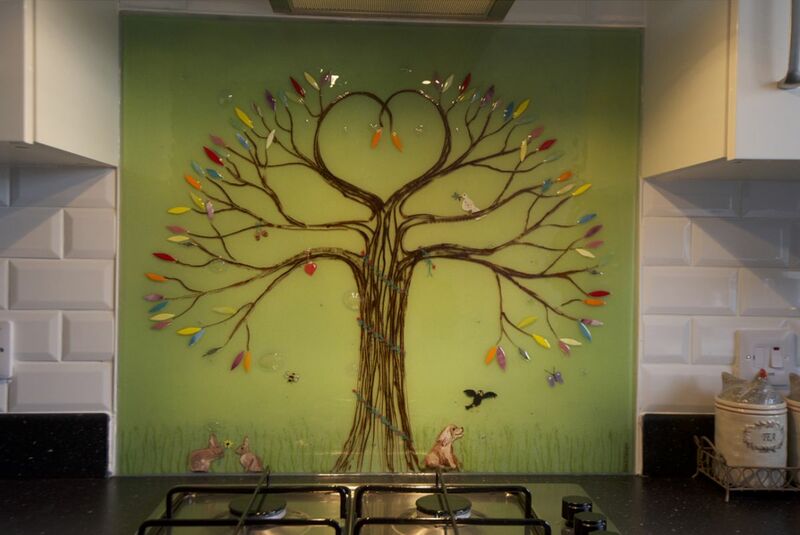 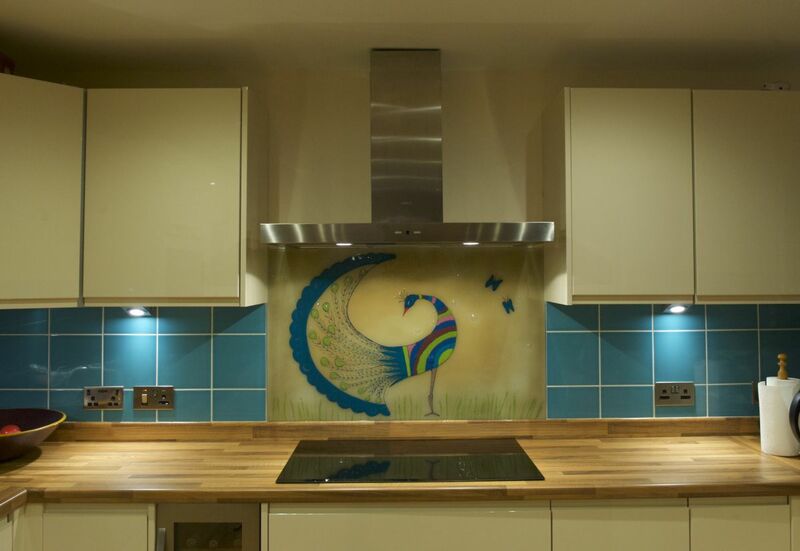 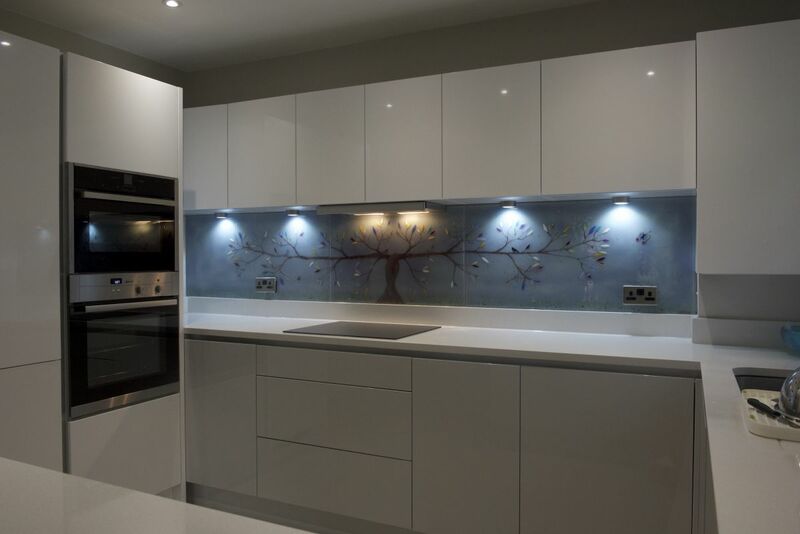 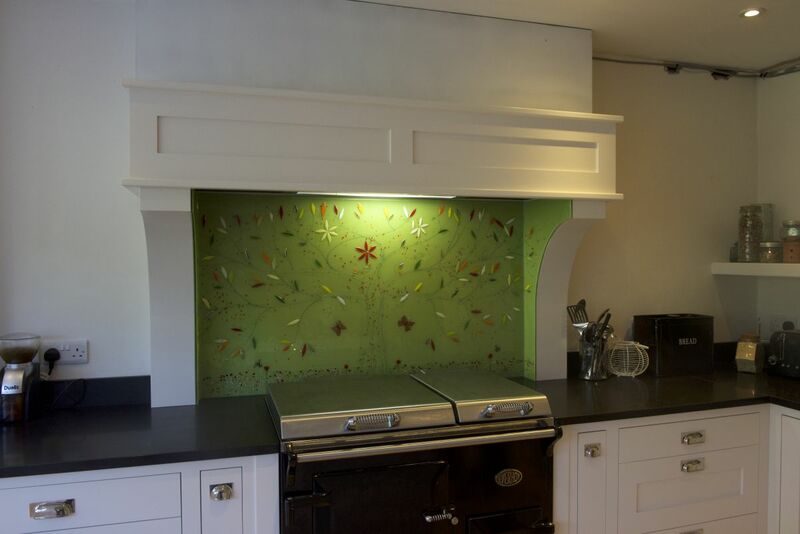 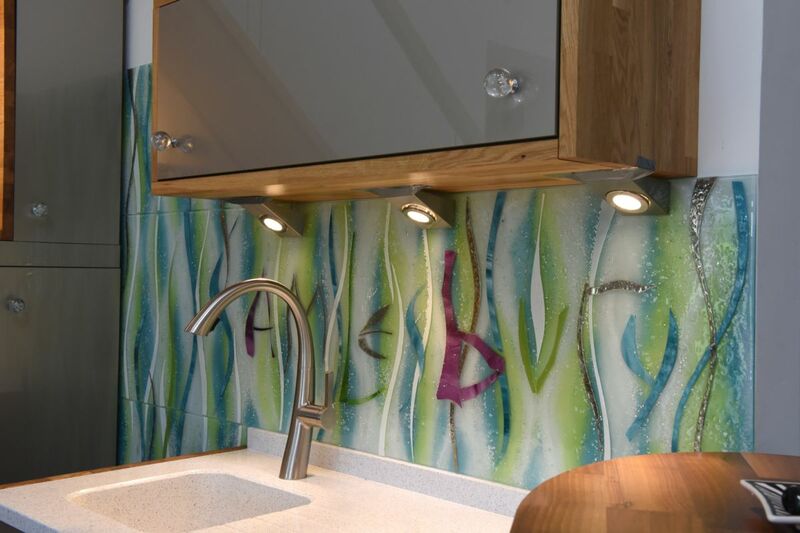 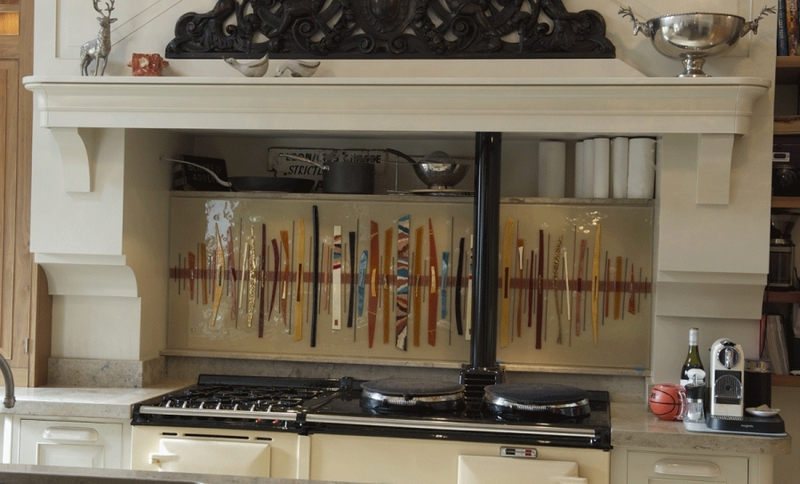 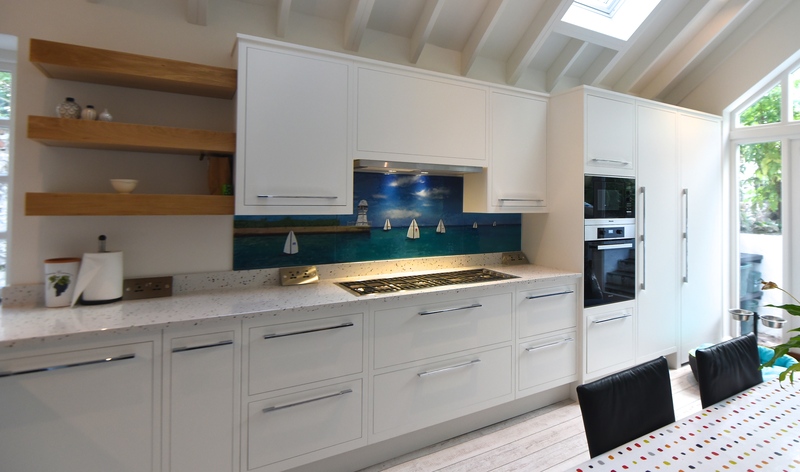 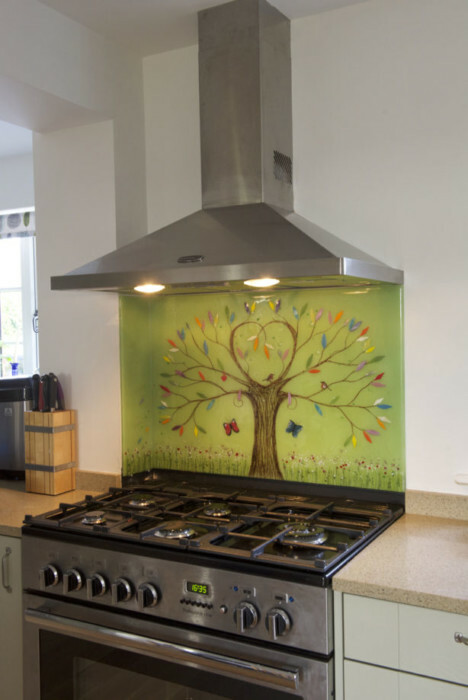 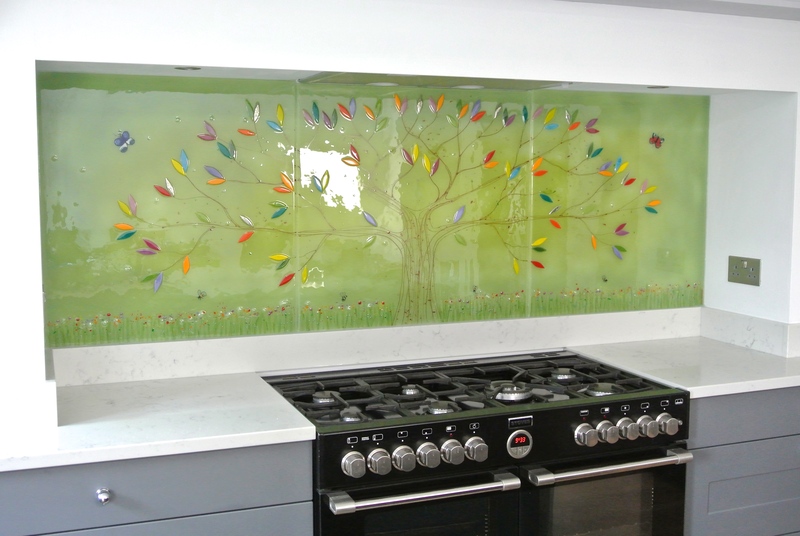 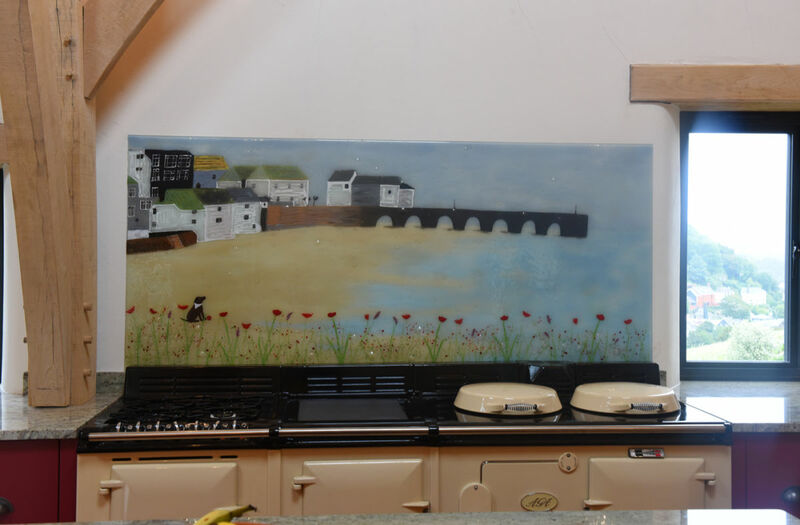 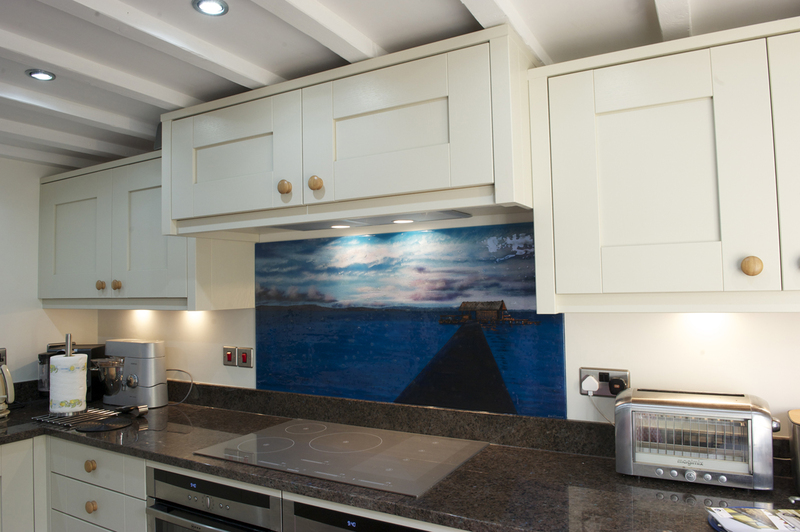 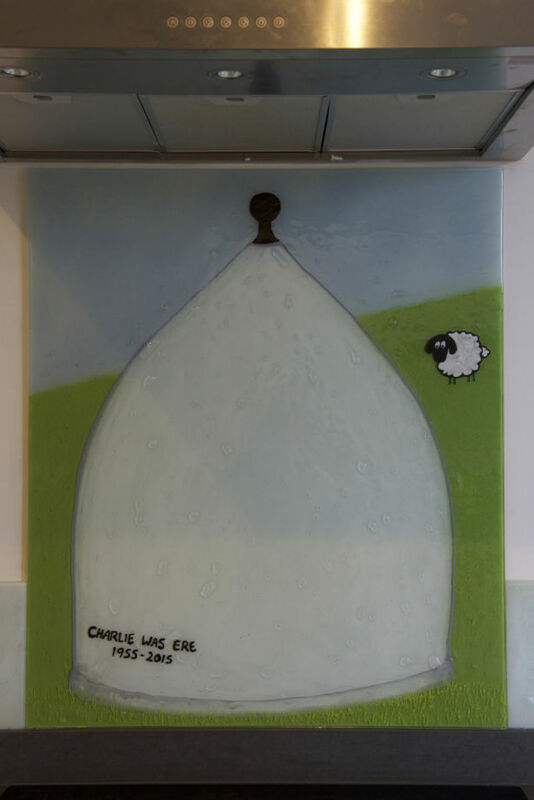 If you’re looking for the very best kitchen splashbacks on the market today, then investing in a beautiful fused glass art centrepiece from The House of Ugly Fish is the right choice for you. 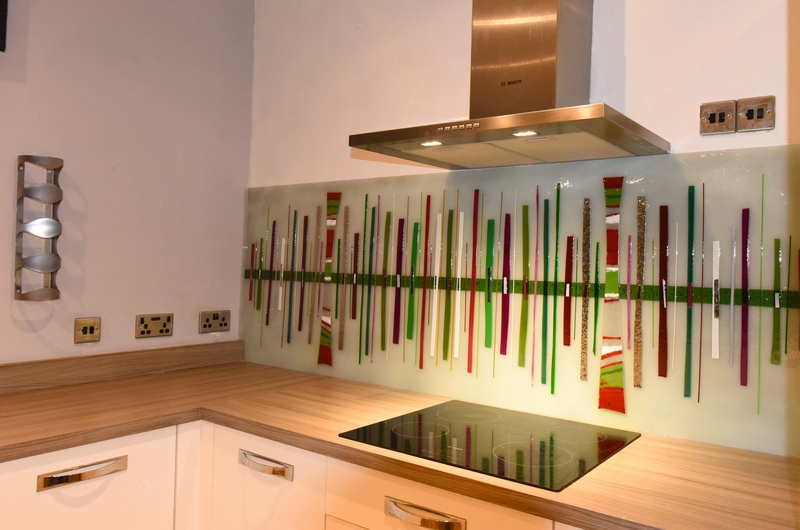 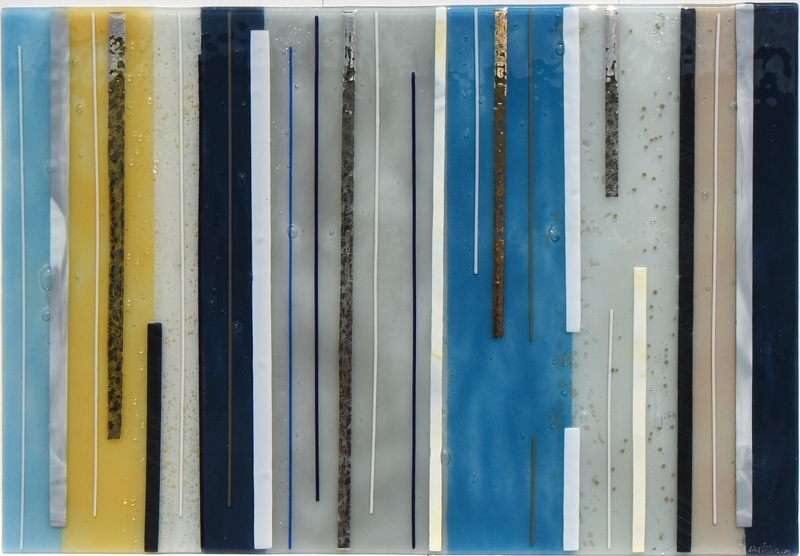 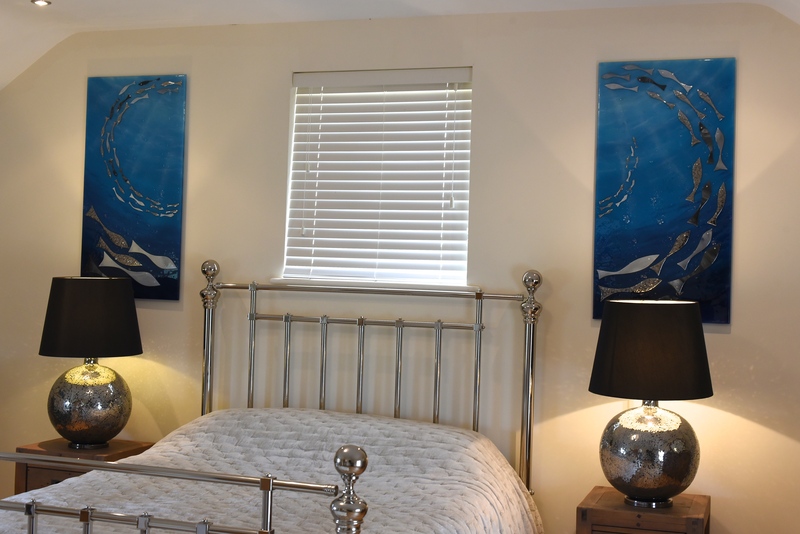 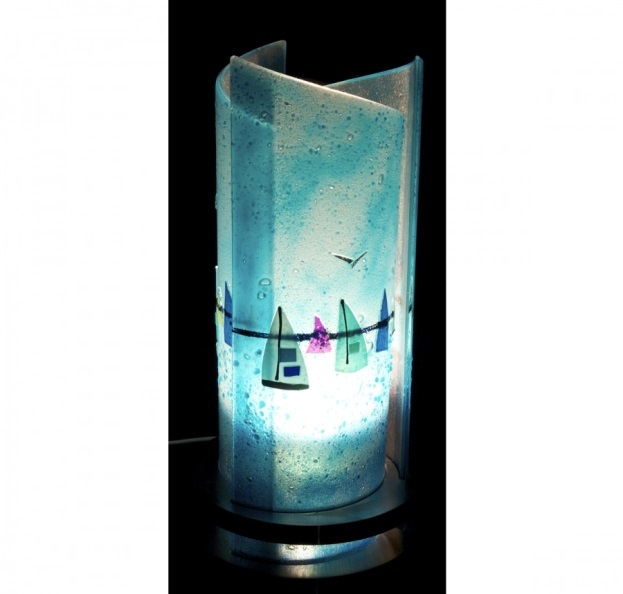 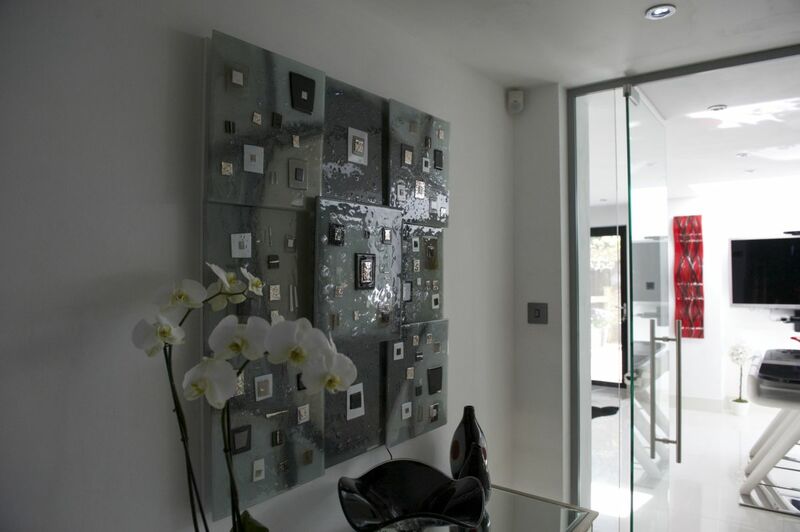 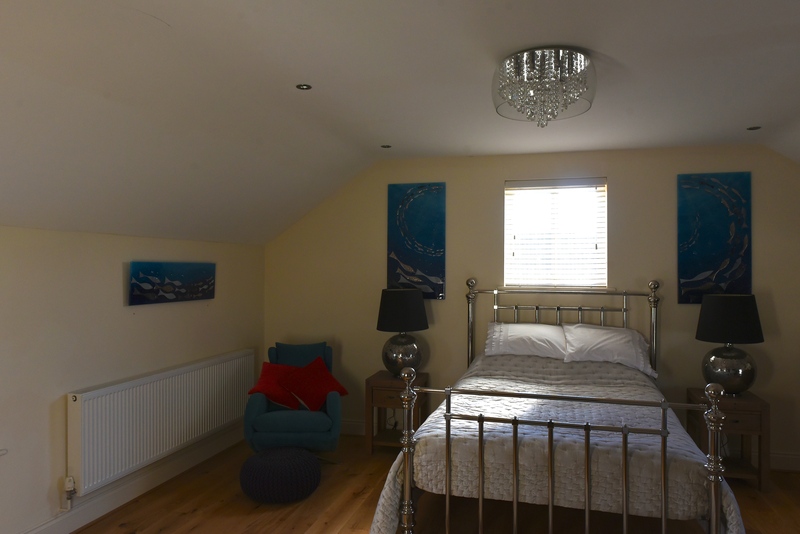 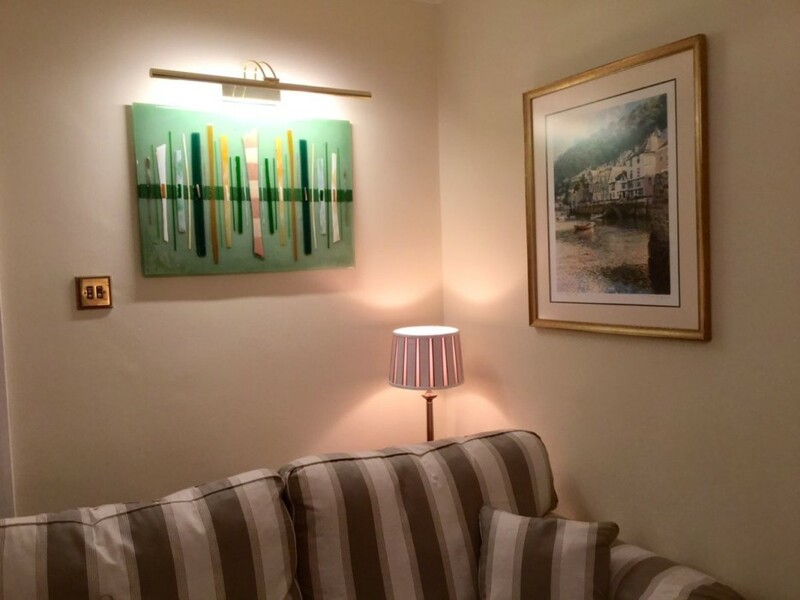 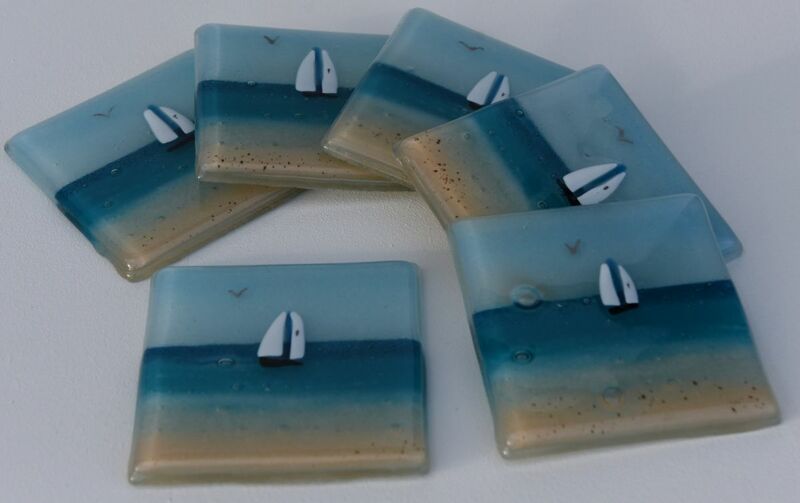 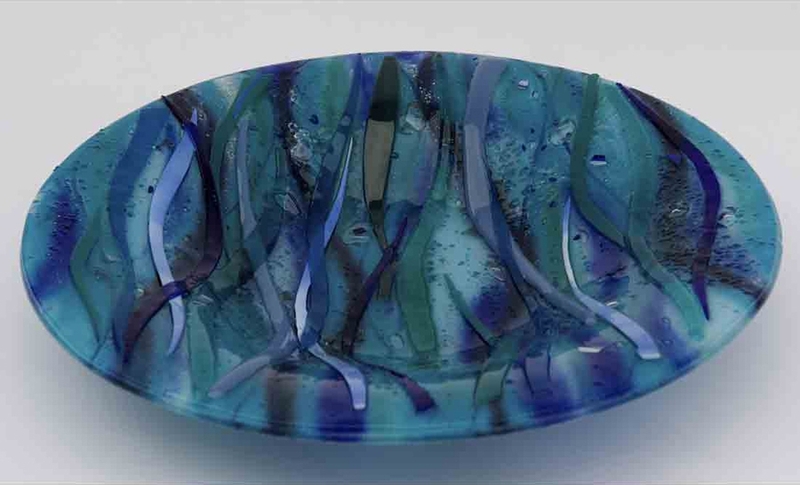 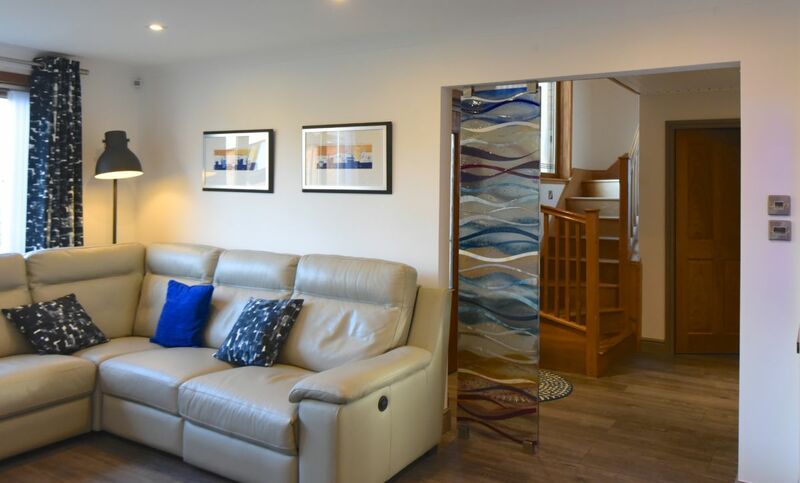 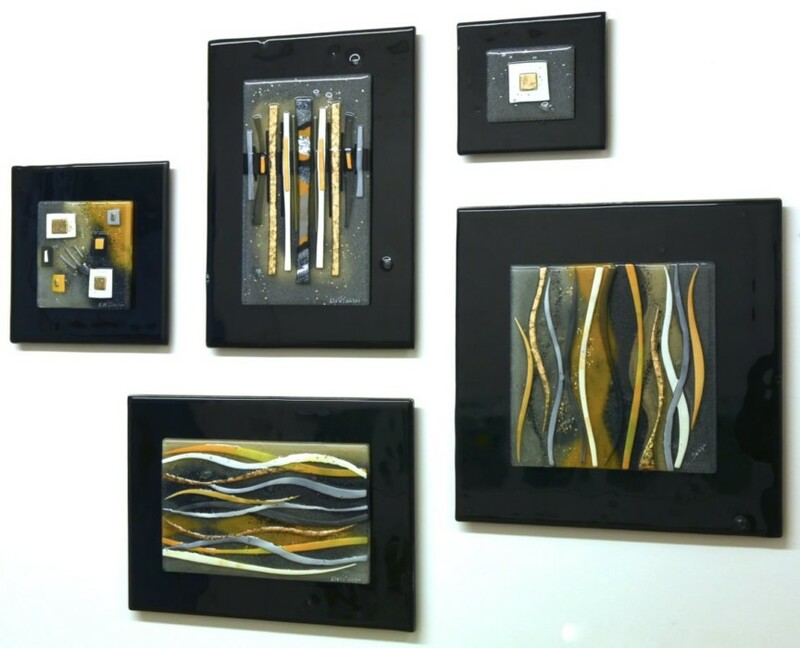 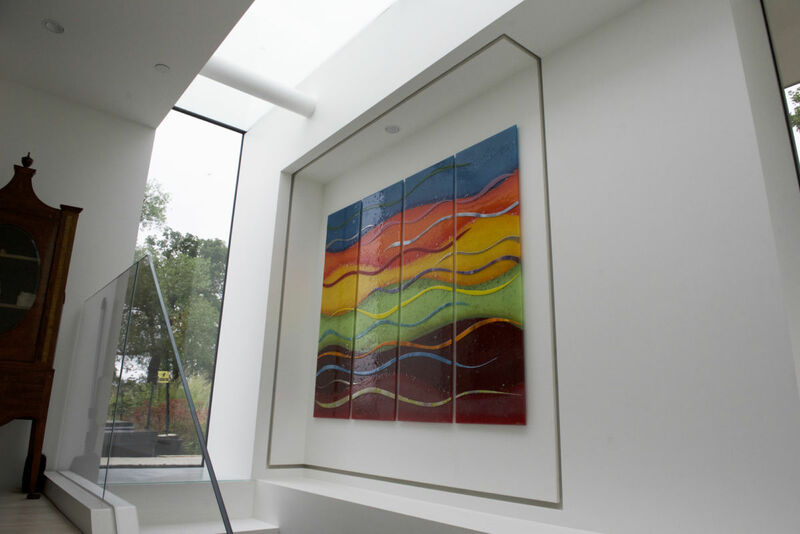 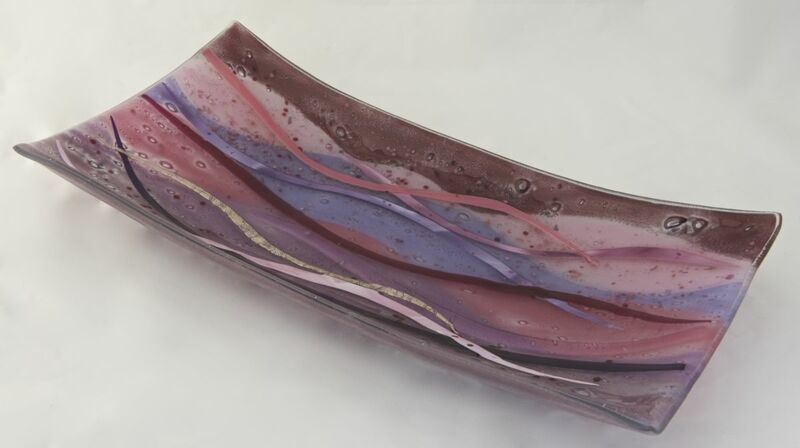 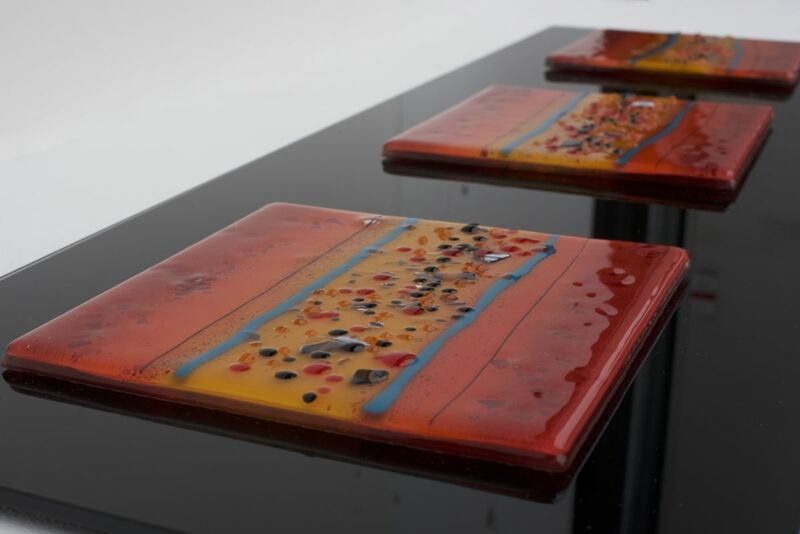 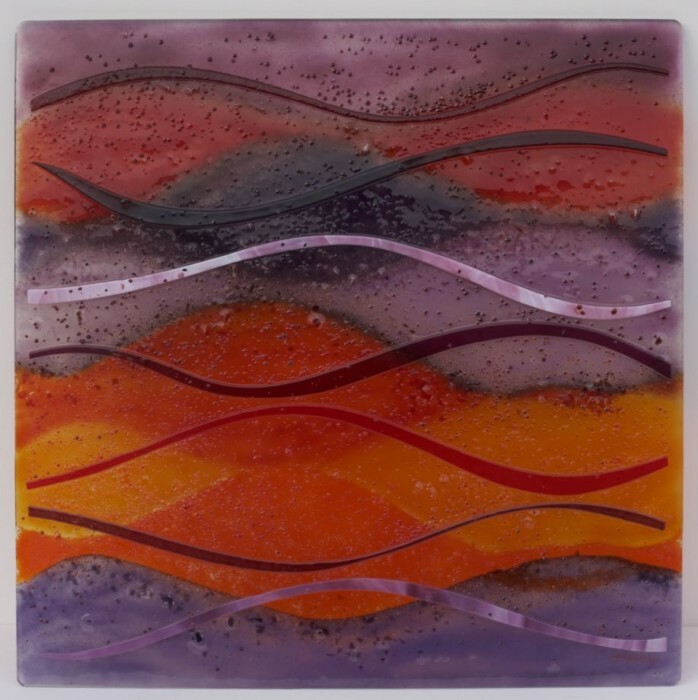 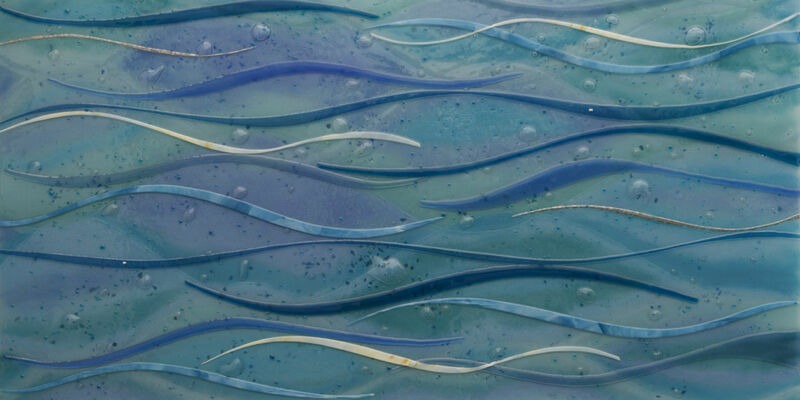 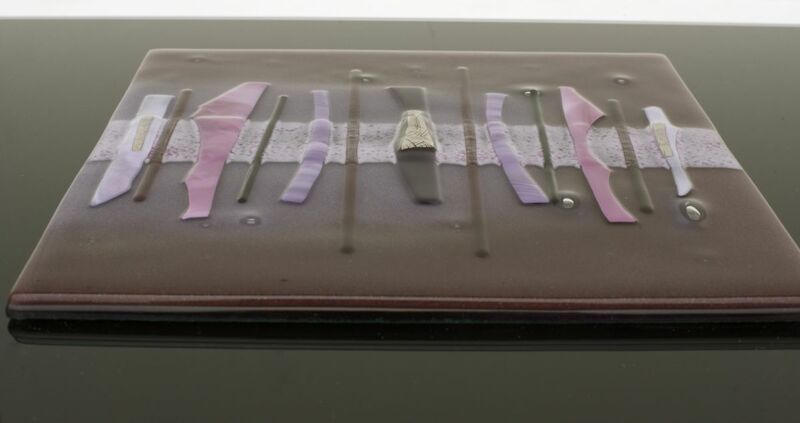 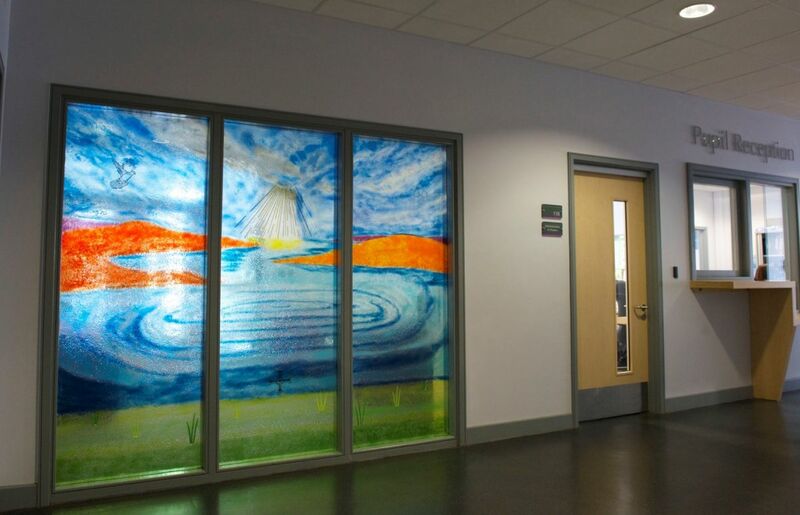 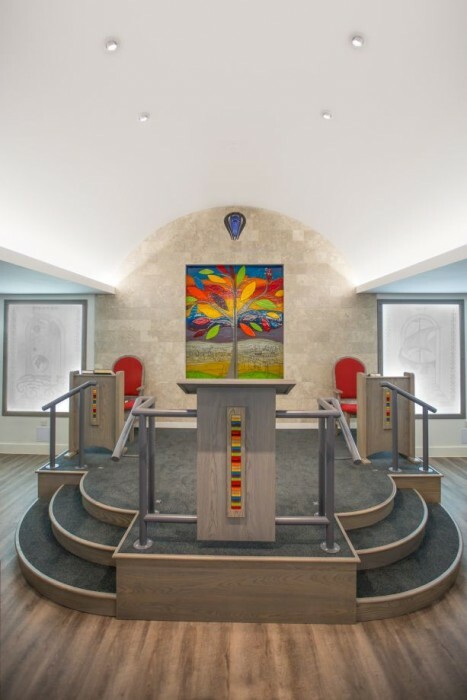 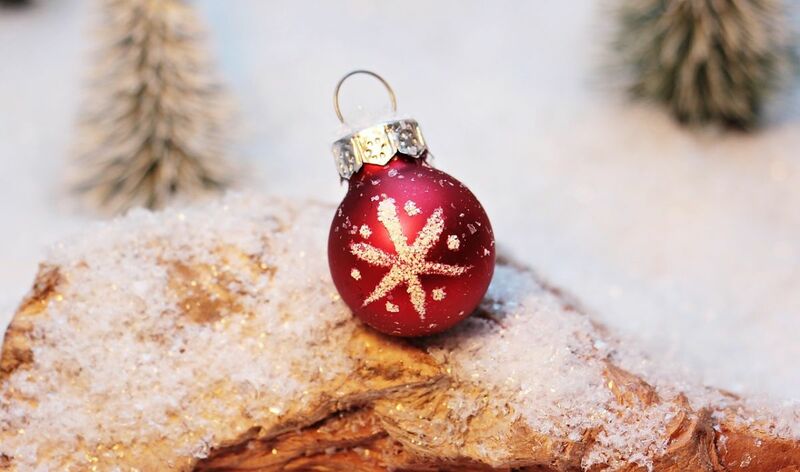 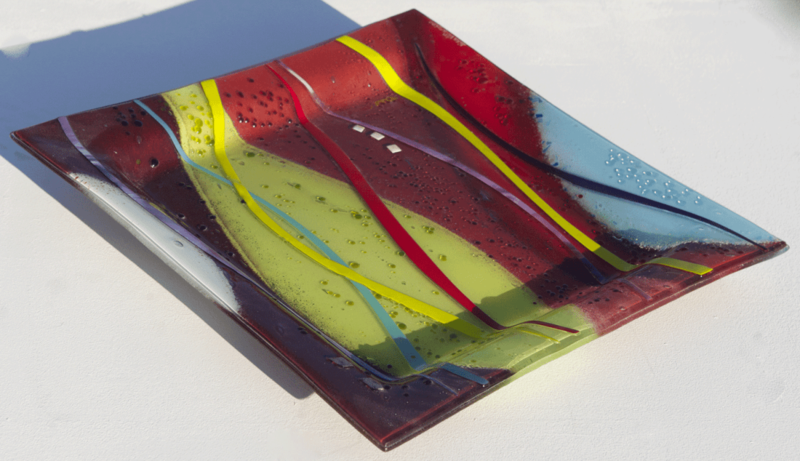 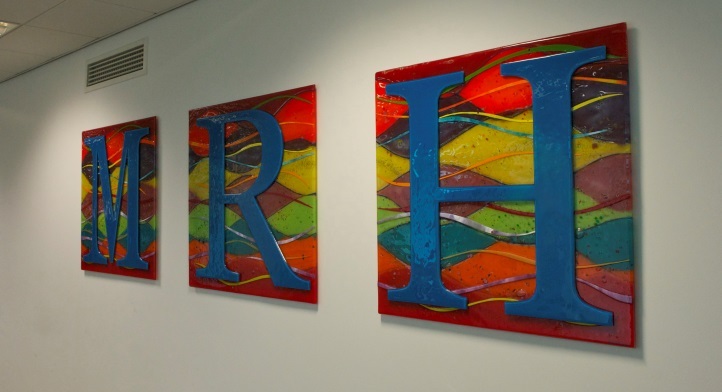 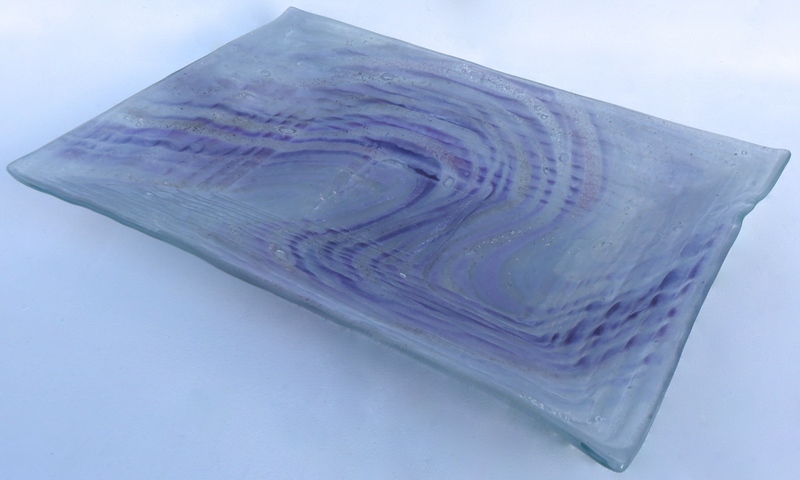 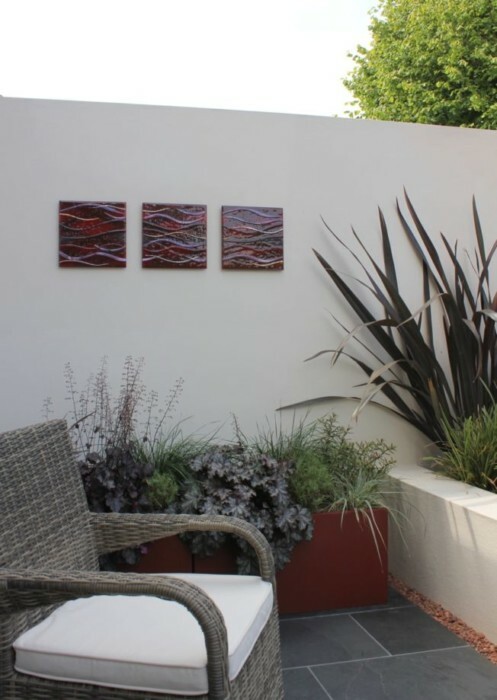 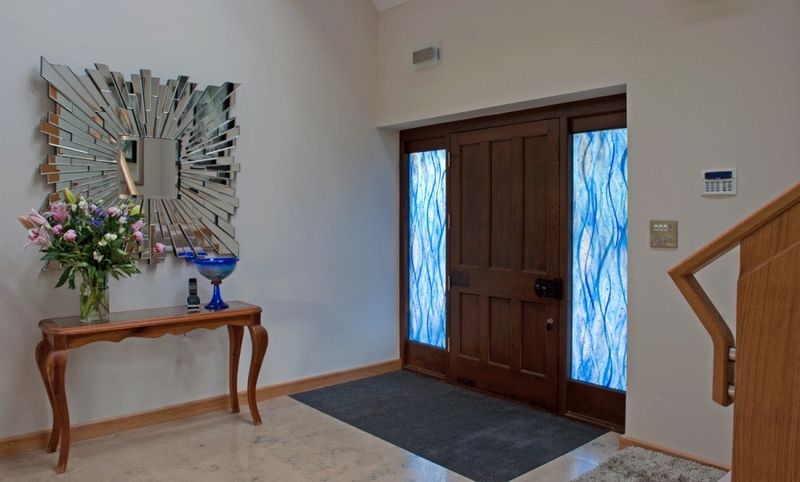 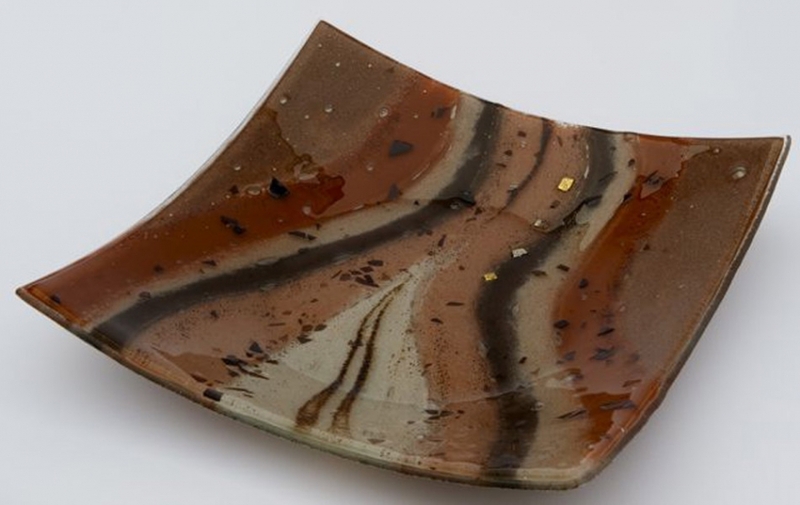 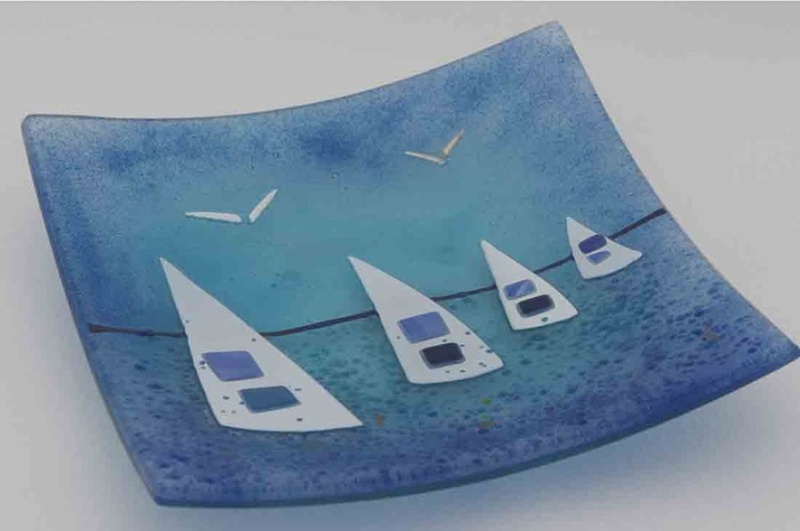 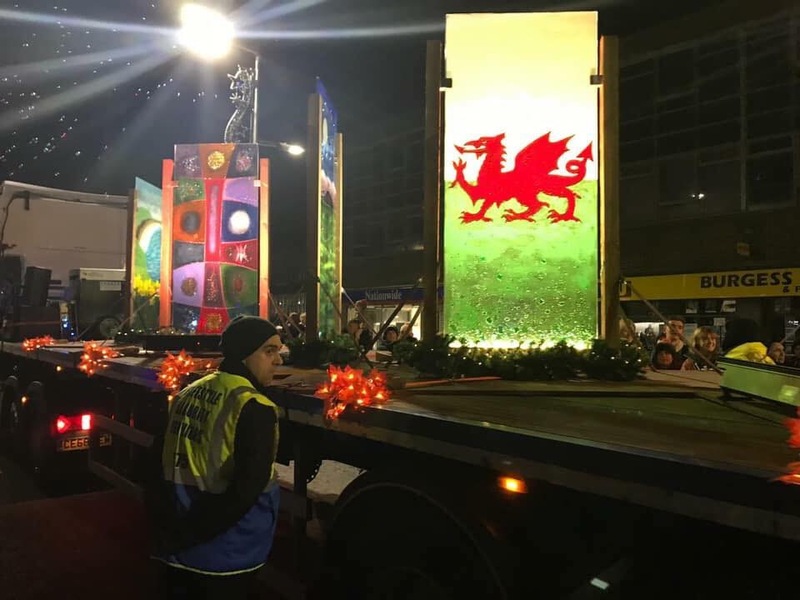 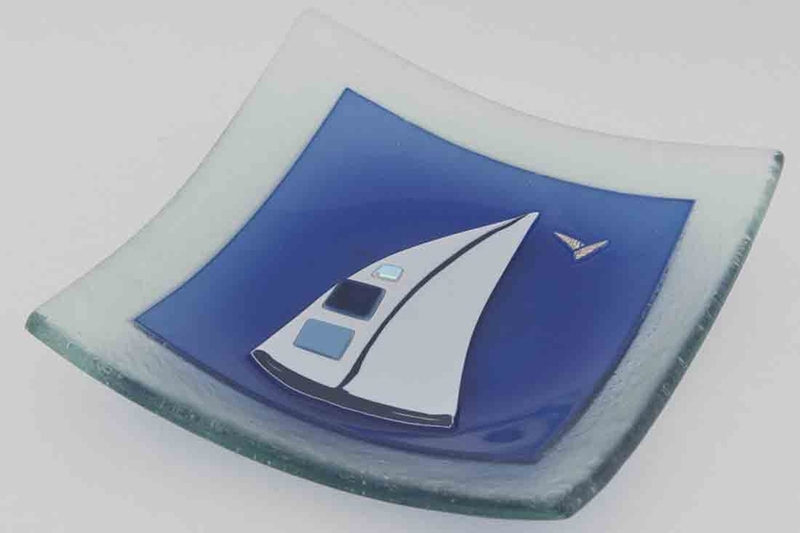 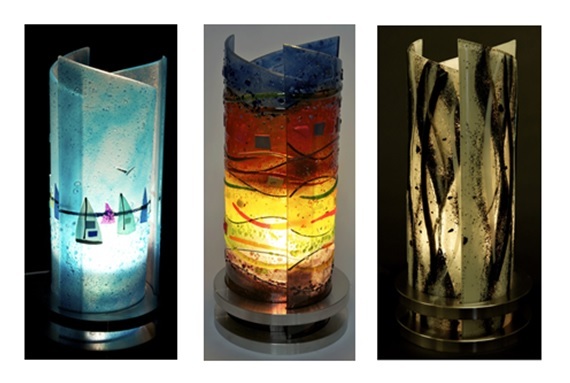 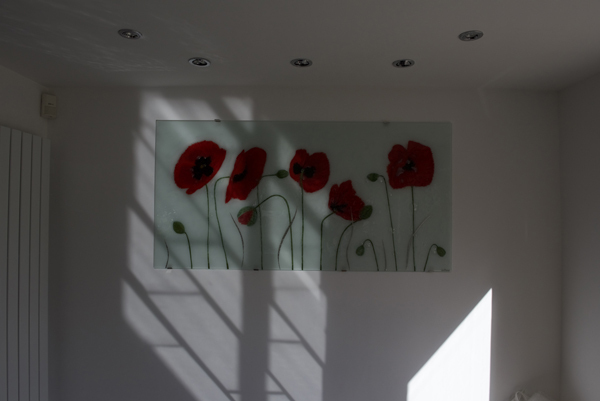 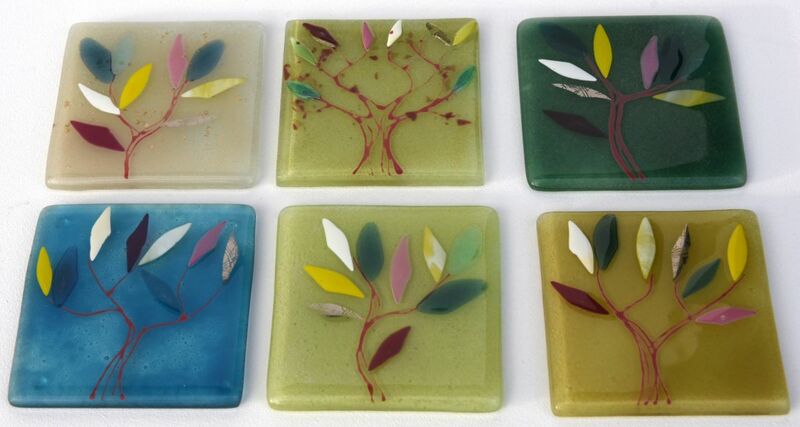 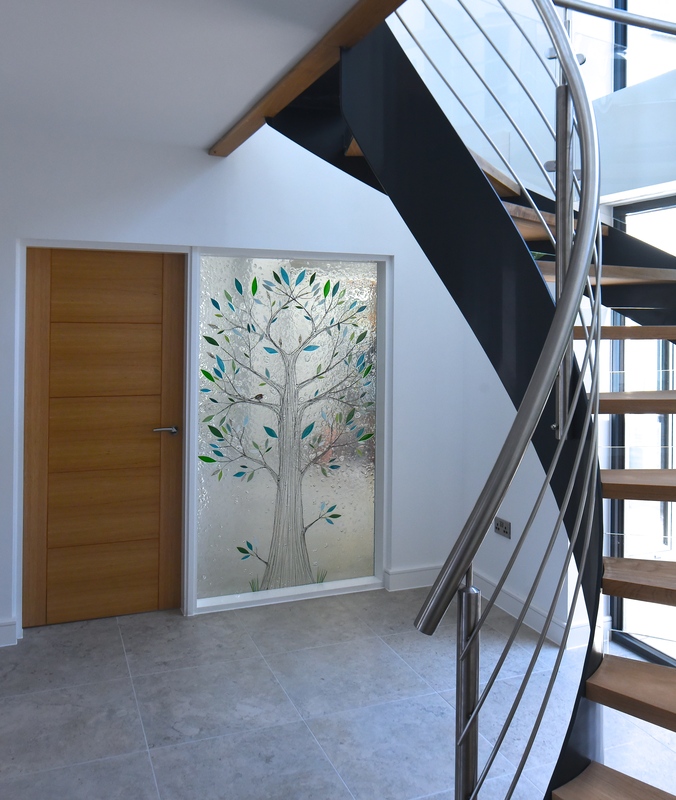 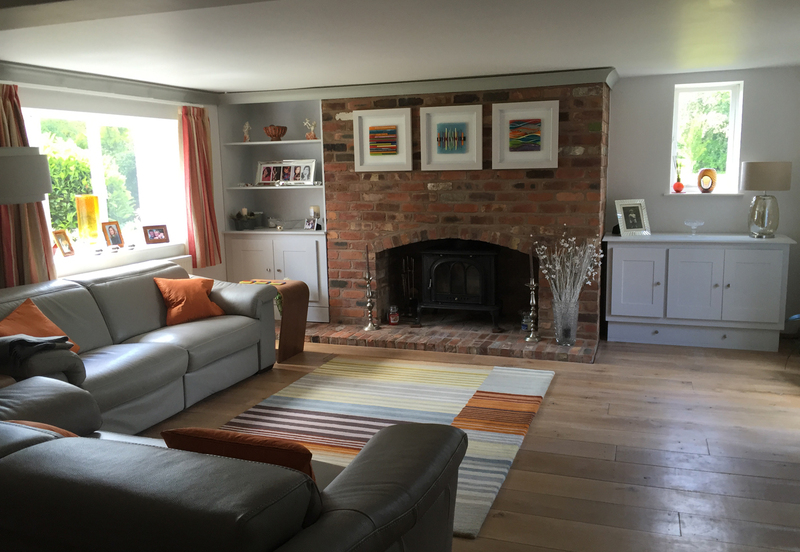 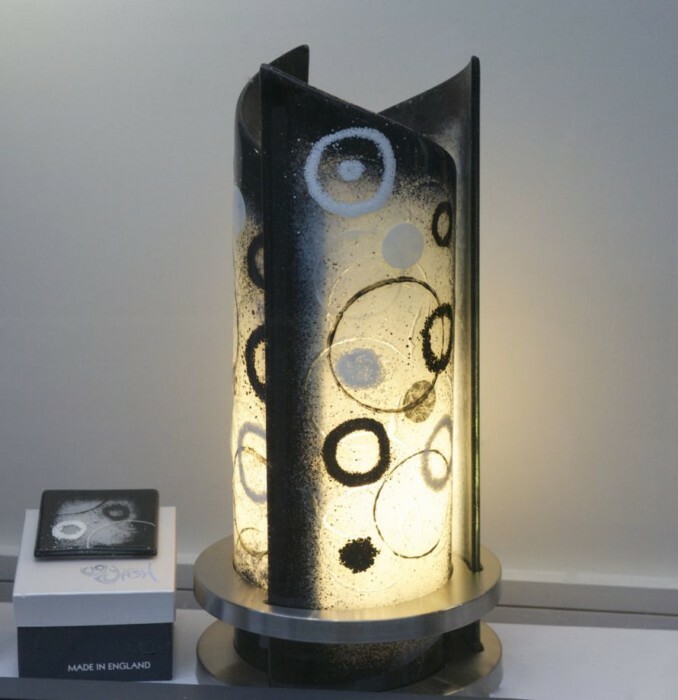 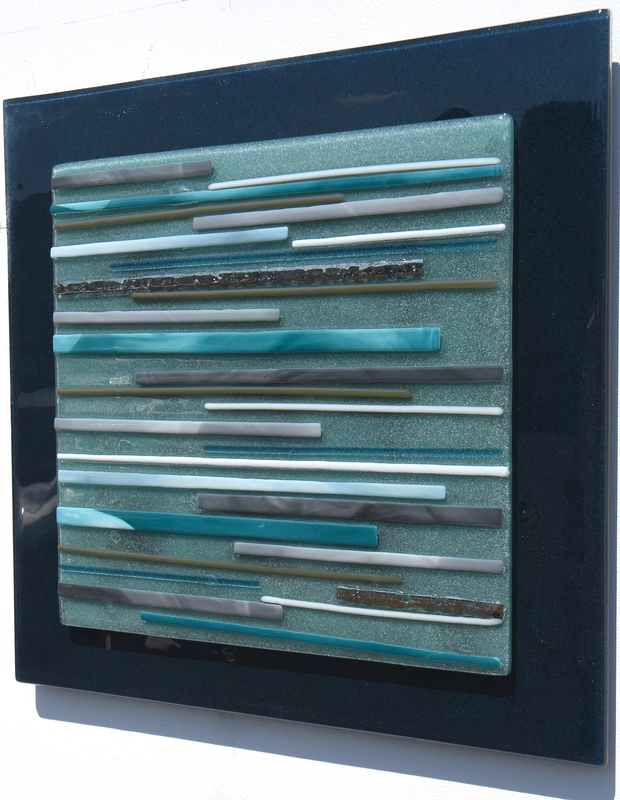 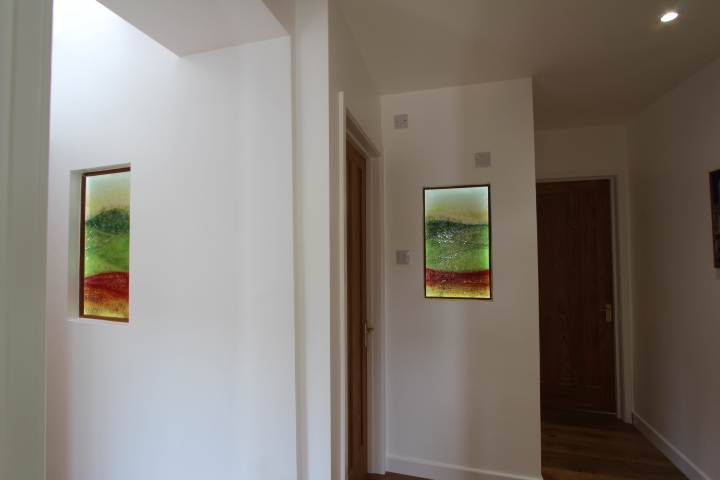 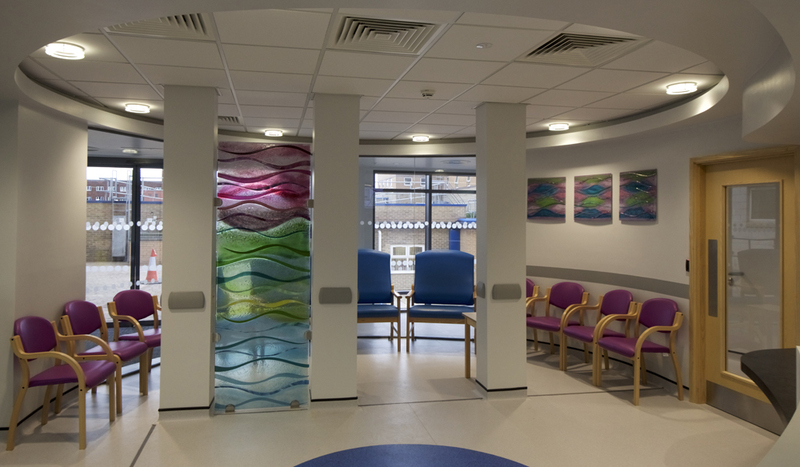 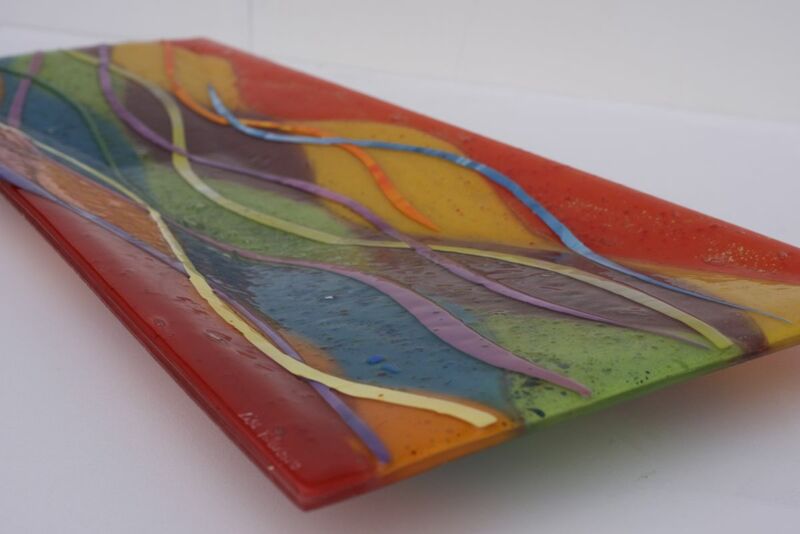 Our gorgeous and highly varied selection of bespoke fused glass pieces are sure to be just what you were looking for, so don’t wait to pick up the phone or drop us an email if you see something you like in our extensive portfolio.